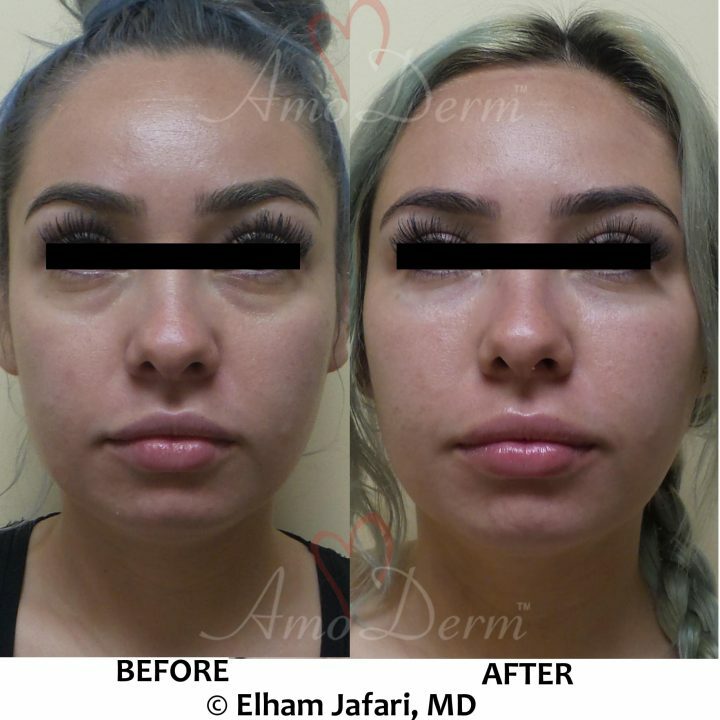 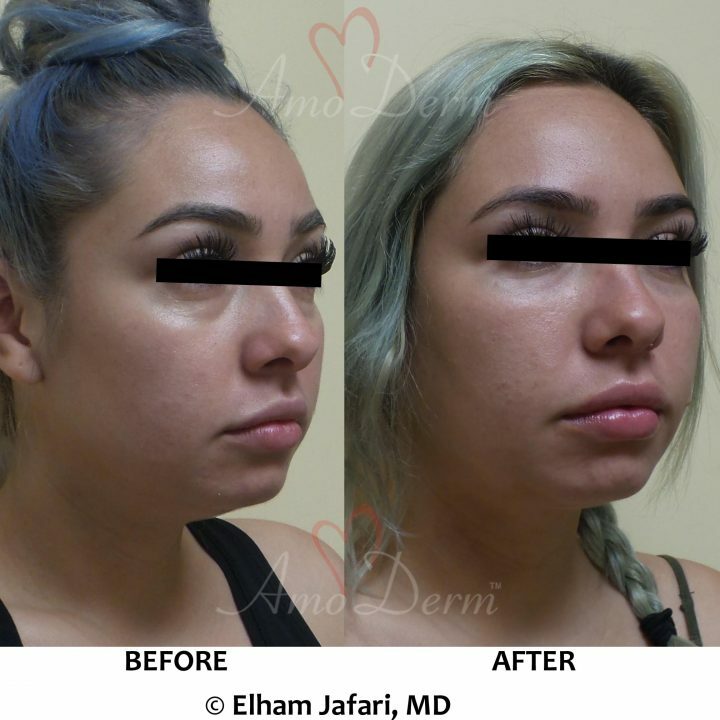 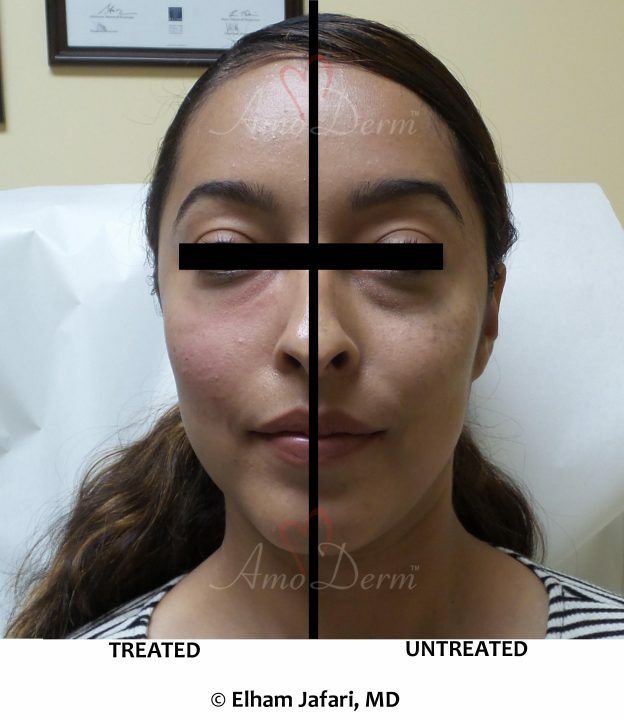 At Amoderm, all cosmetic injections including dermal fillers are performed exclusively by an experienced licensed physician. For added comfort and less side effects, the injections are performed using Microcannula whenever possible and at no extra cost. 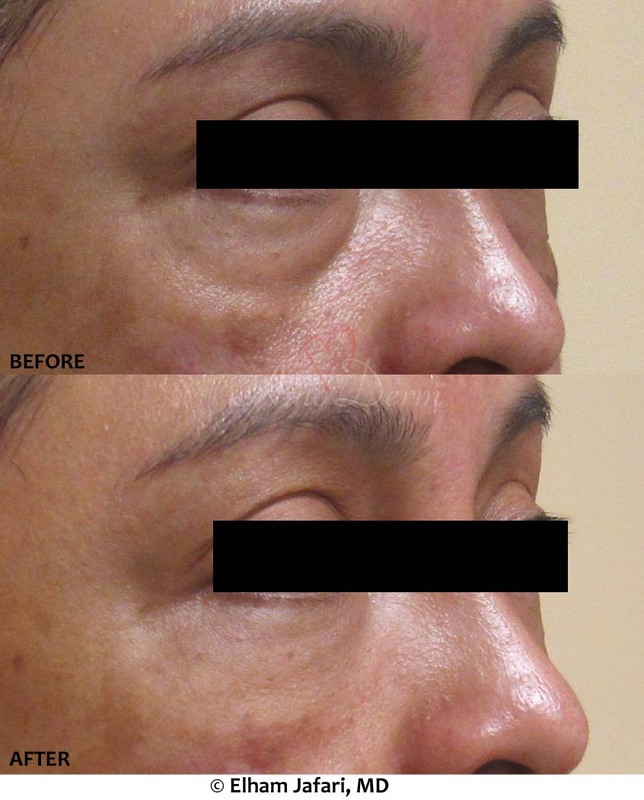 But how is Microcannula technique different from regular needle injection and how can it help you achieve better results? 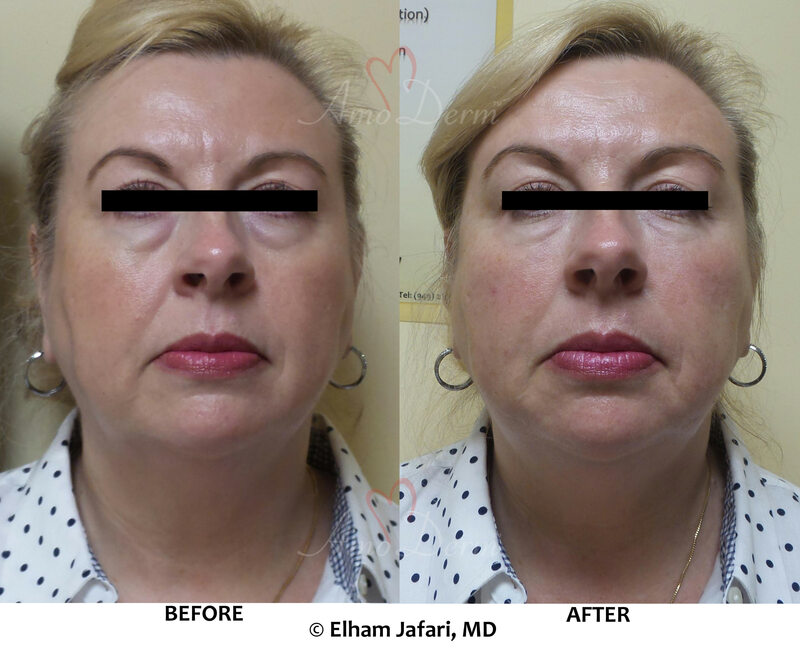 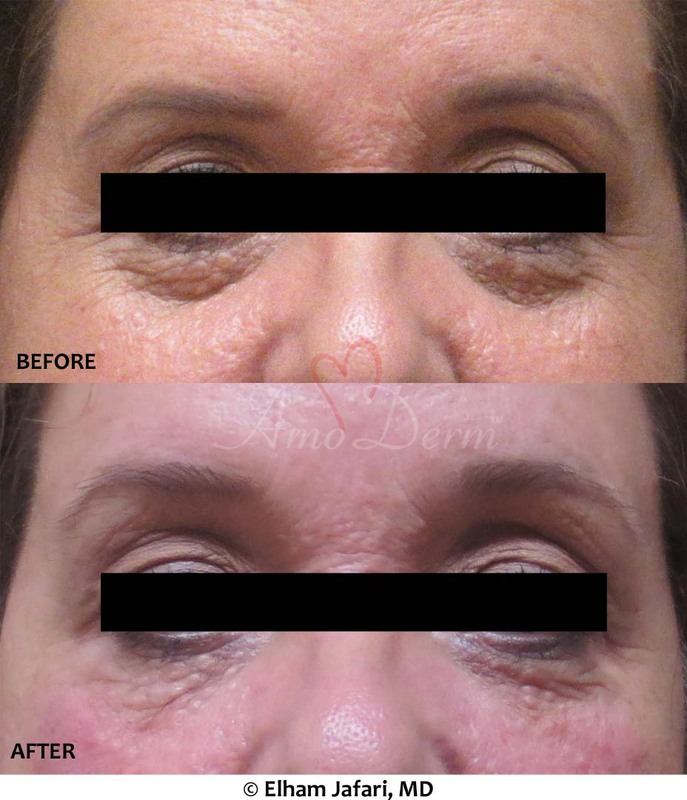 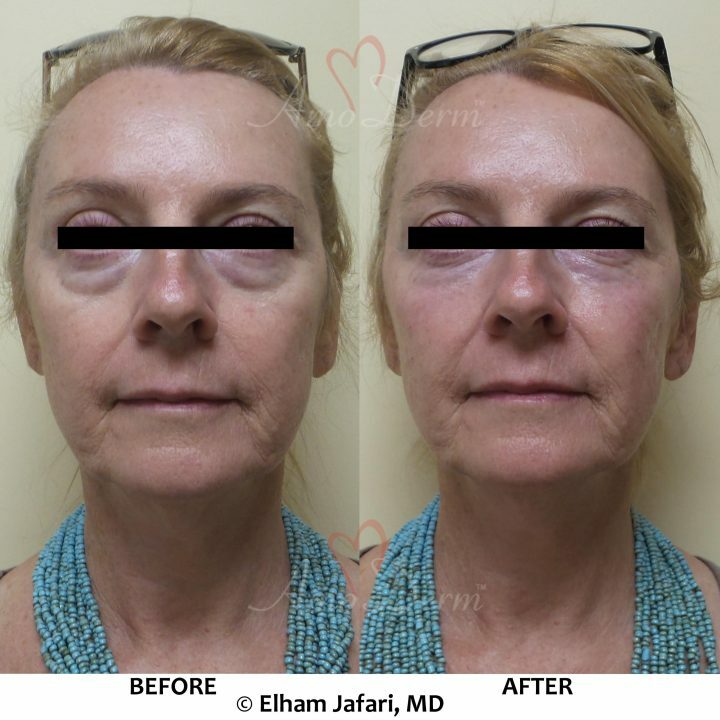 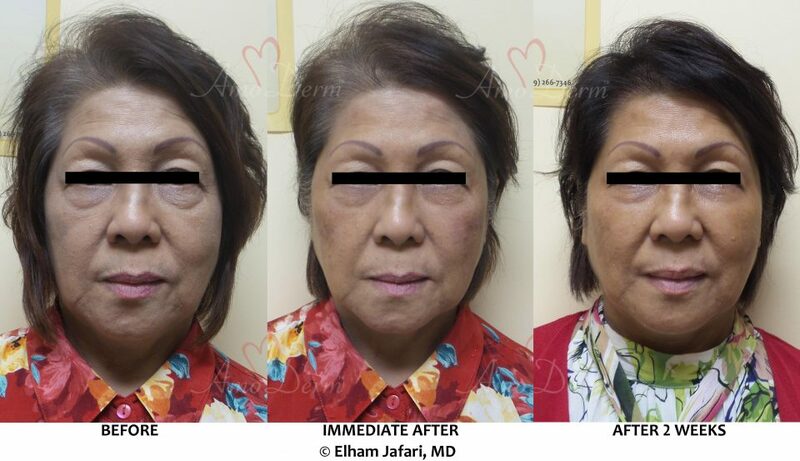 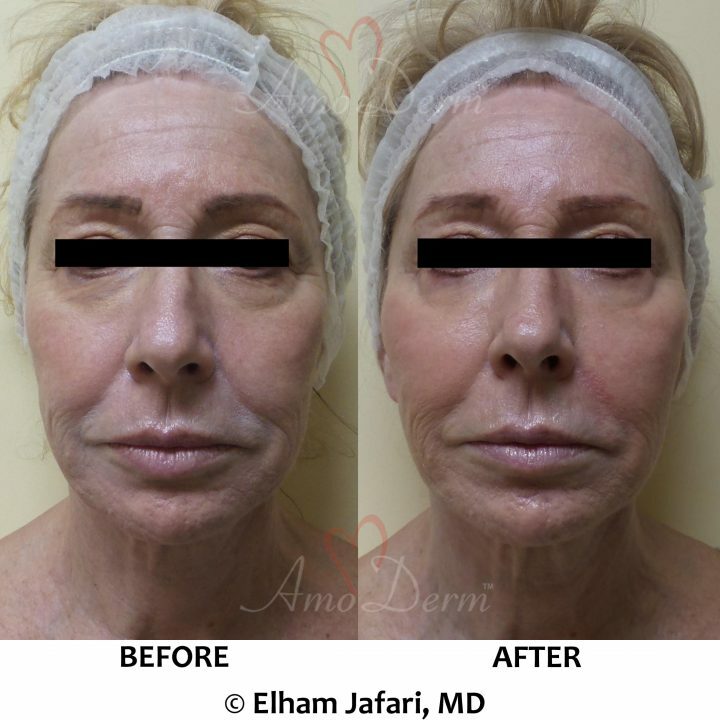 Injection of fillers such as Juvederm, Restylane, Perlane, Radiesse, Sculptra, Belotero and Voluma is among the most effective and safest anti-aging treatments that can undo the effects of years of aging within minutes. 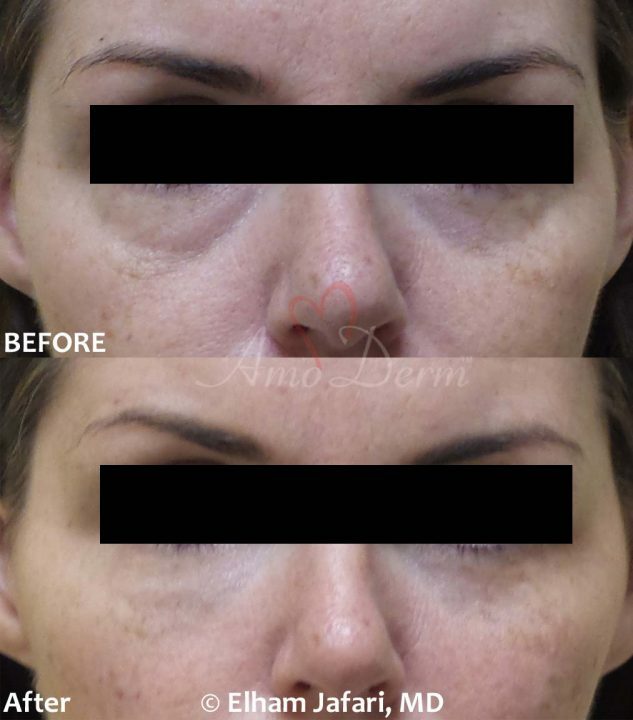 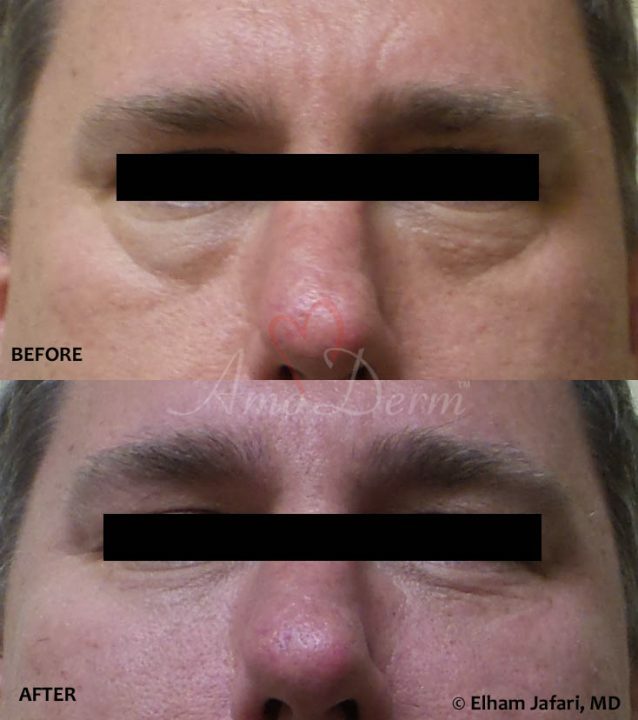 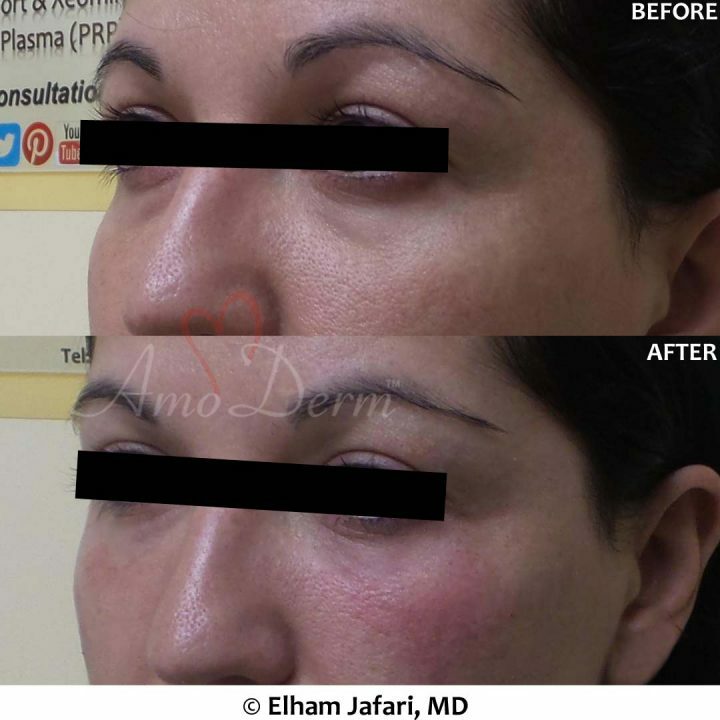 The treatment is usually performed using fine needles to inject the filler at precise locations under the skin, depending on the type of filler. 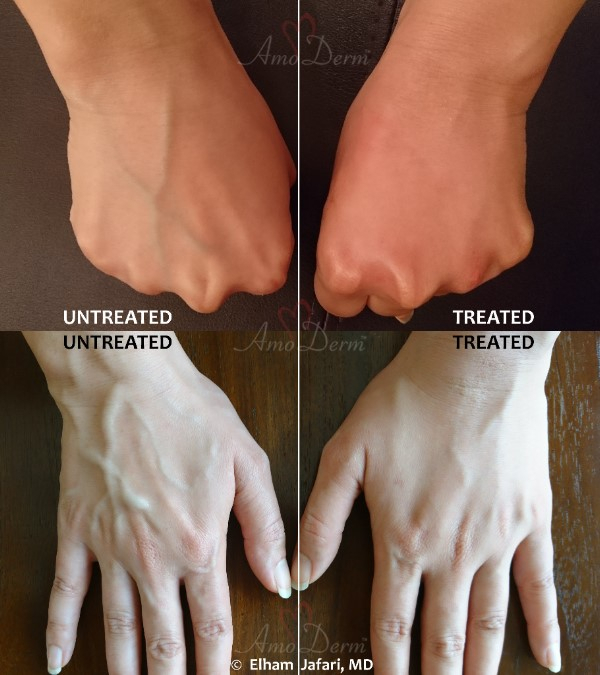 Quite recently, use of Microcannula (or micro-cannula) has been introduced as a superior method for injection of fillers, and this revolutionary method has been rapidly gaining popularity among leading cosmetic clinics and doctors. 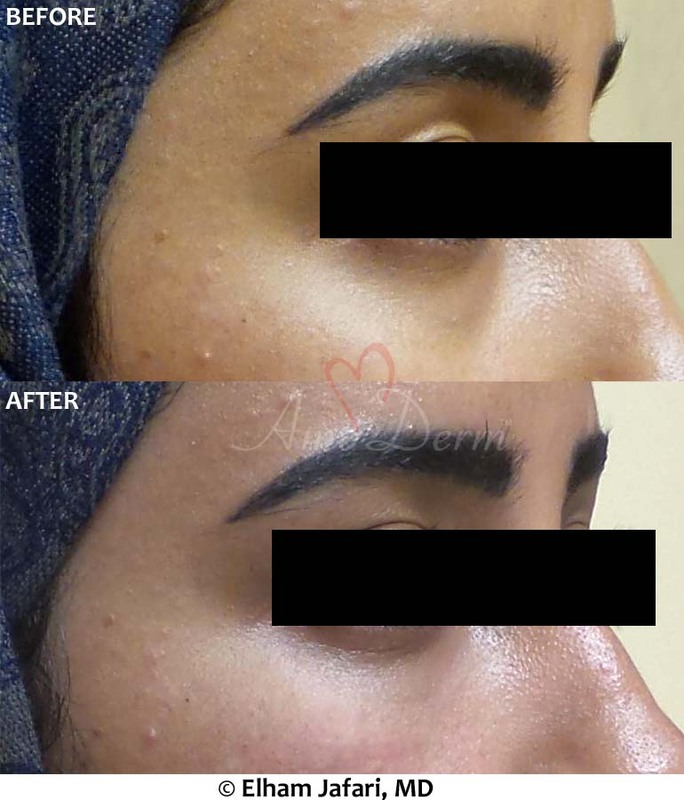 Unlike conventional needles which are rigid and have a sharp tip (after all, that’s how they can penetrate through the skin), Microcannula is flexible and has a blunt tip. 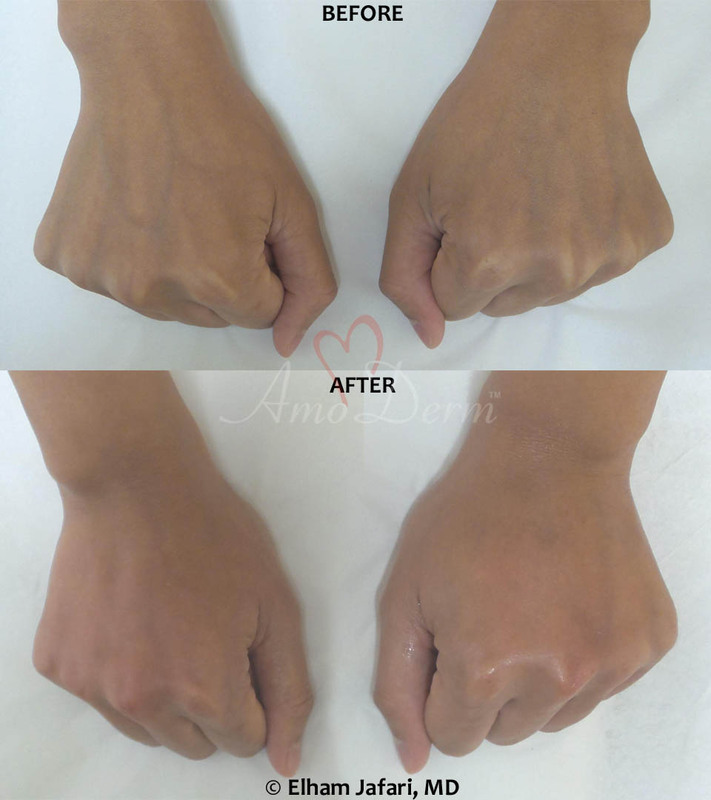 Rather than piercing through the tissues, the cannula opens up its path between the anatomic structures of the skin, pretty much similar to the way you slide your fingers through a stack of paper. 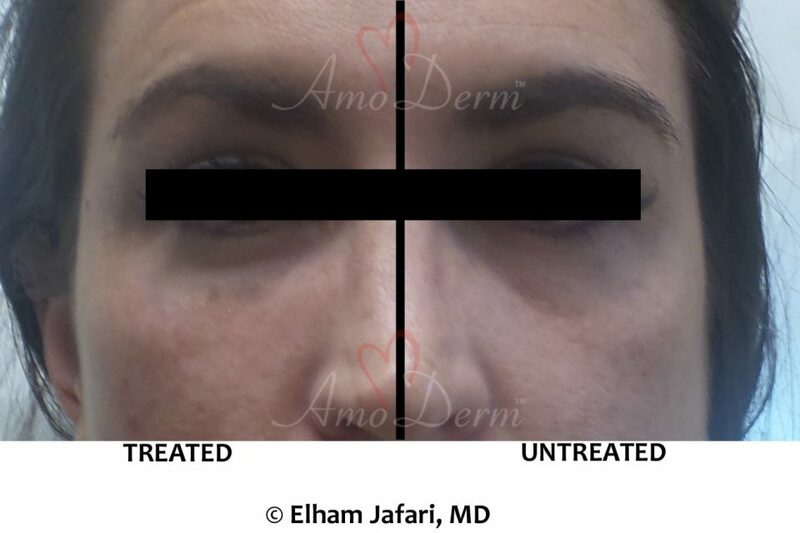 During filler injection using Microcannula, your doctor first makes a small entry point in your skin using a fine needle. 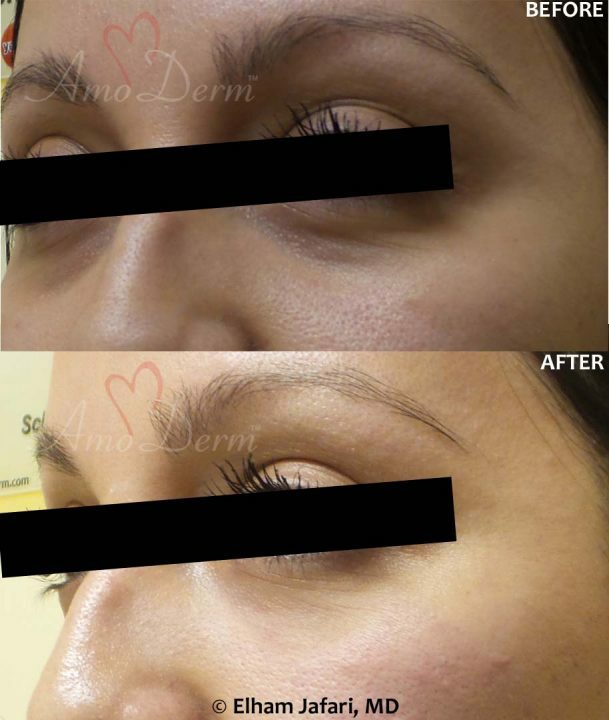 This is a necessary step since the Microcannula has a blunt tip and is unable to pierce into the skin on its own. 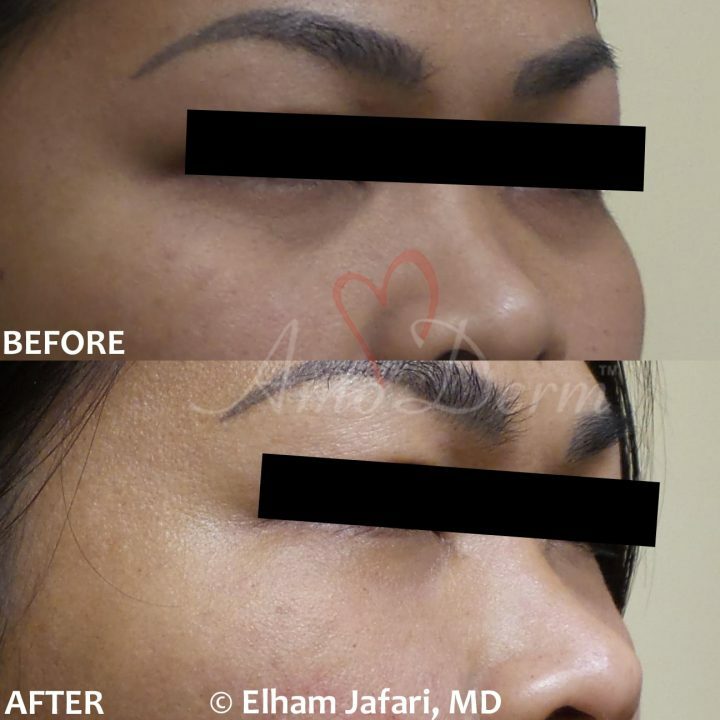 The entry point is very small and shallow and does not cause much pain or bleeding. Then your doctor carefully inserts the Microcannula through the small opening and guides it under your skin to reach the sites of filler injection. 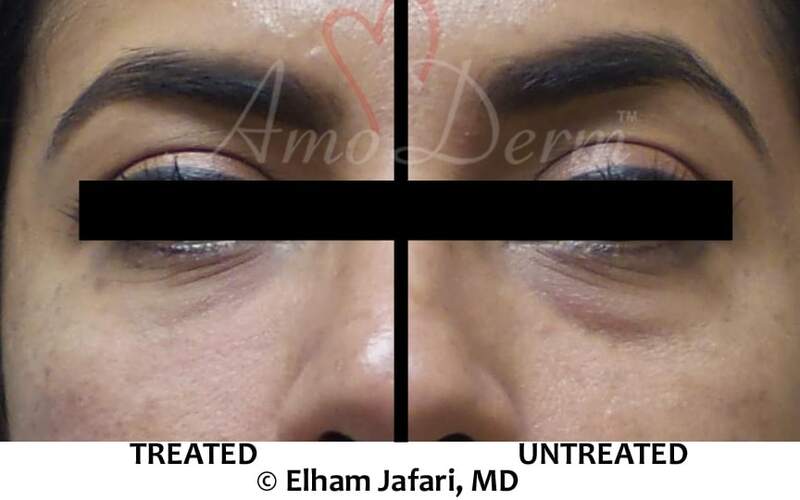 Quite amazingly, as the Microcannula slides through the spaces naturally present between the tissues, it can be moved under the skin without causing any injuries to the tissues and the patient most often do not feel any pain as the doctor moves it under their skin. 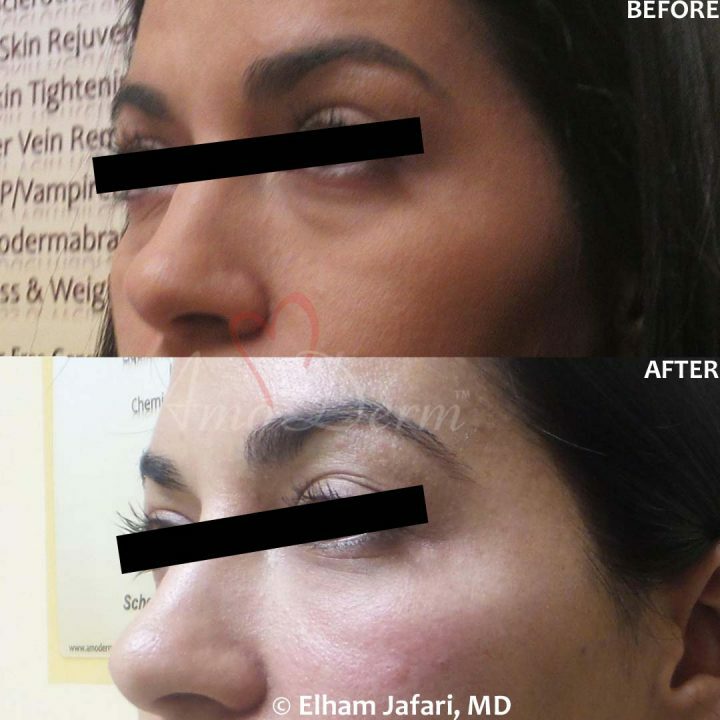 With its flexible and long body, your doctor can use Microcannula to perform filler injections in multiple locations from single points of entry. 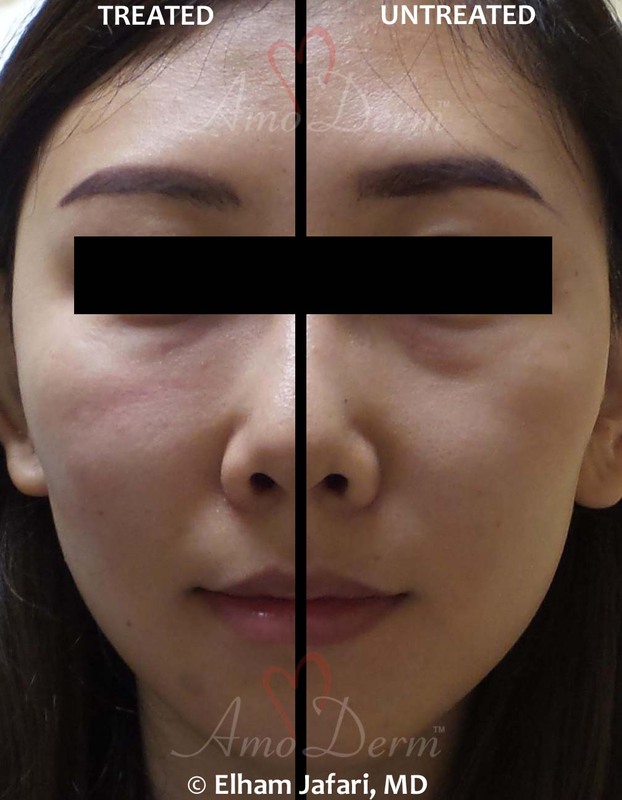 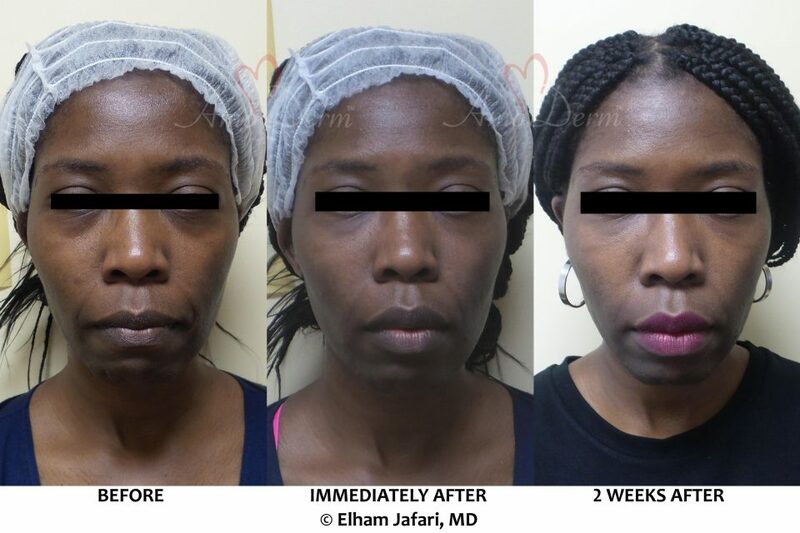 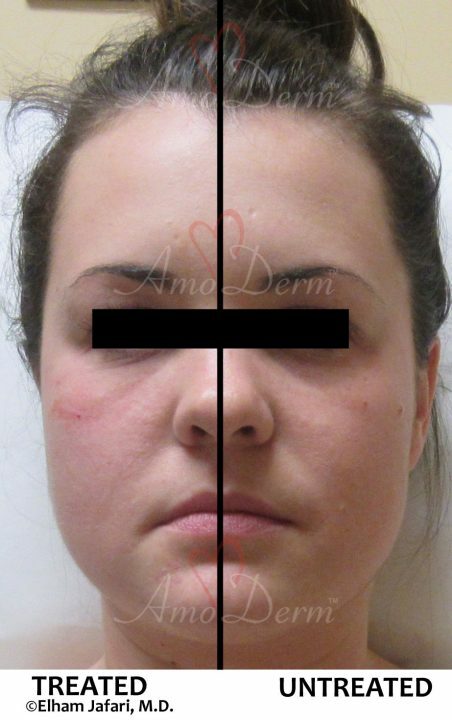 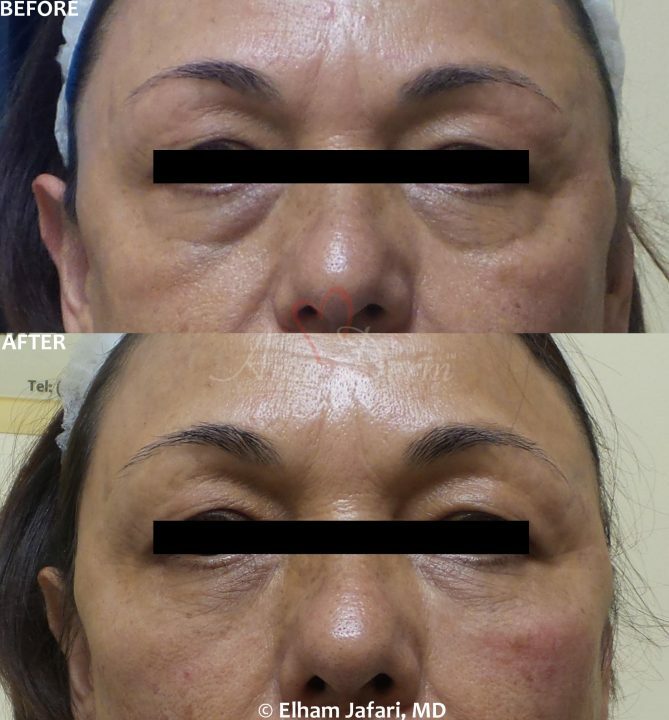 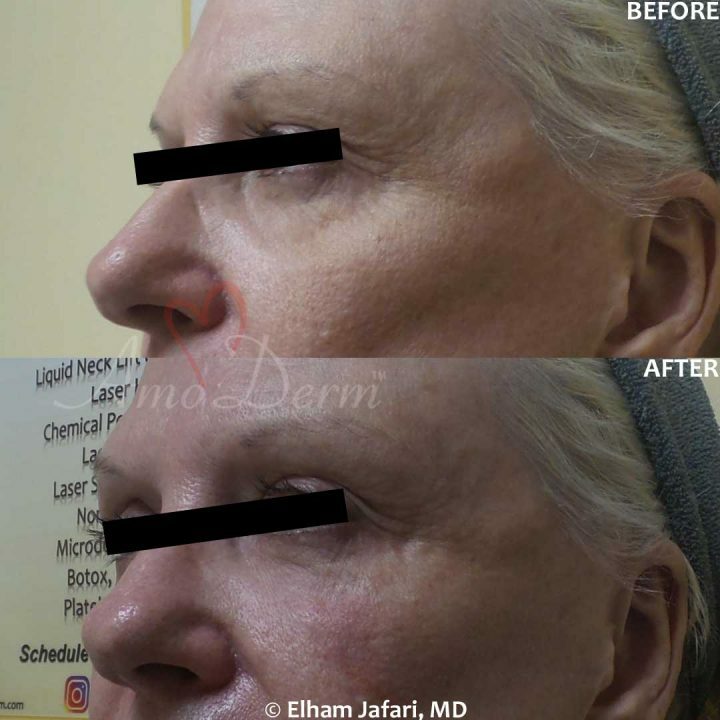 Many areas commonly treated with fillers such as cheeks, marionette lines, lips, temples, hands, nose, nasolabial folds and prejowl areas can be injected using Microcannula. For your next filler injection, make sure to ask your doctor about using flexible Microcannula. 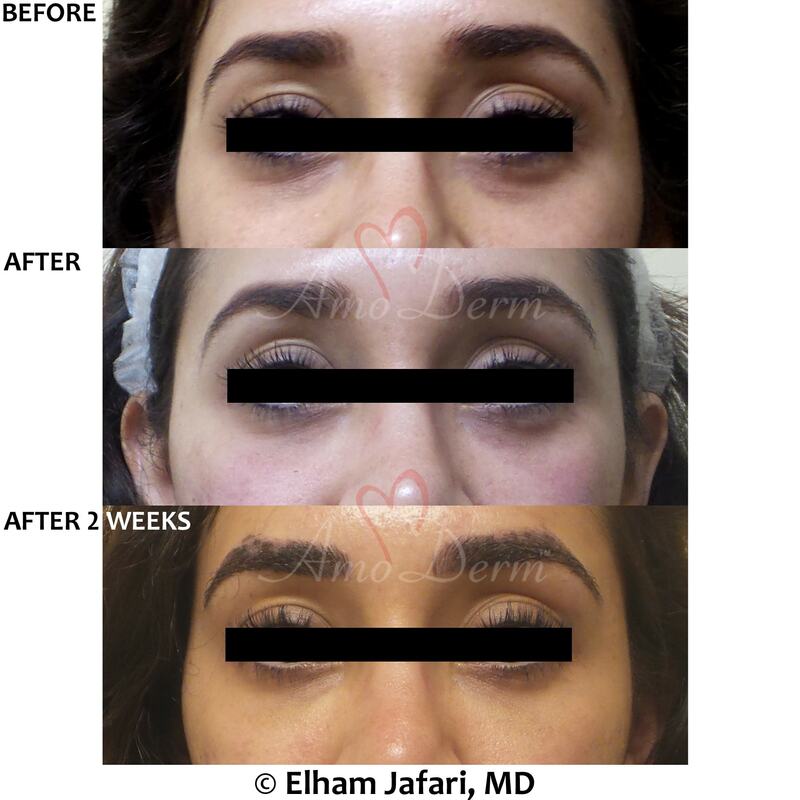 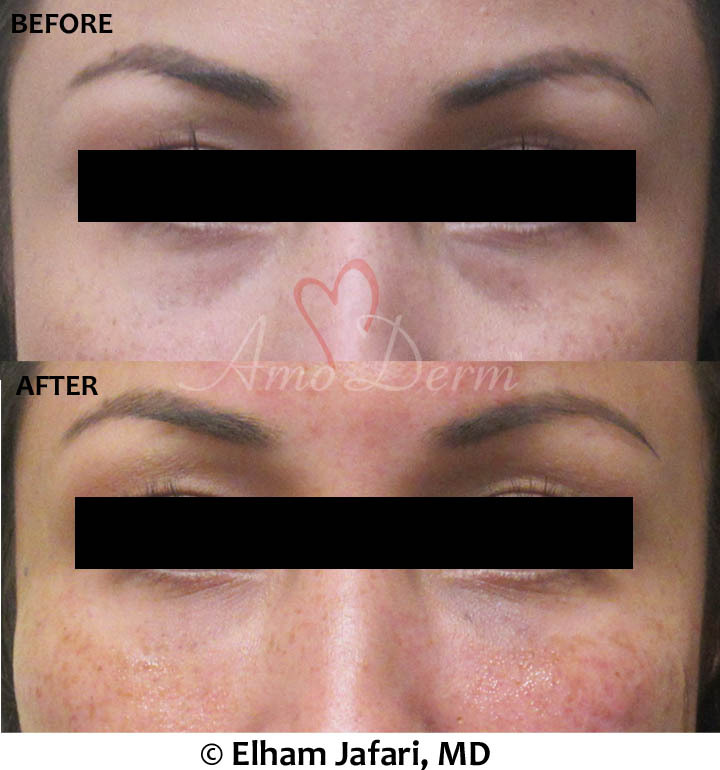 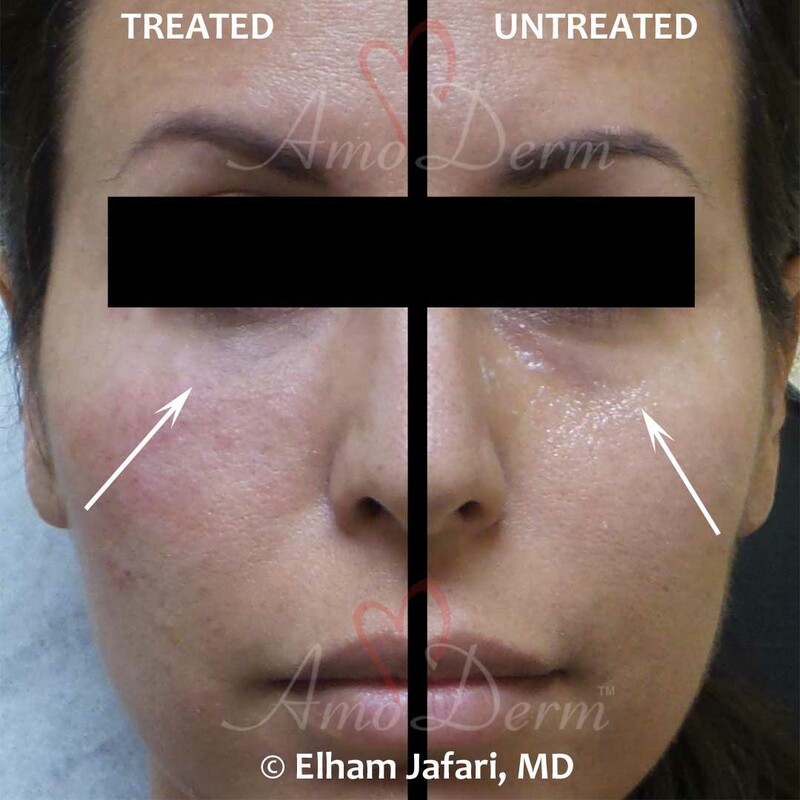 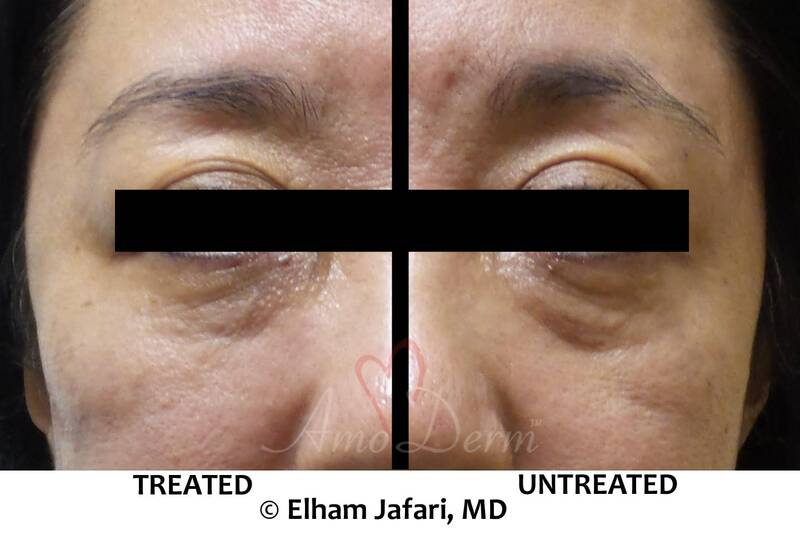 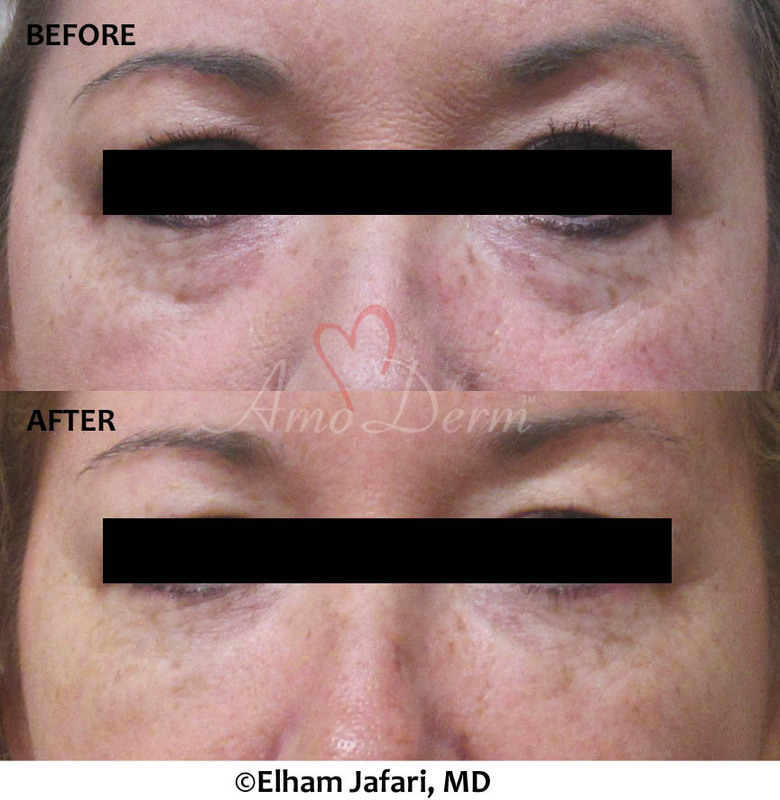 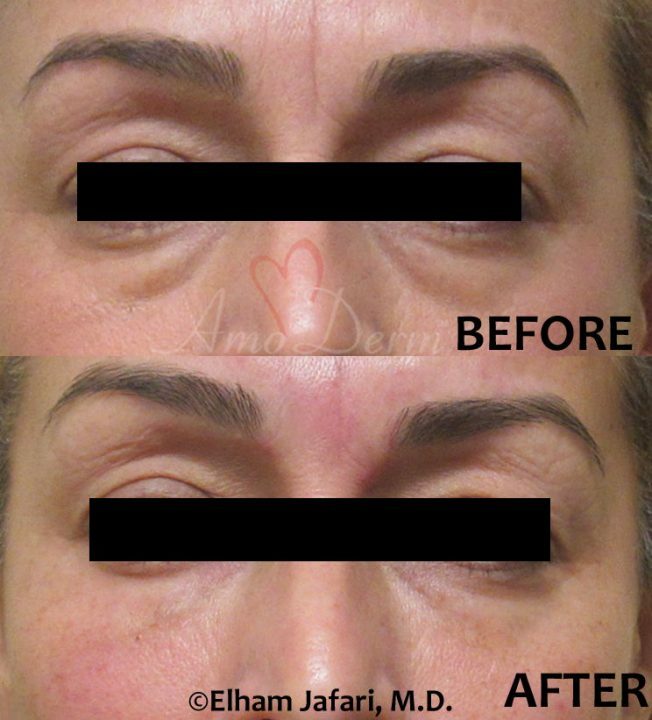 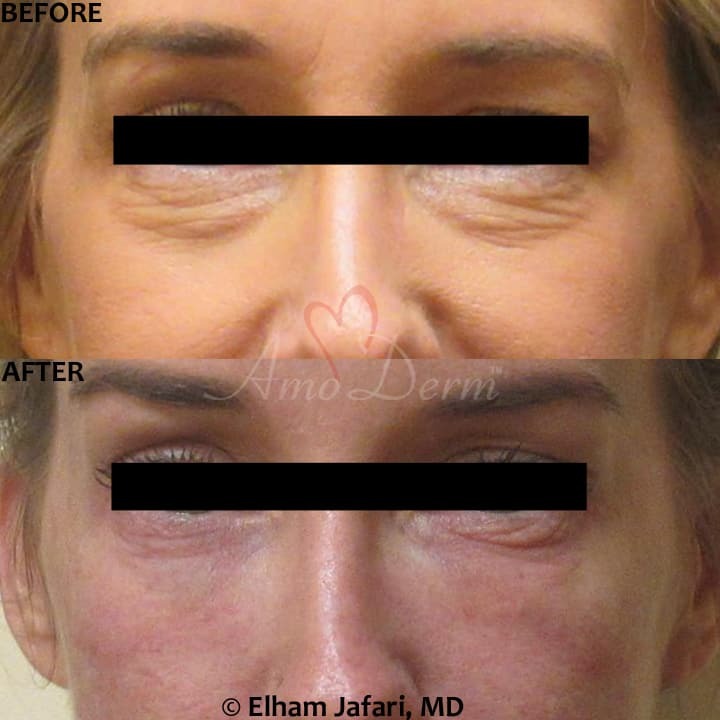 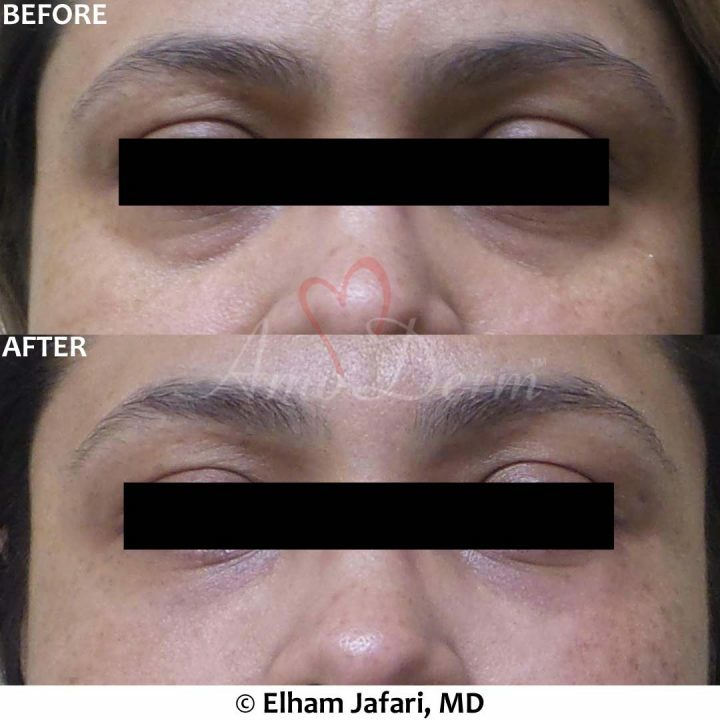 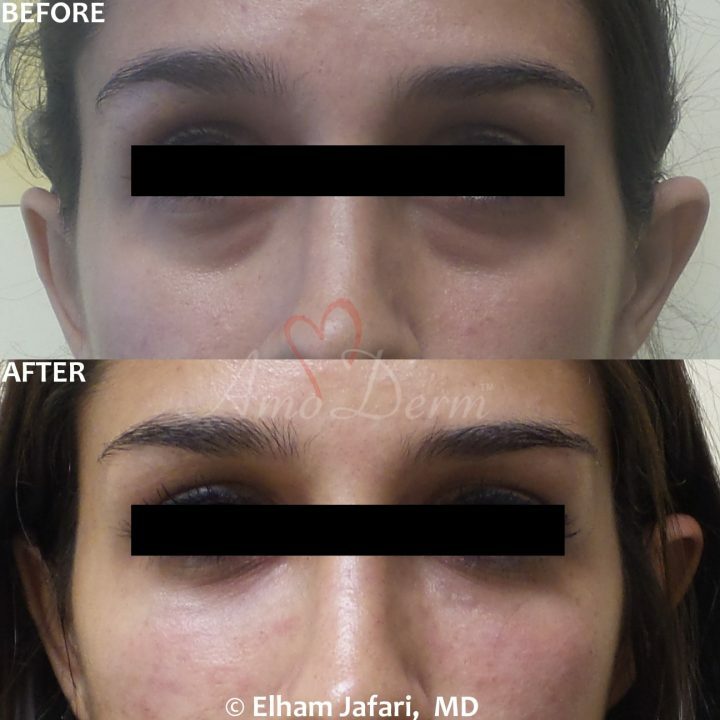 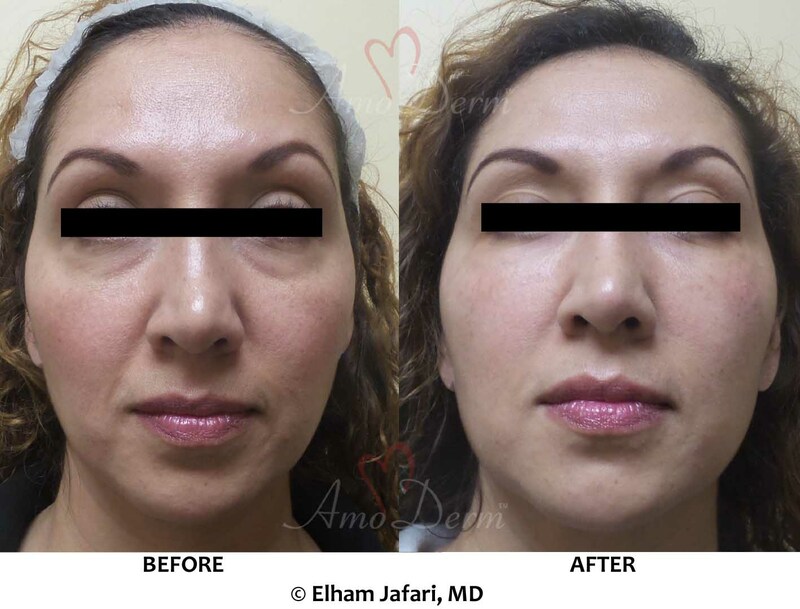 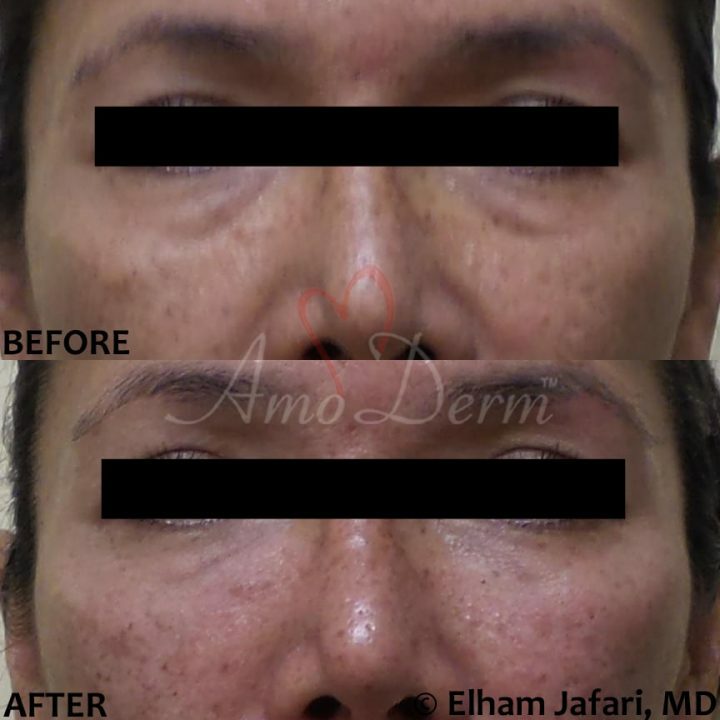 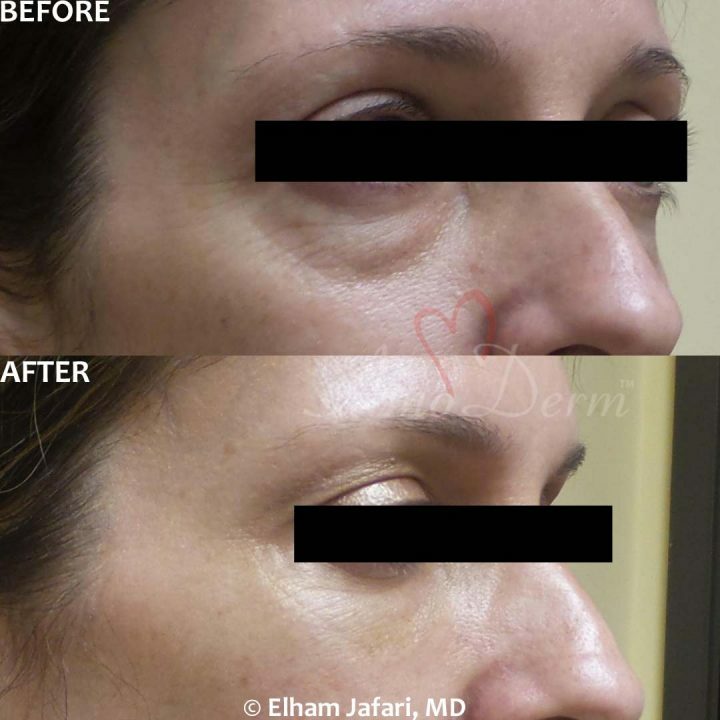 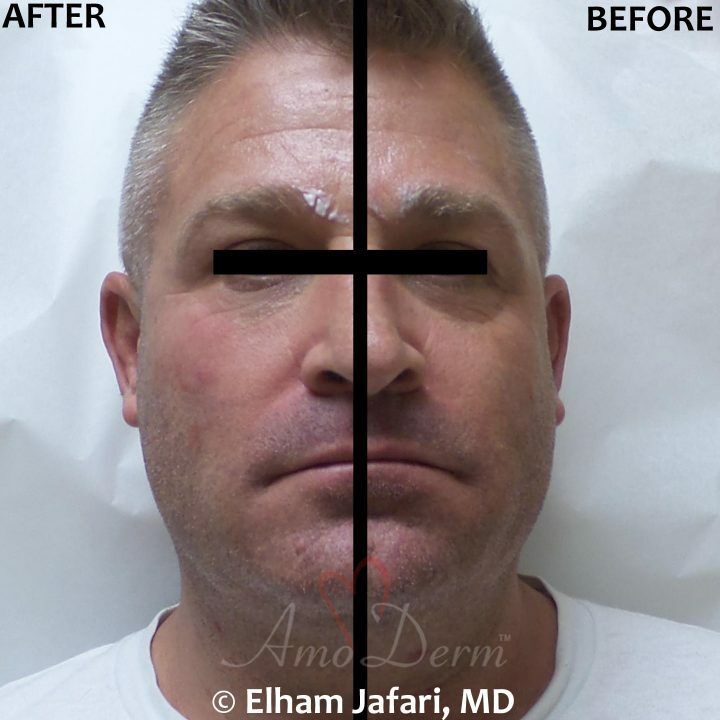 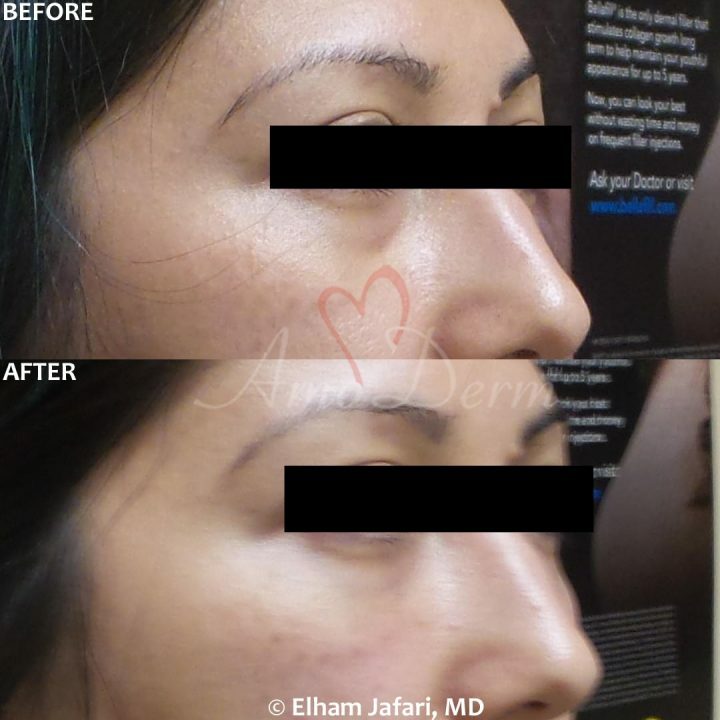 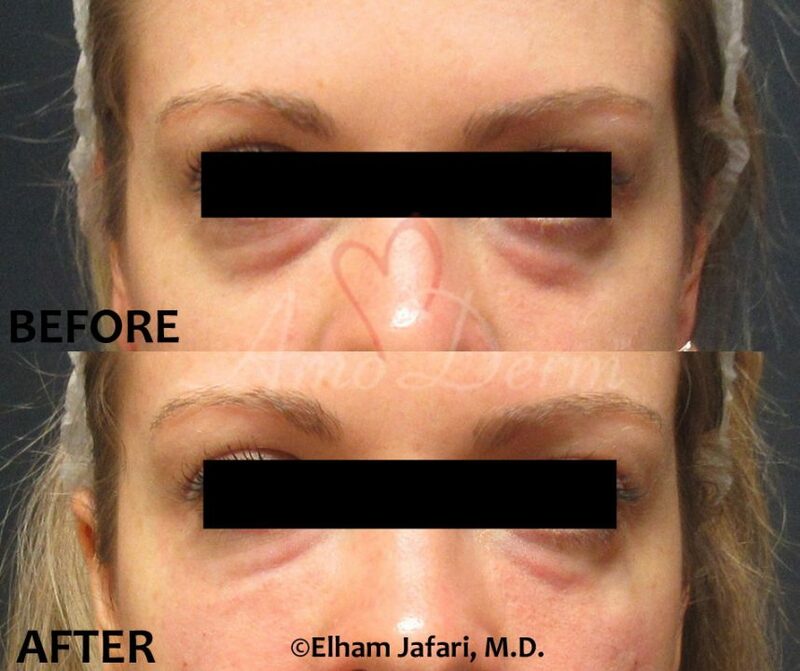 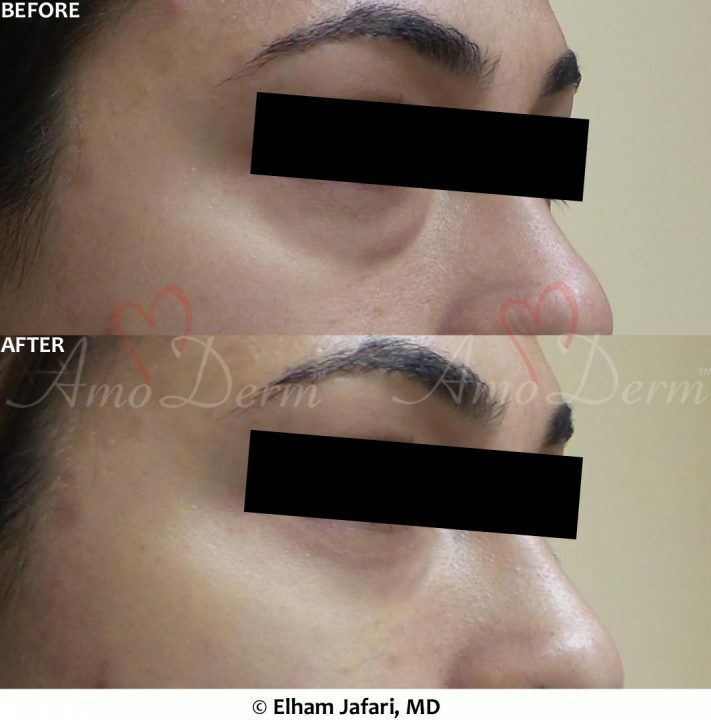 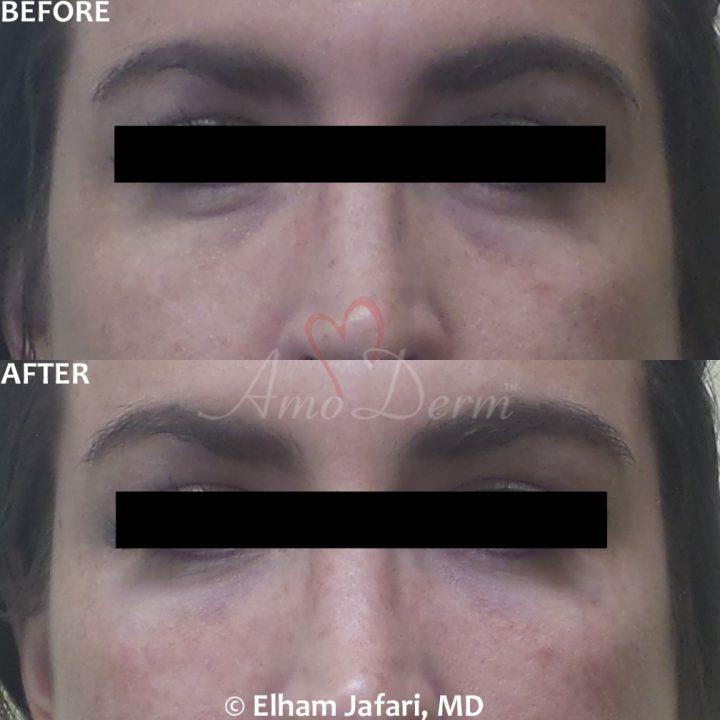 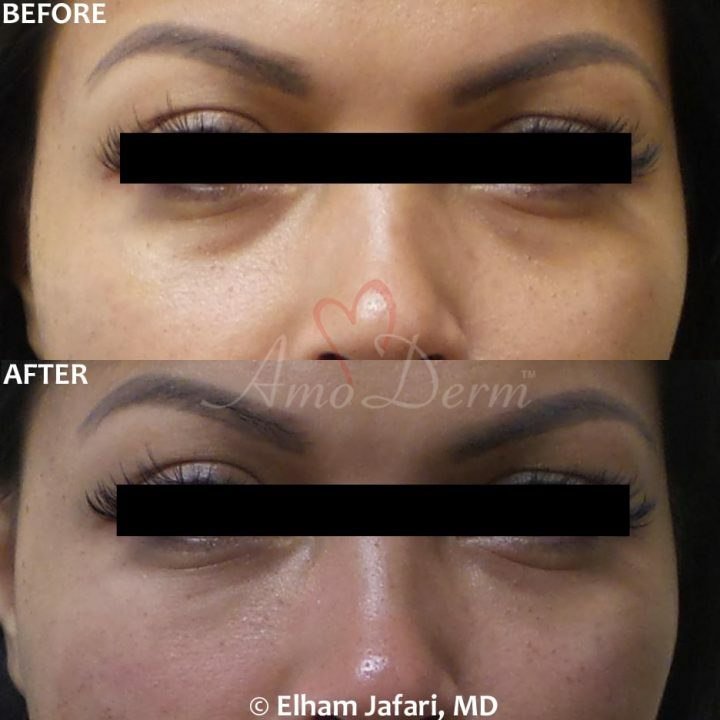 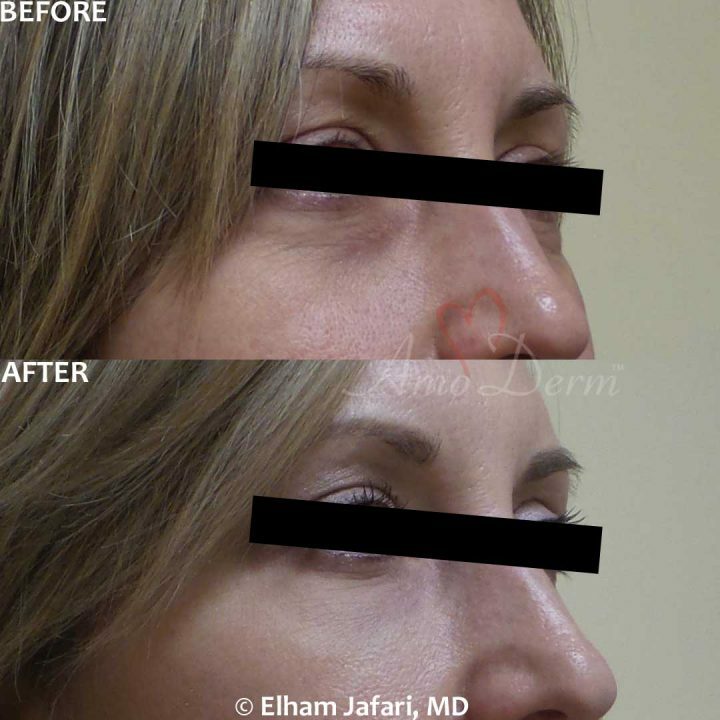 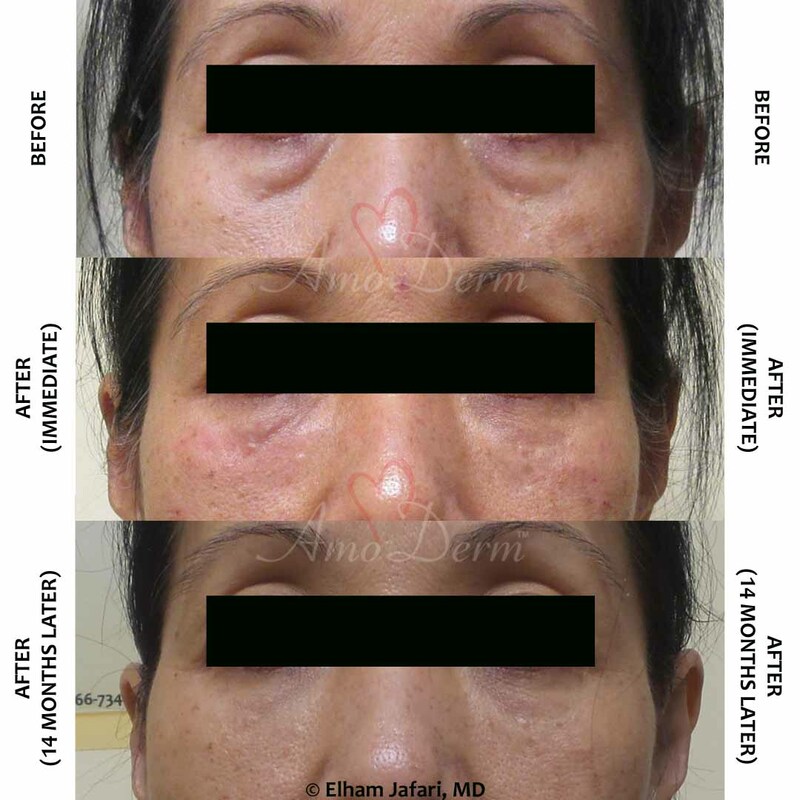 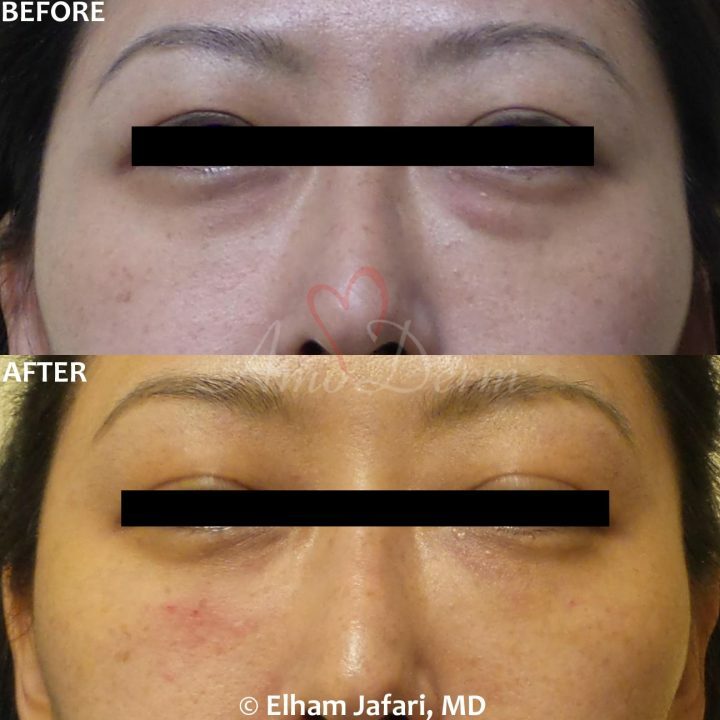 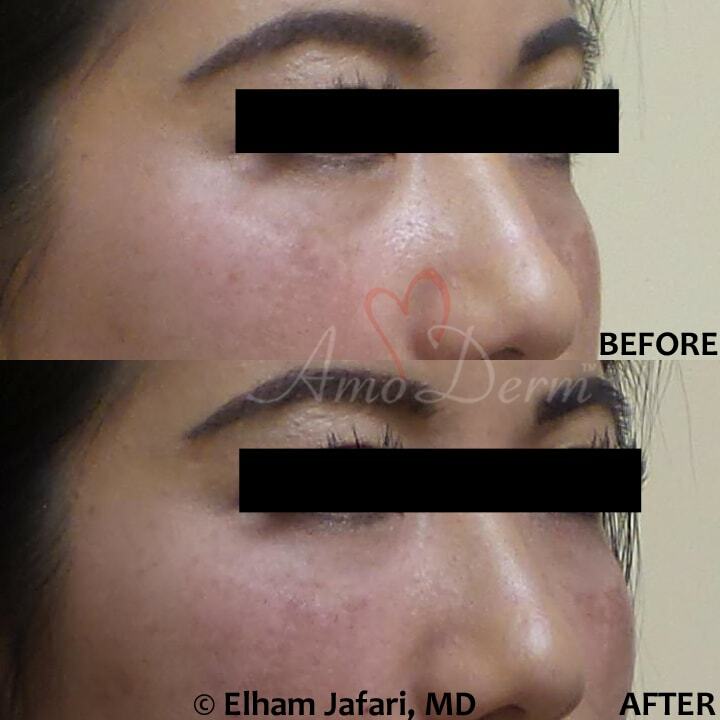 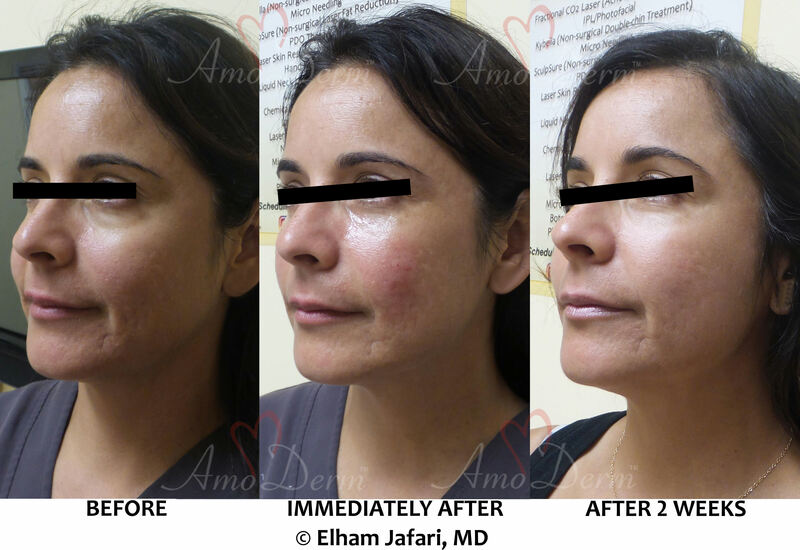 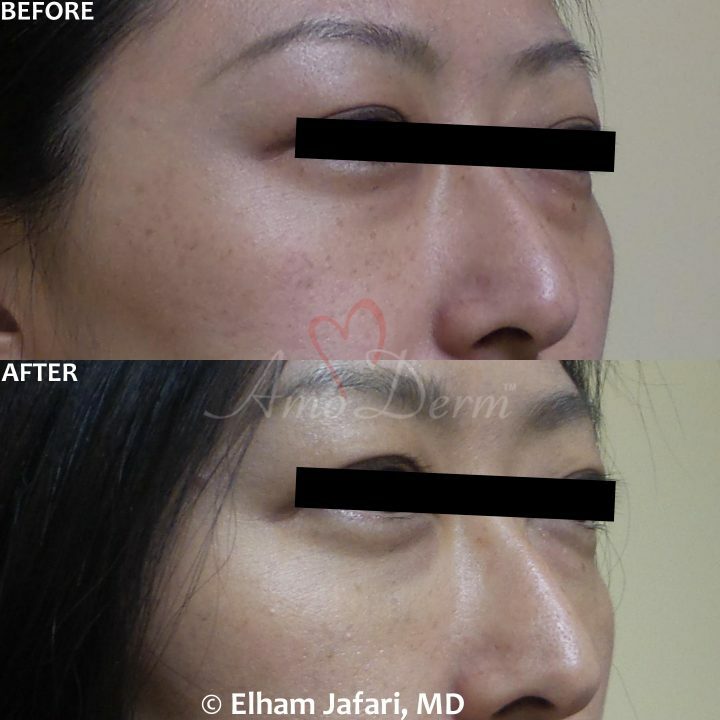 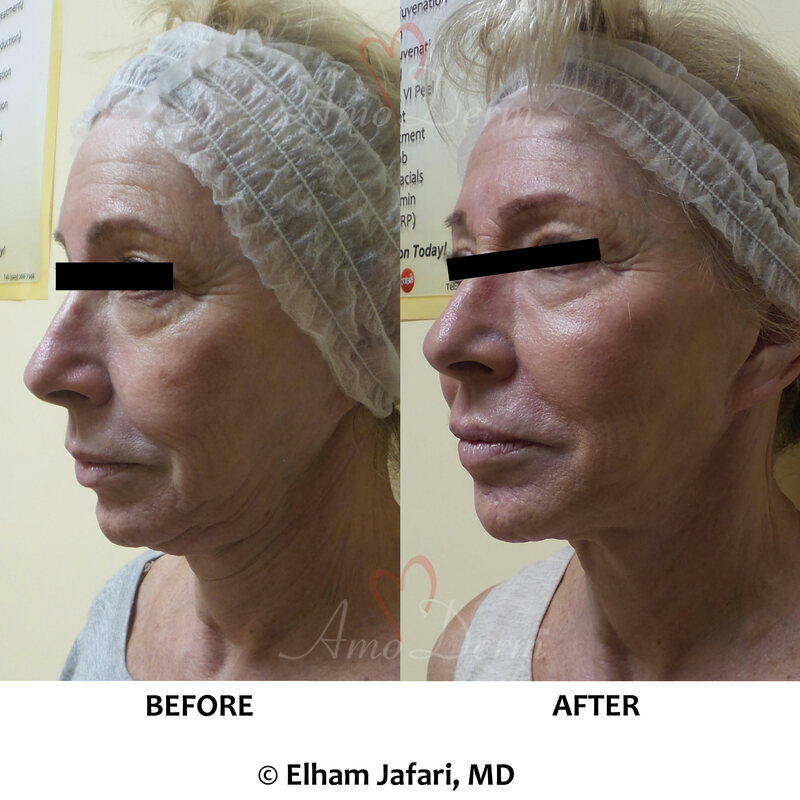 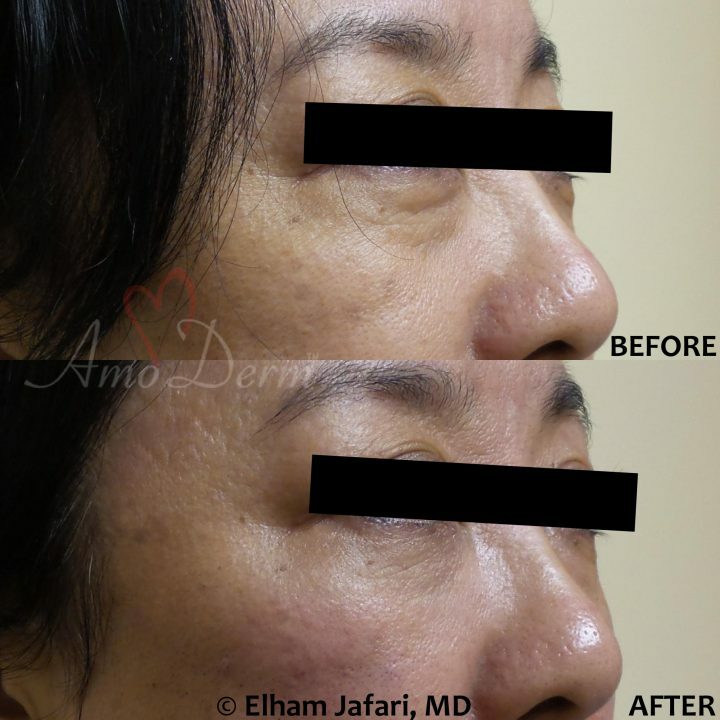 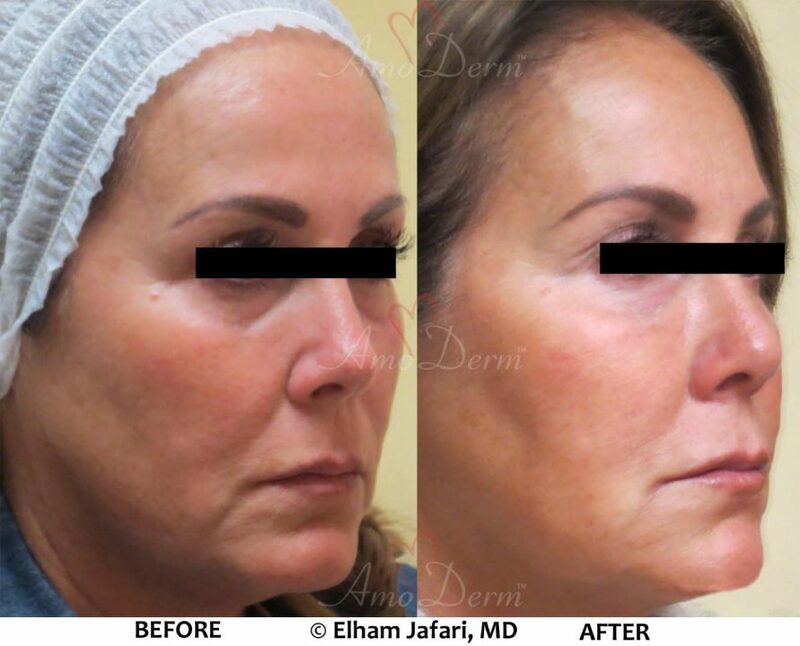 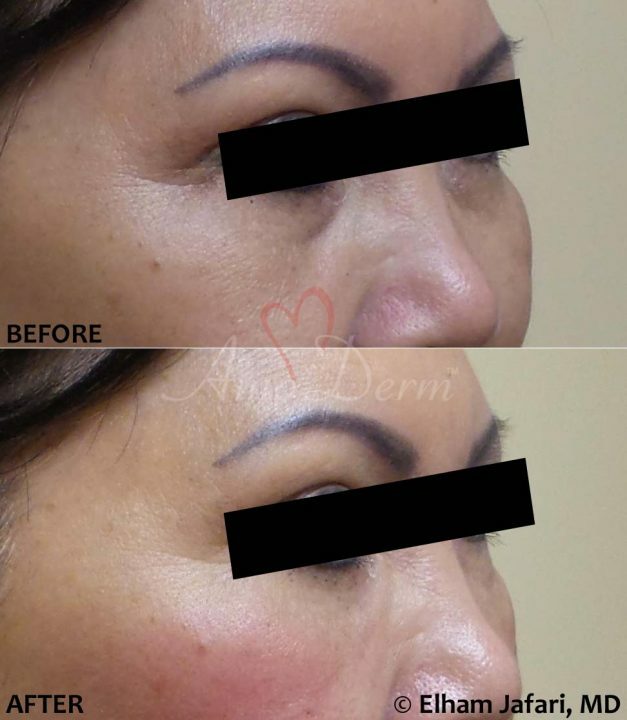 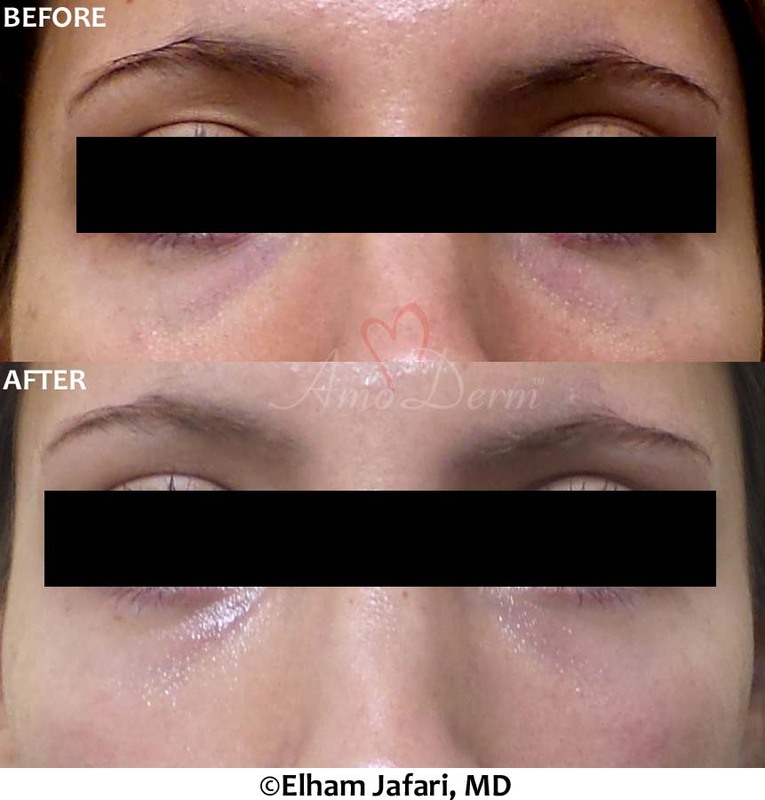 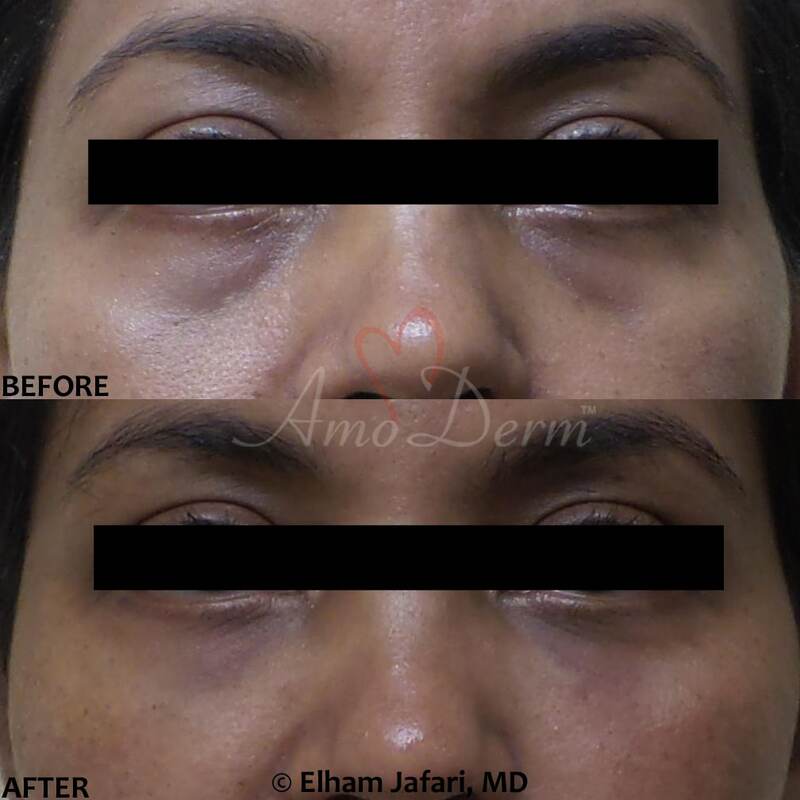 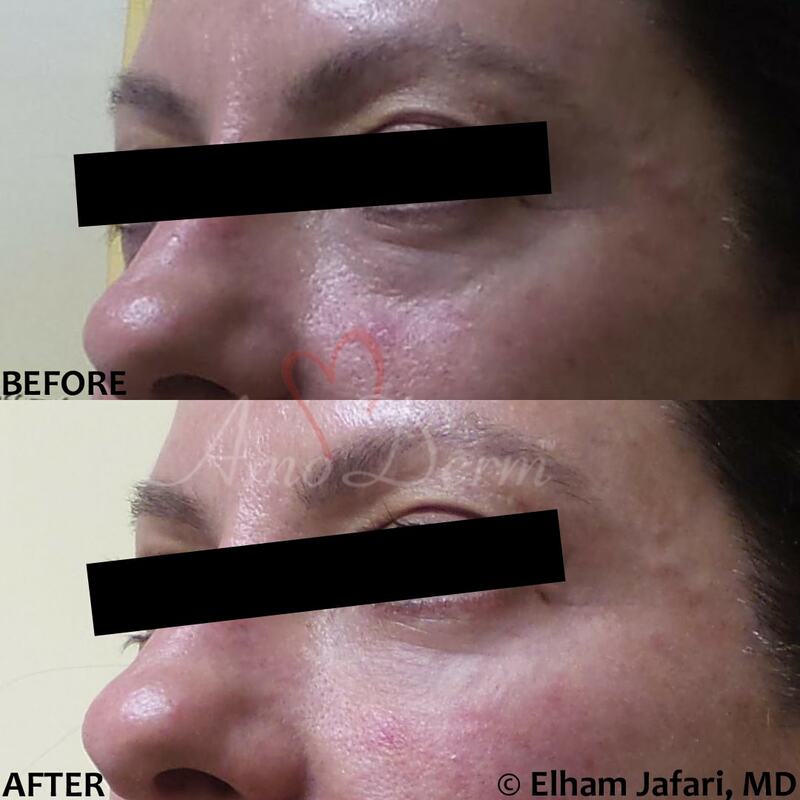 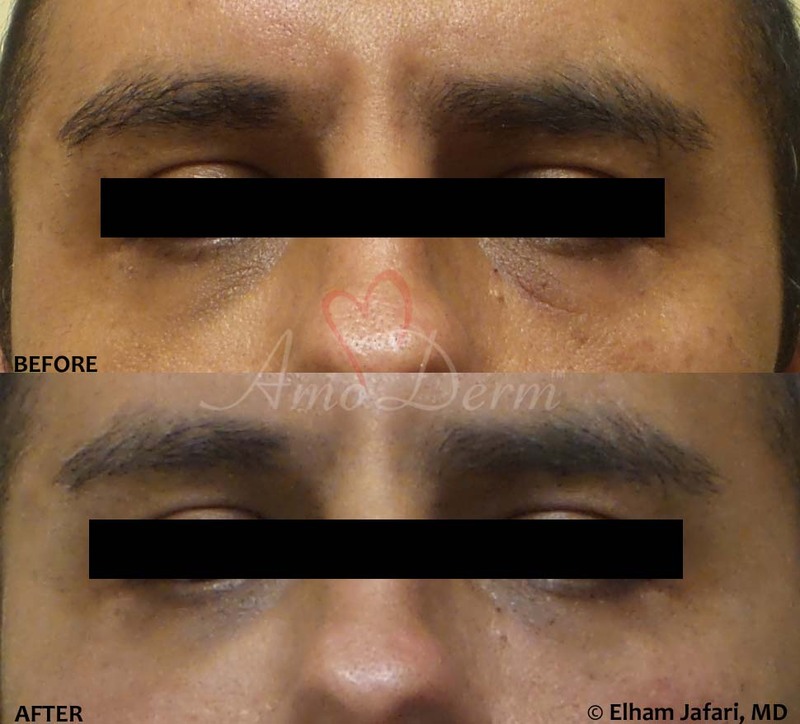 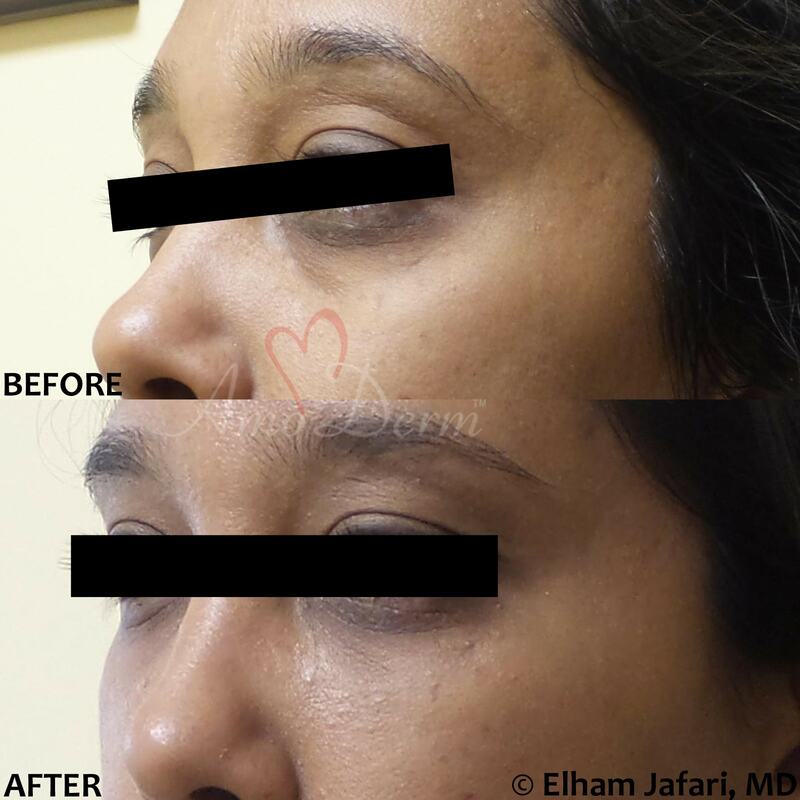 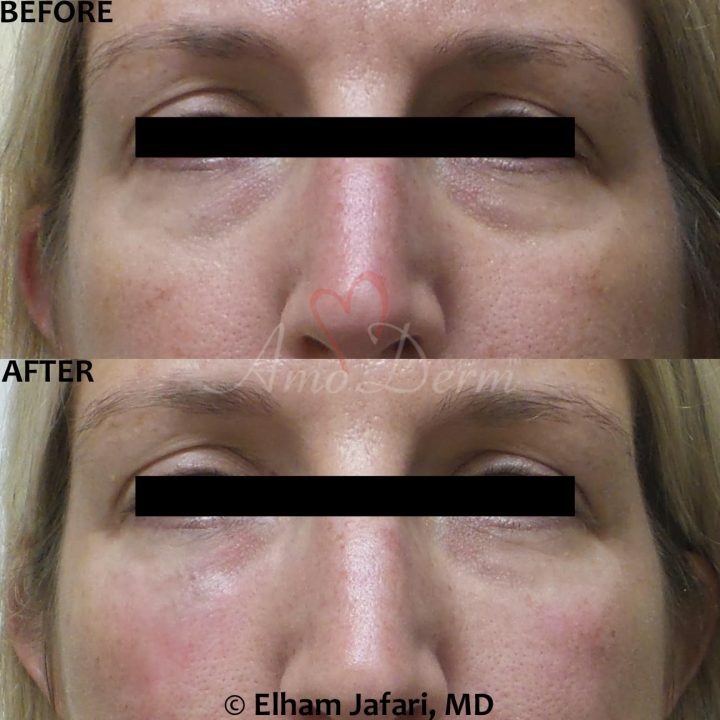 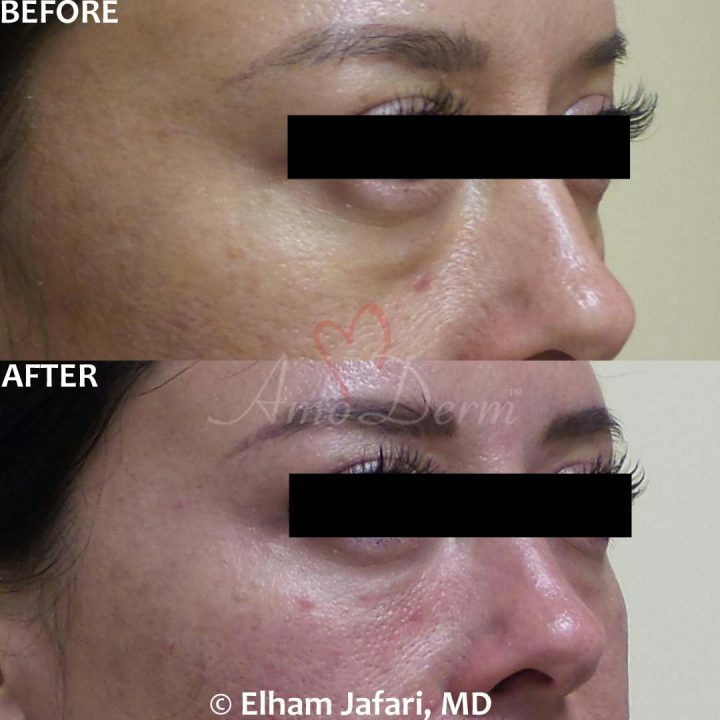 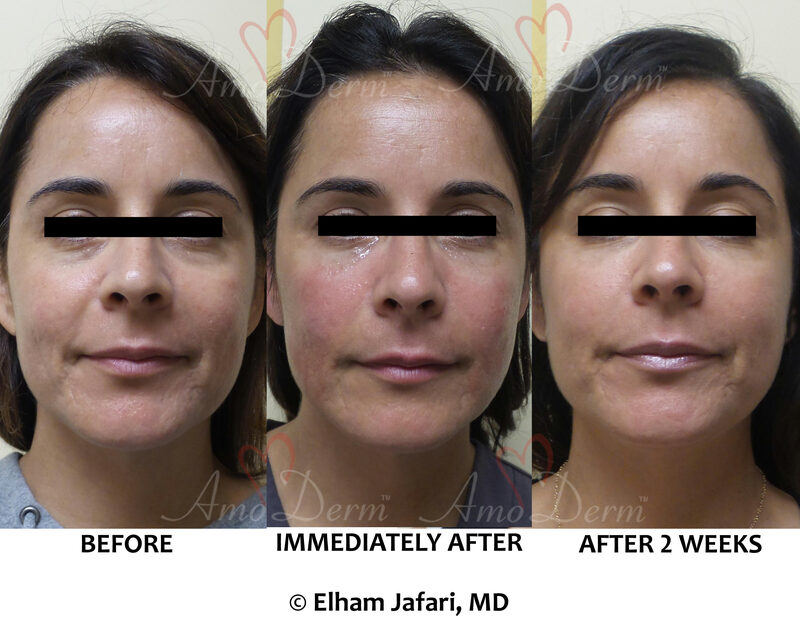 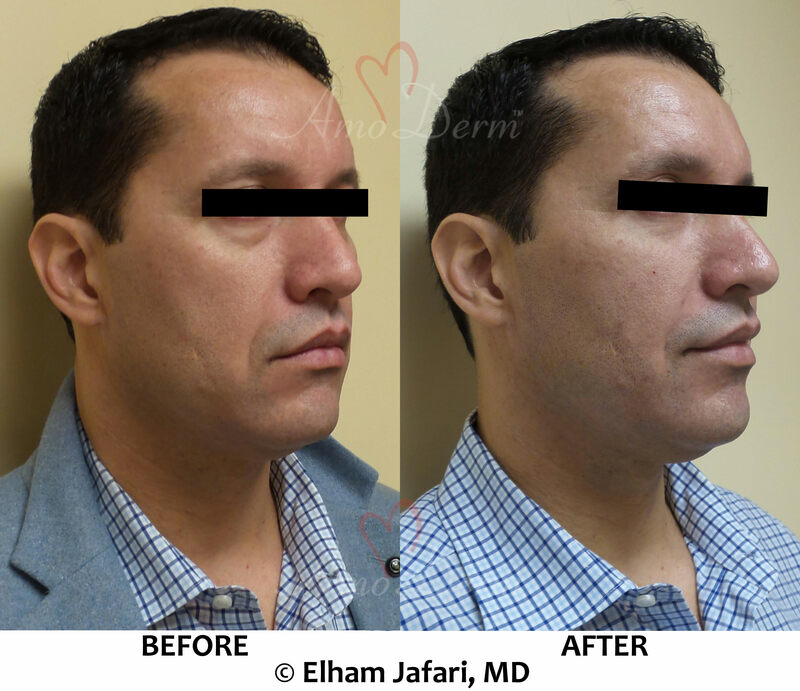 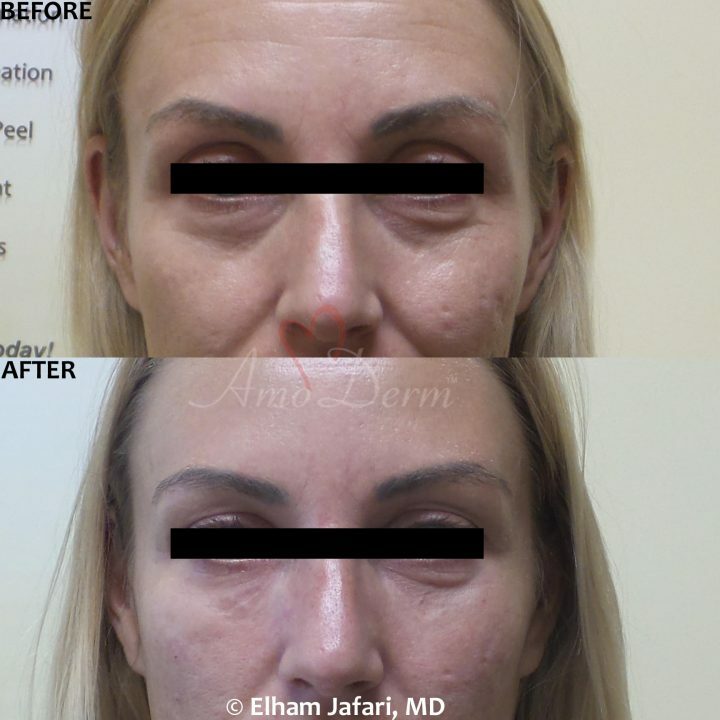 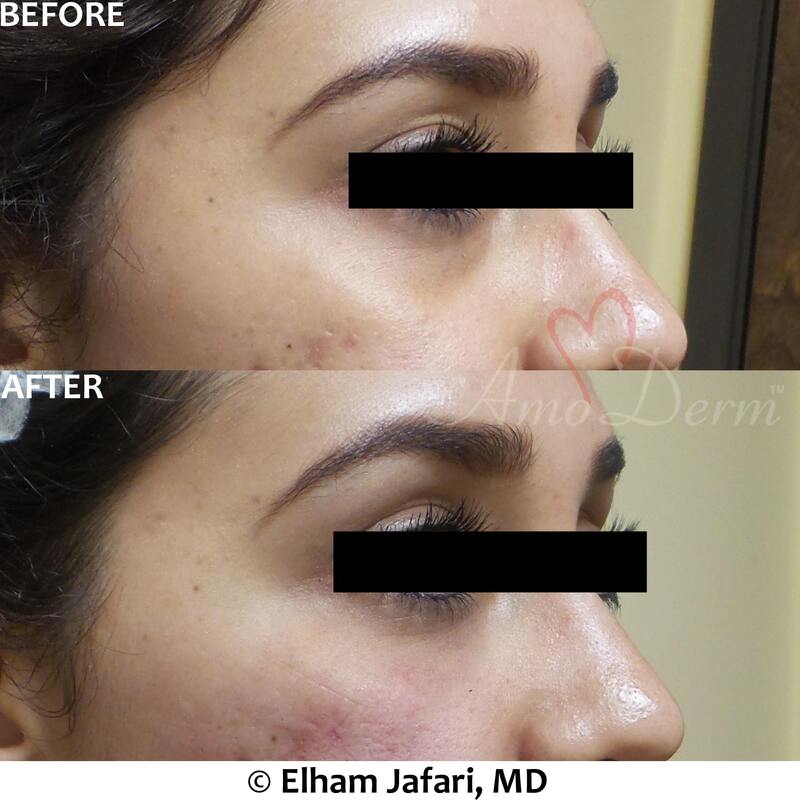 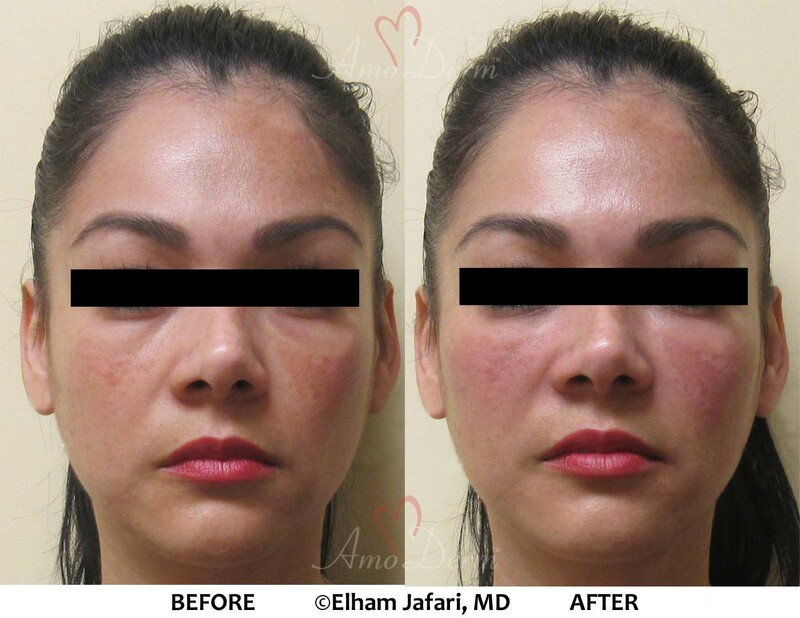 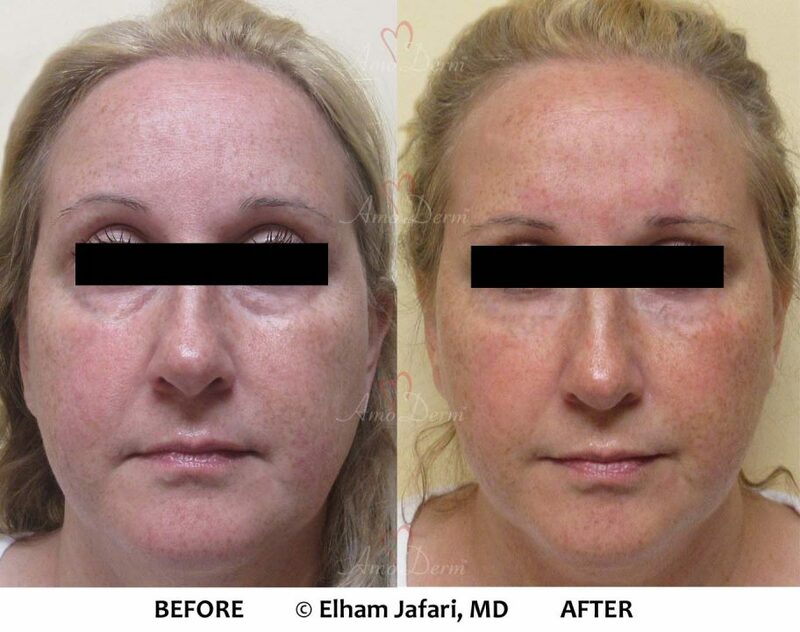 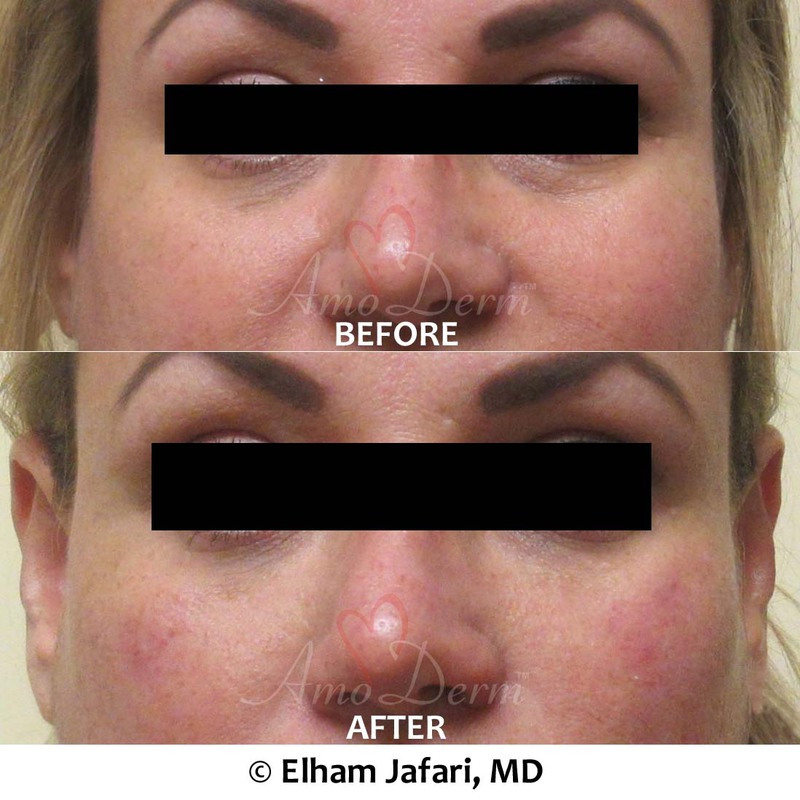 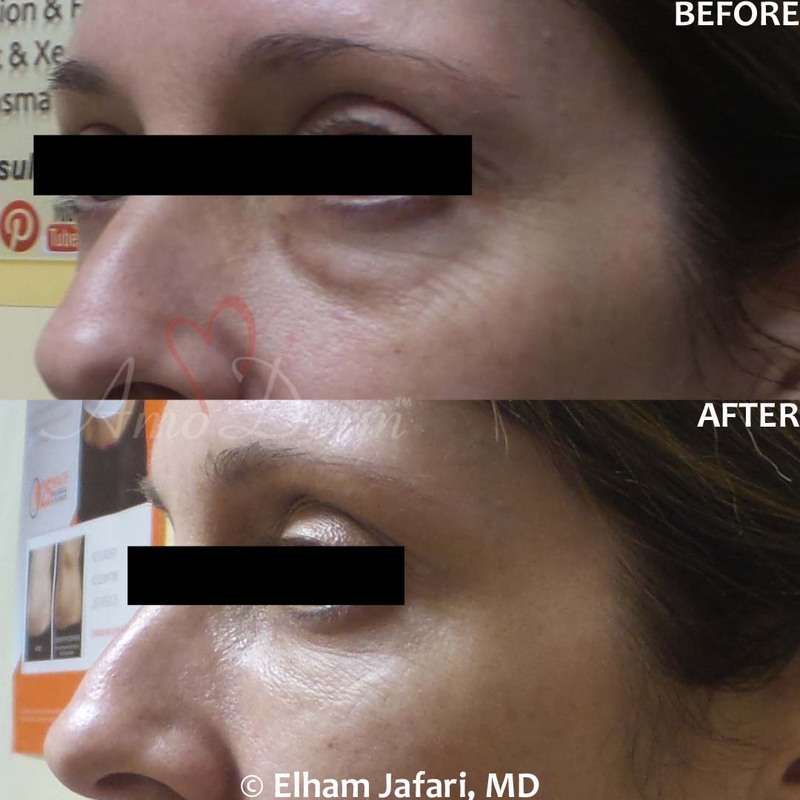 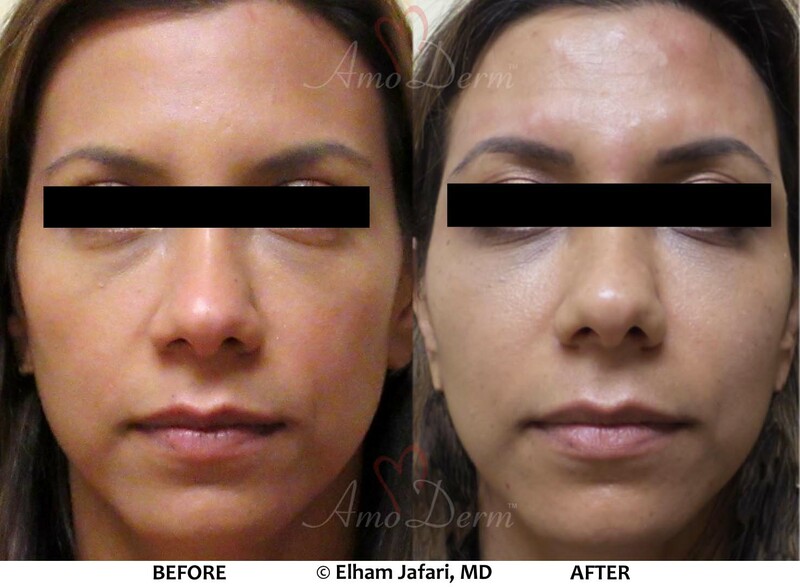 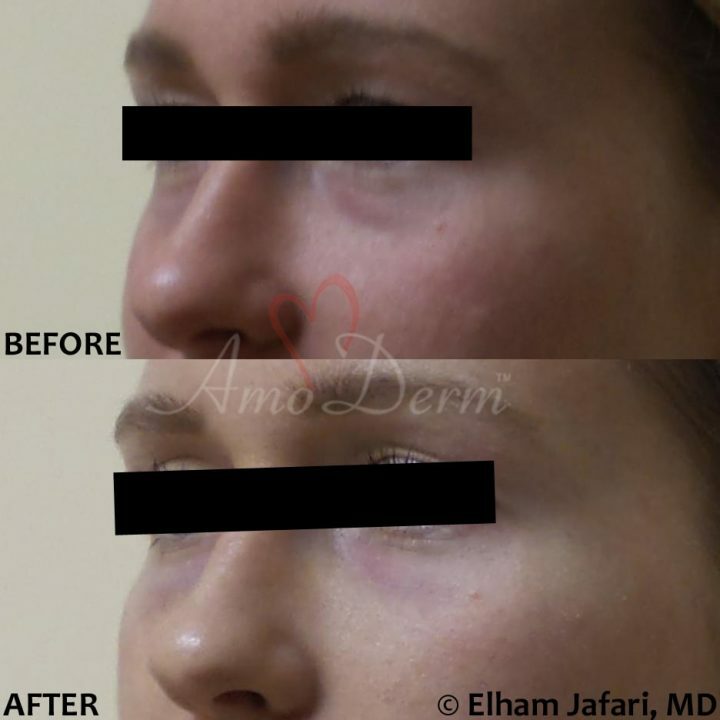 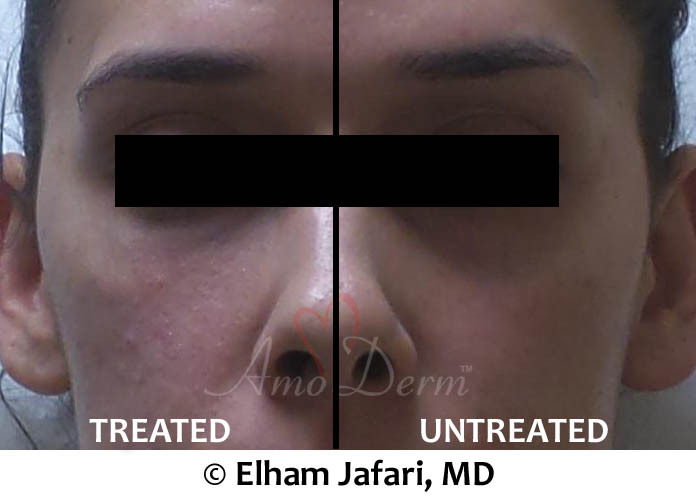 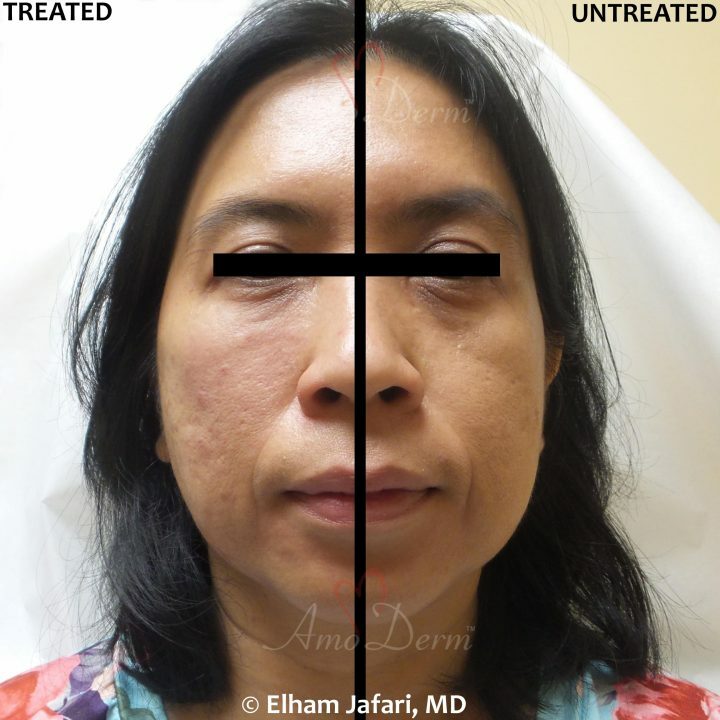 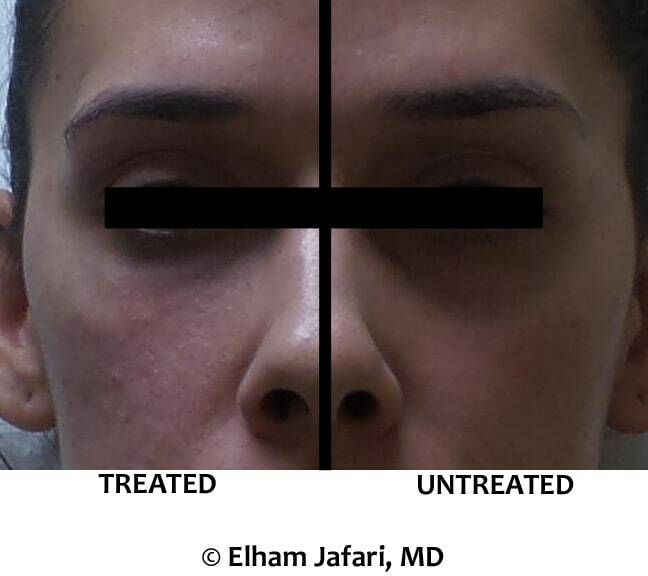 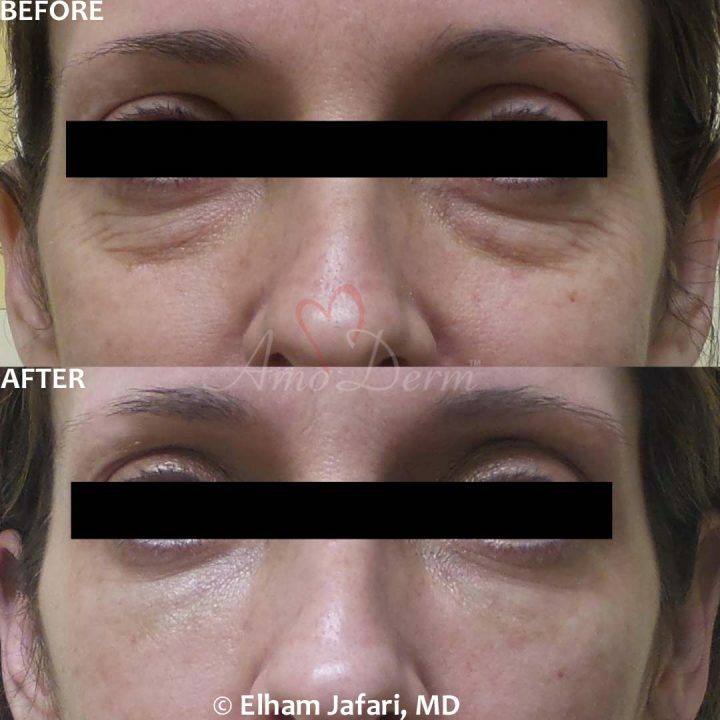 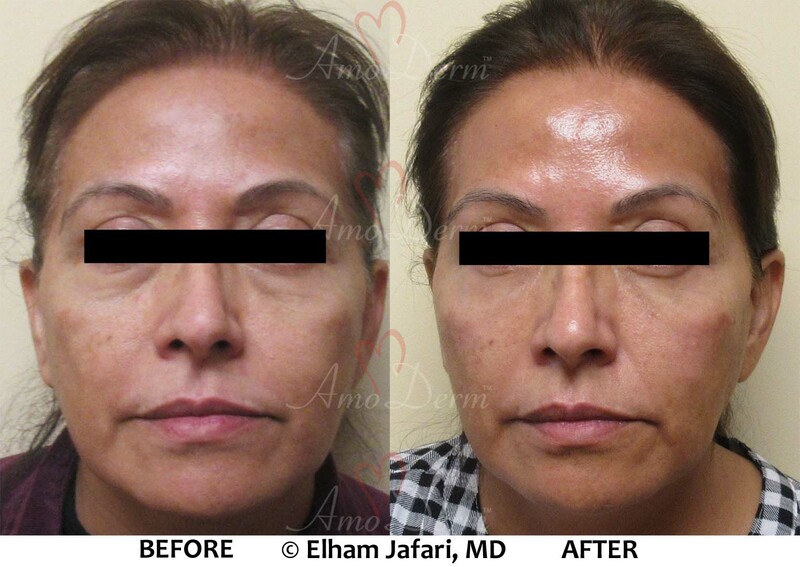 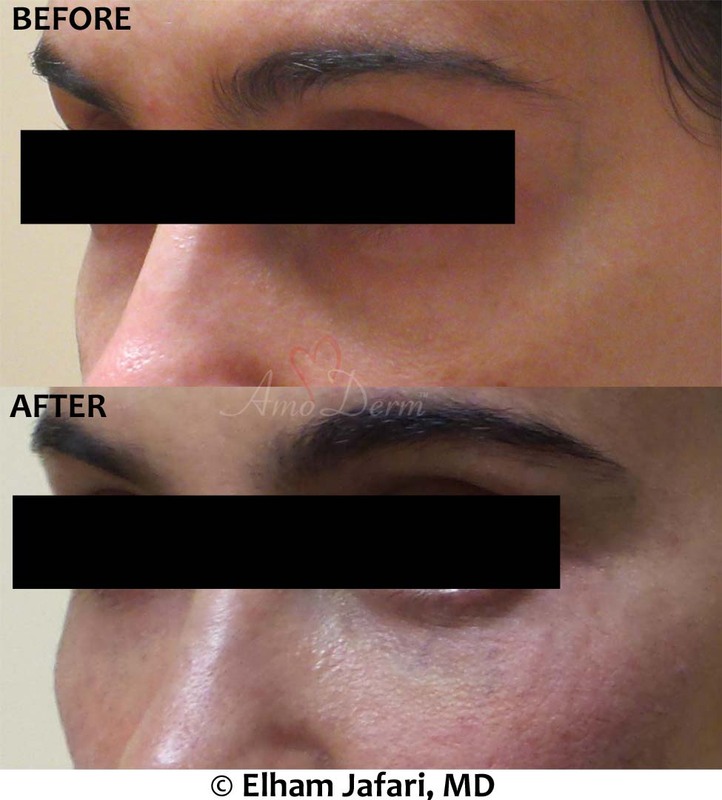 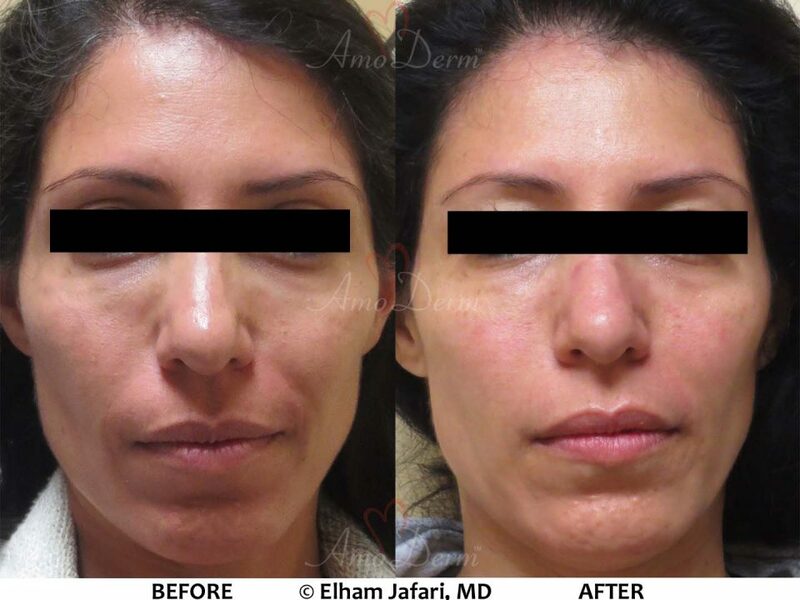 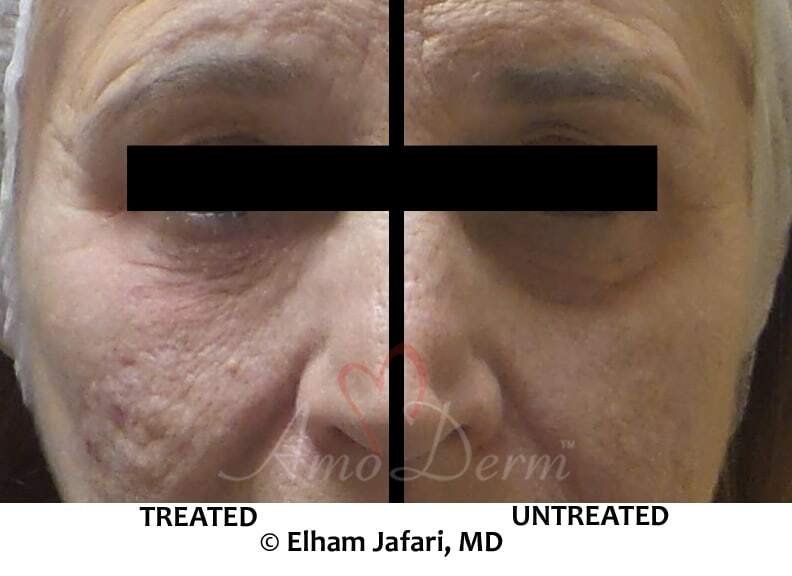 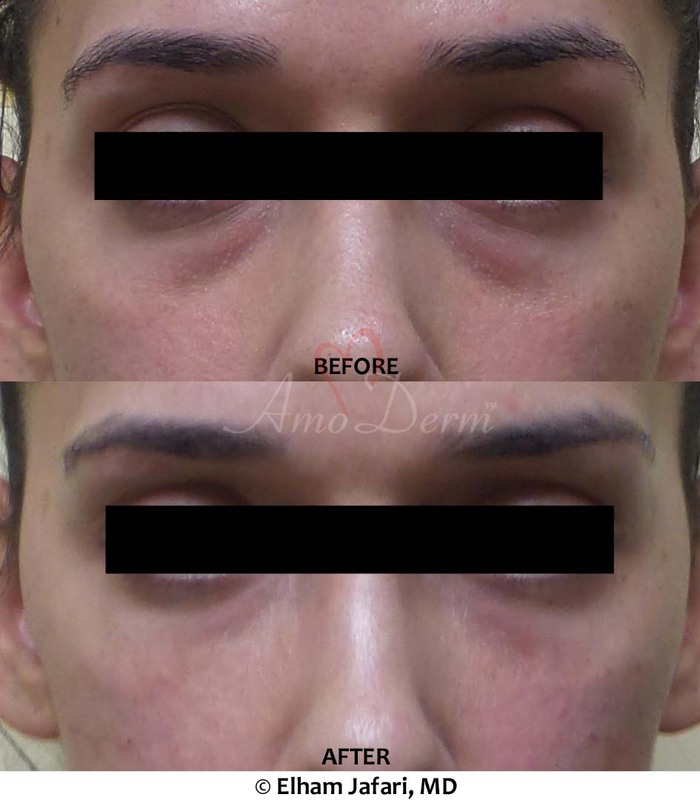 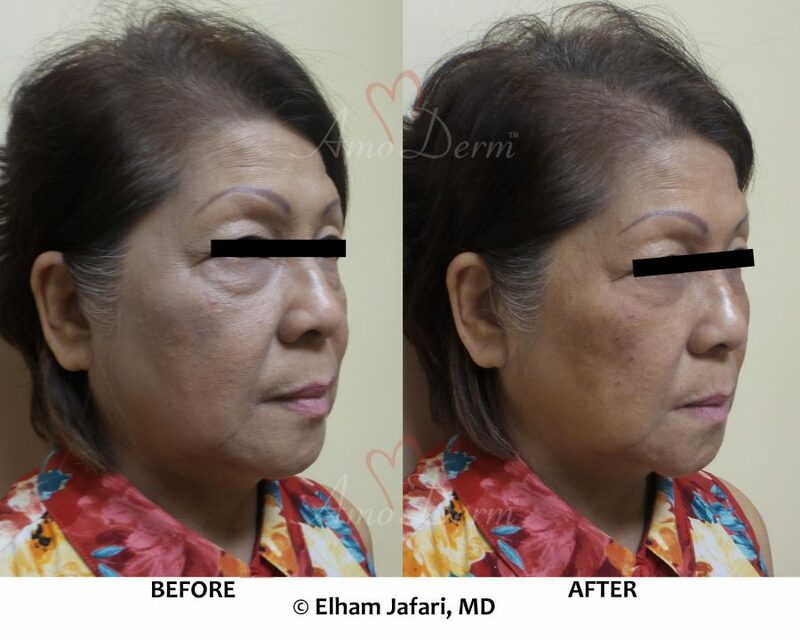 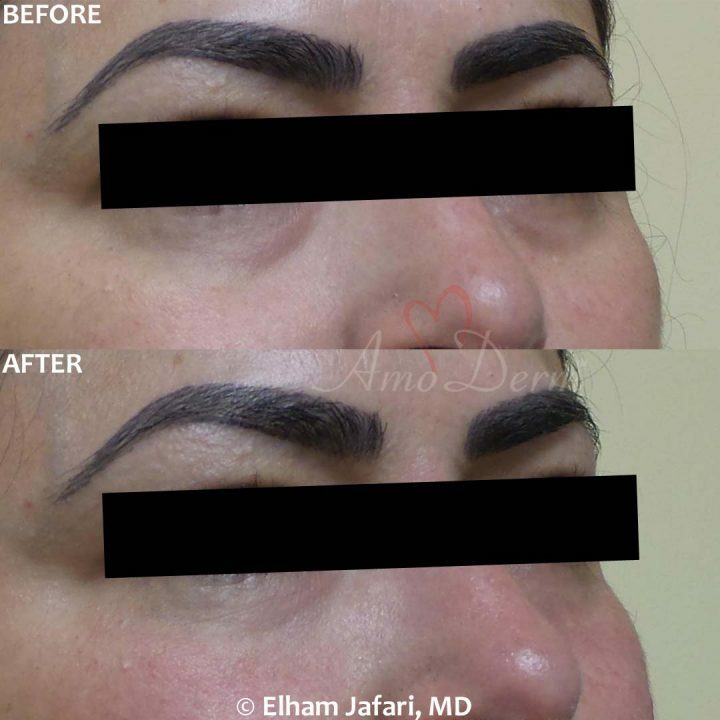 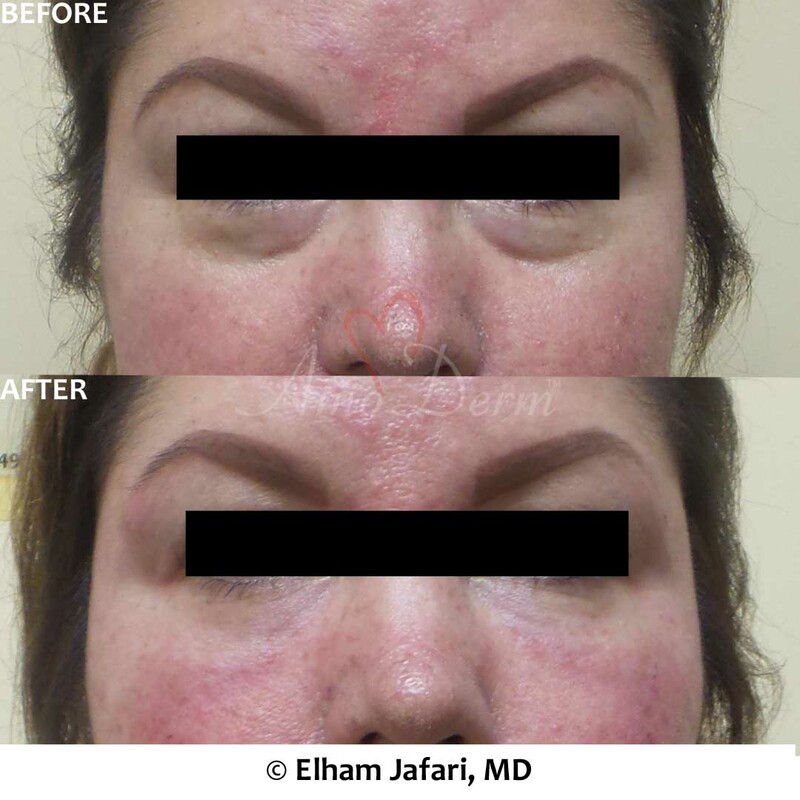 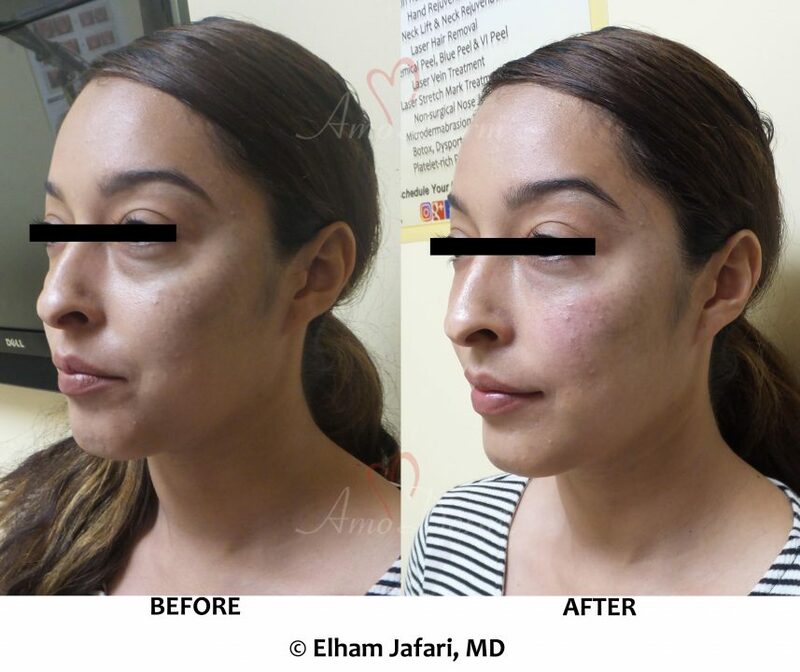 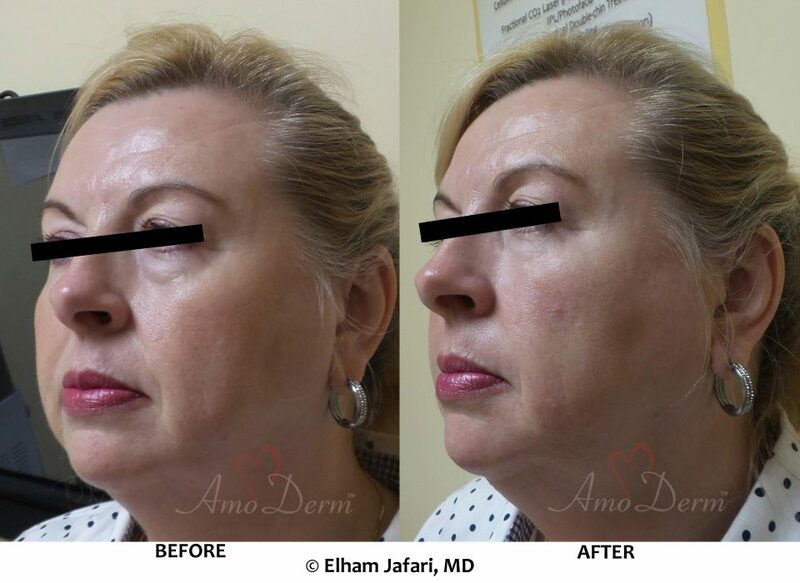 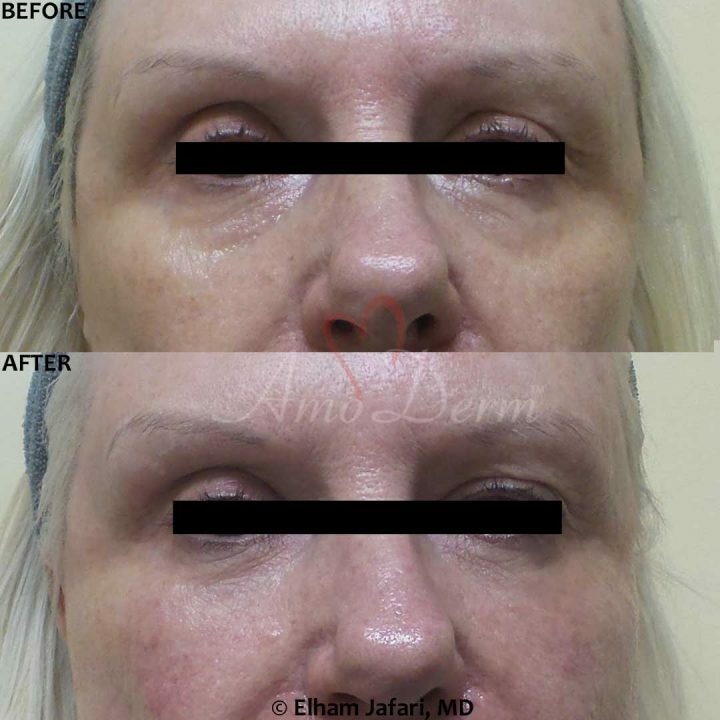 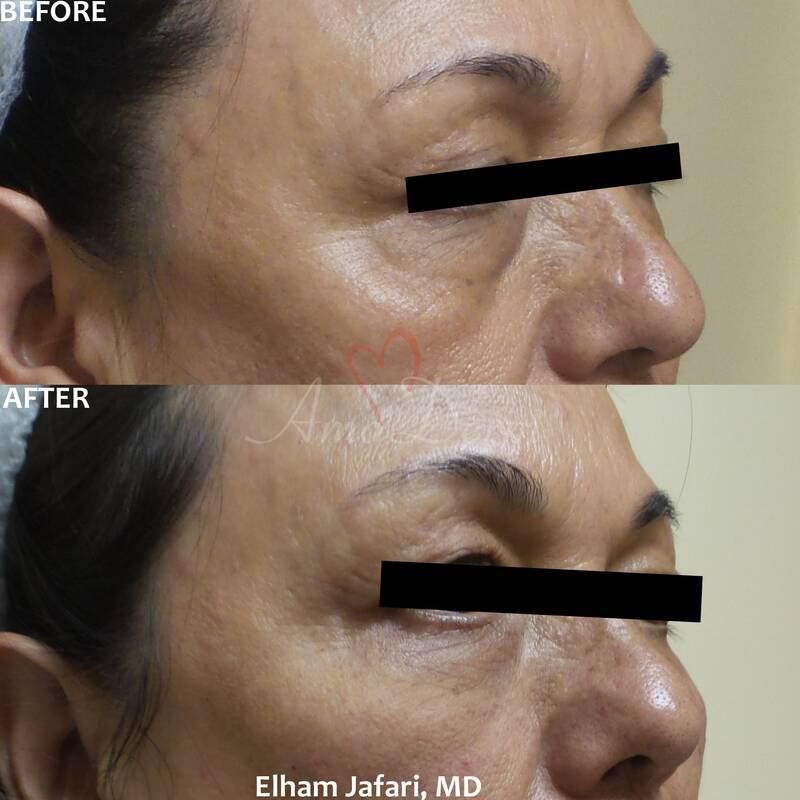 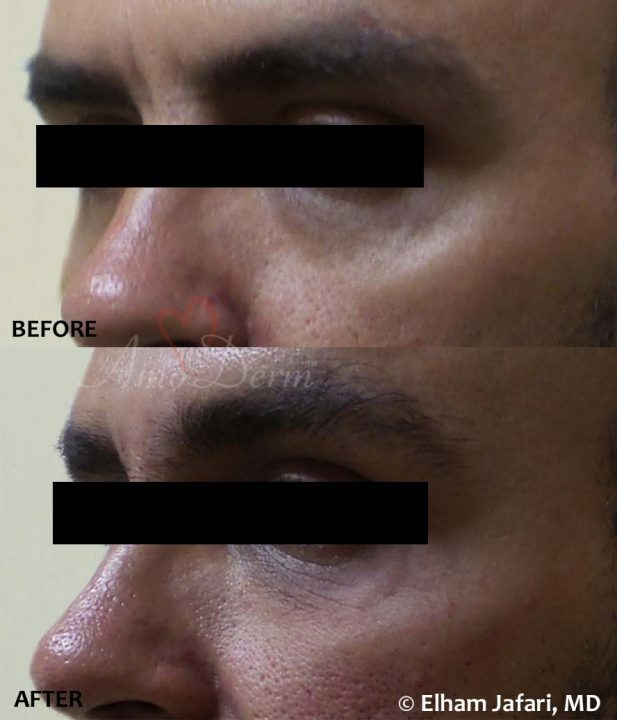 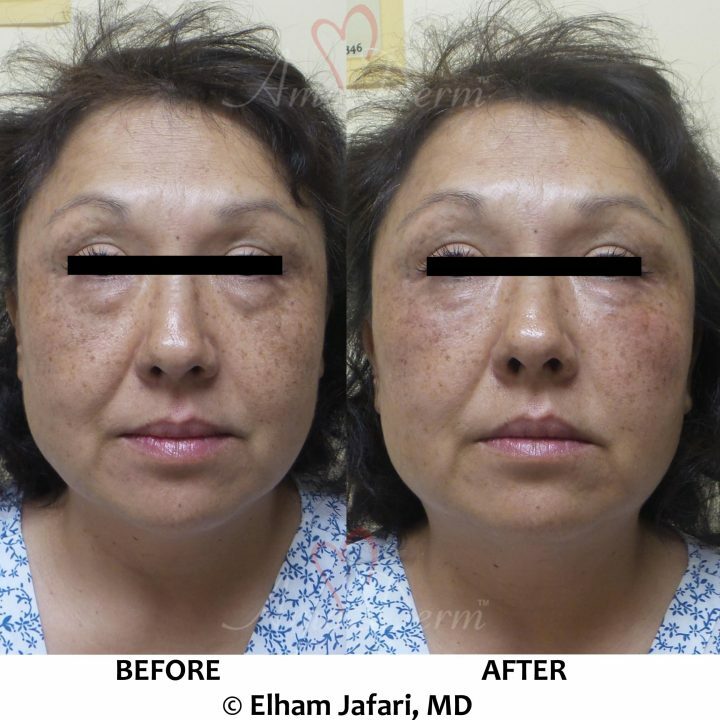 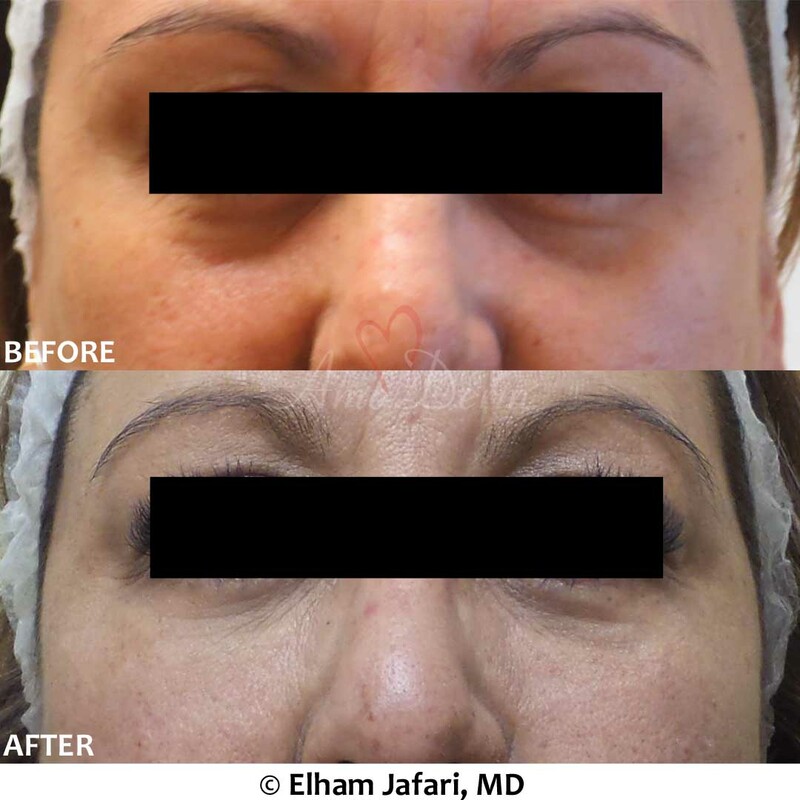 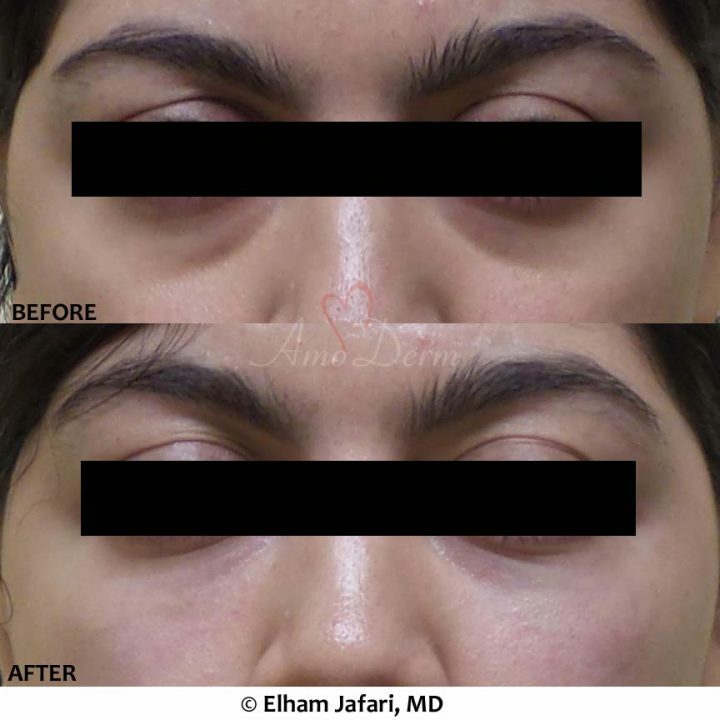 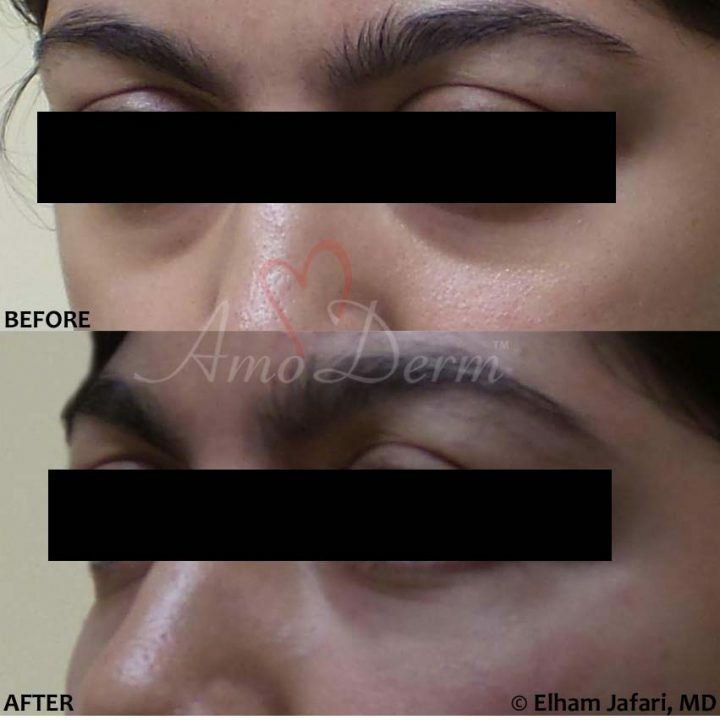 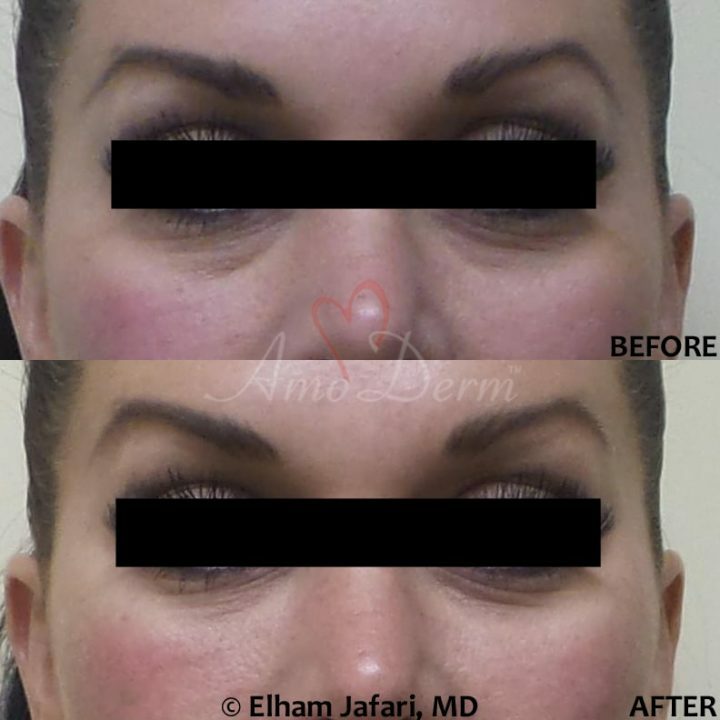 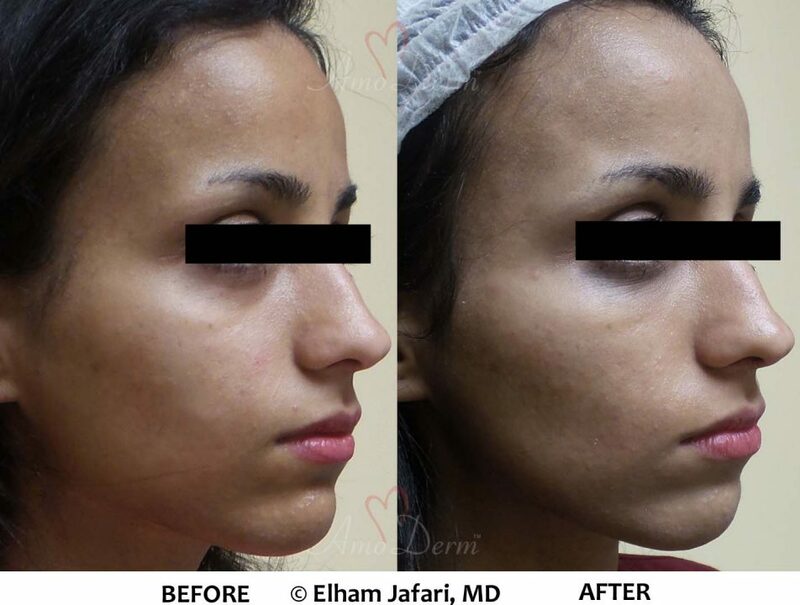 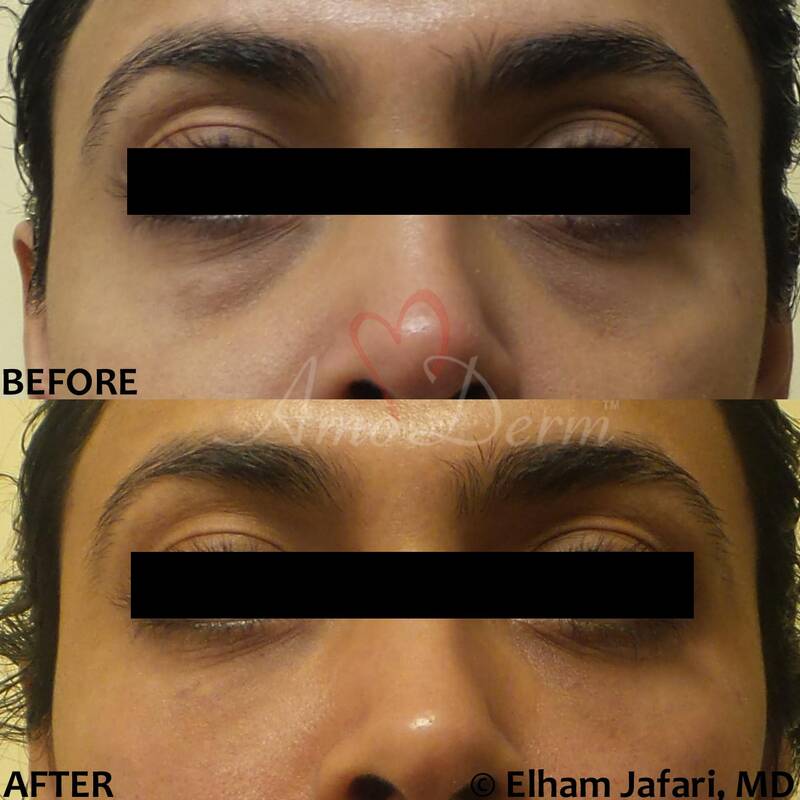 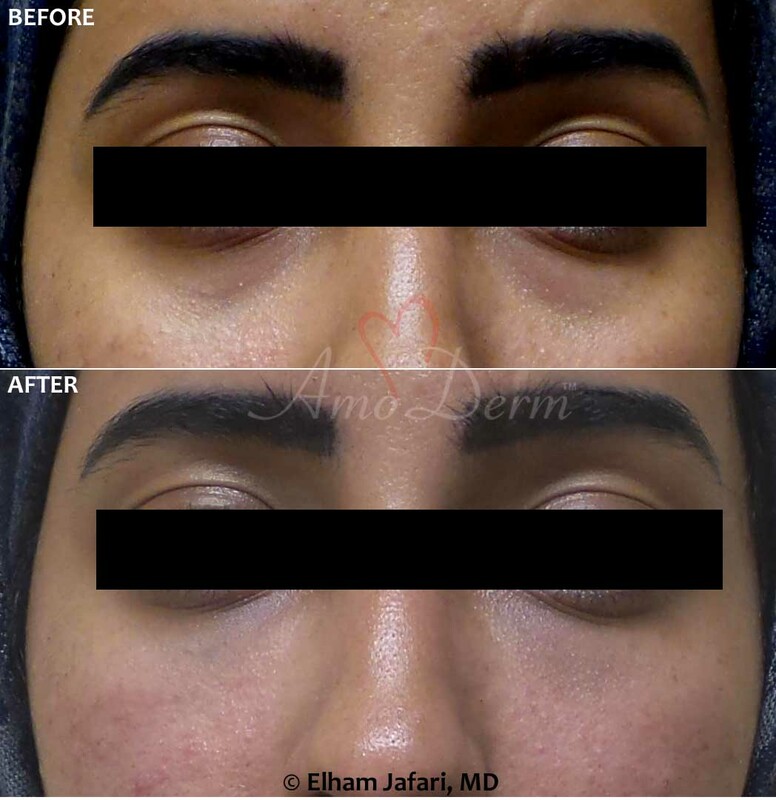 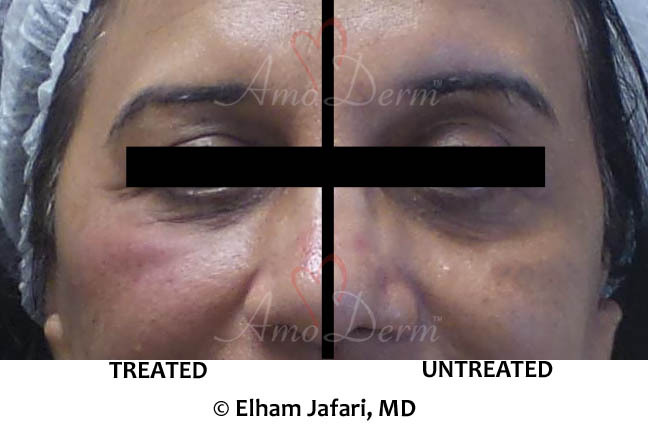 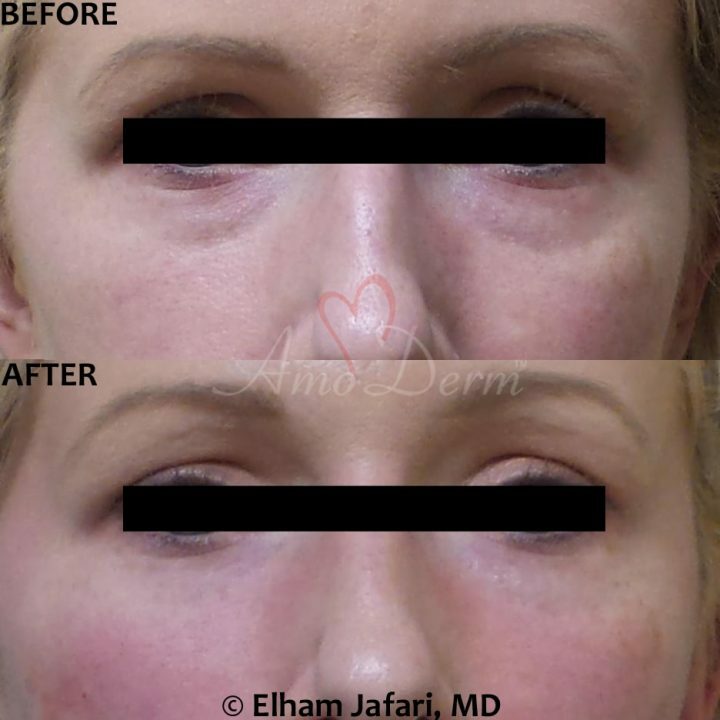 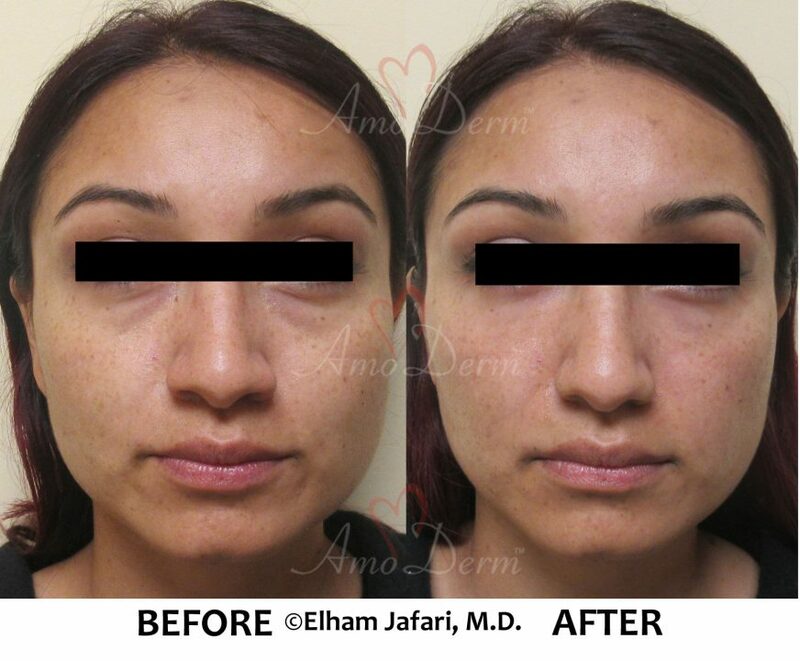 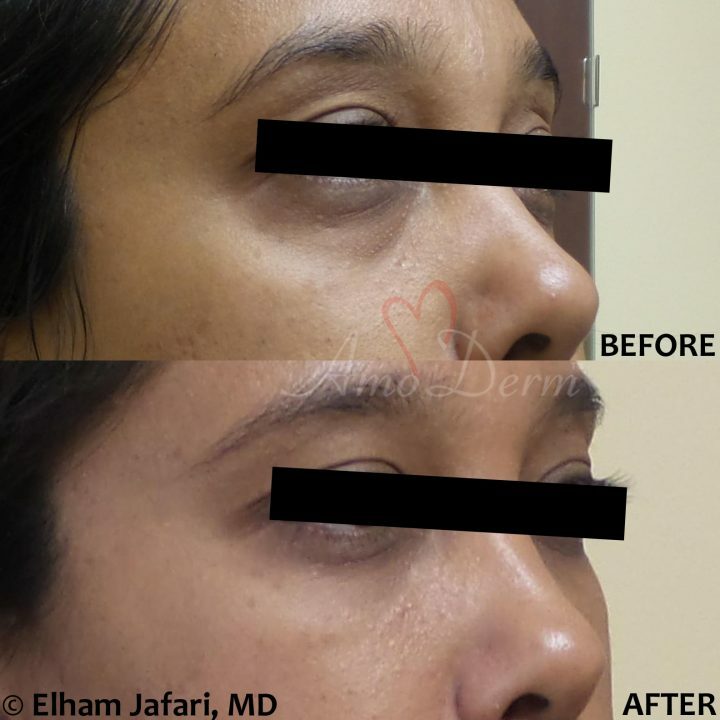 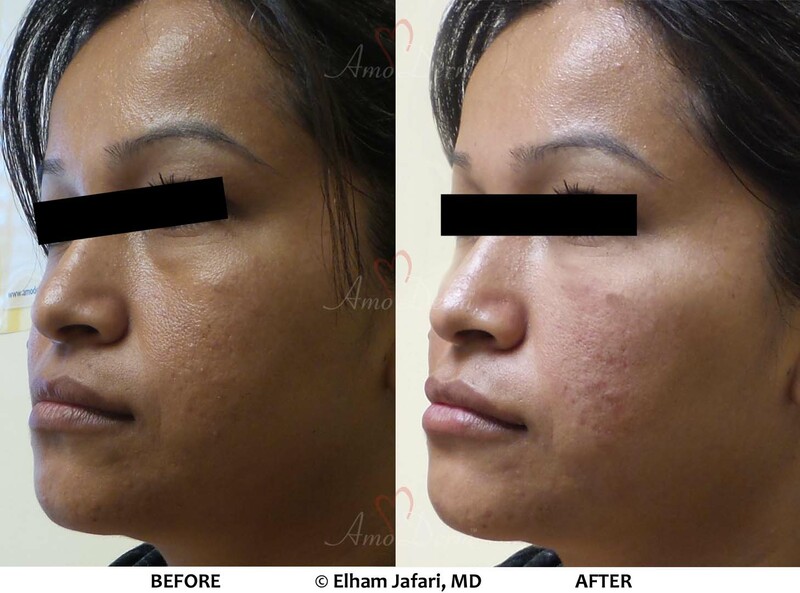 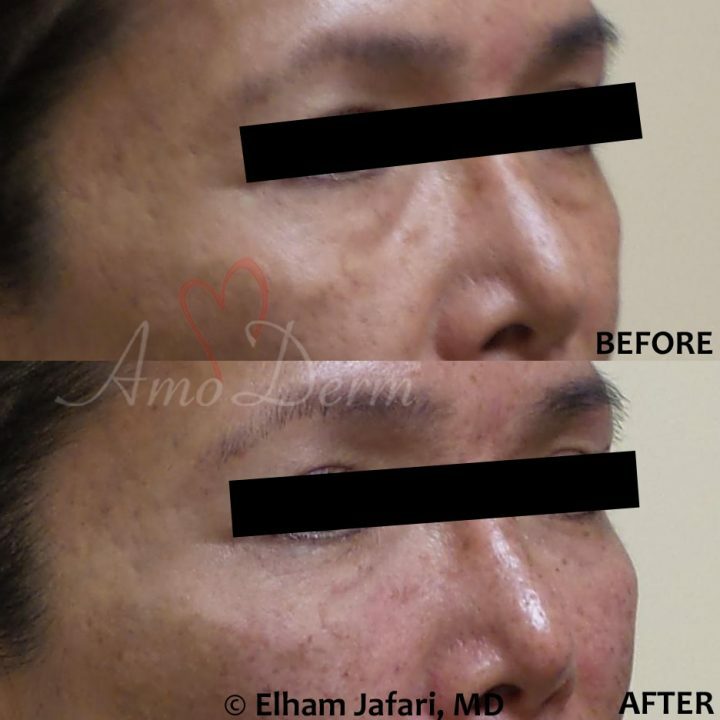 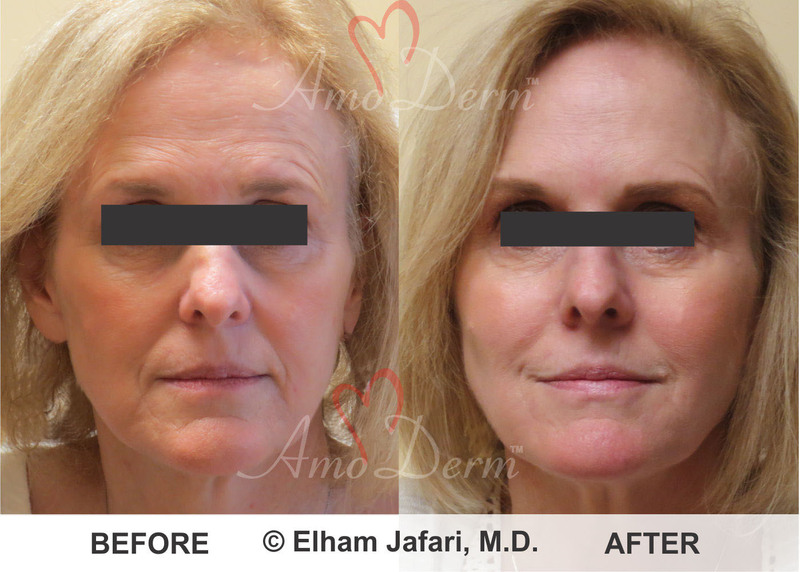 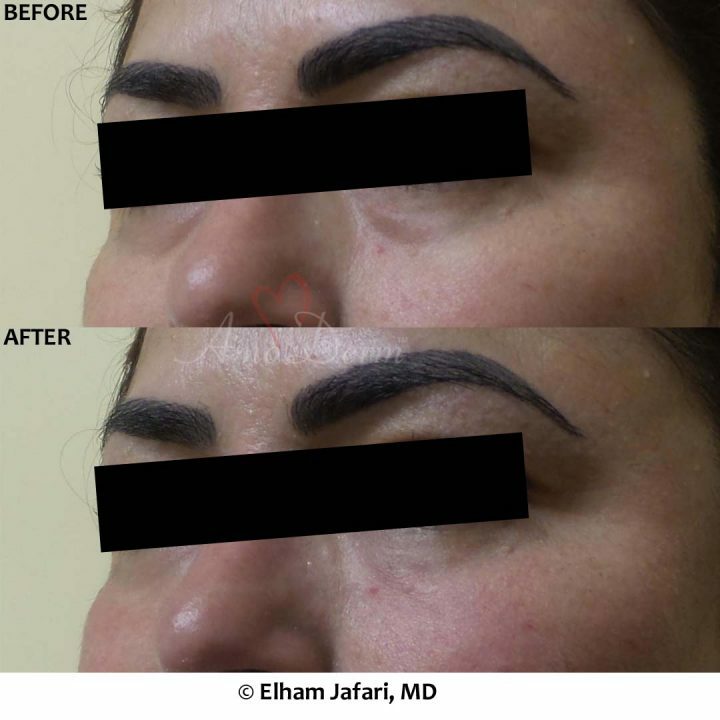 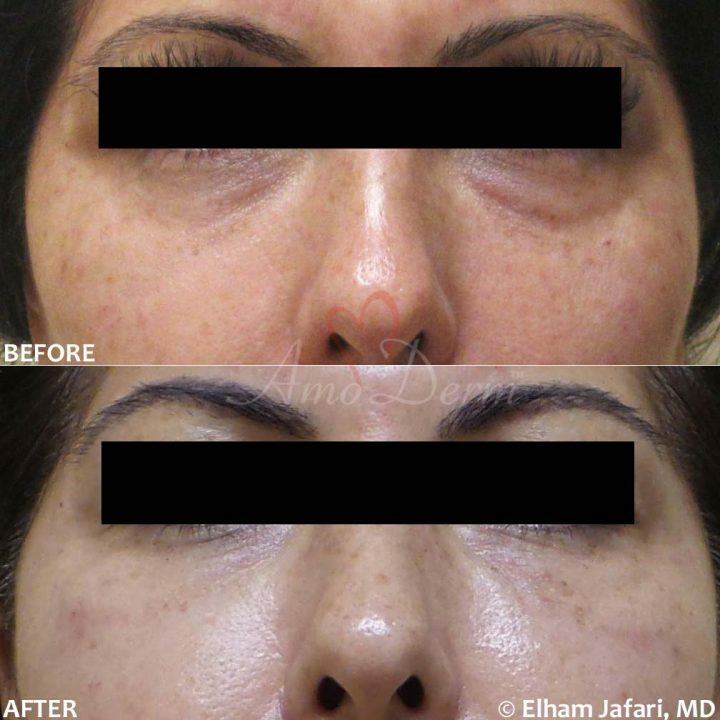 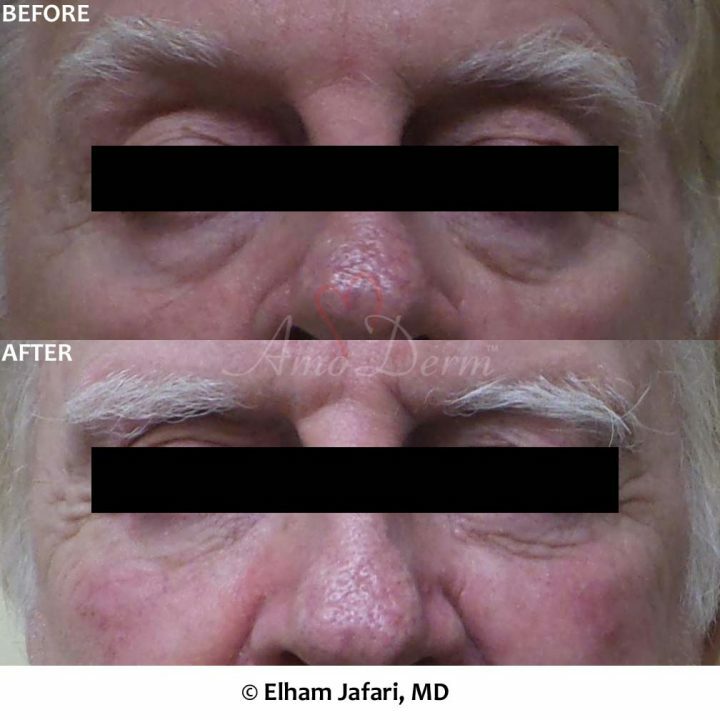 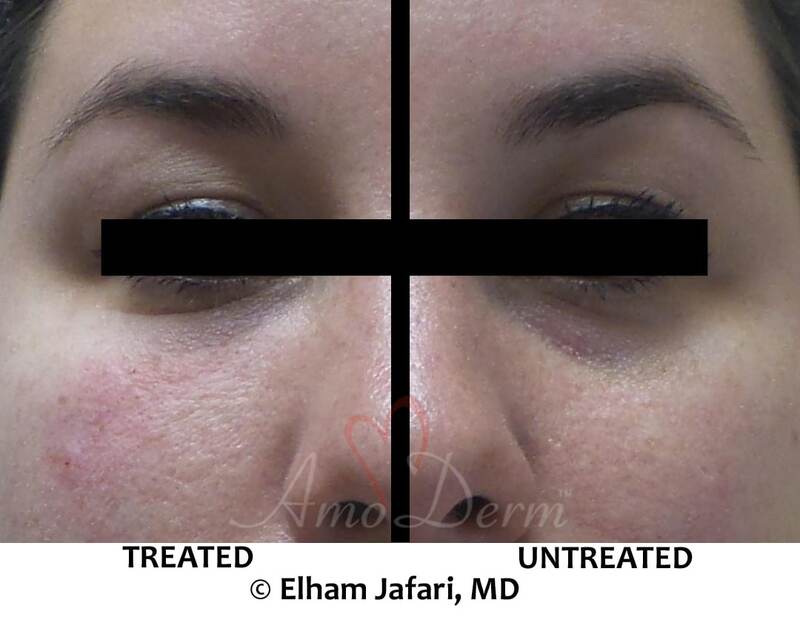 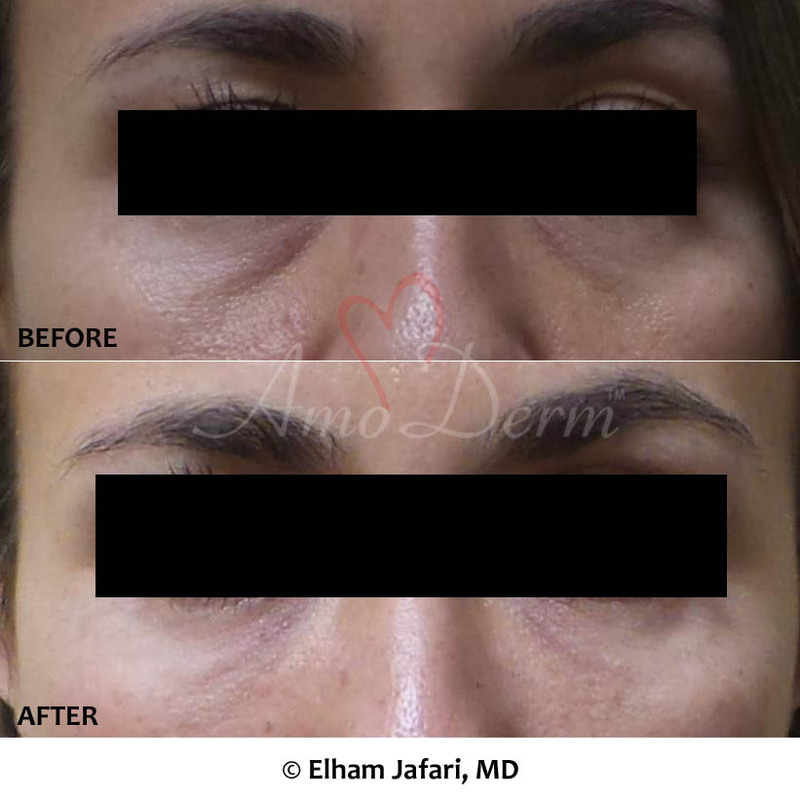 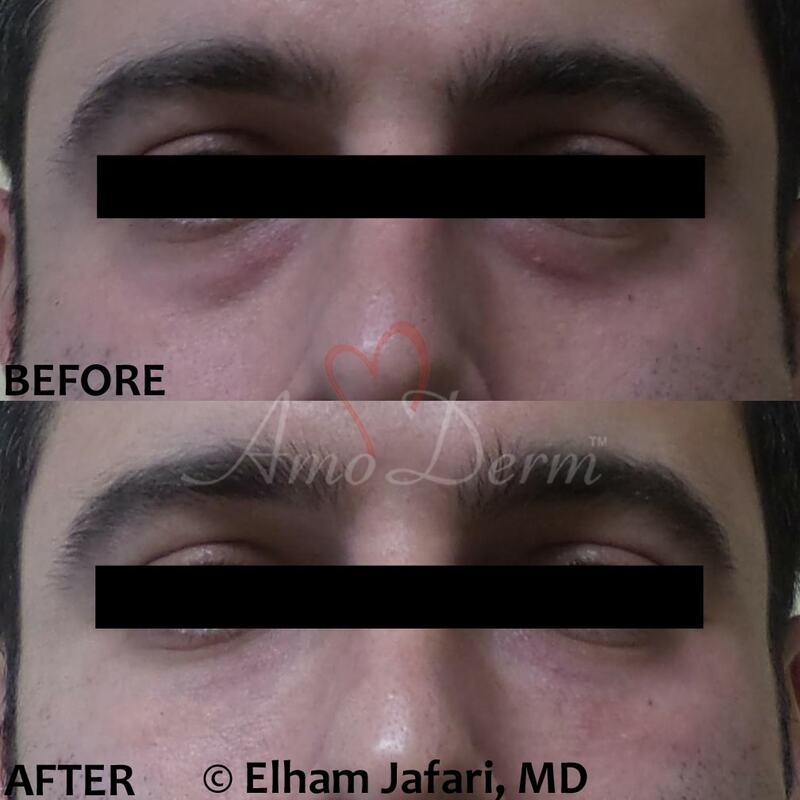 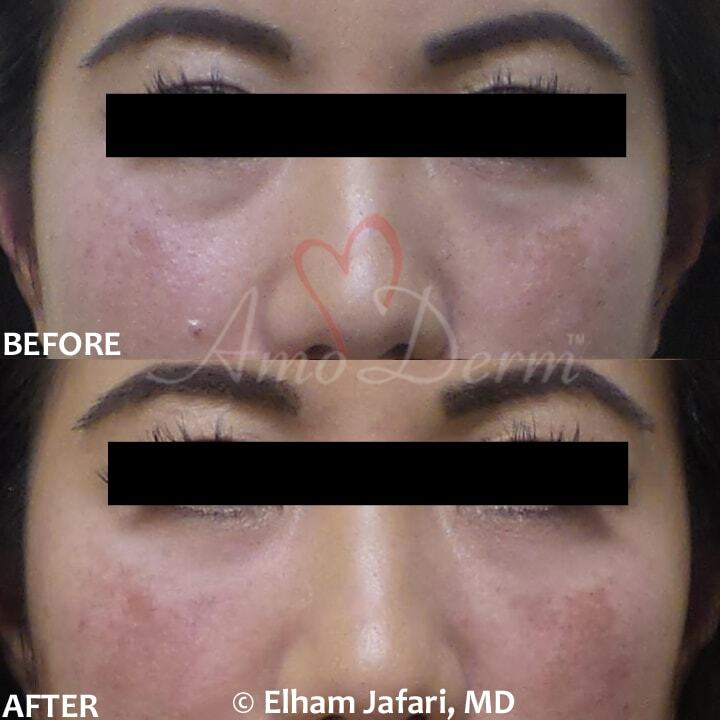 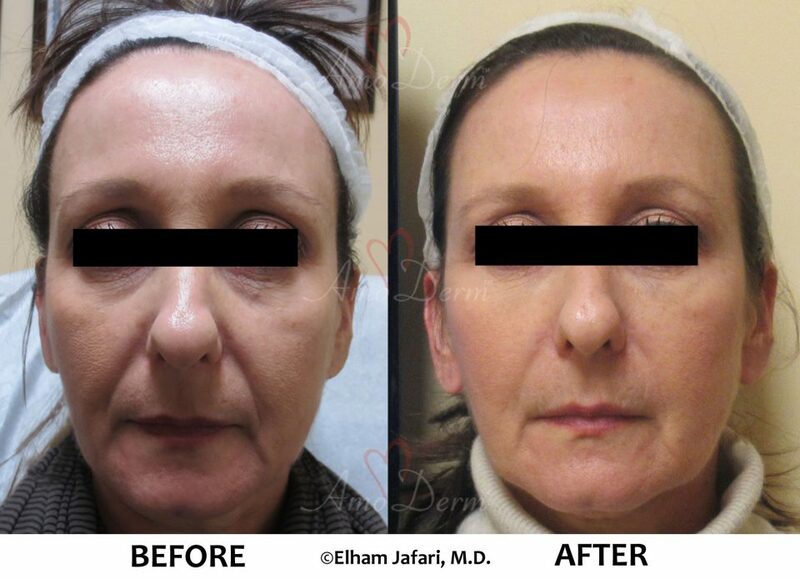 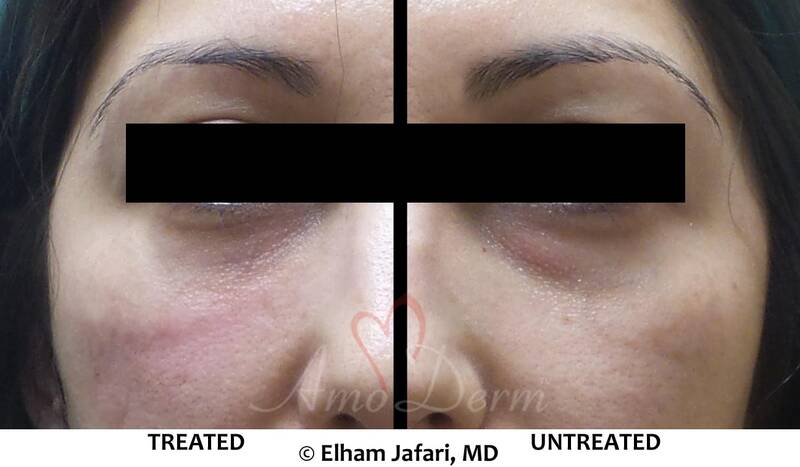 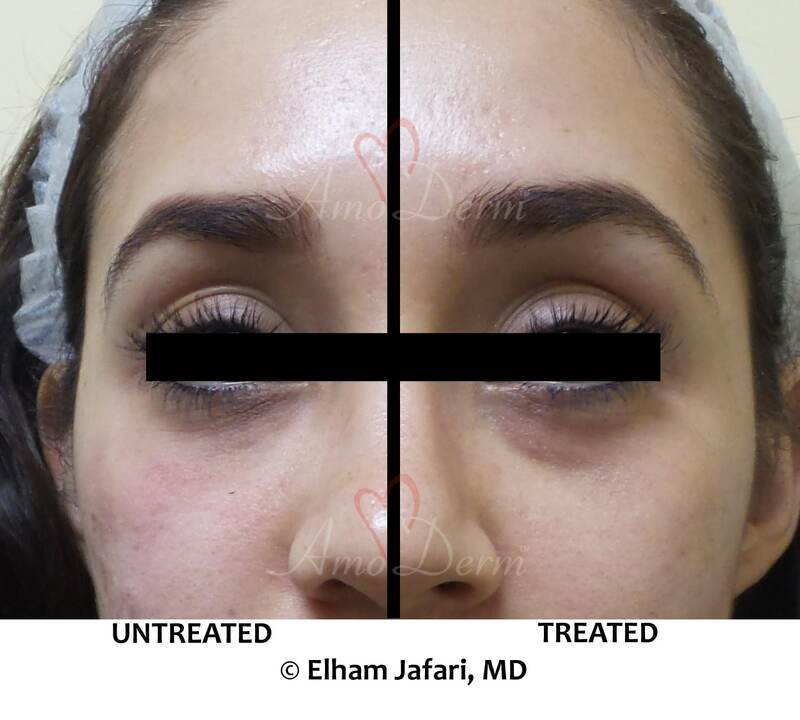 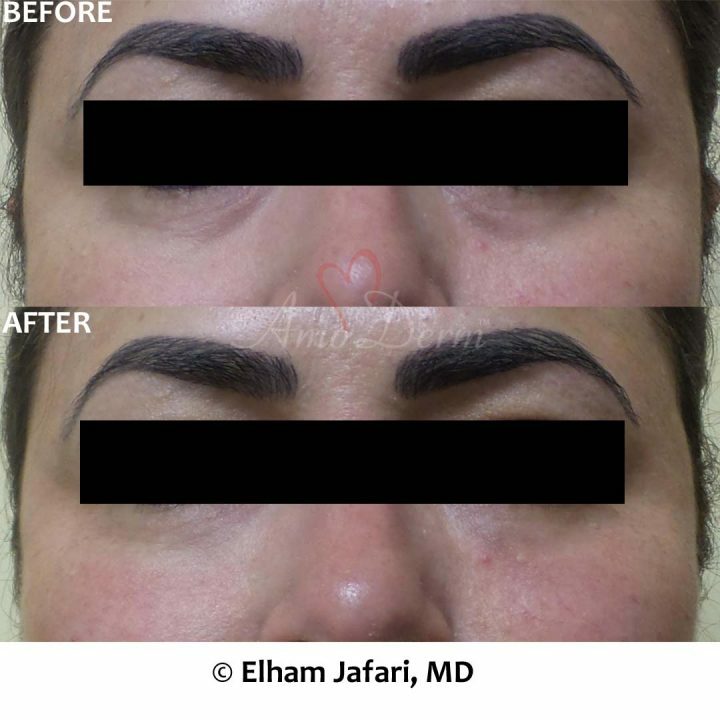 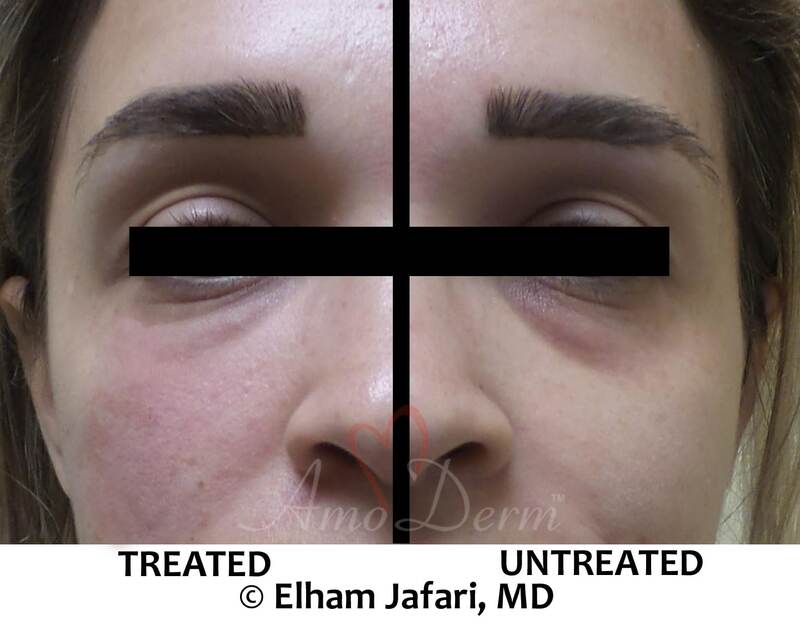 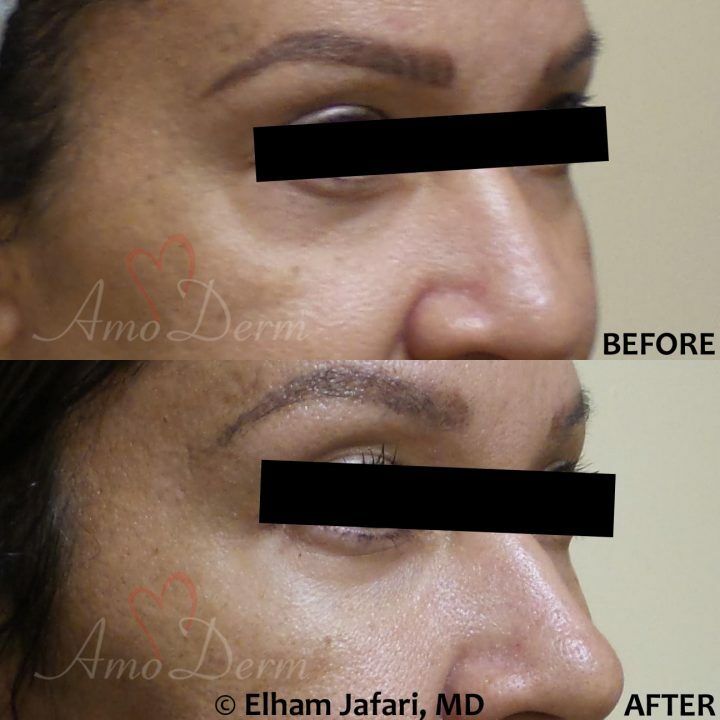 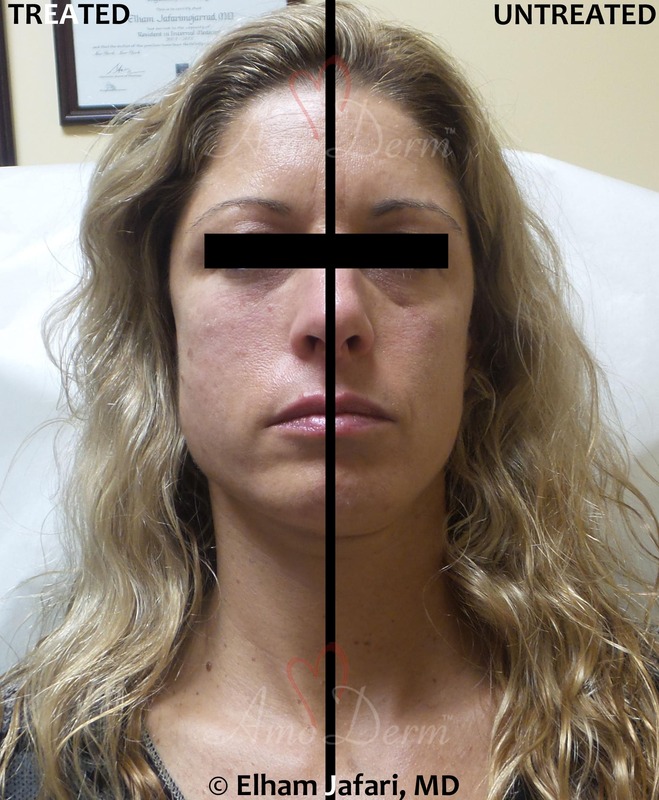 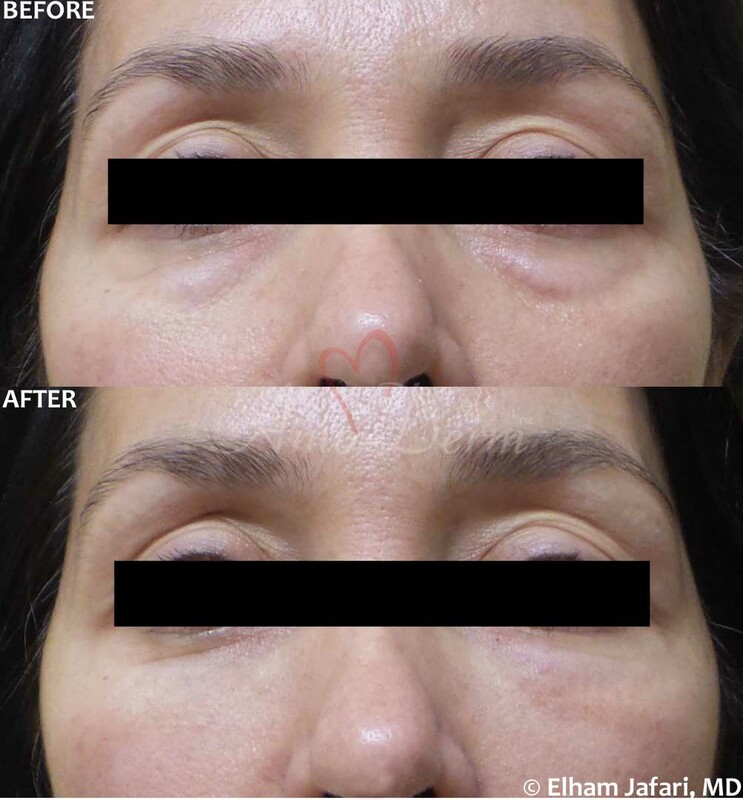 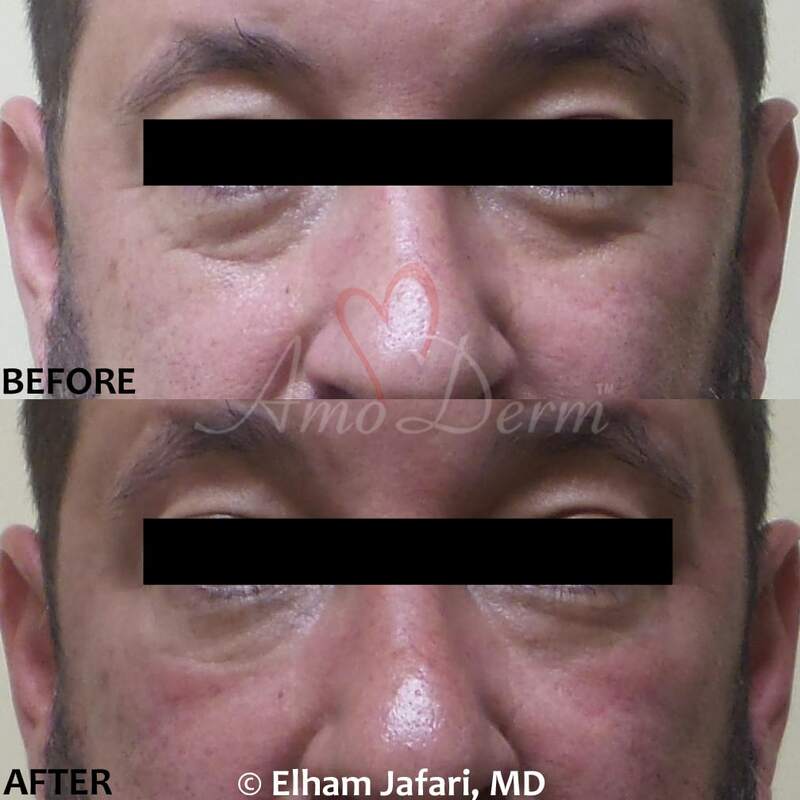 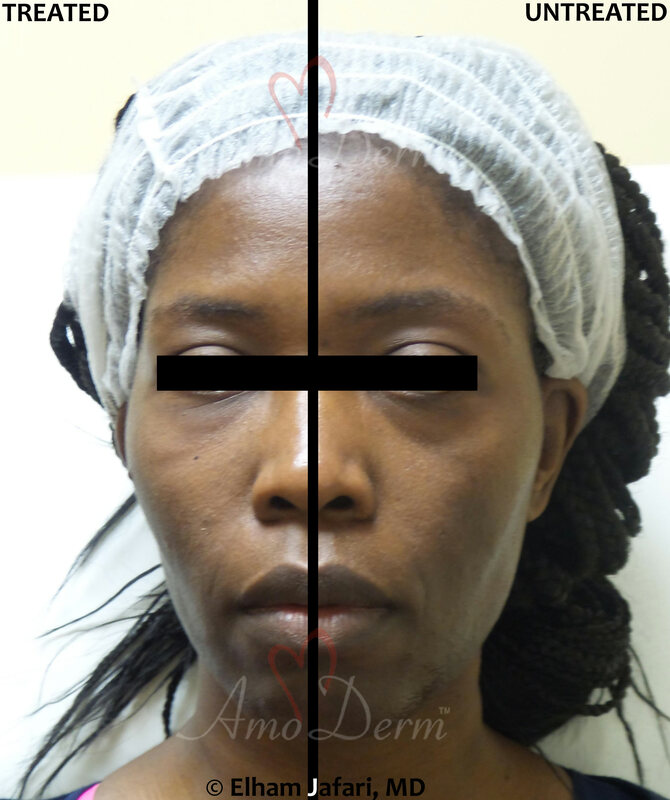 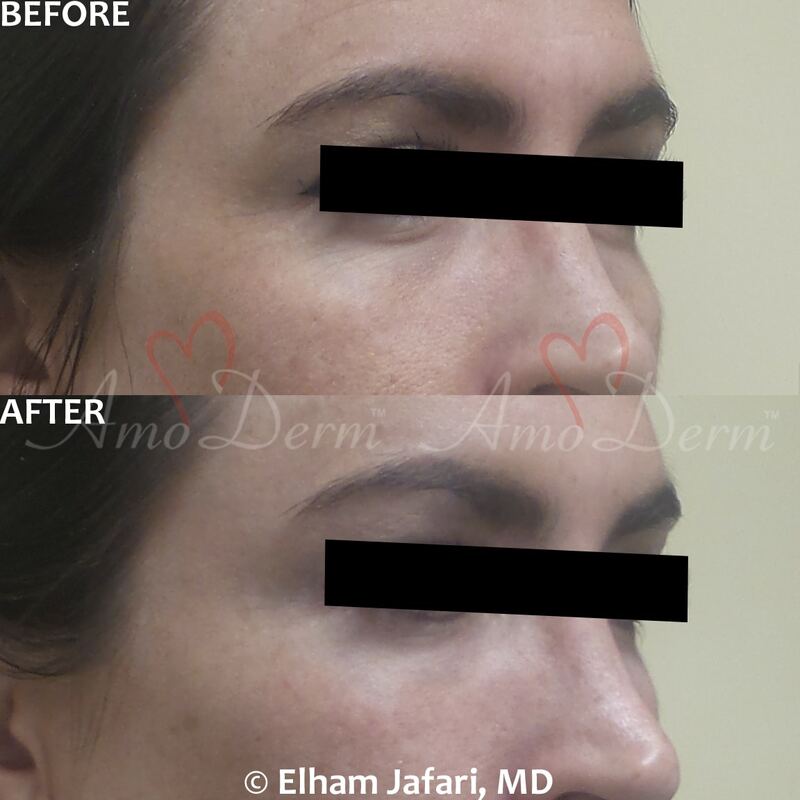 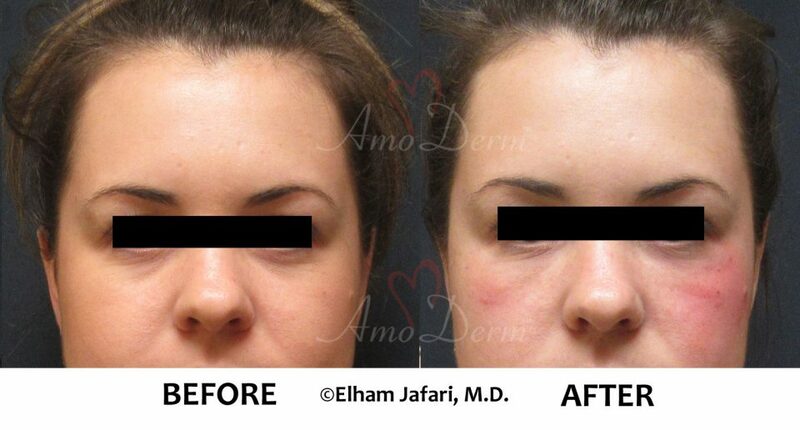 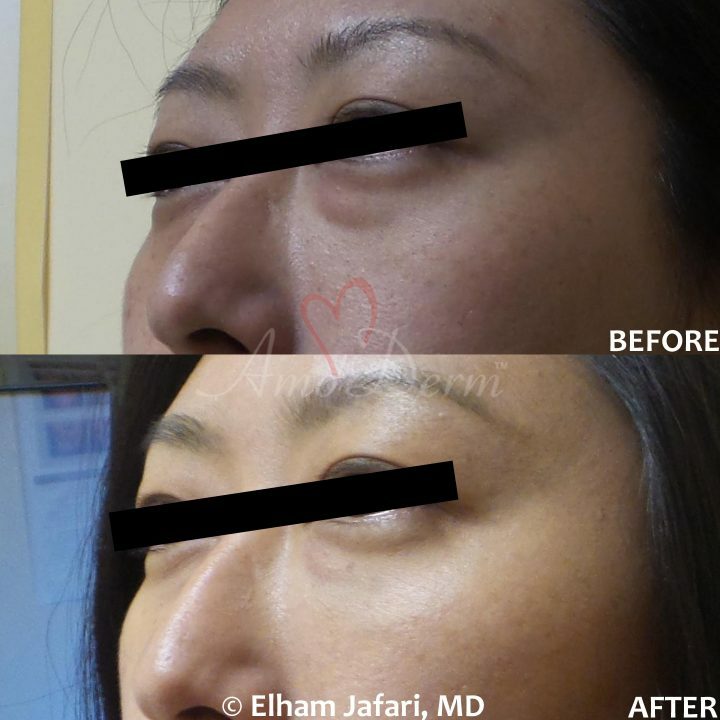 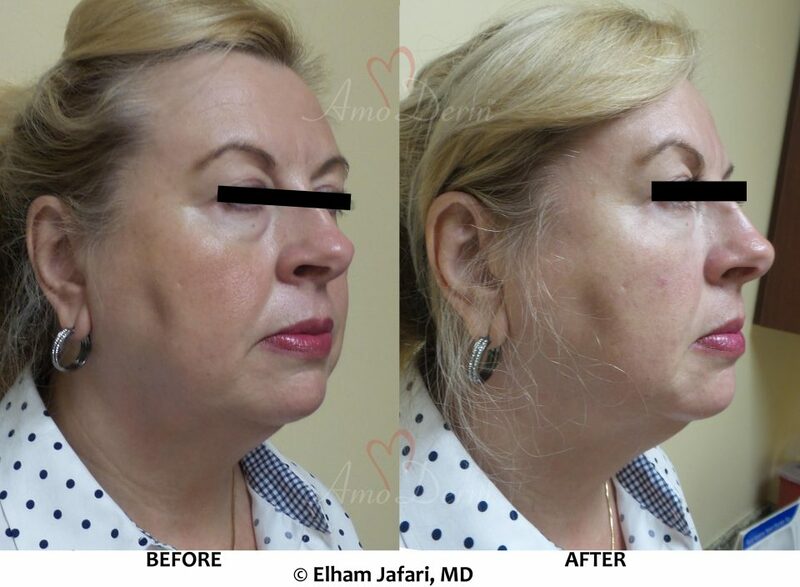 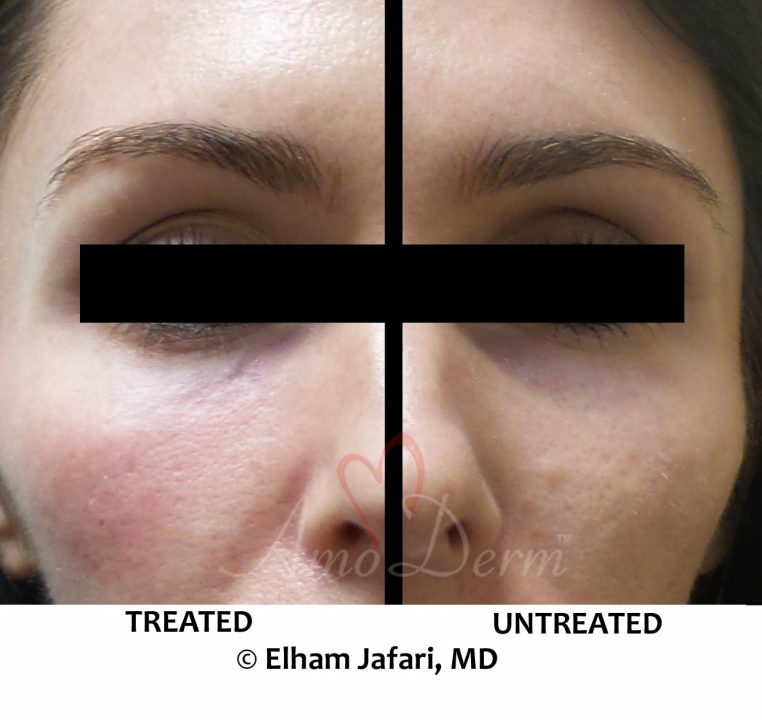 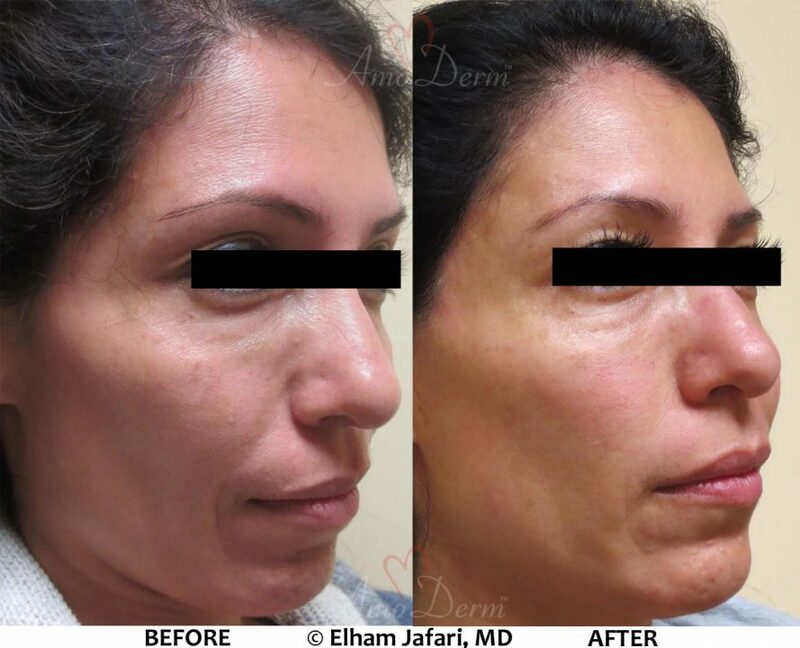 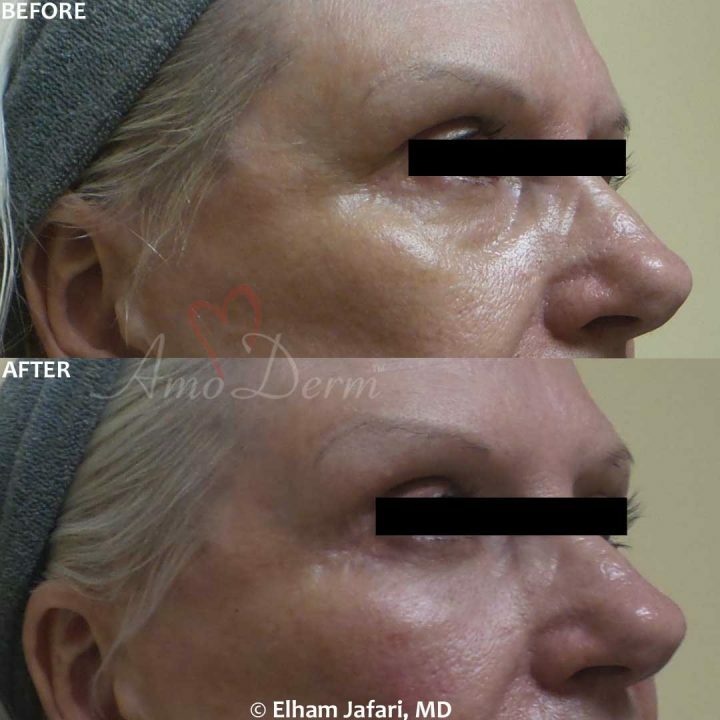 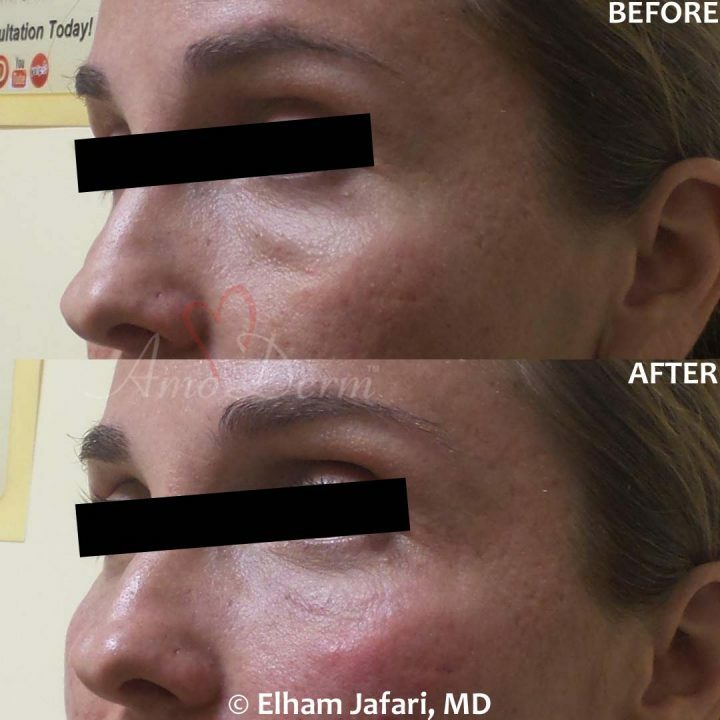 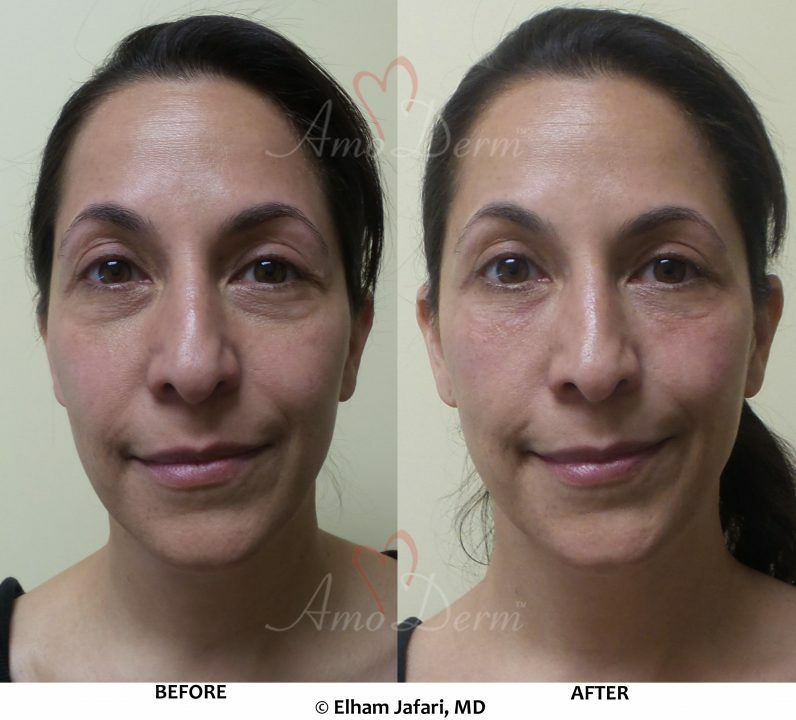 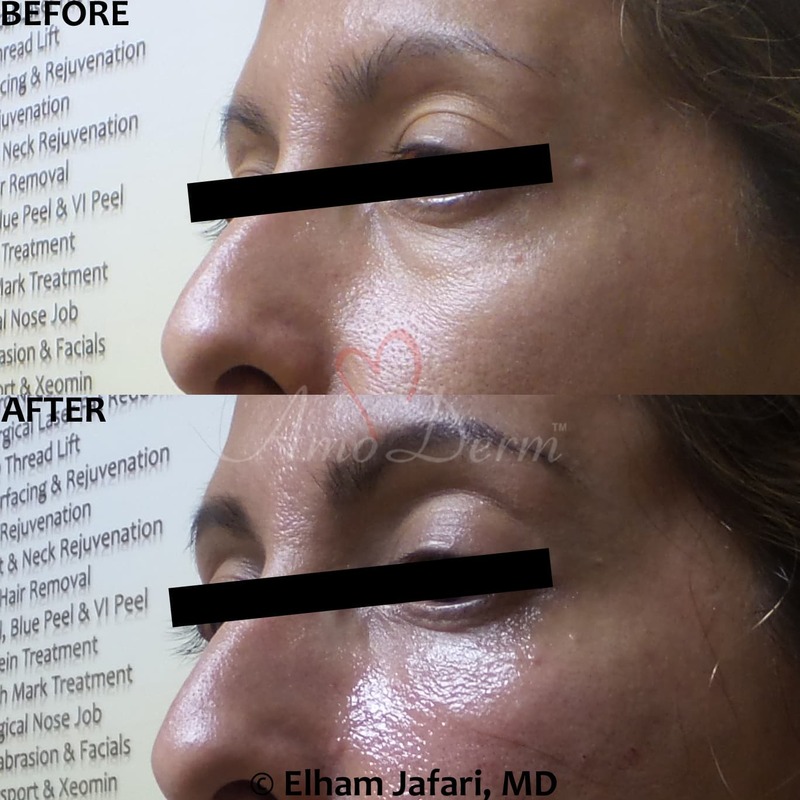 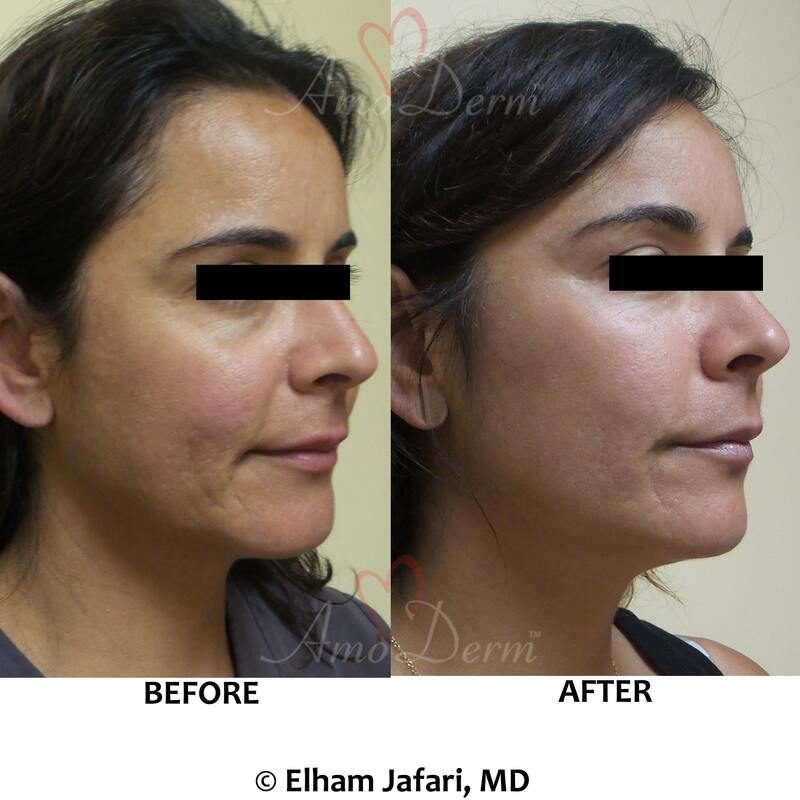 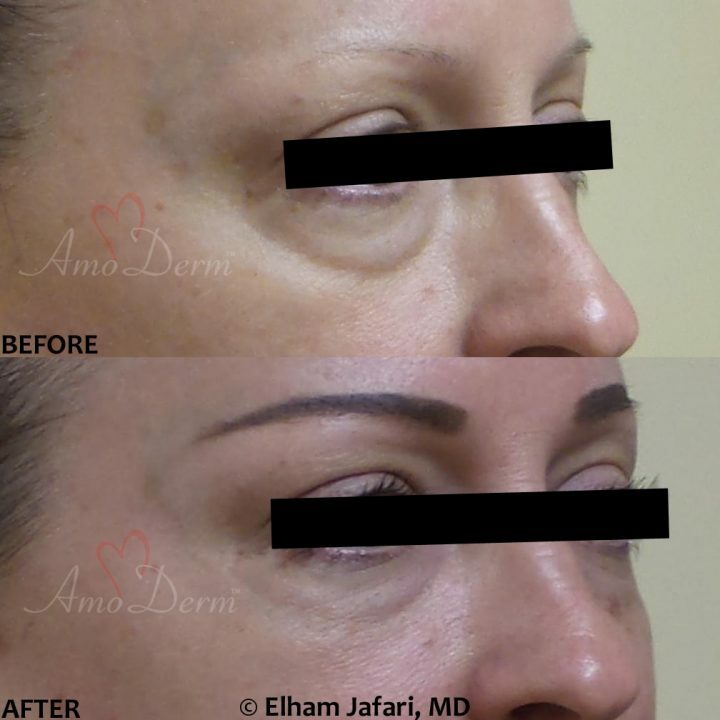 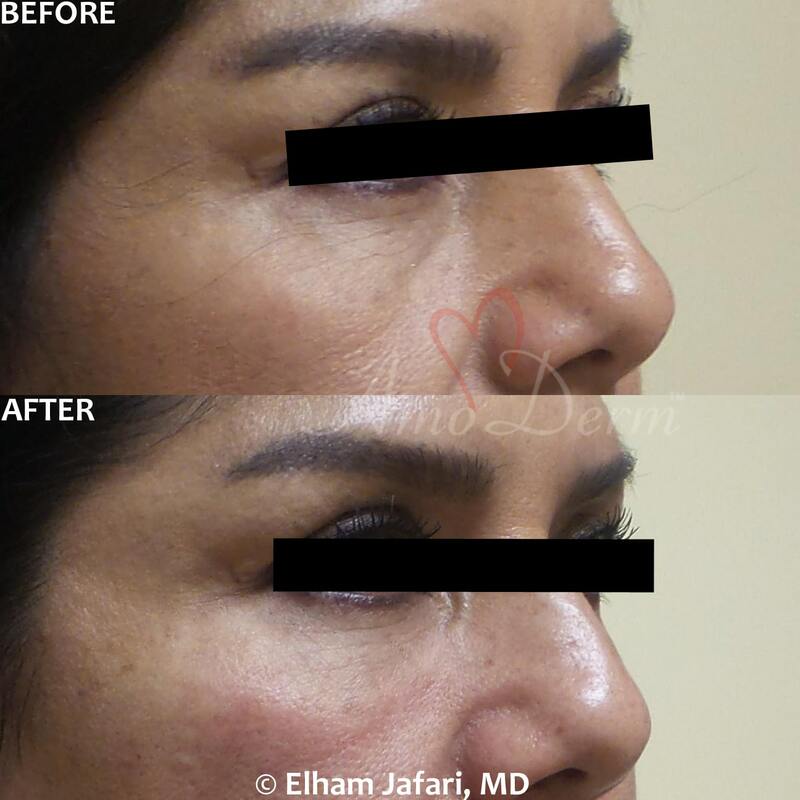 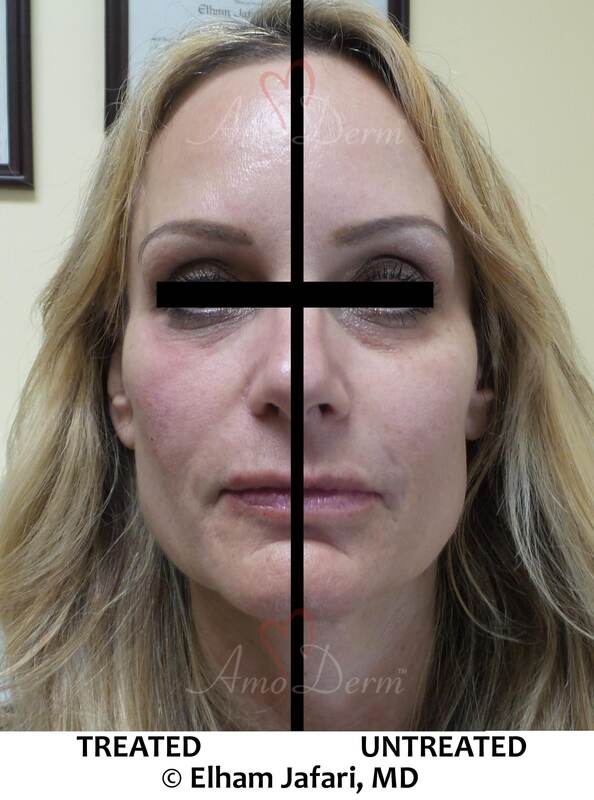 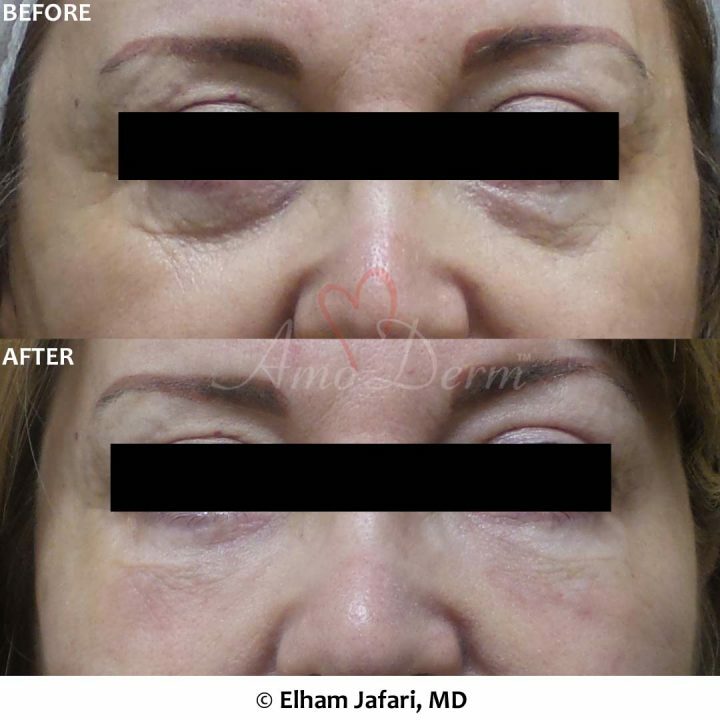 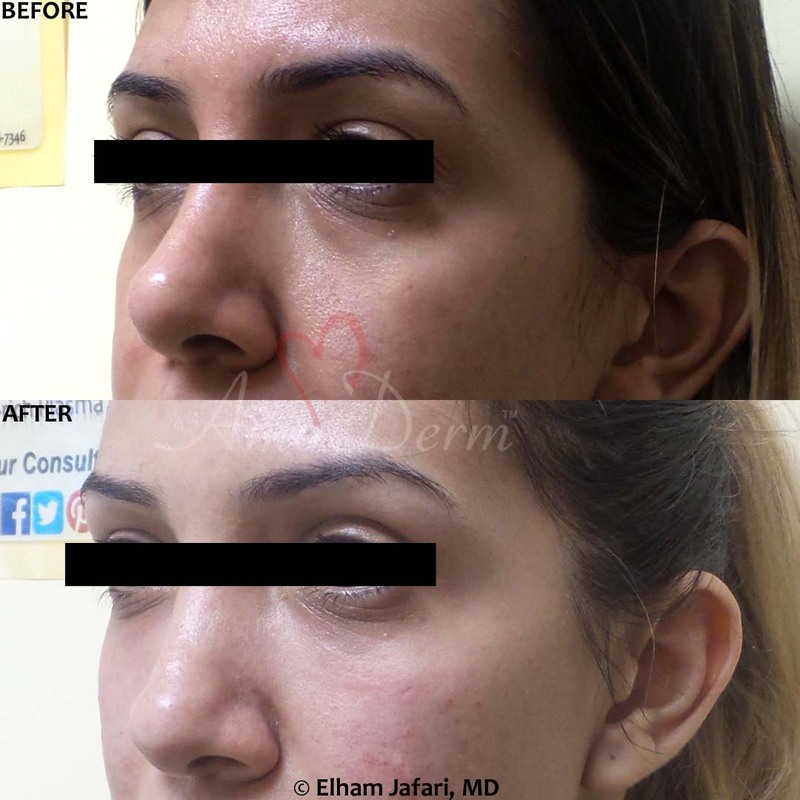 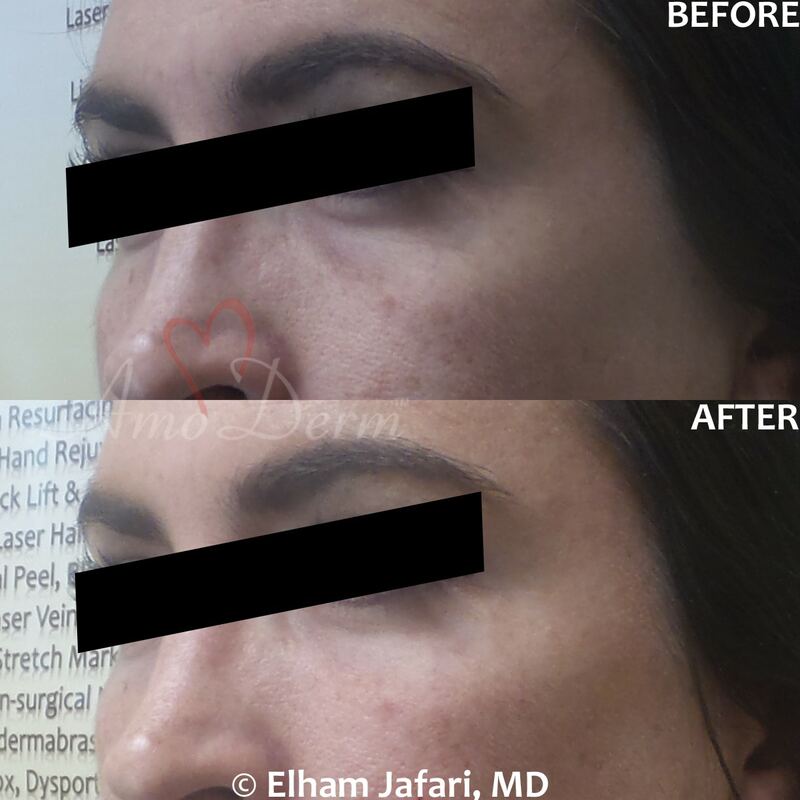 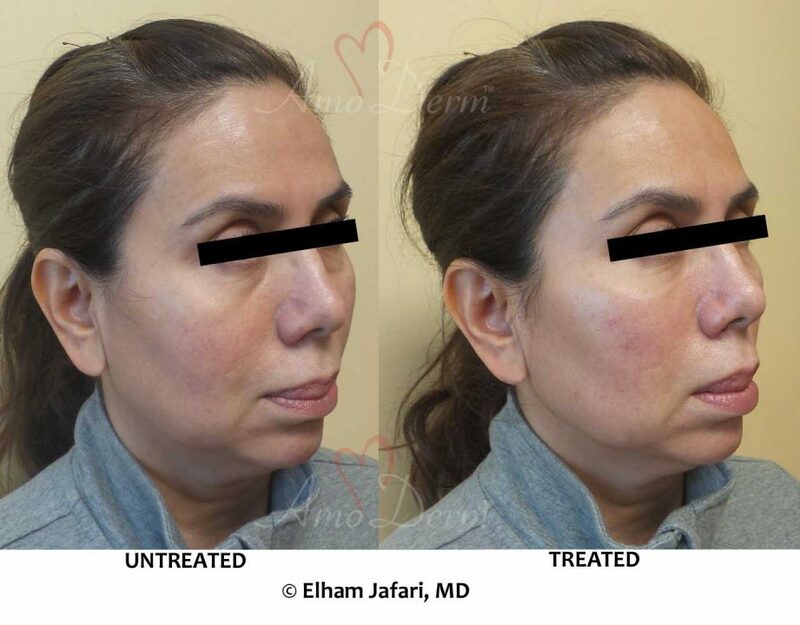 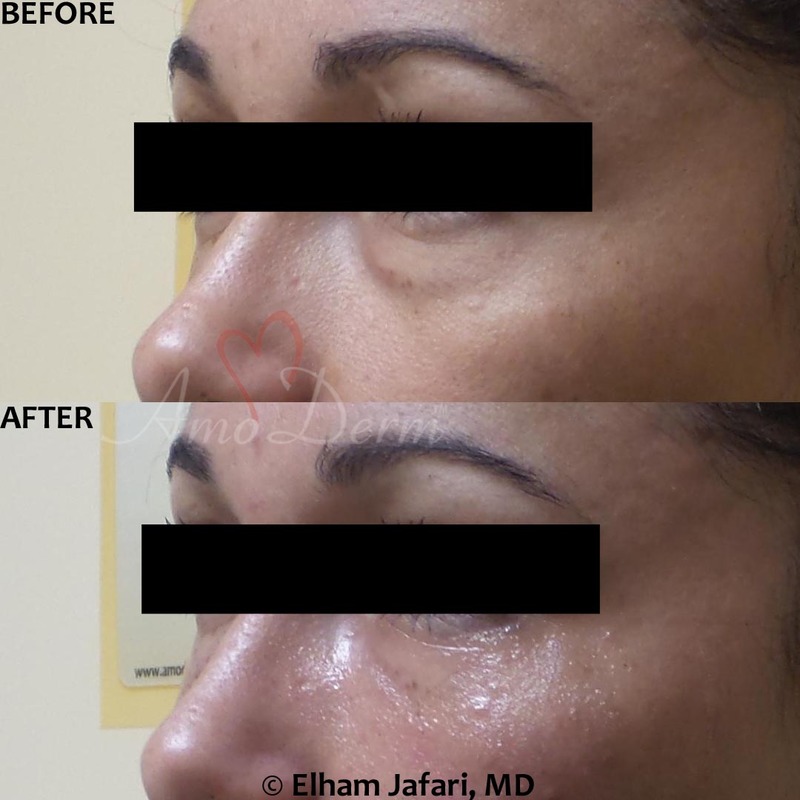 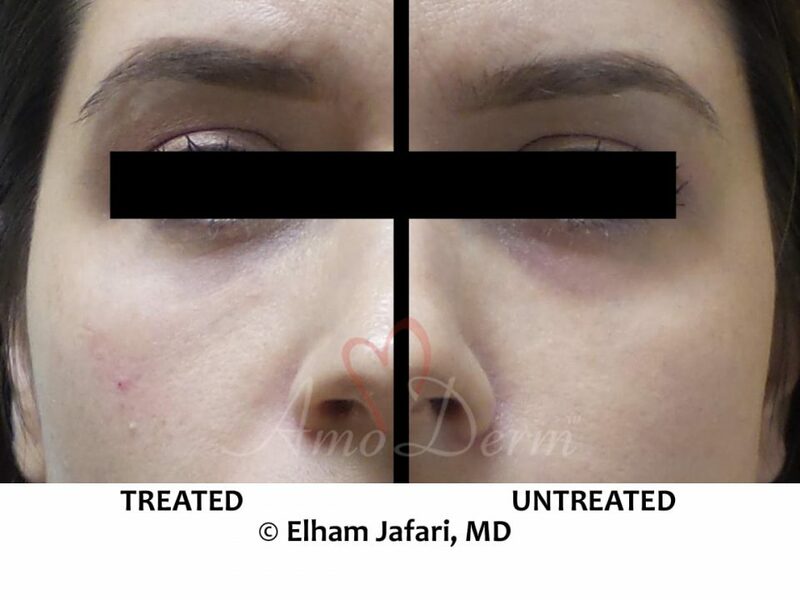 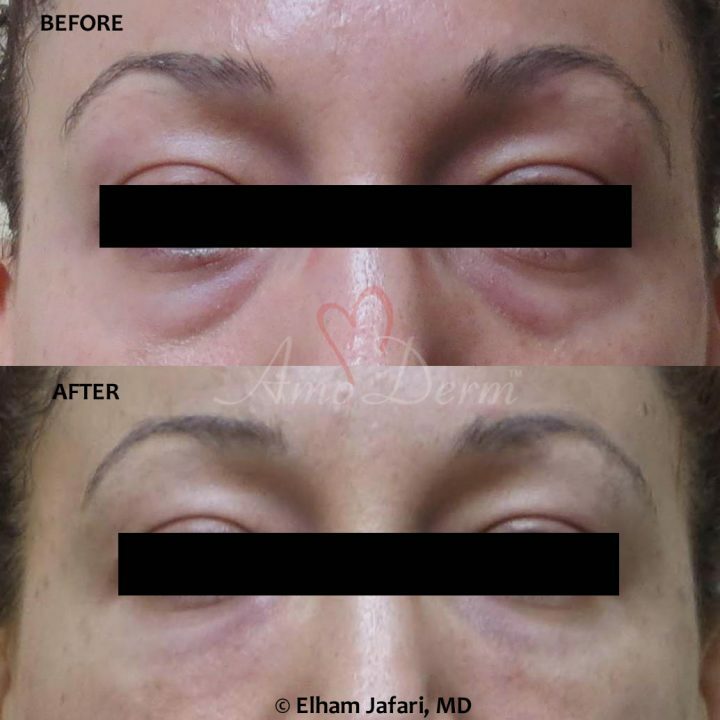 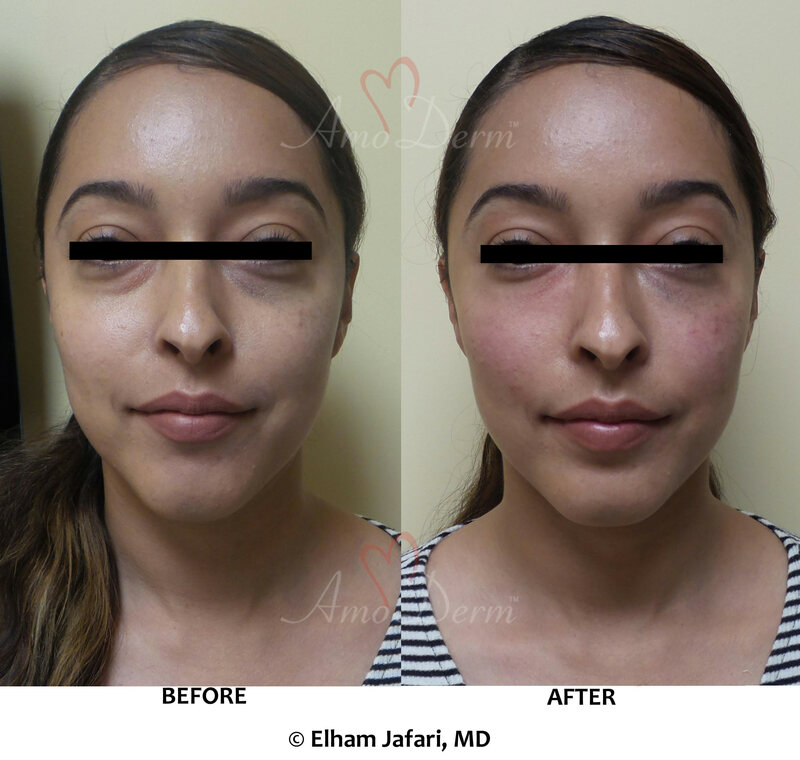 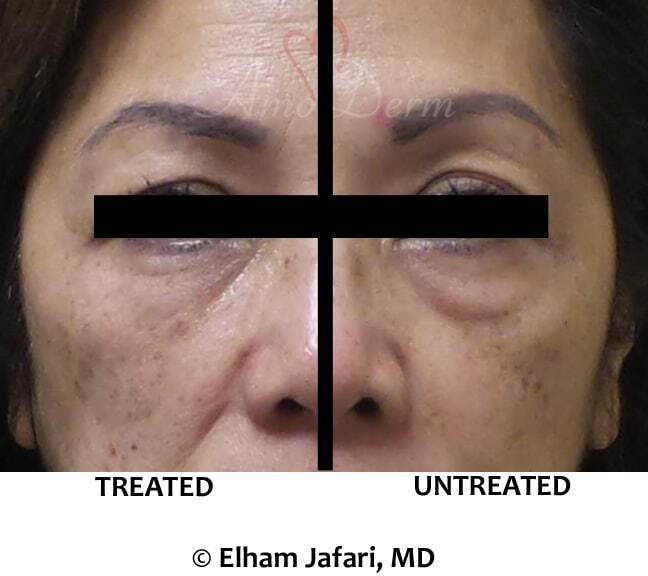 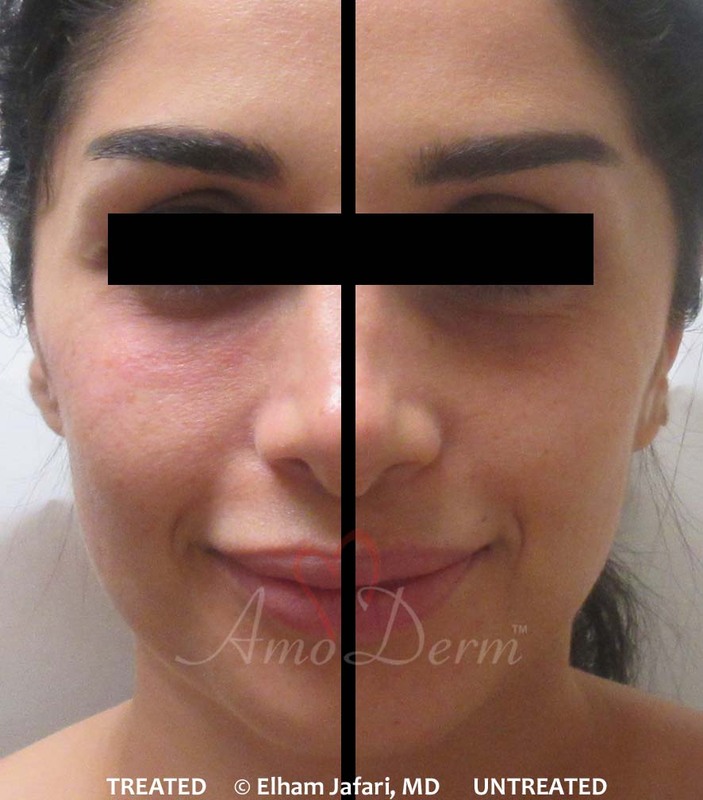 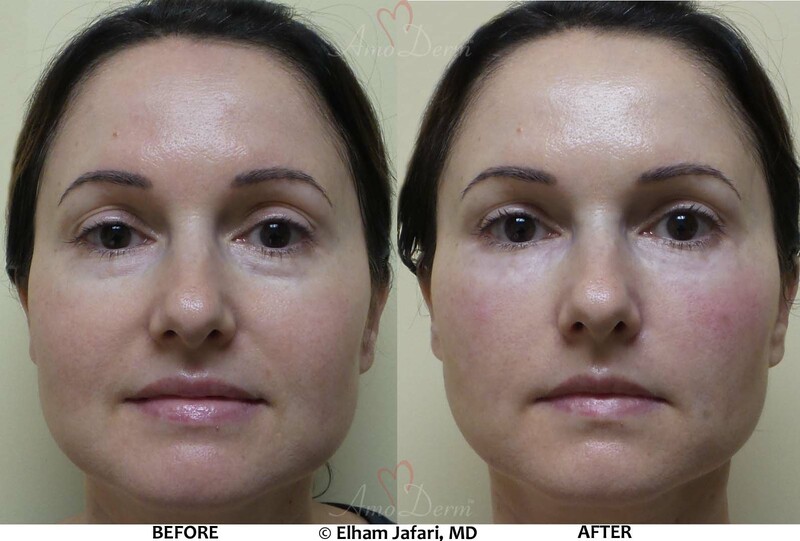 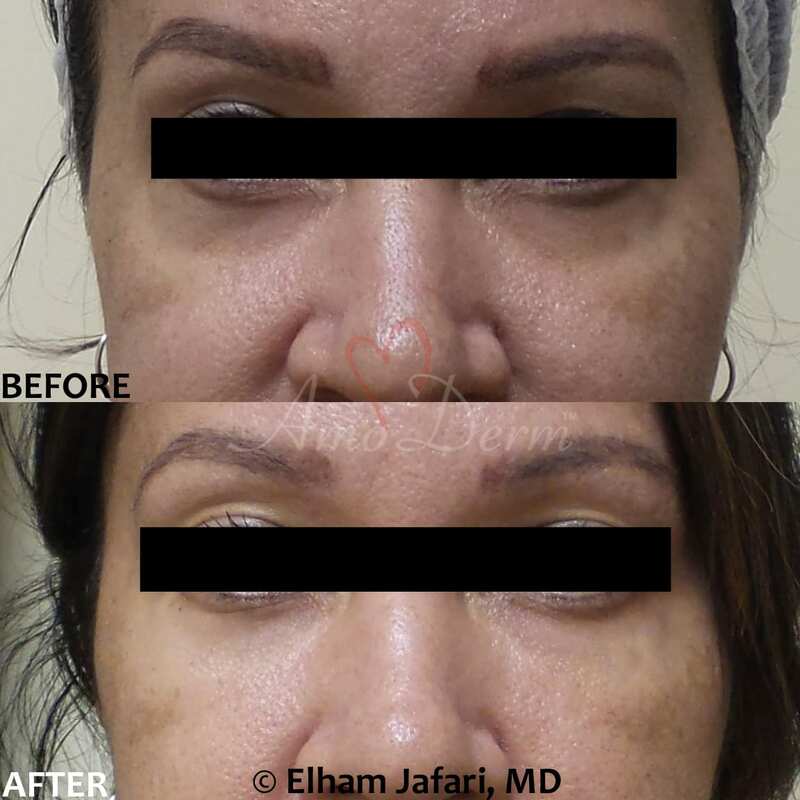 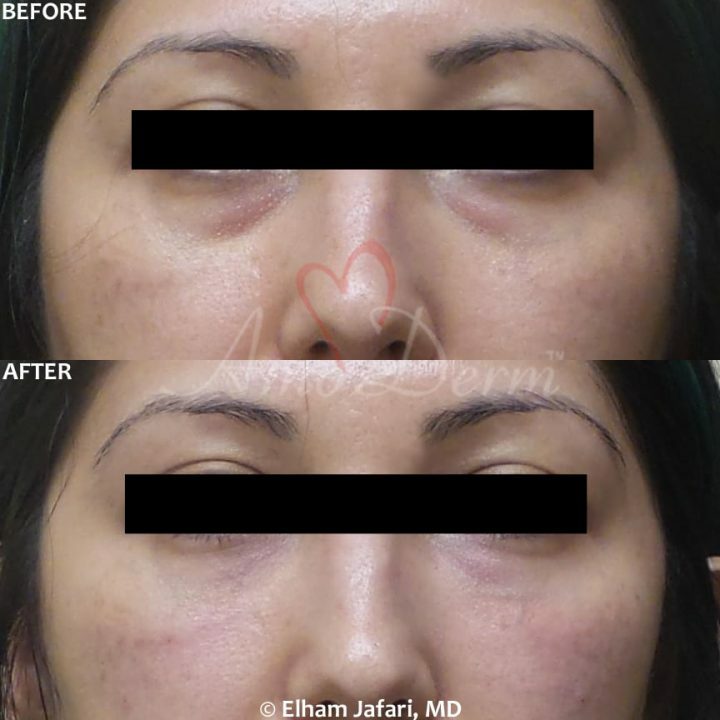 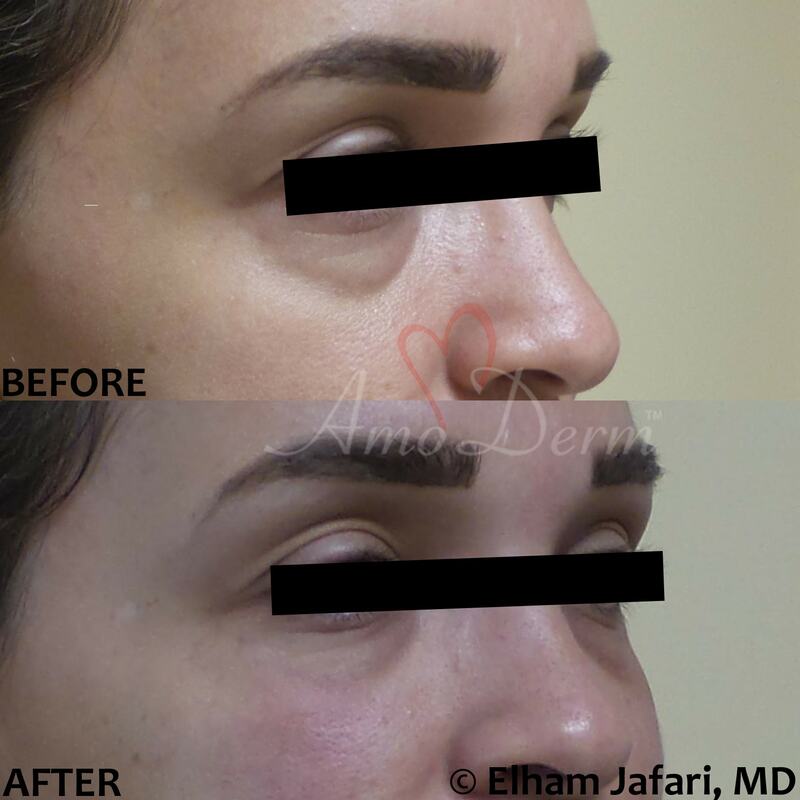 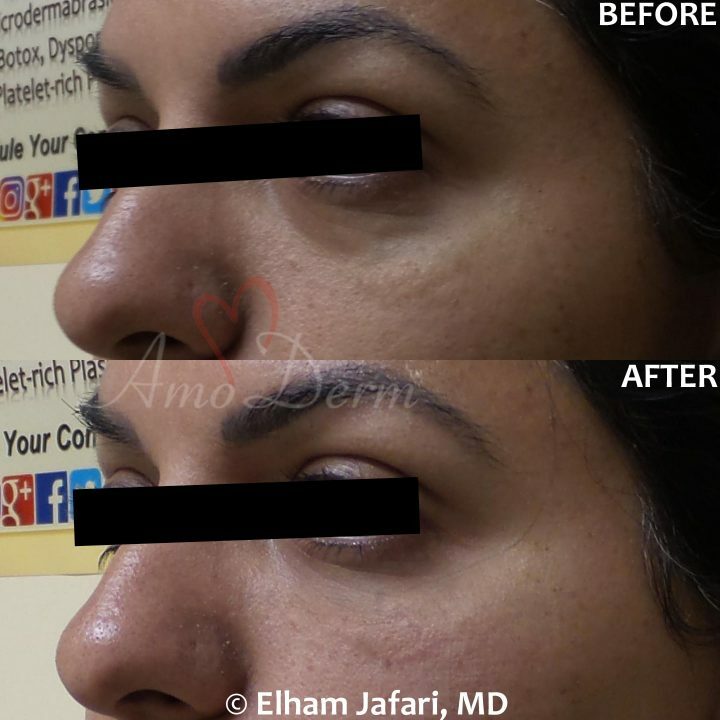 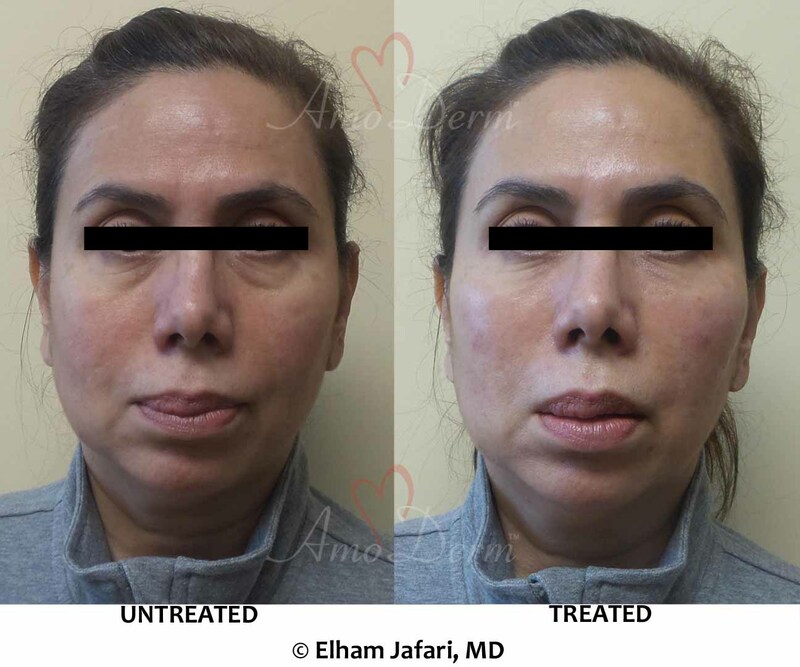 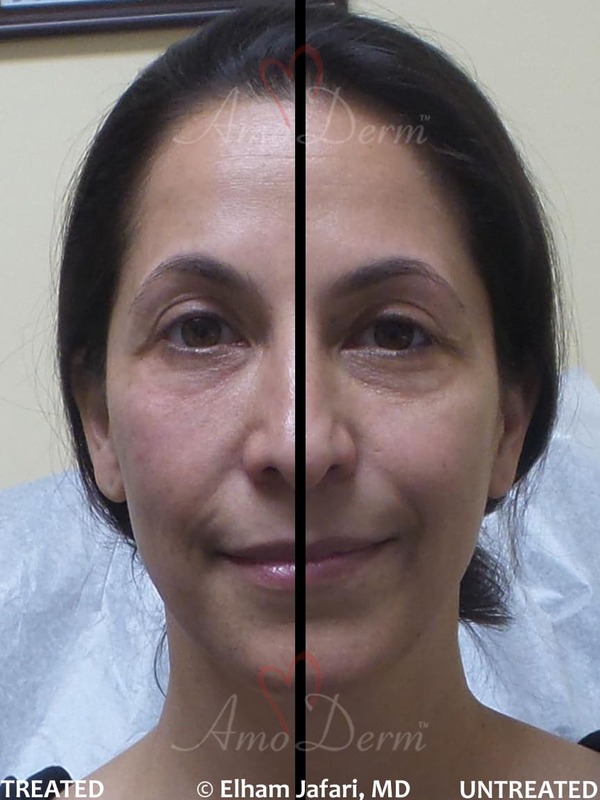 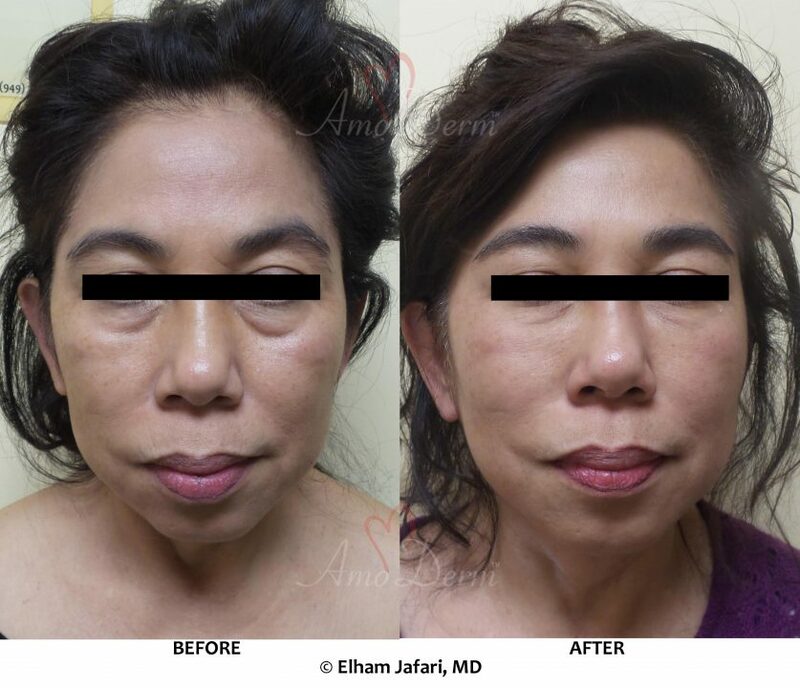 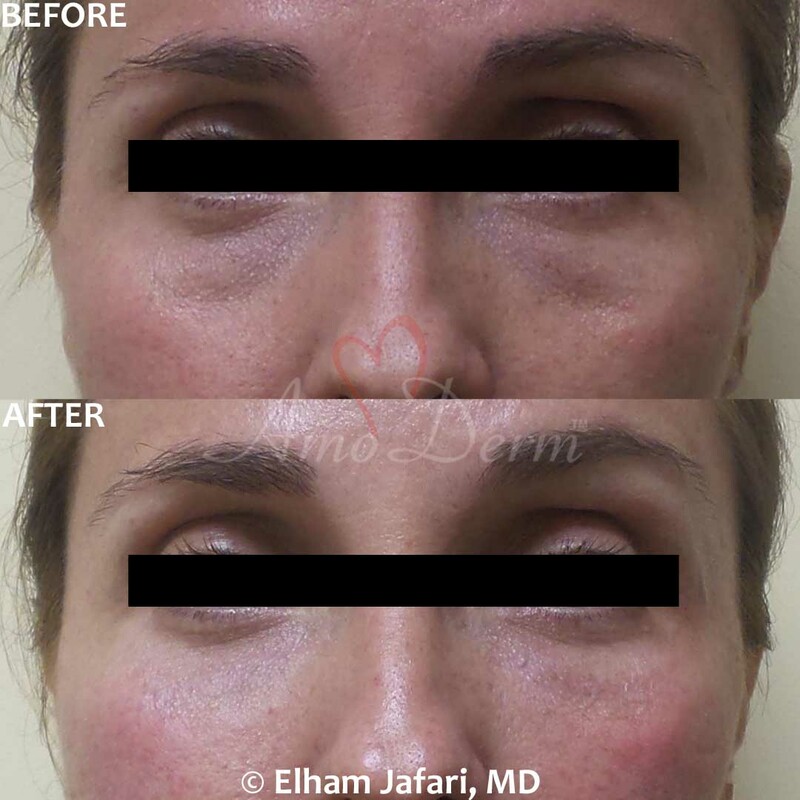 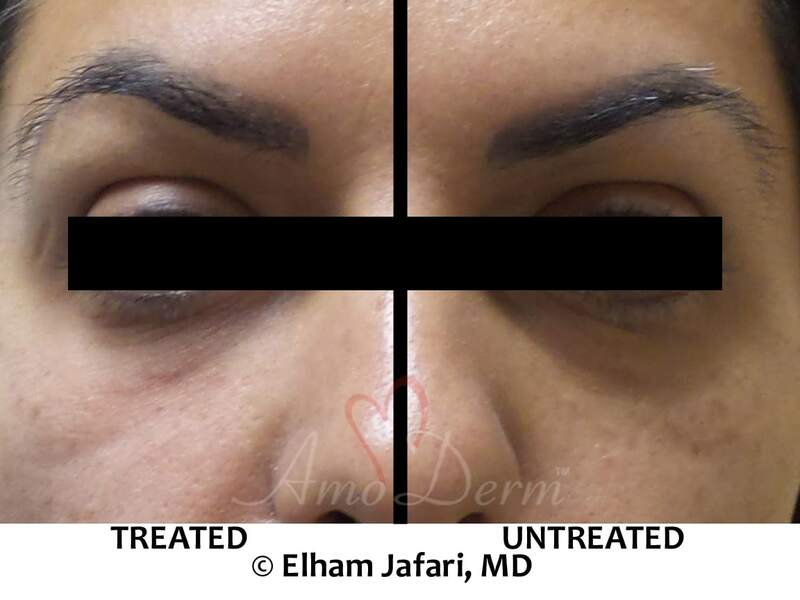 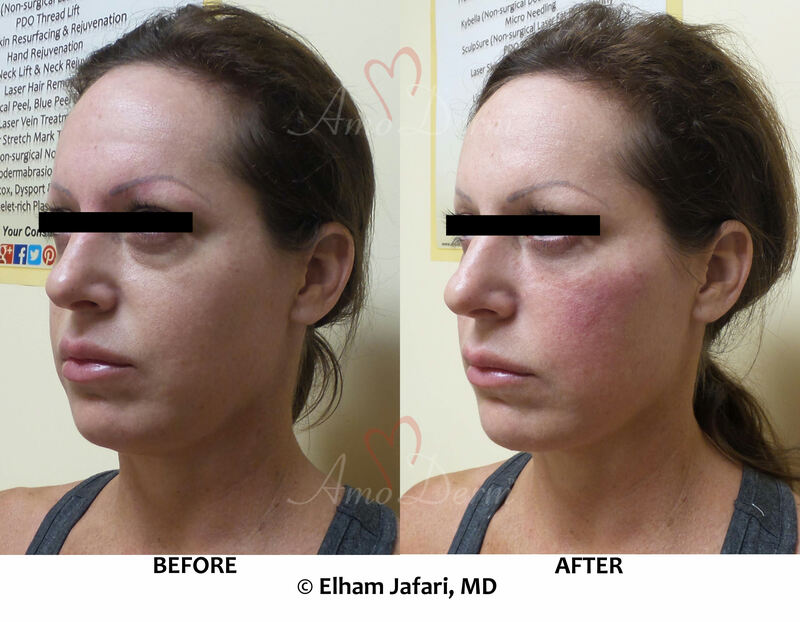 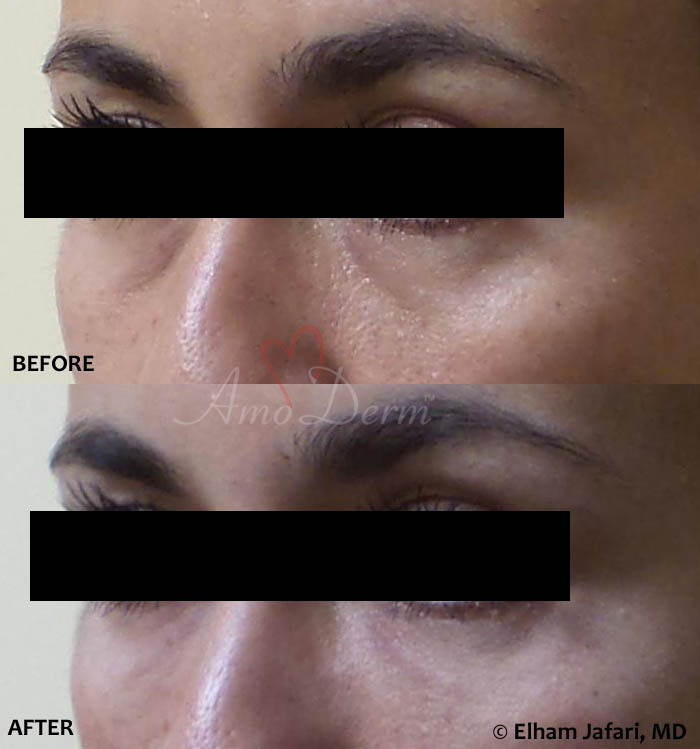 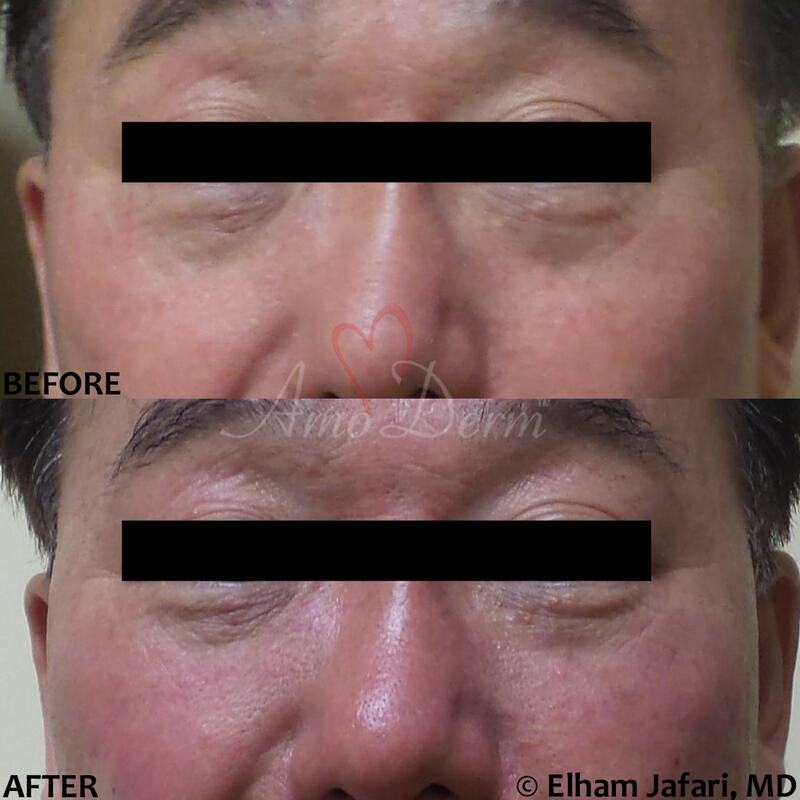 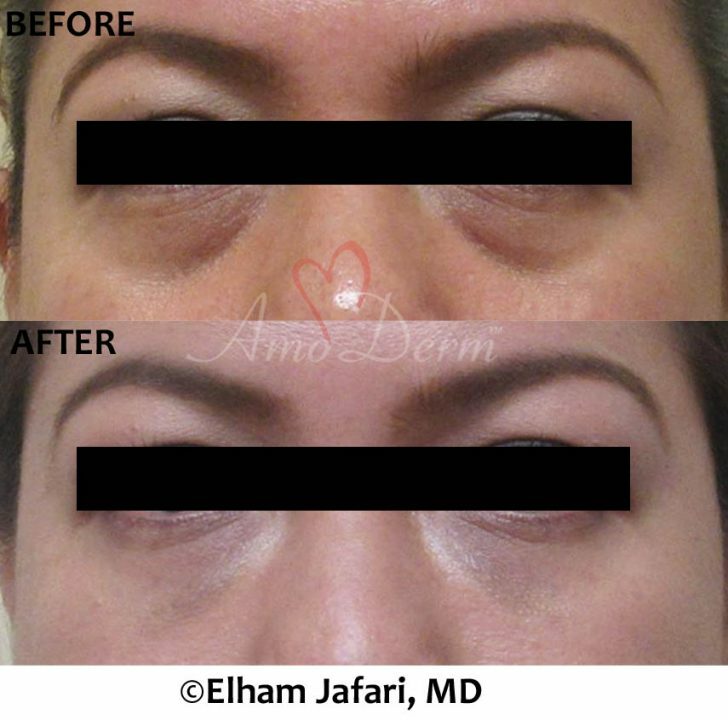 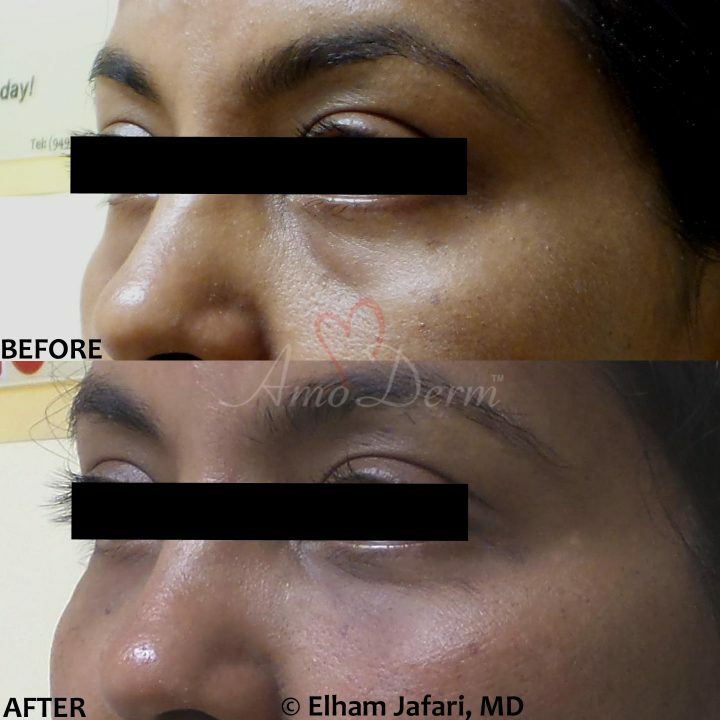 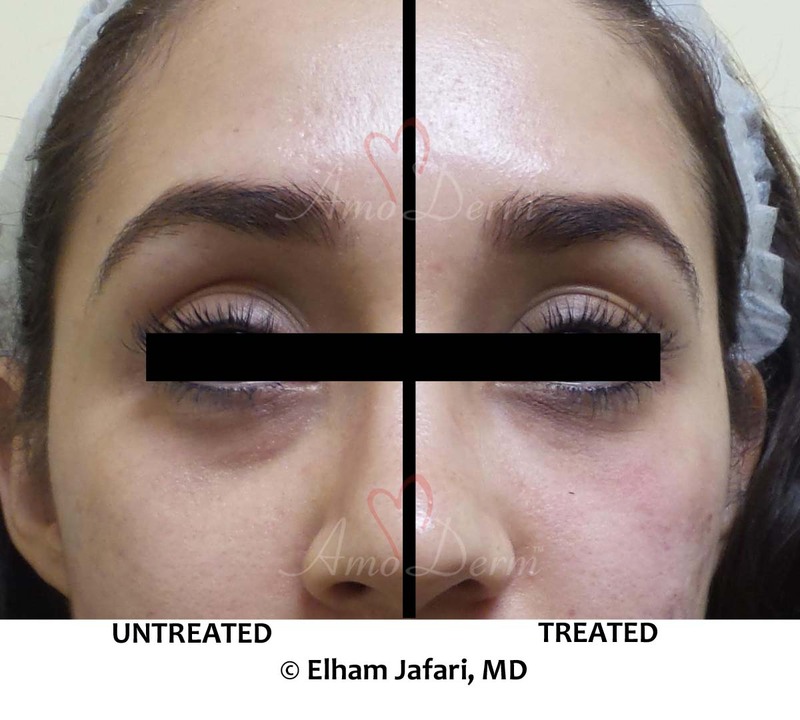 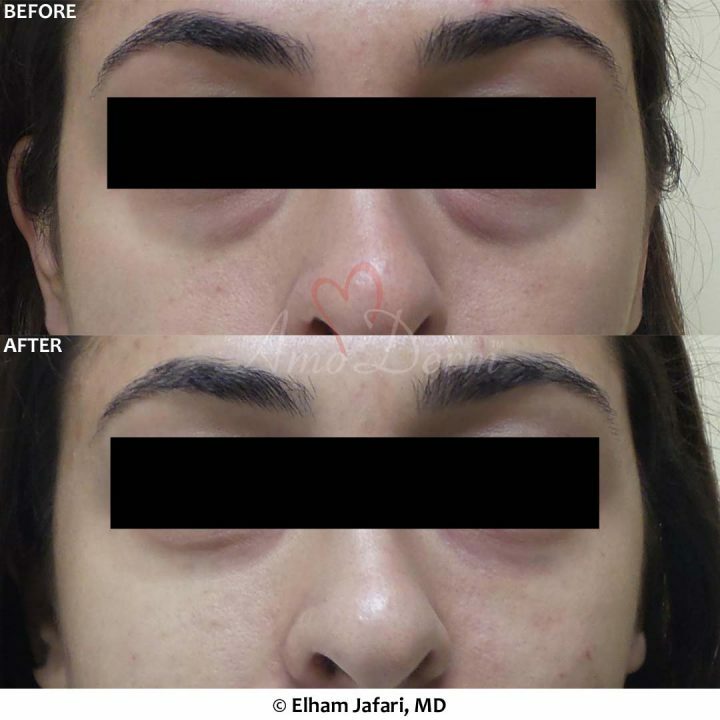 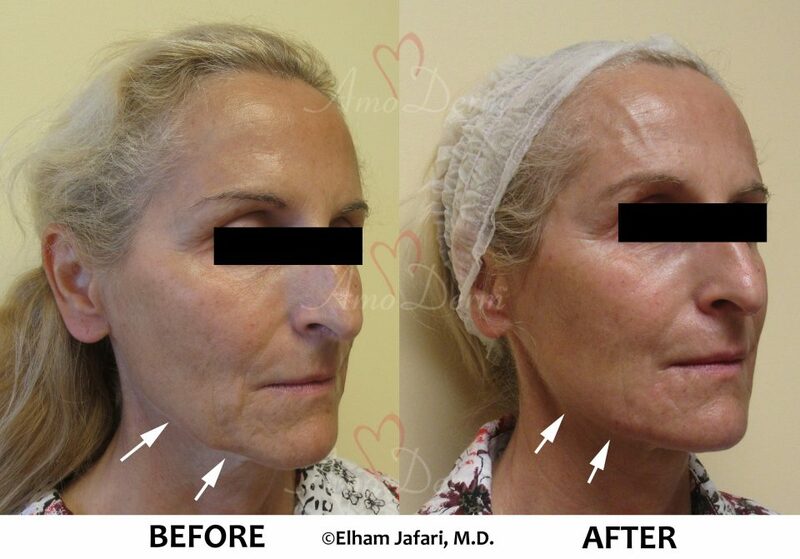 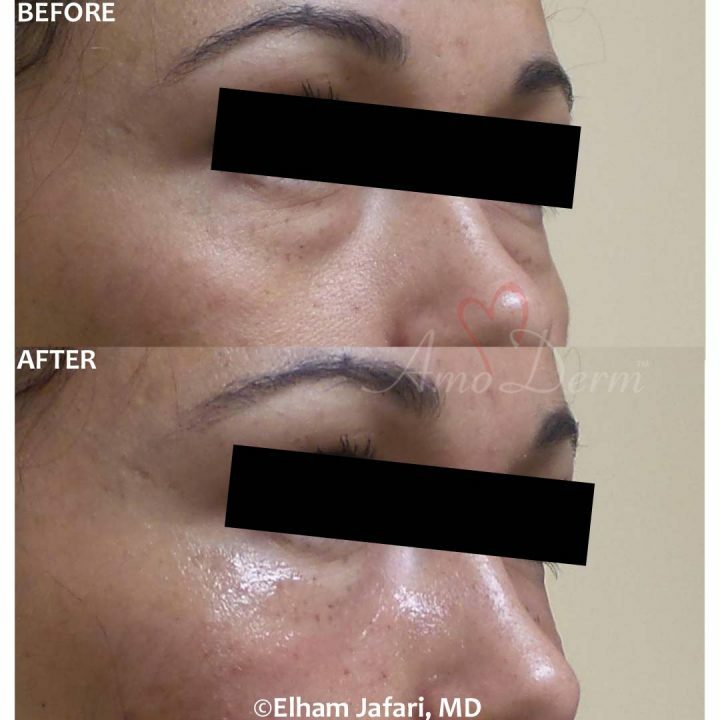 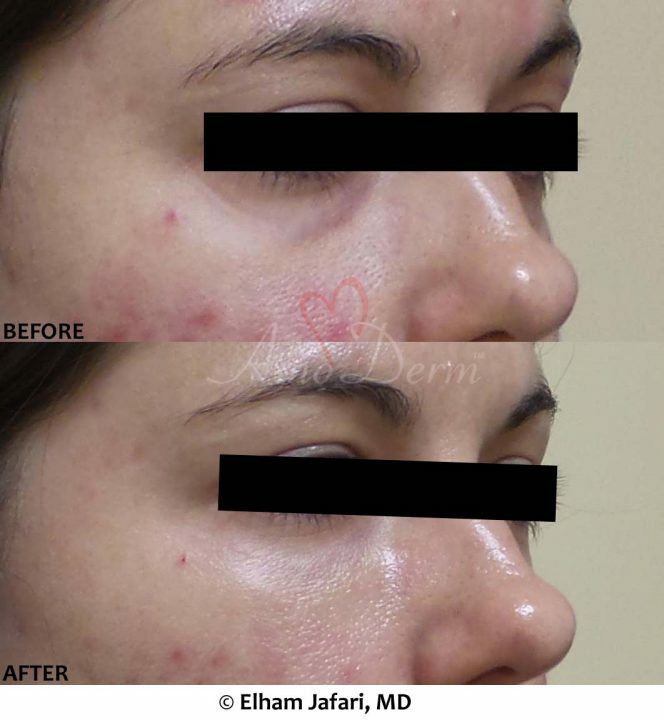 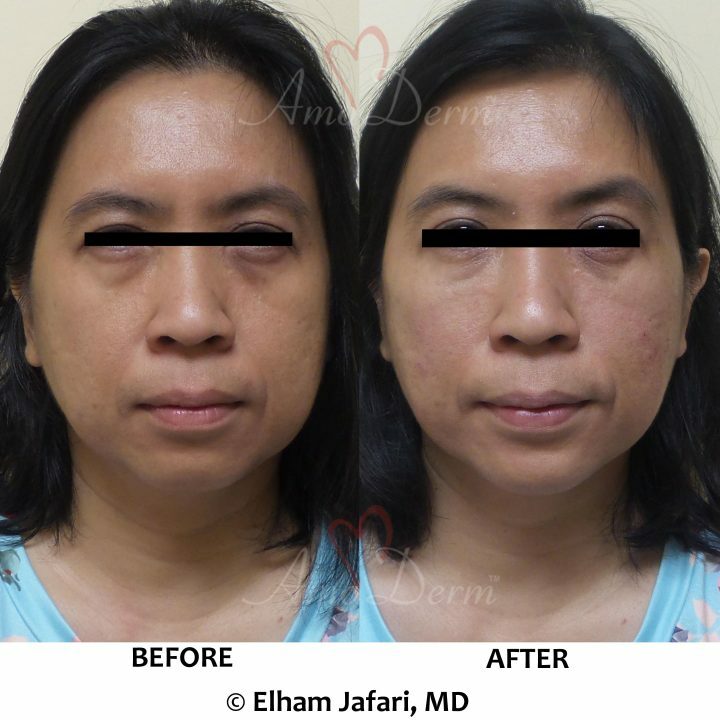 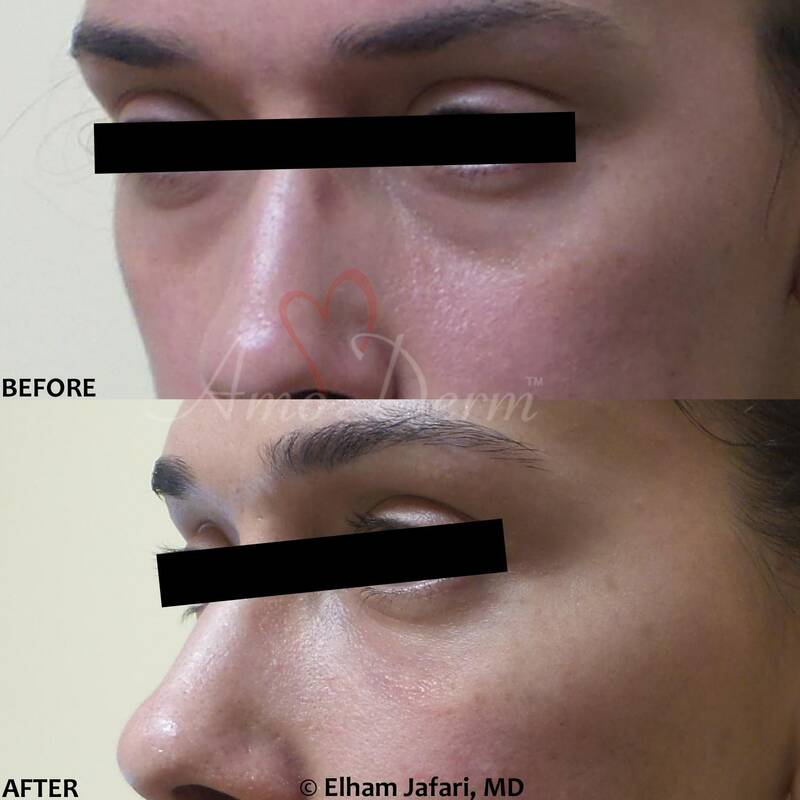 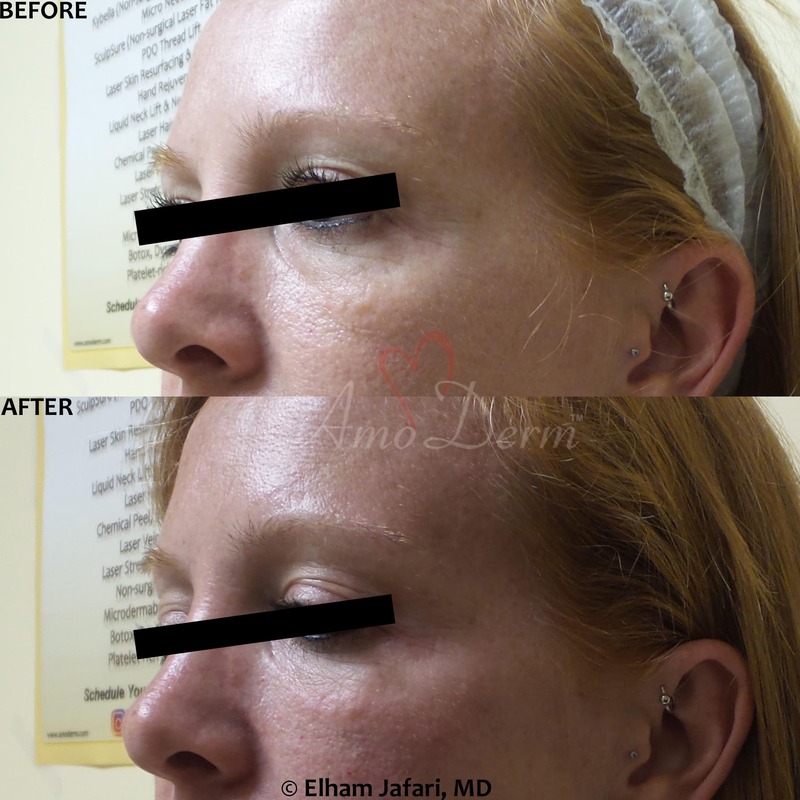 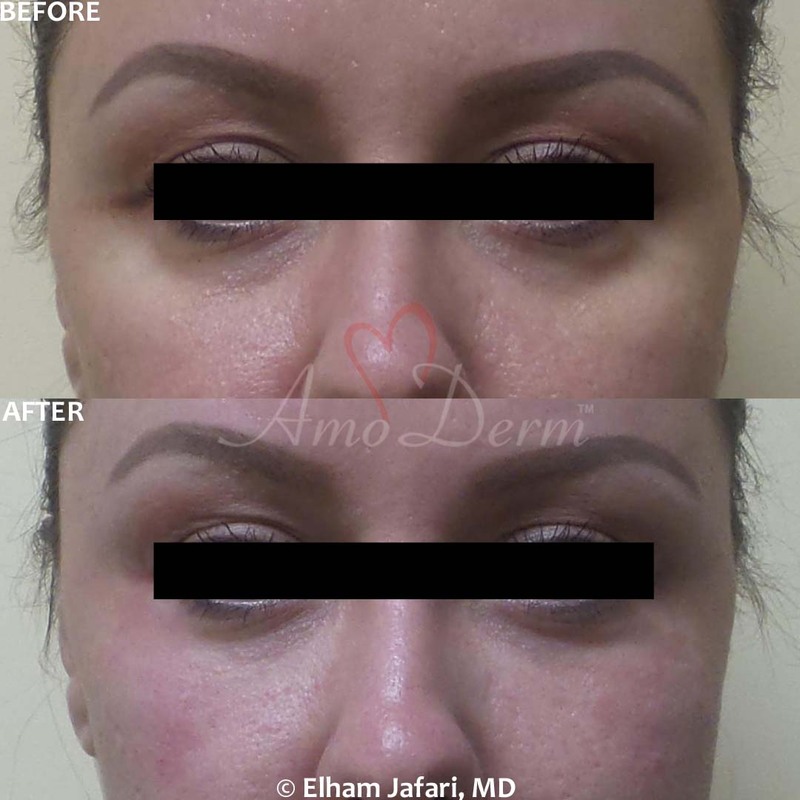 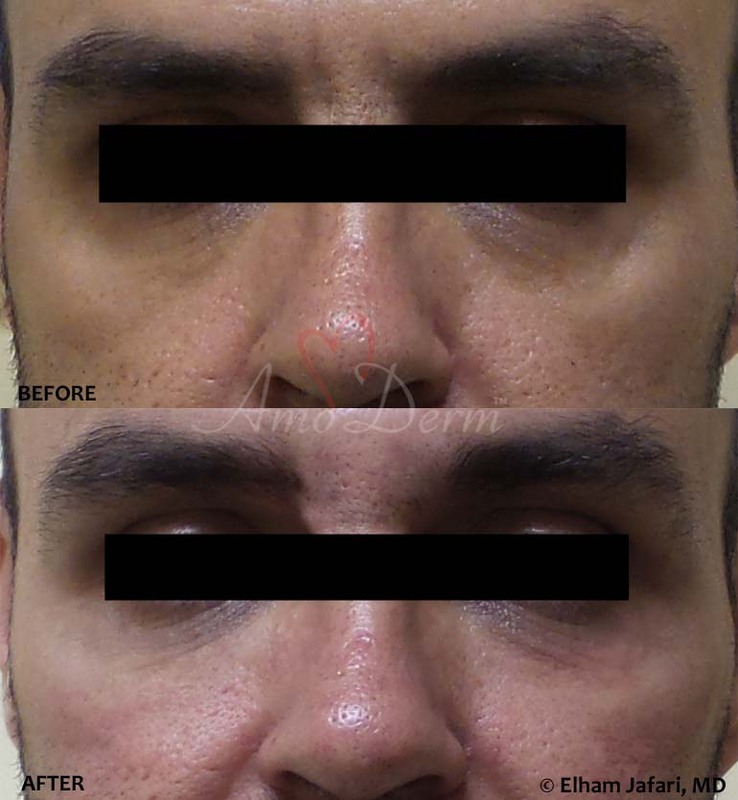 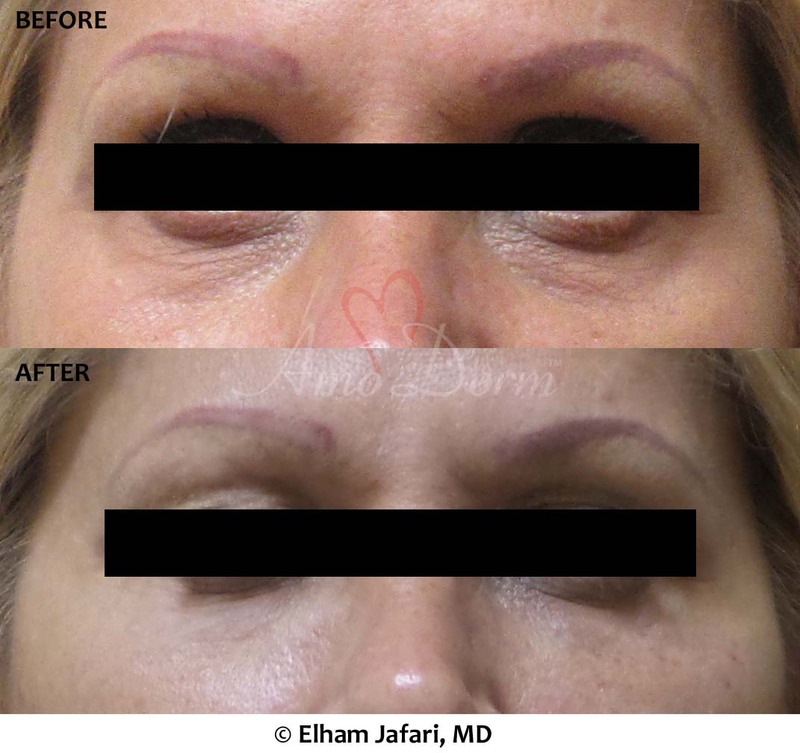 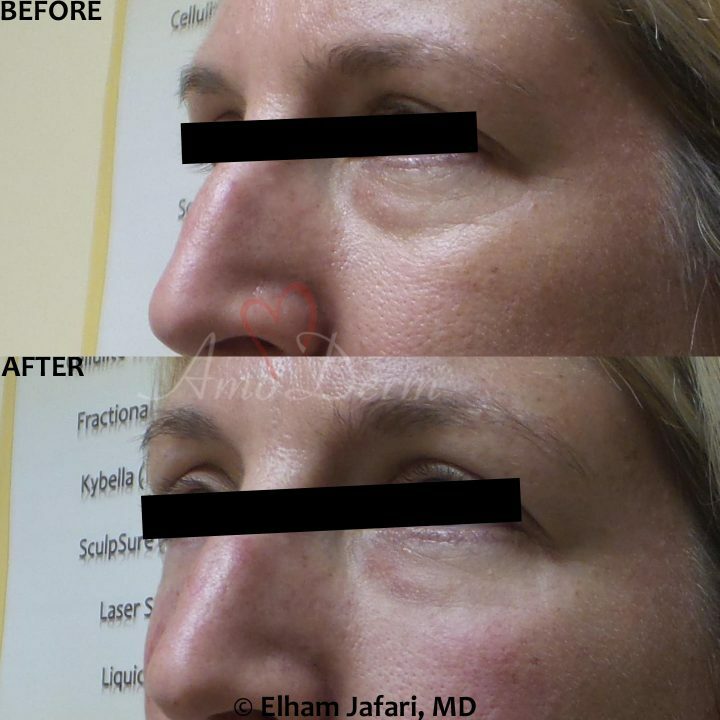 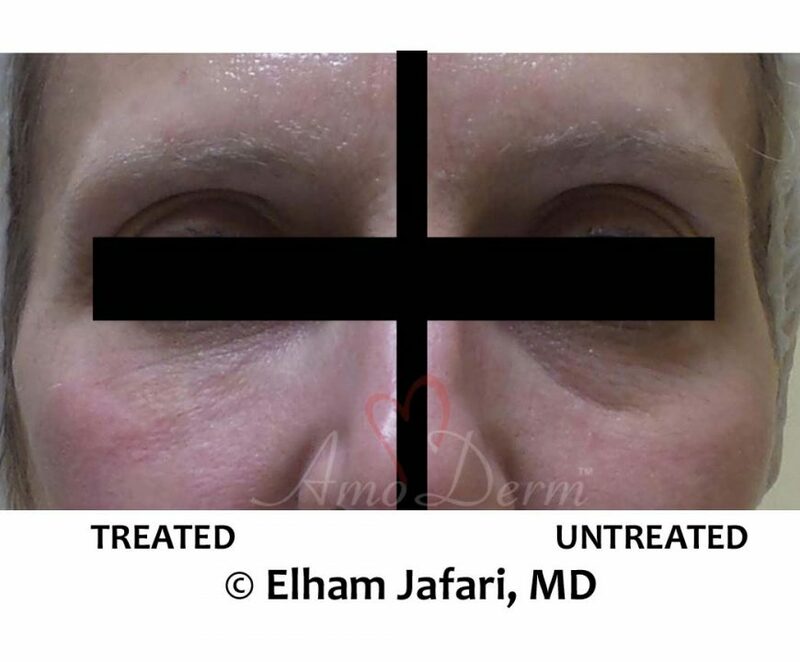 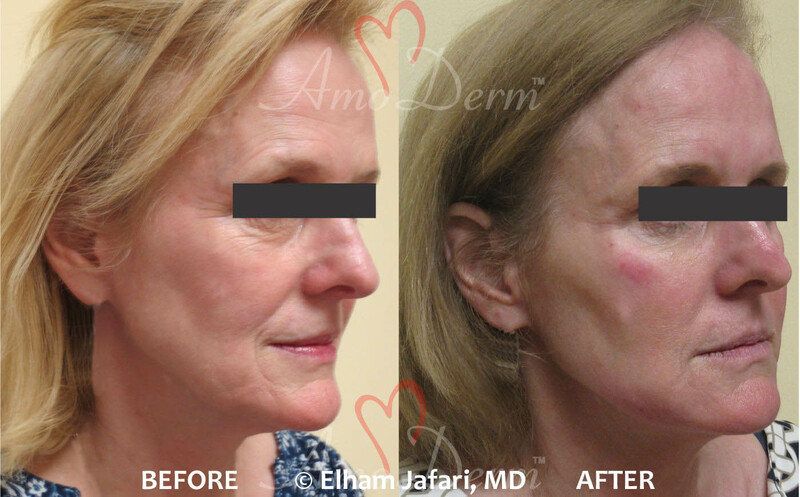 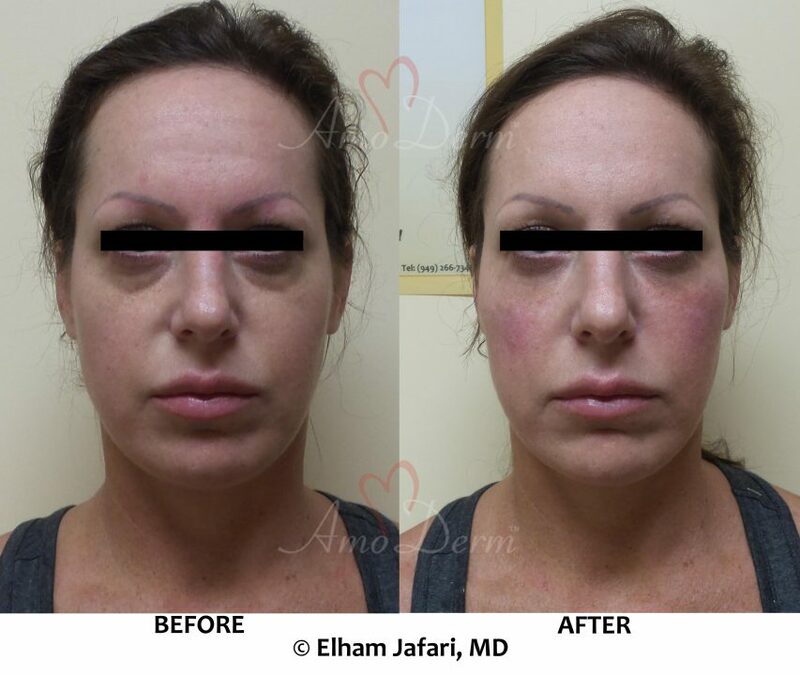 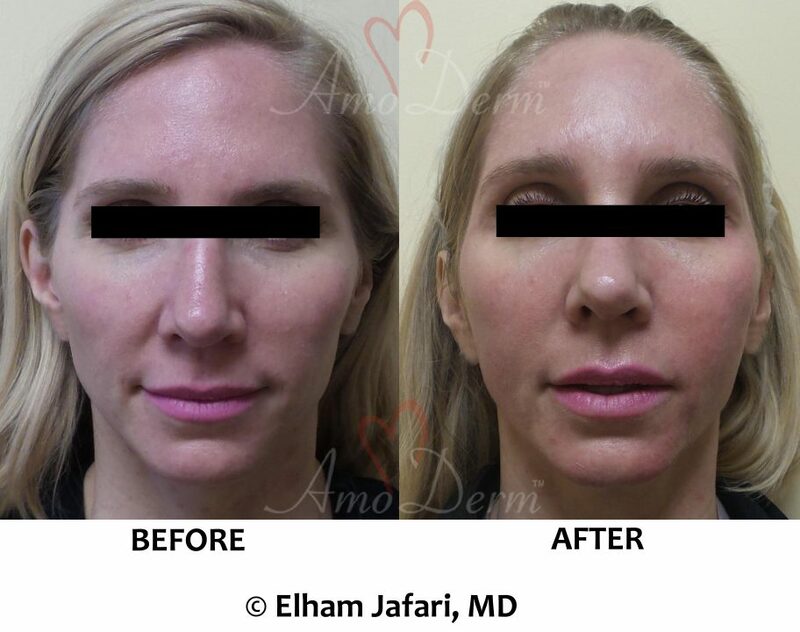 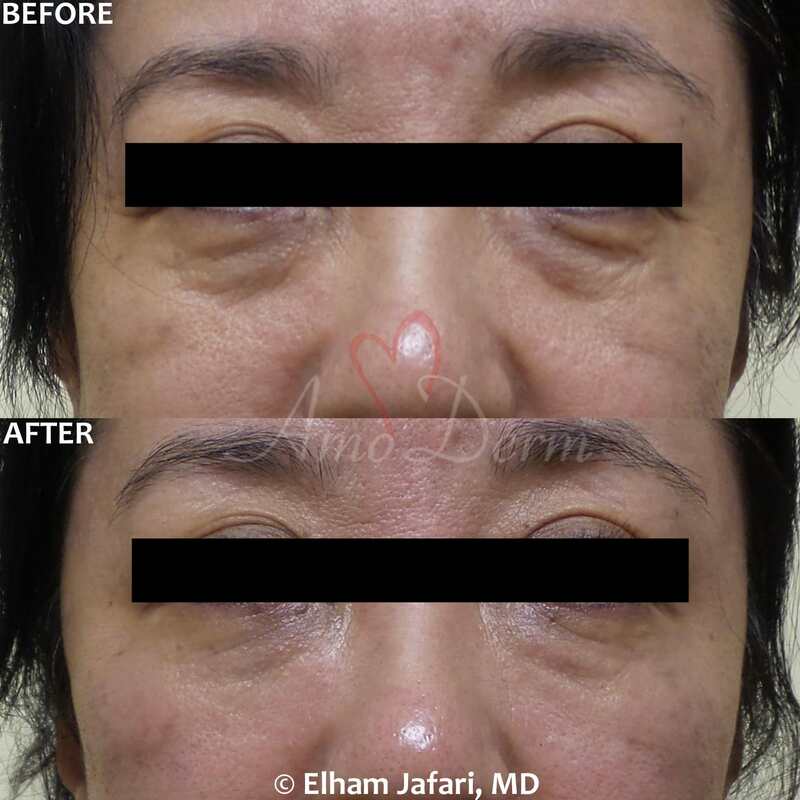 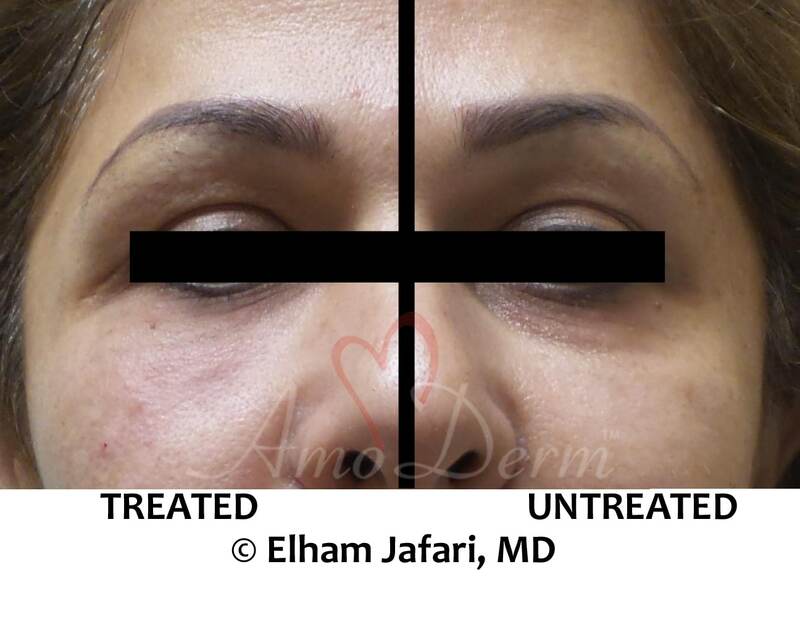 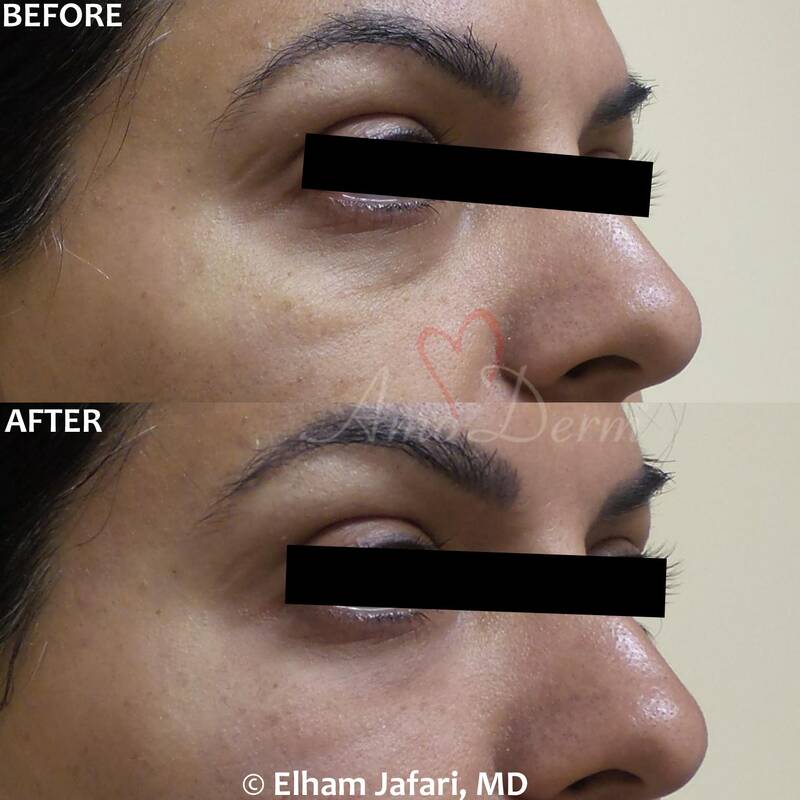 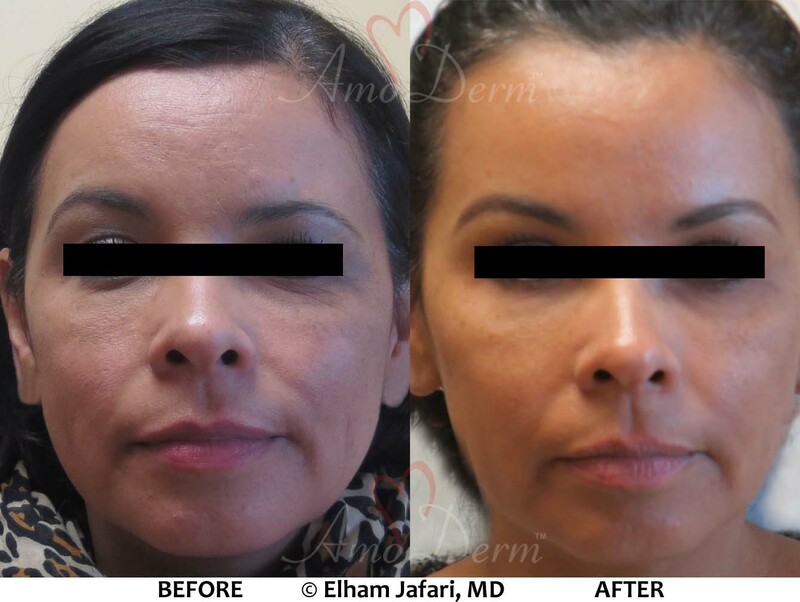 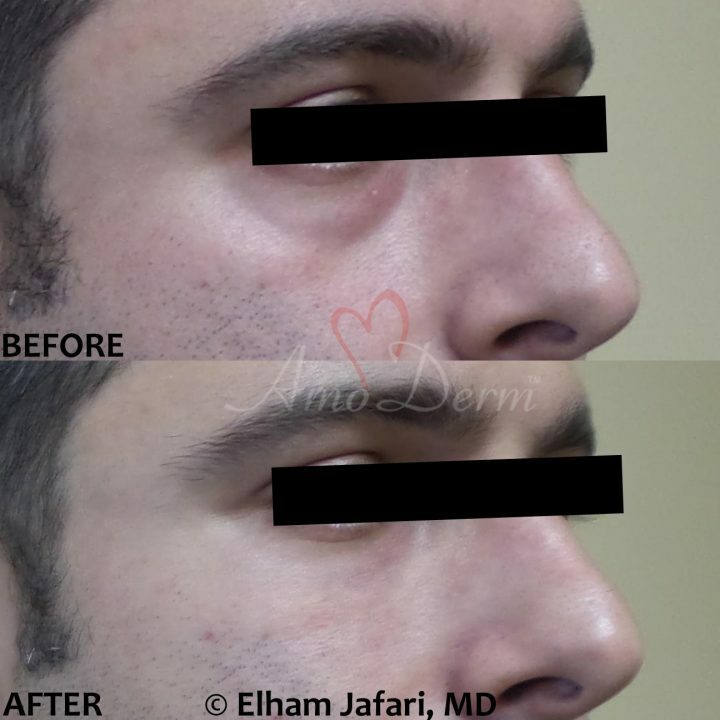 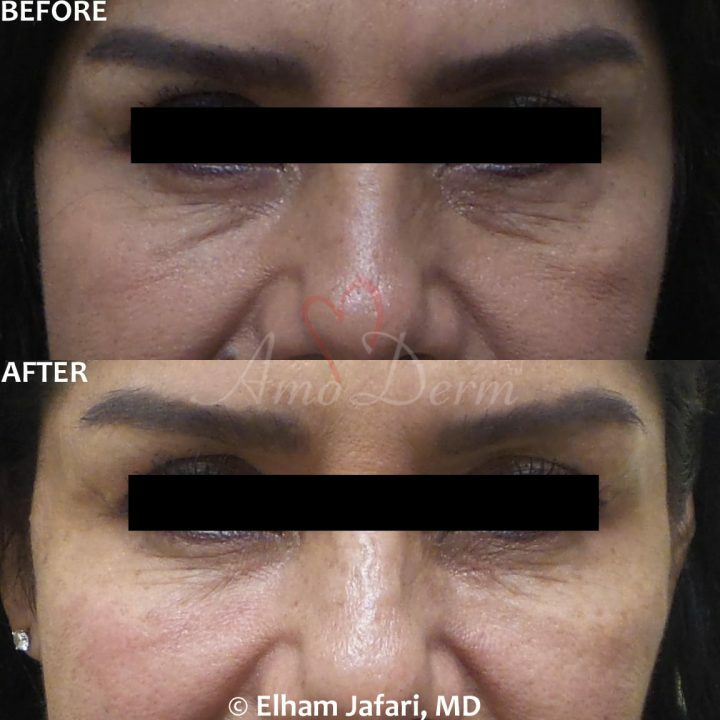 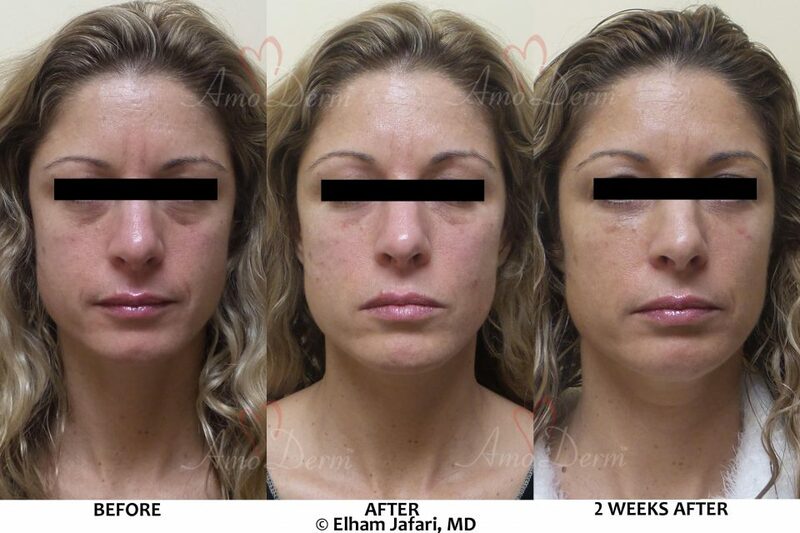 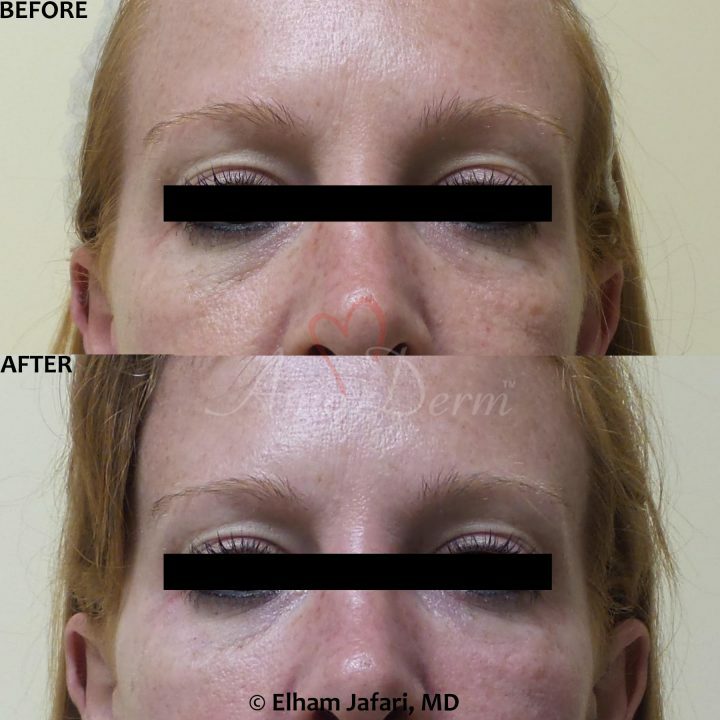 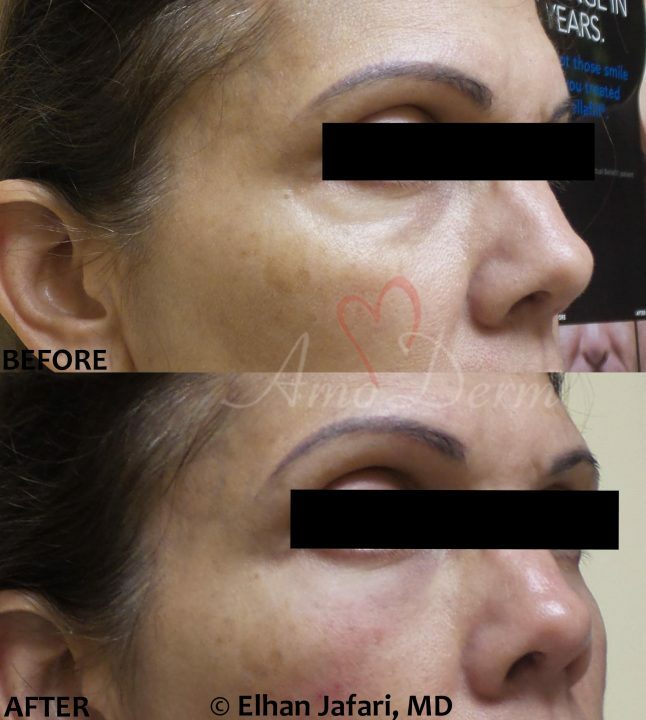 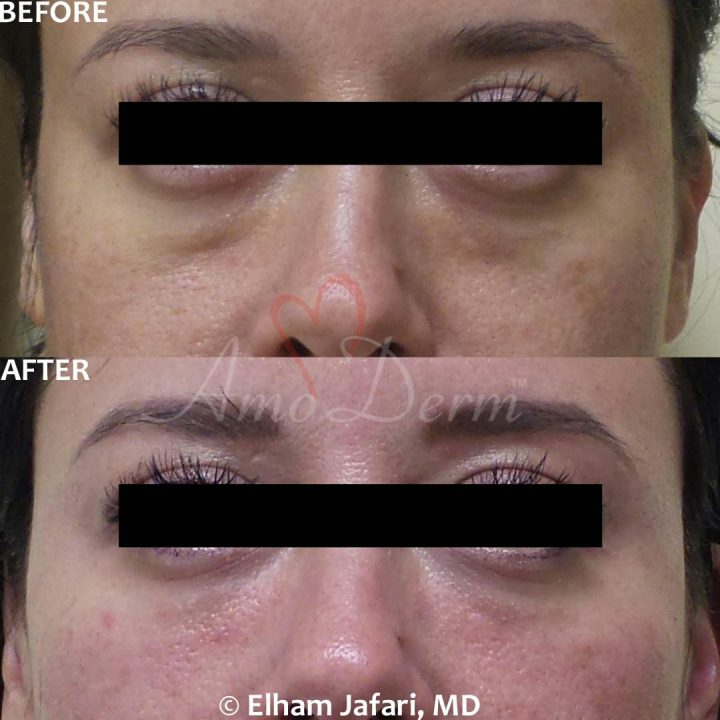 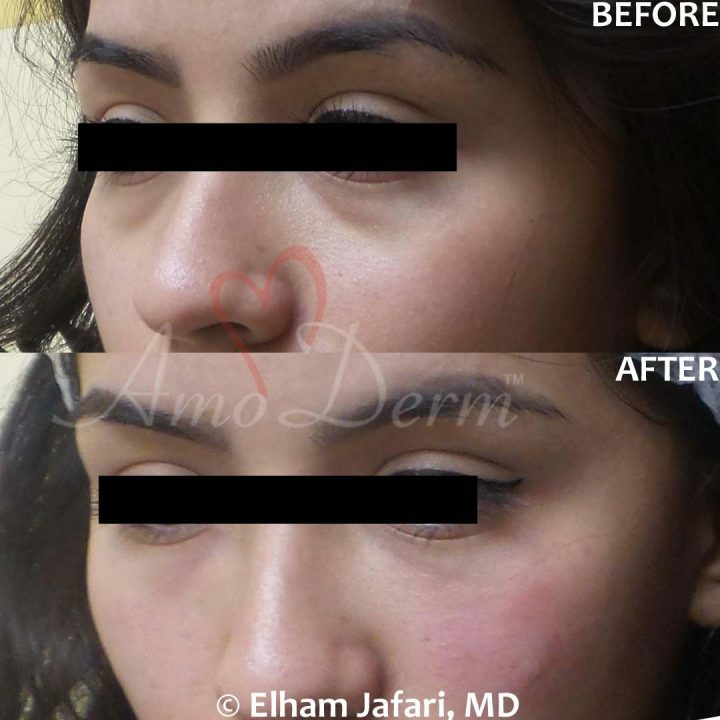 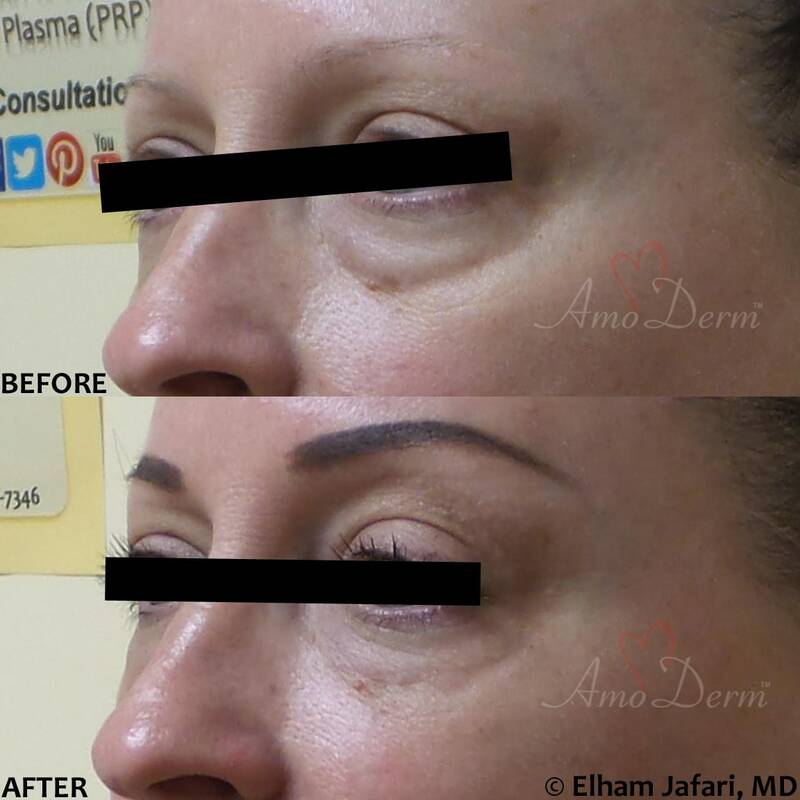 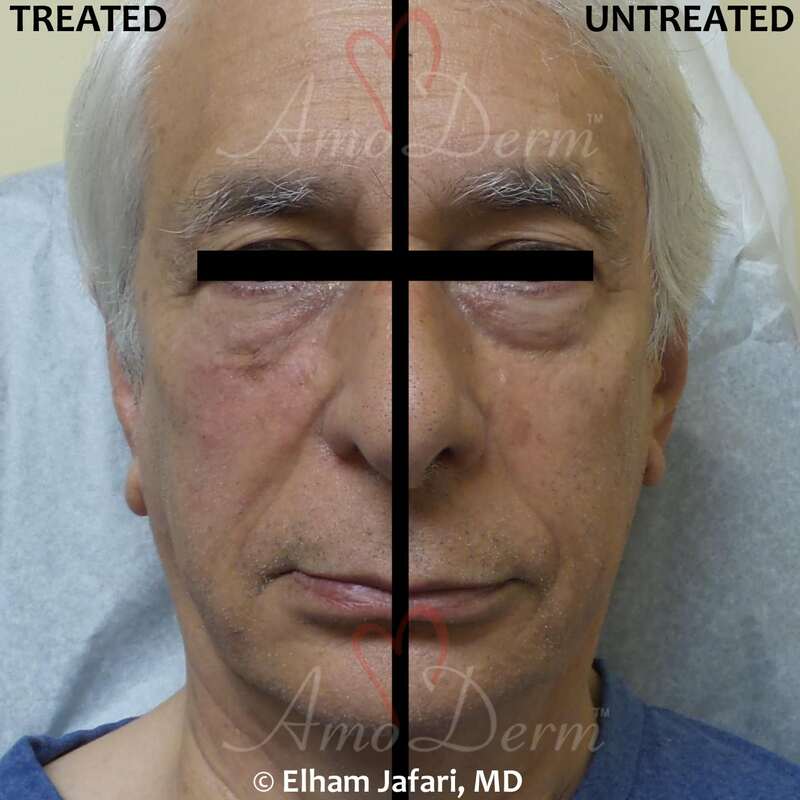 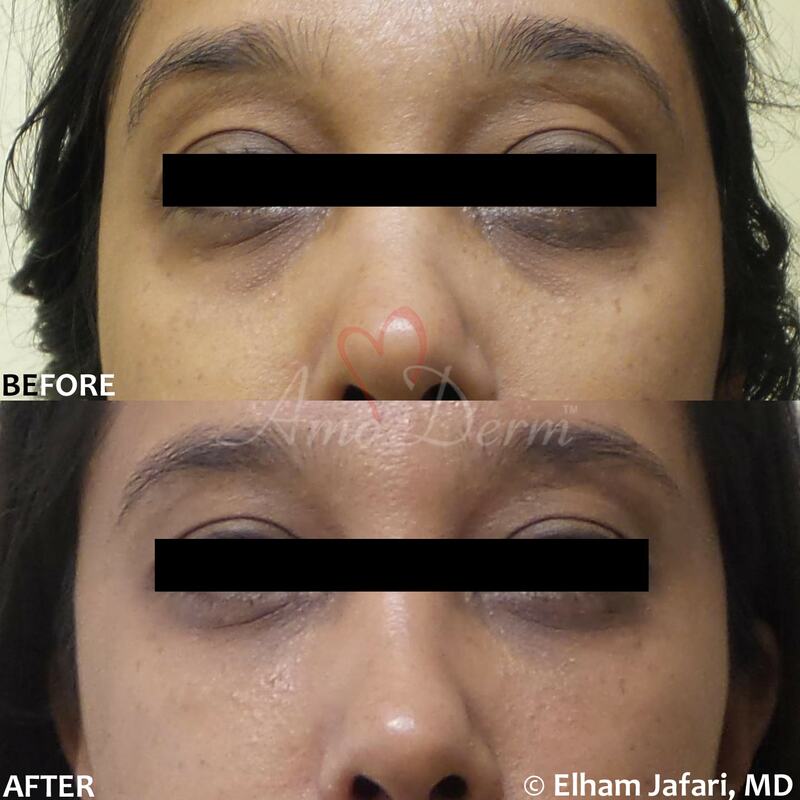 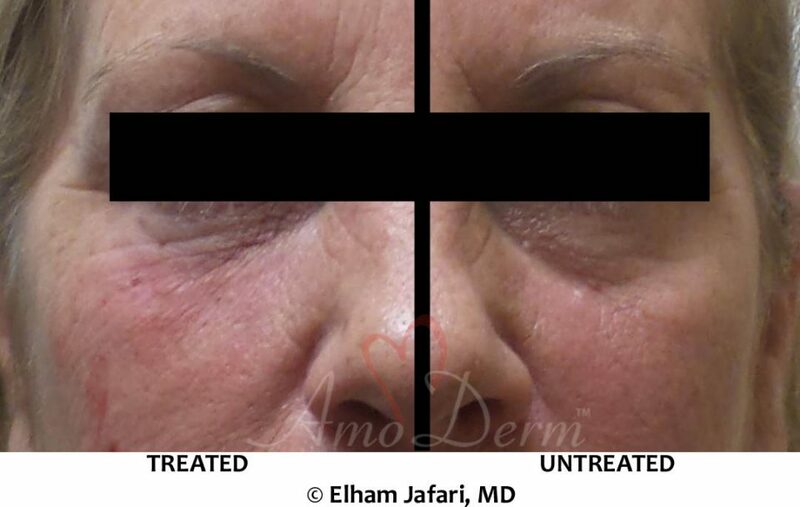 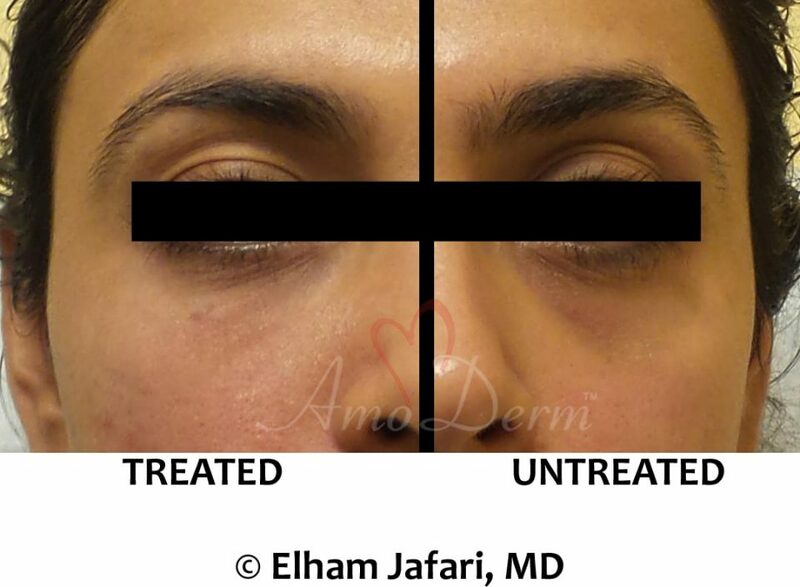 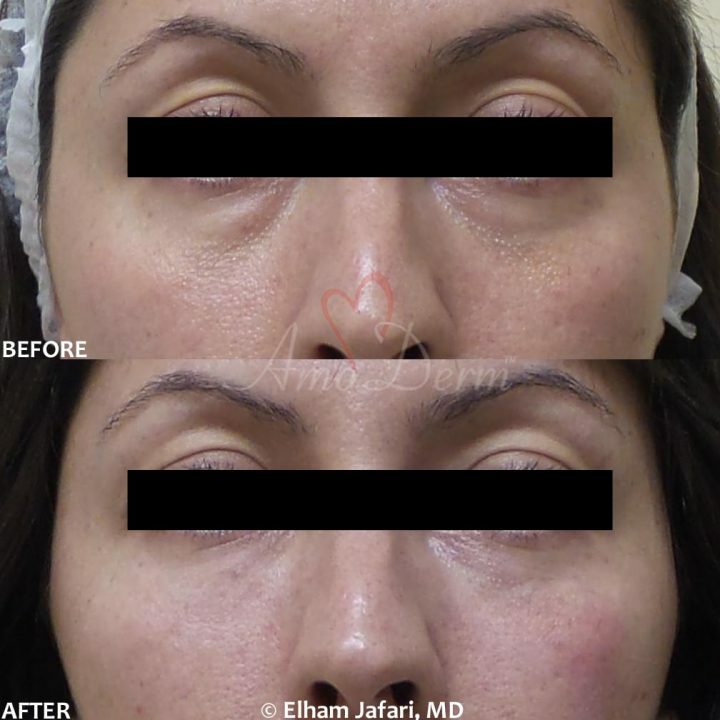 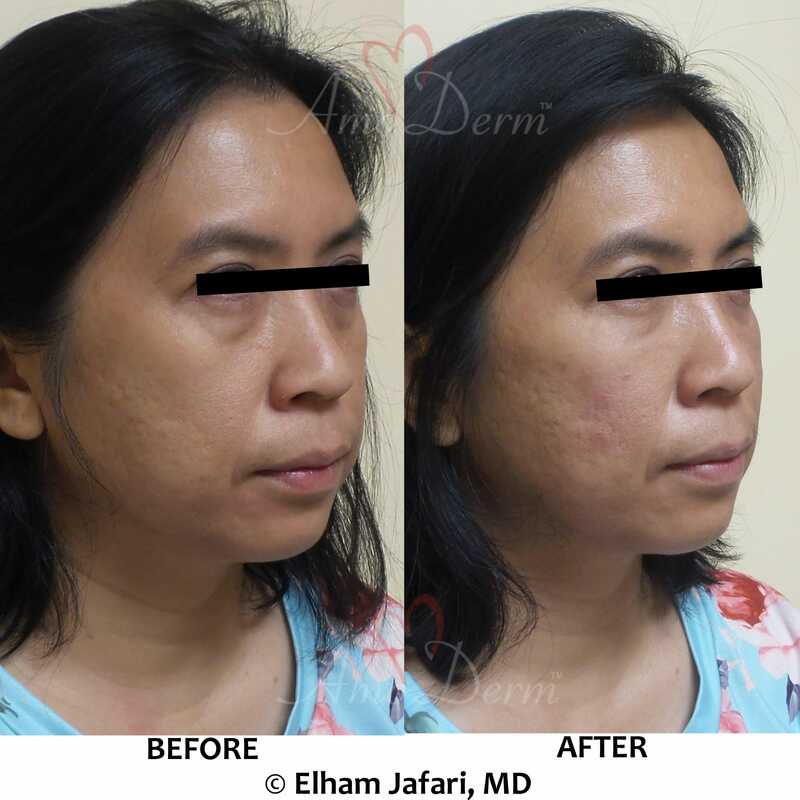 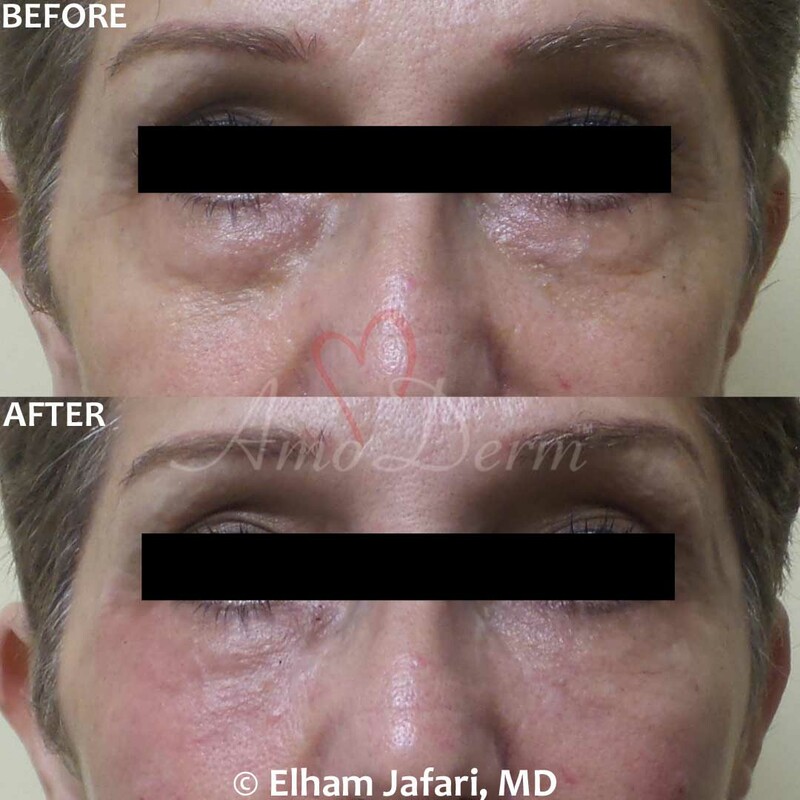 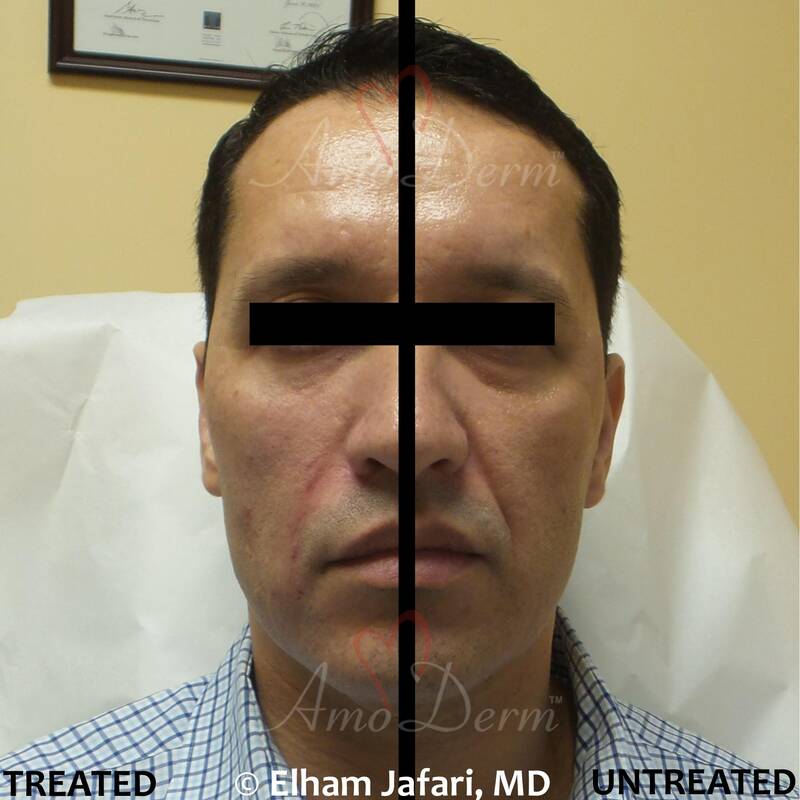 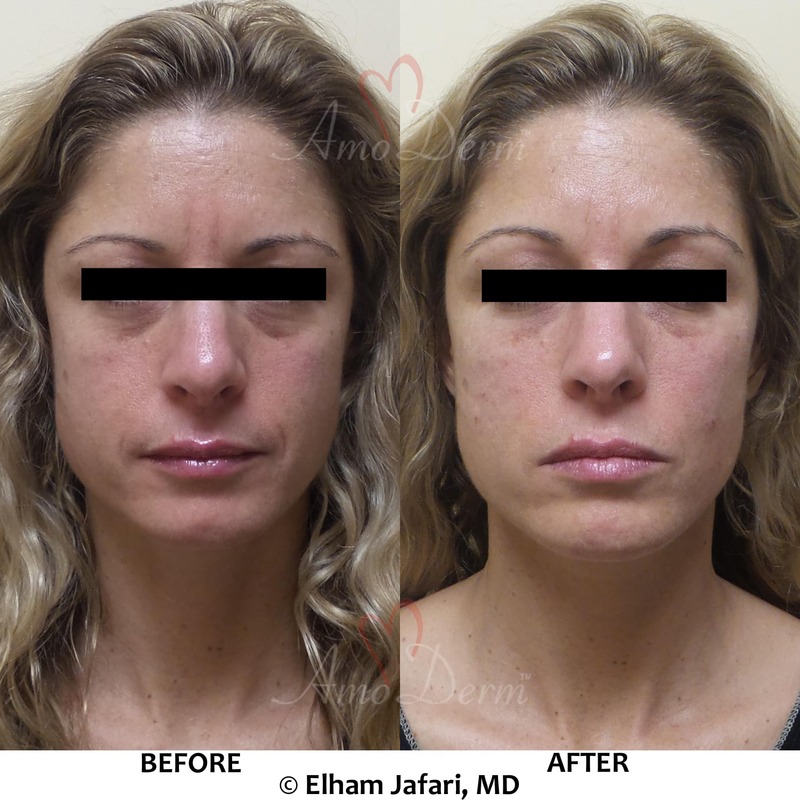 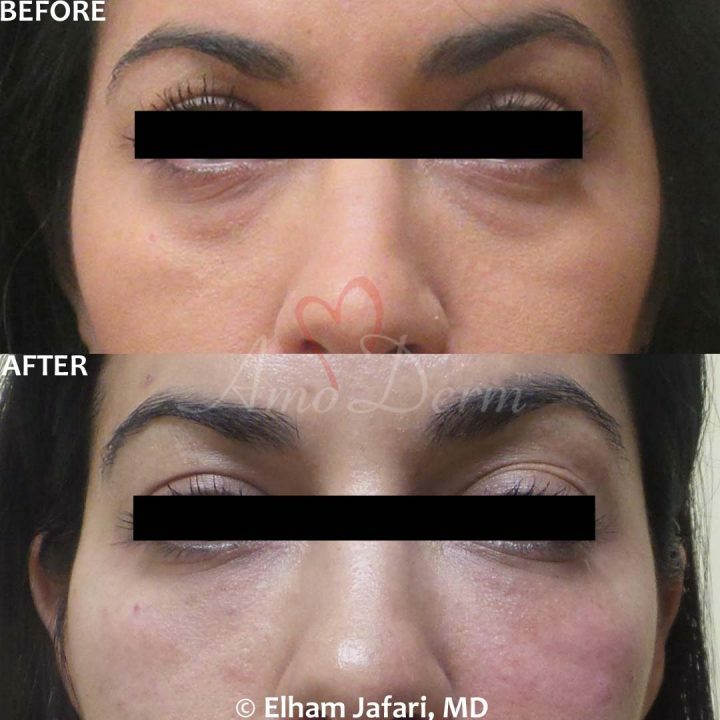 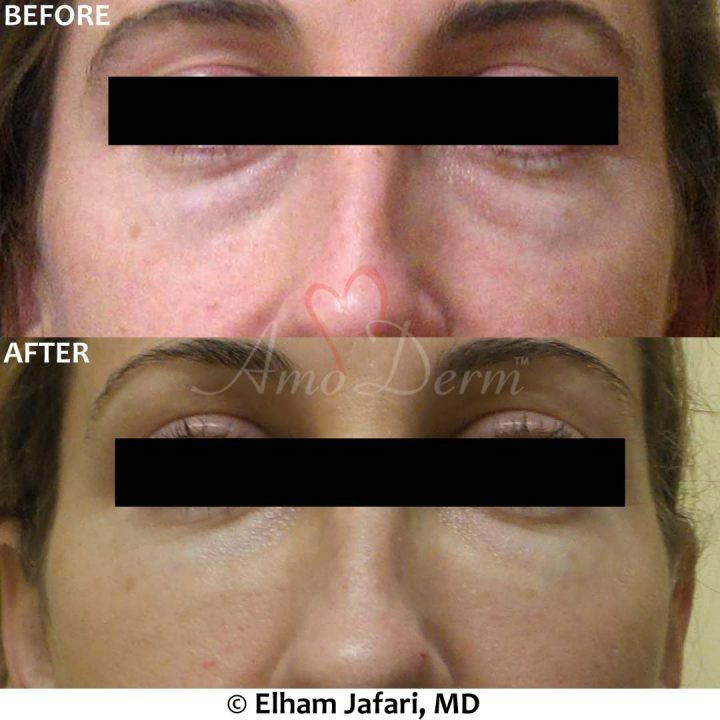 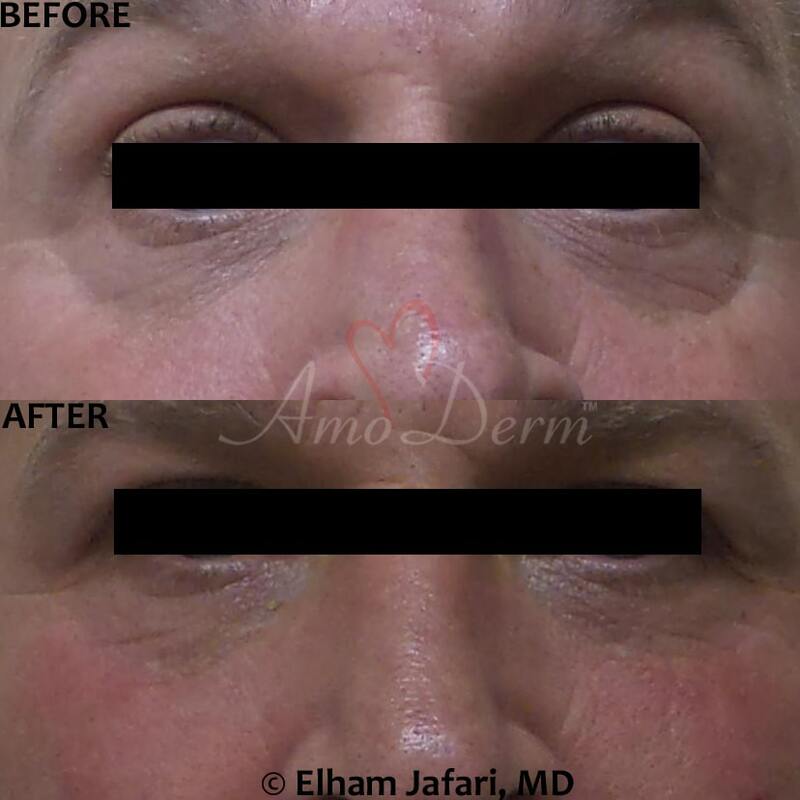 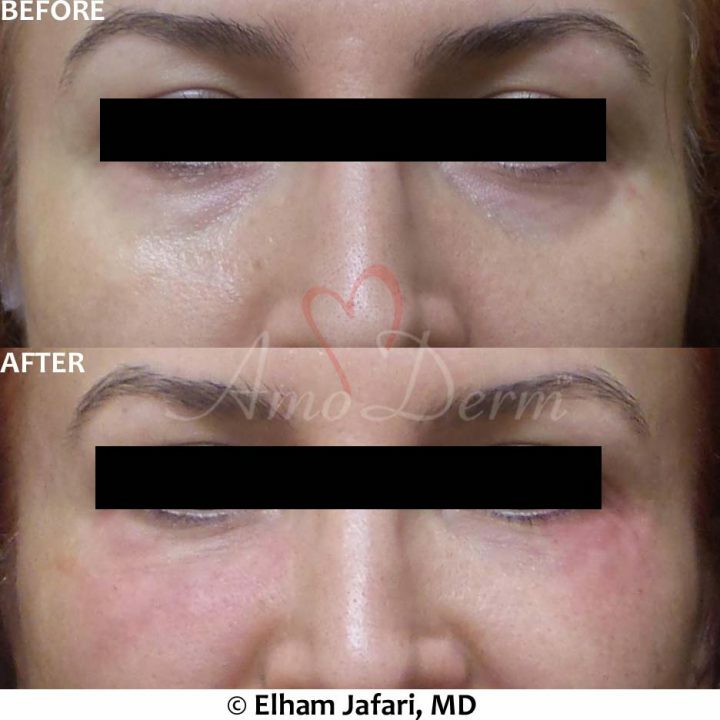 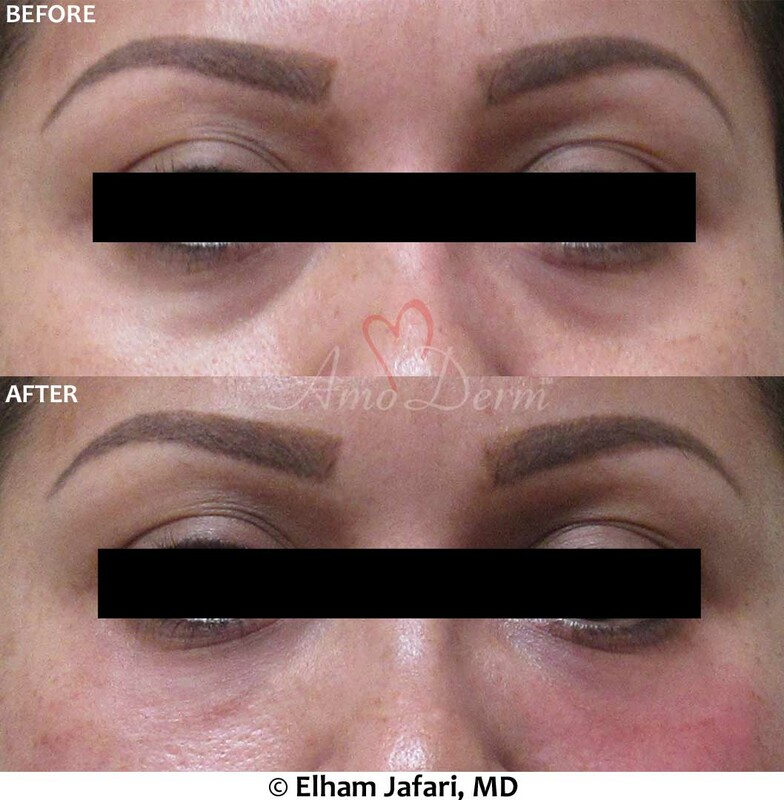 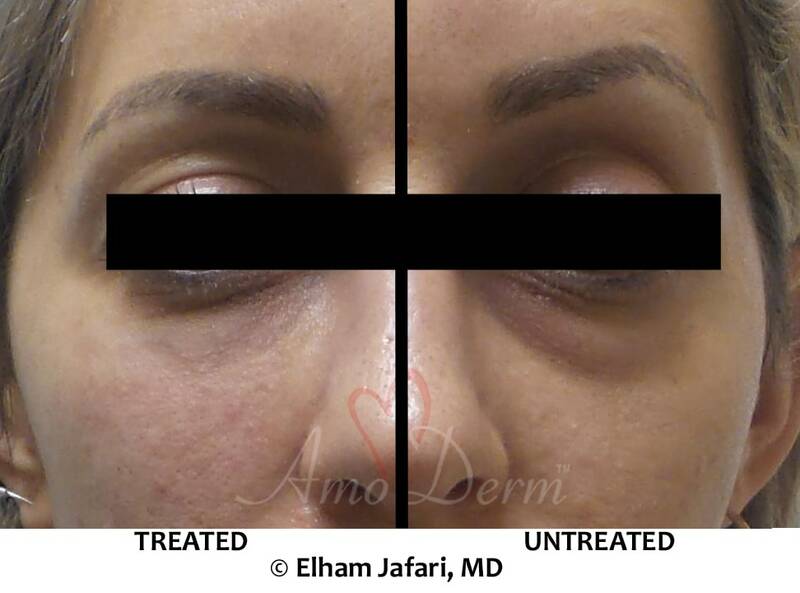 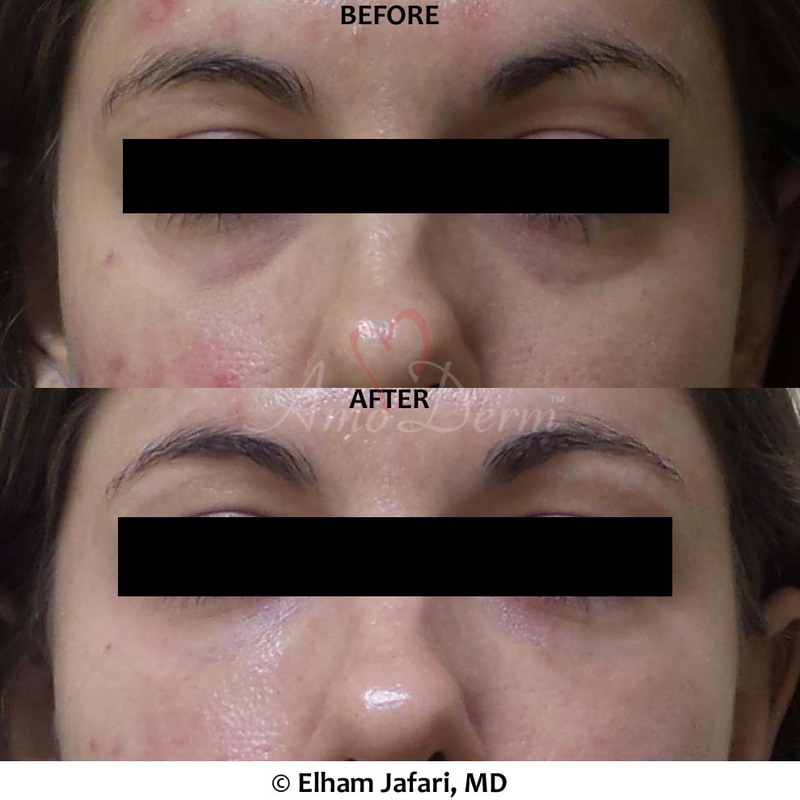 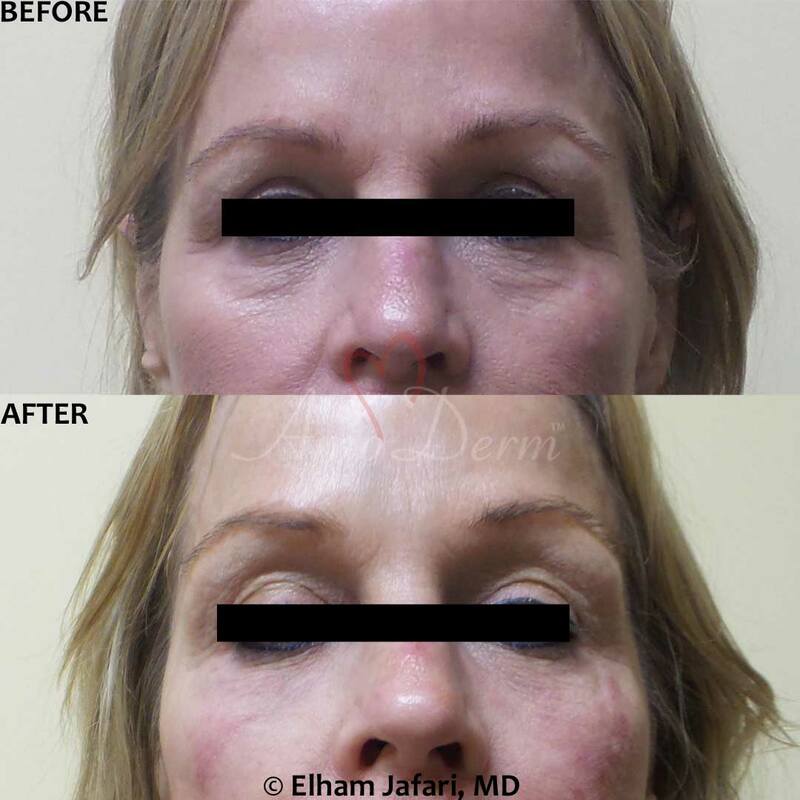 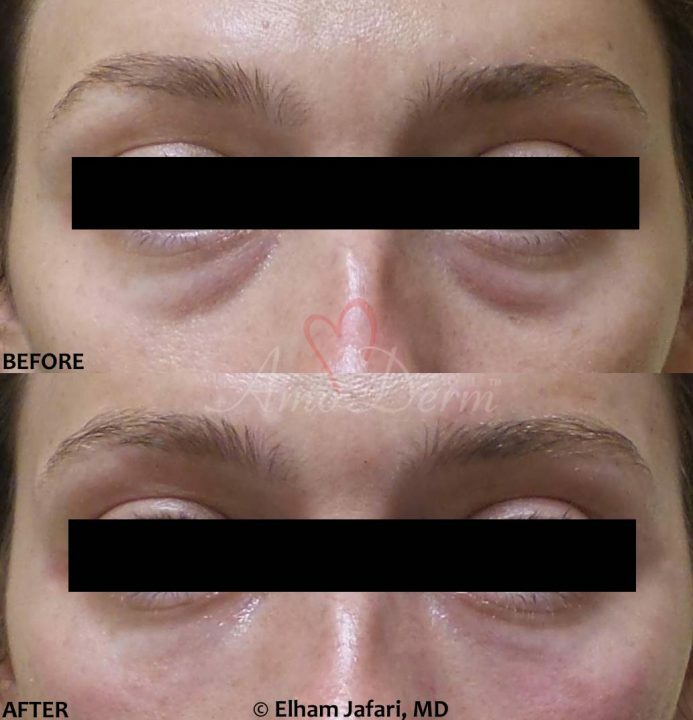 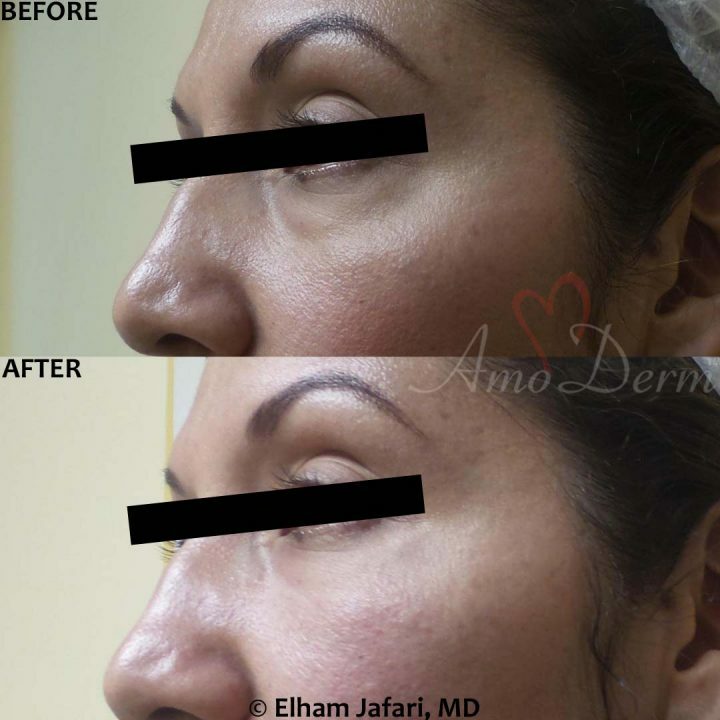 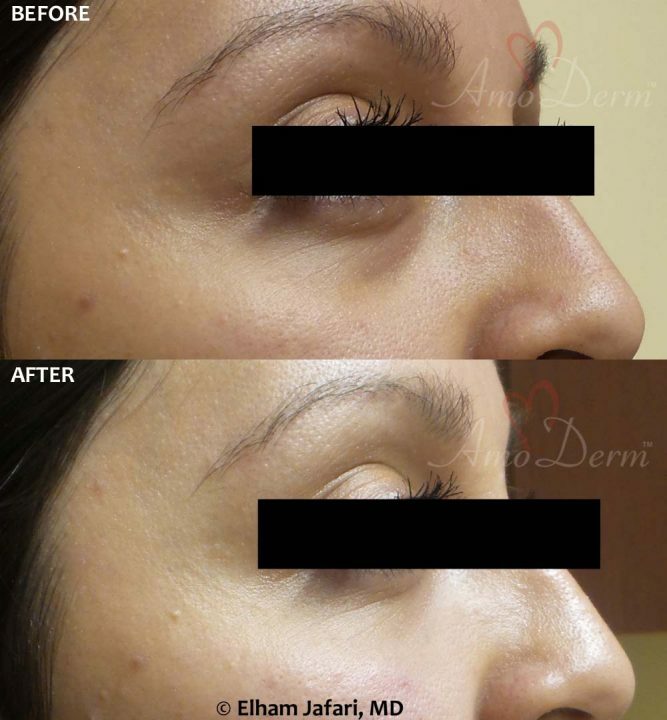 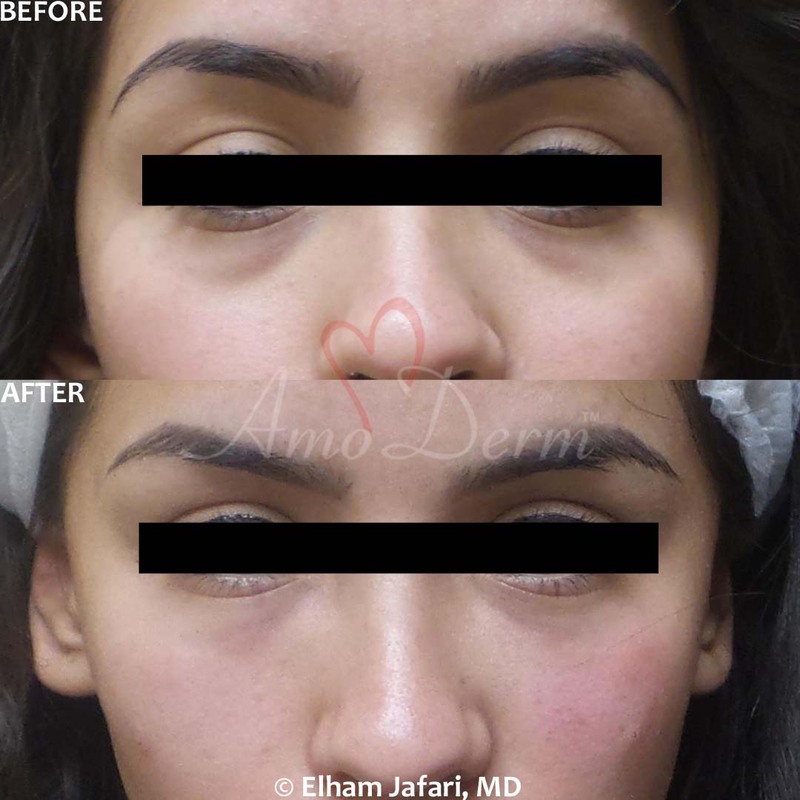 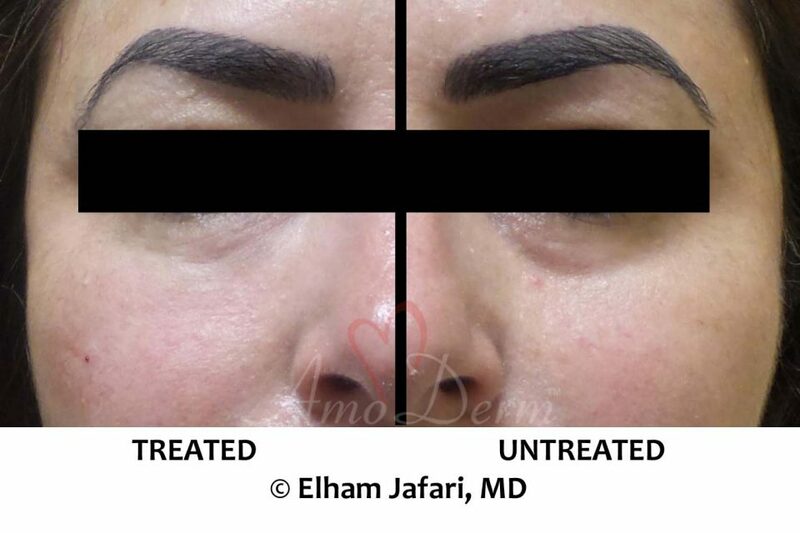 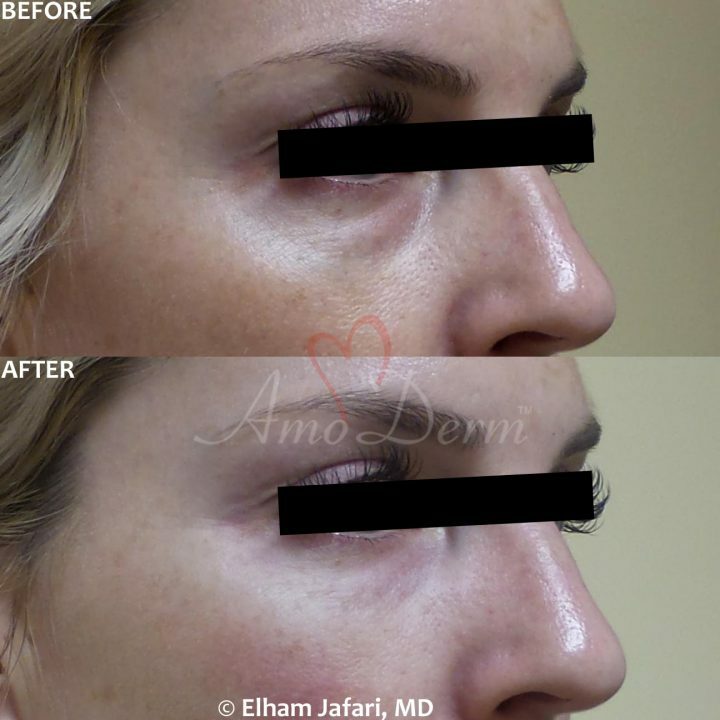 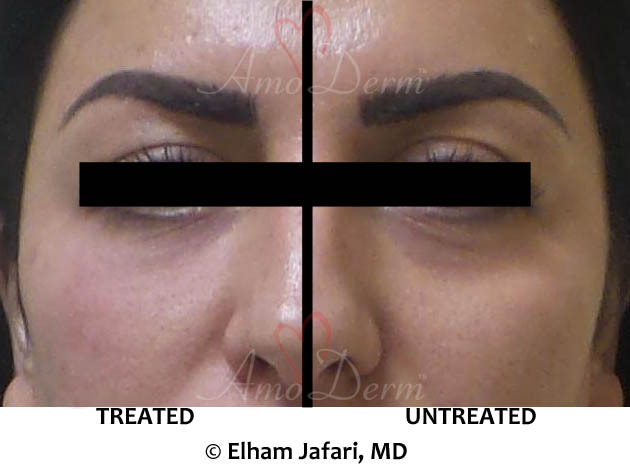 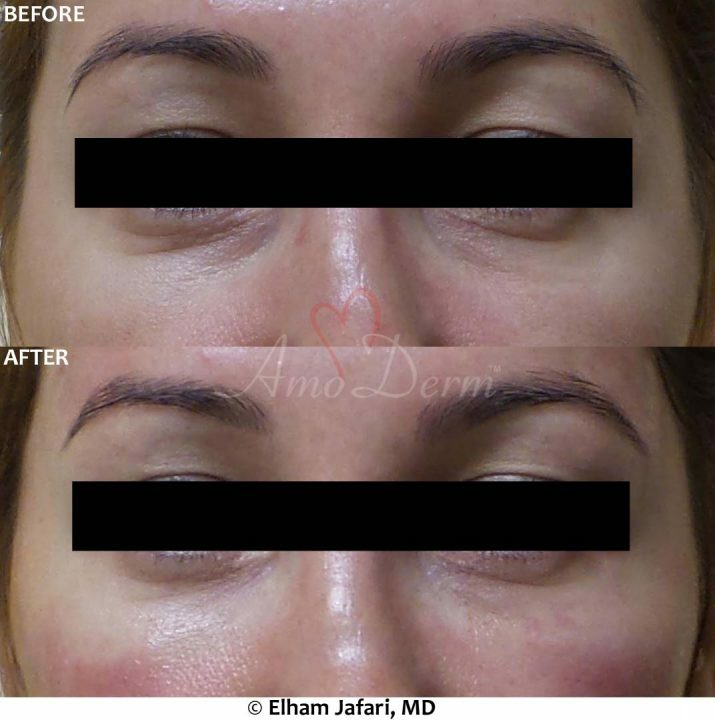 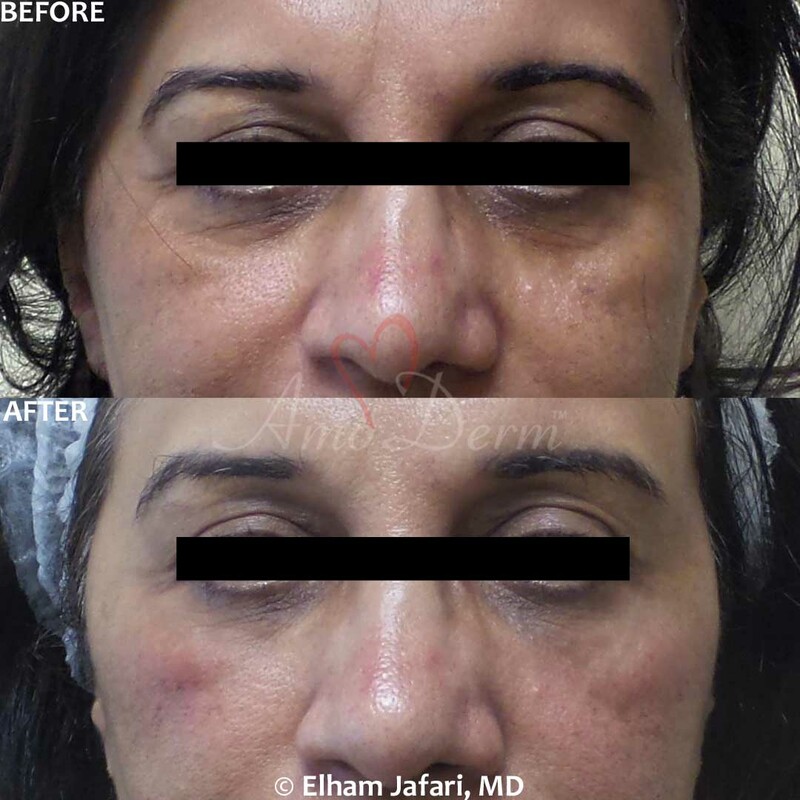 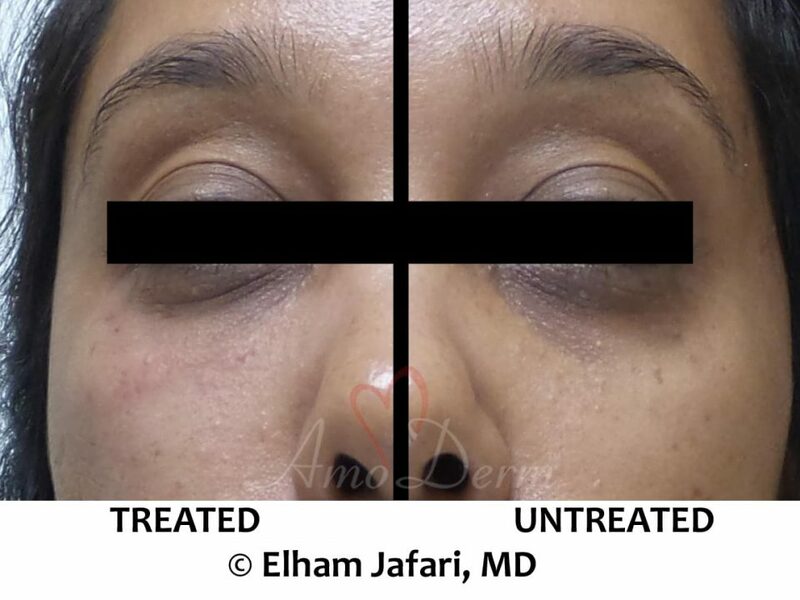 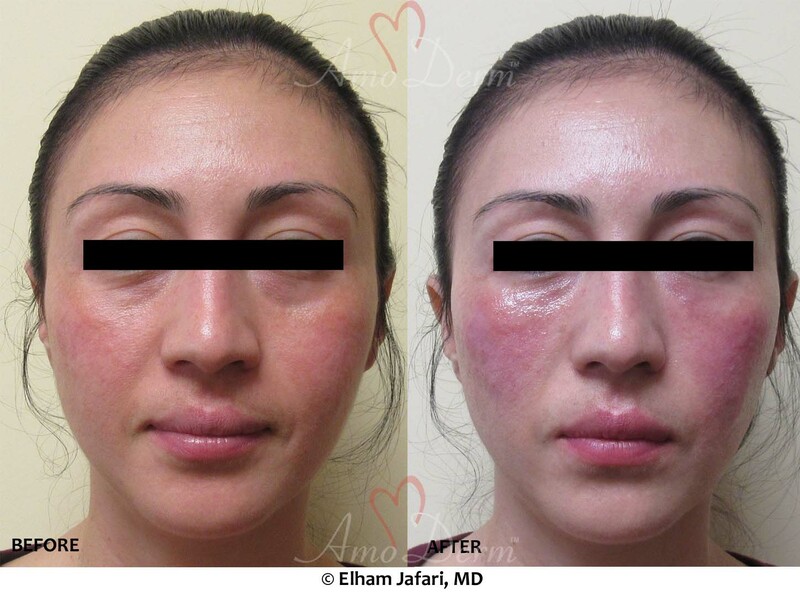 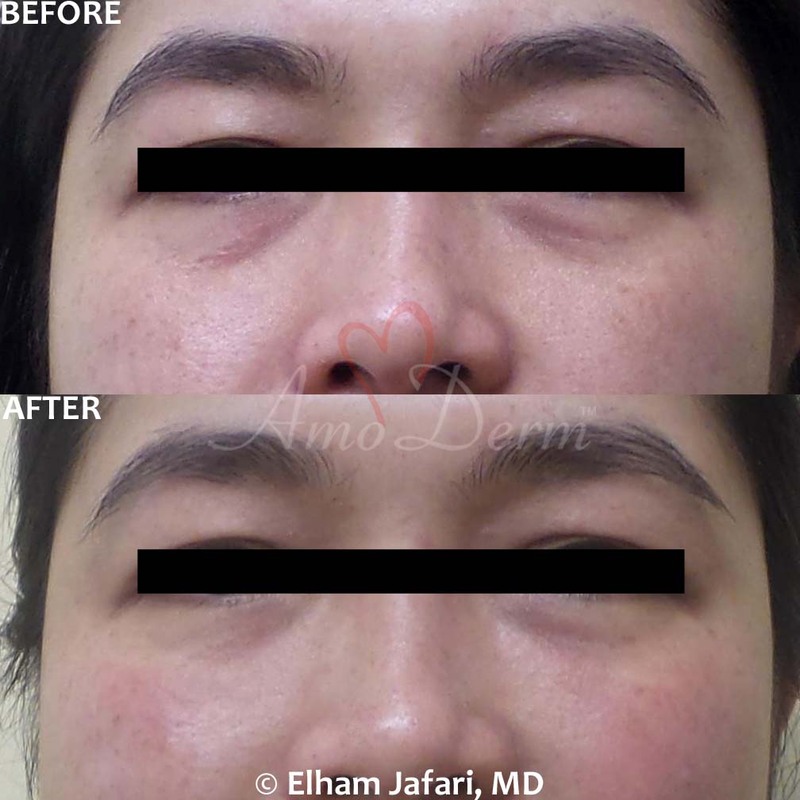 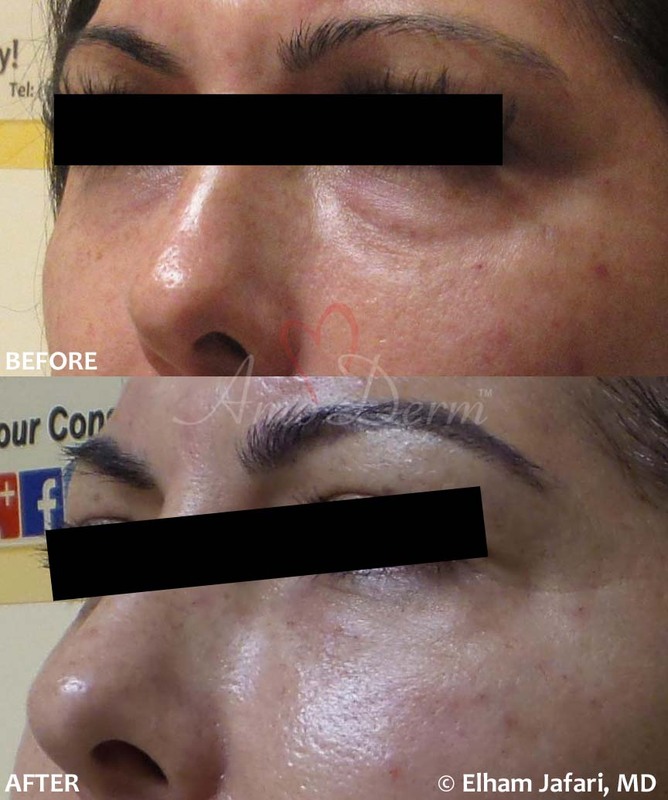 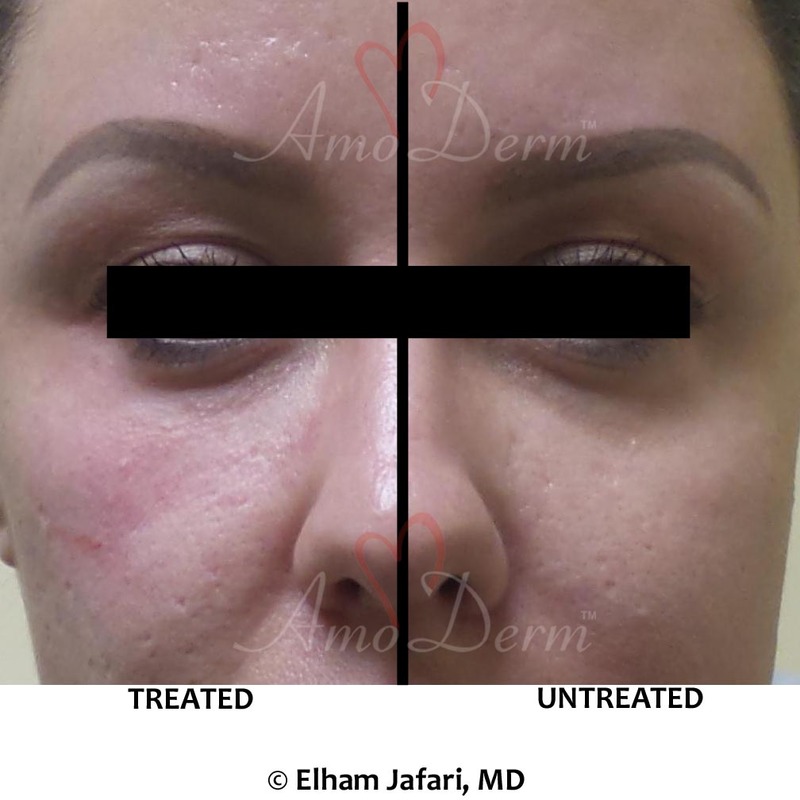 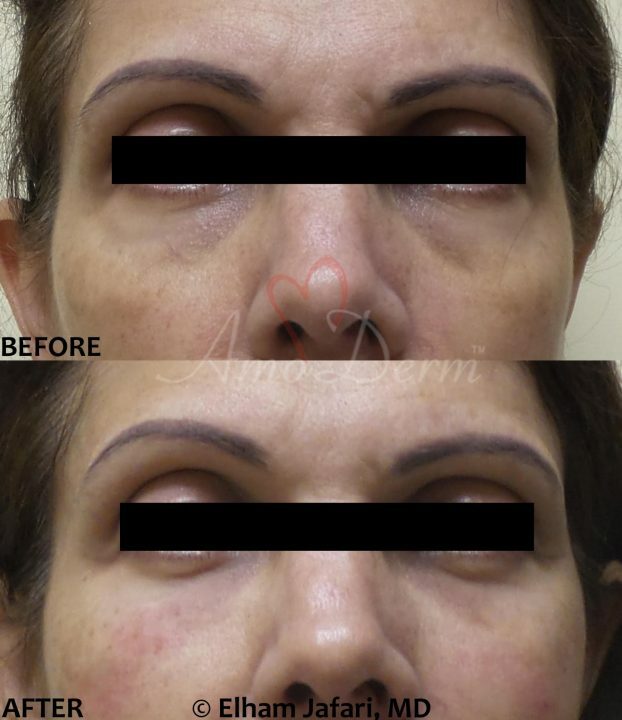 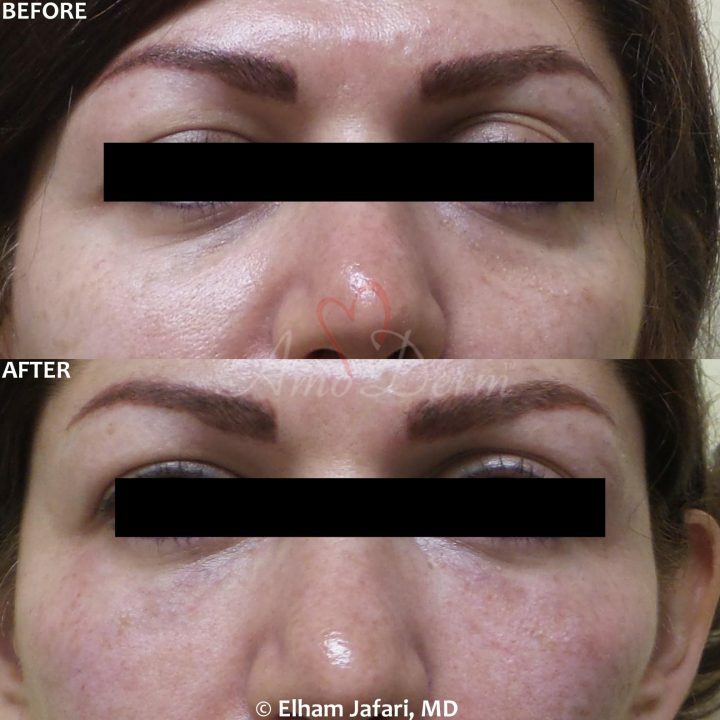 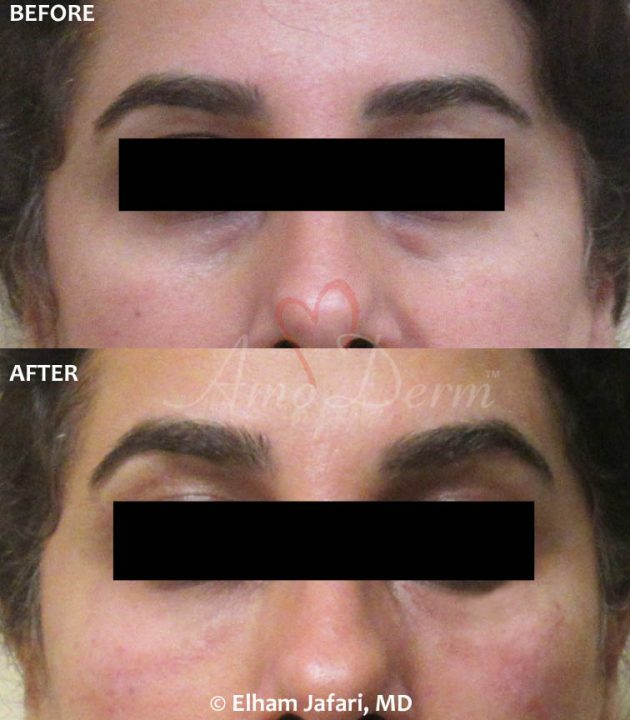 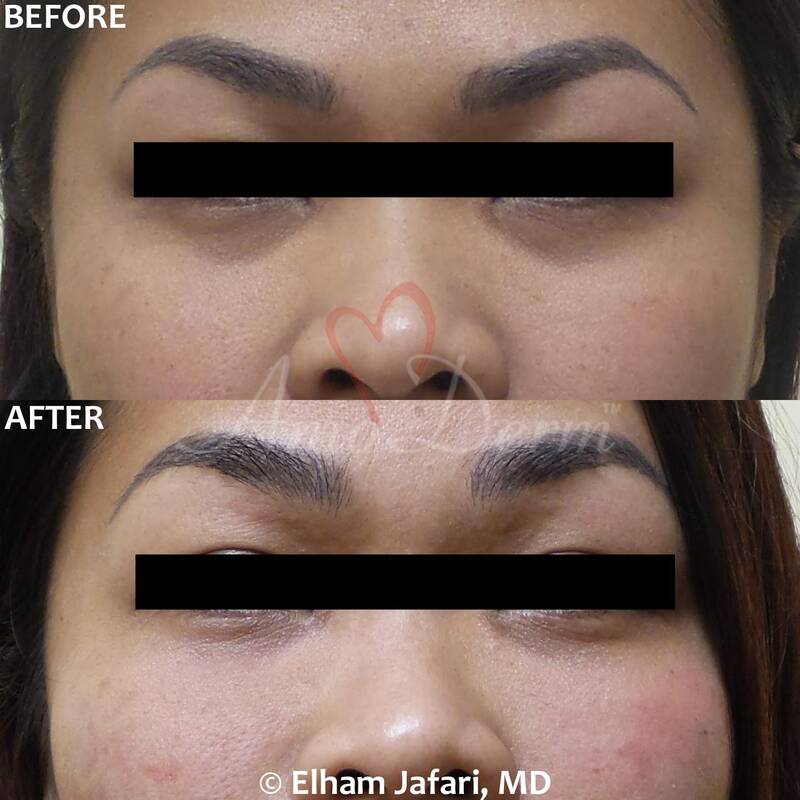 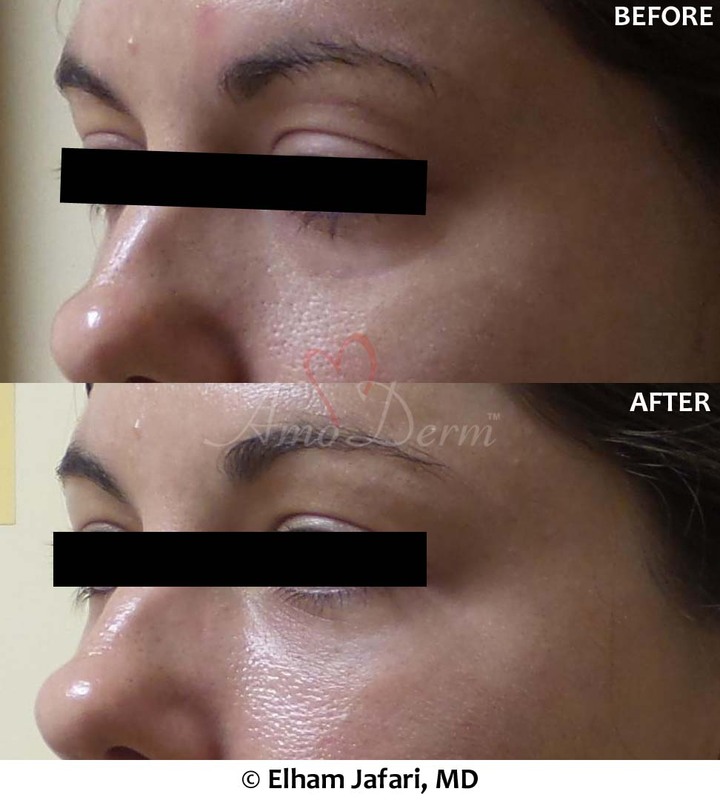 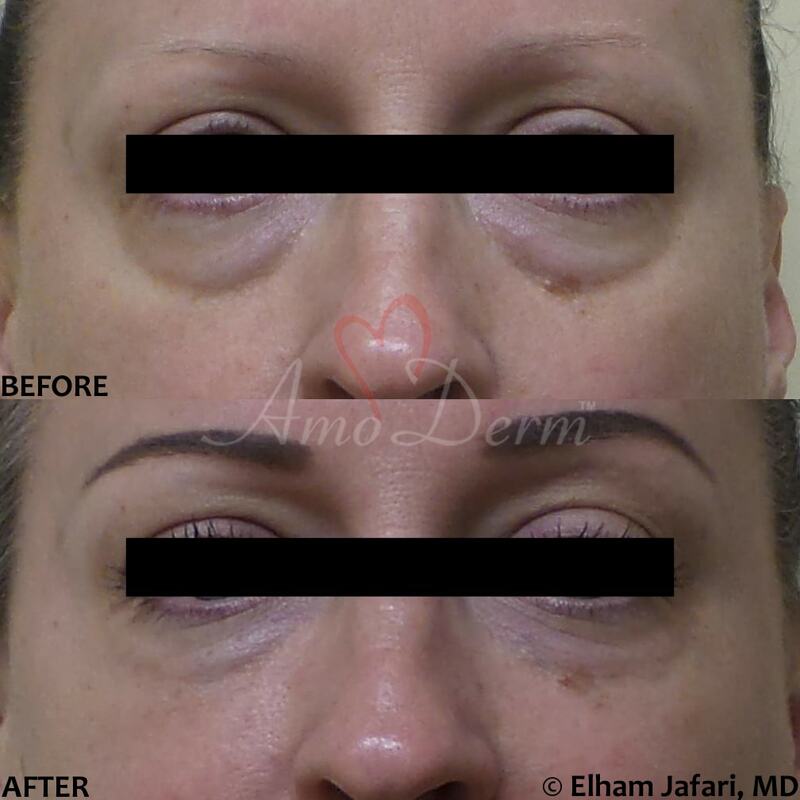 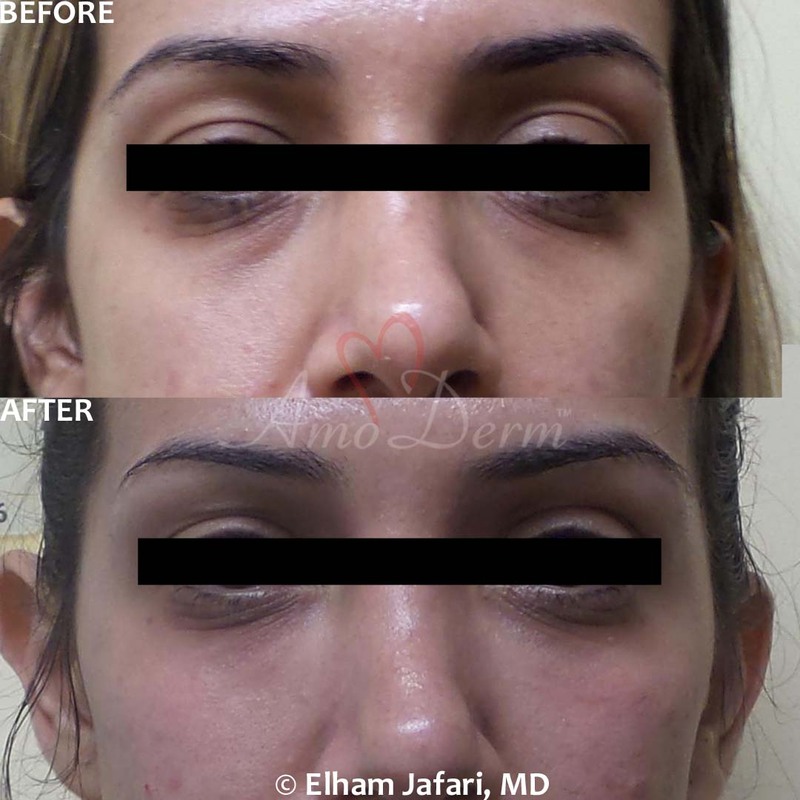 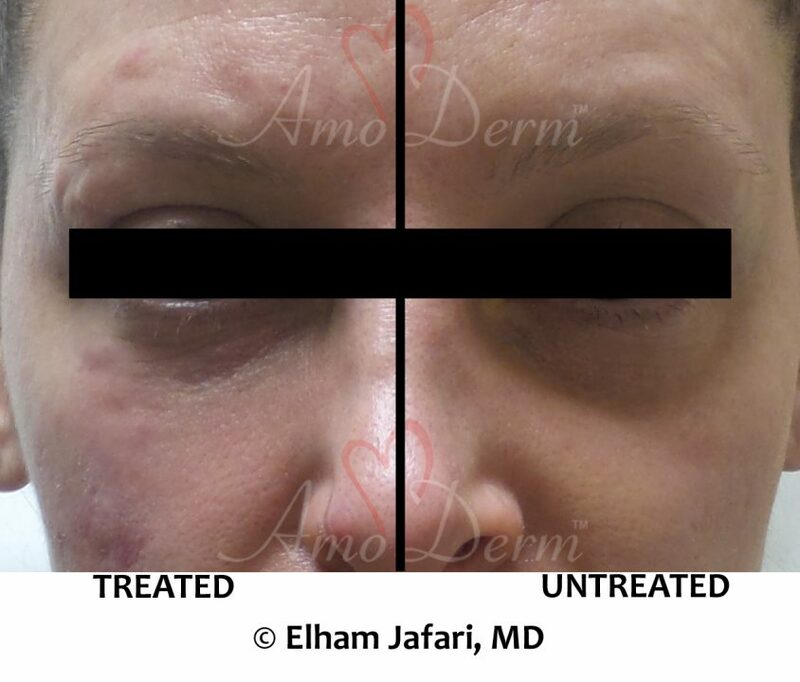 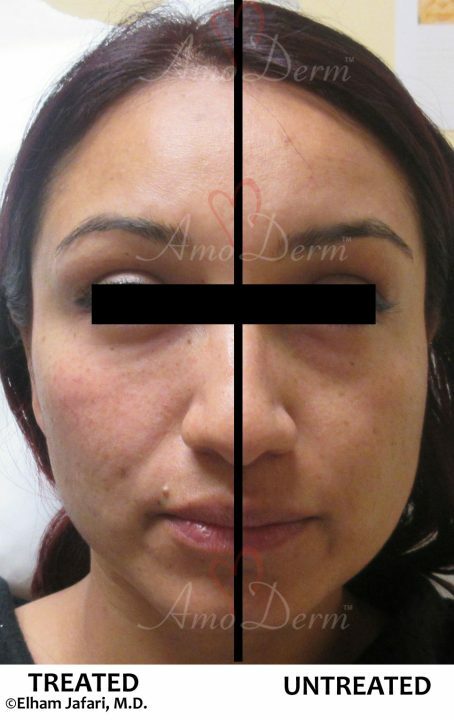 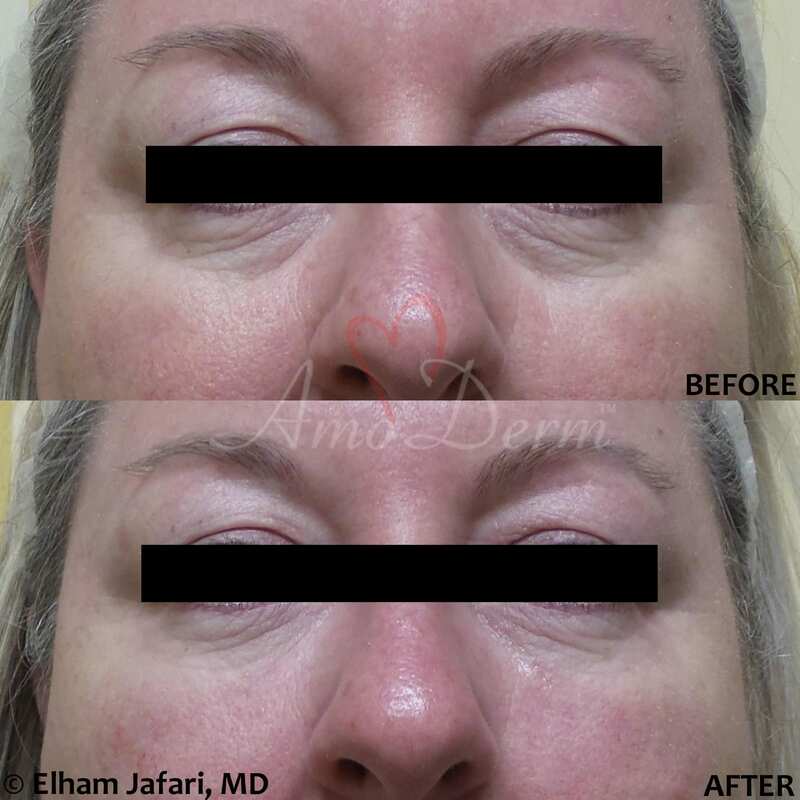 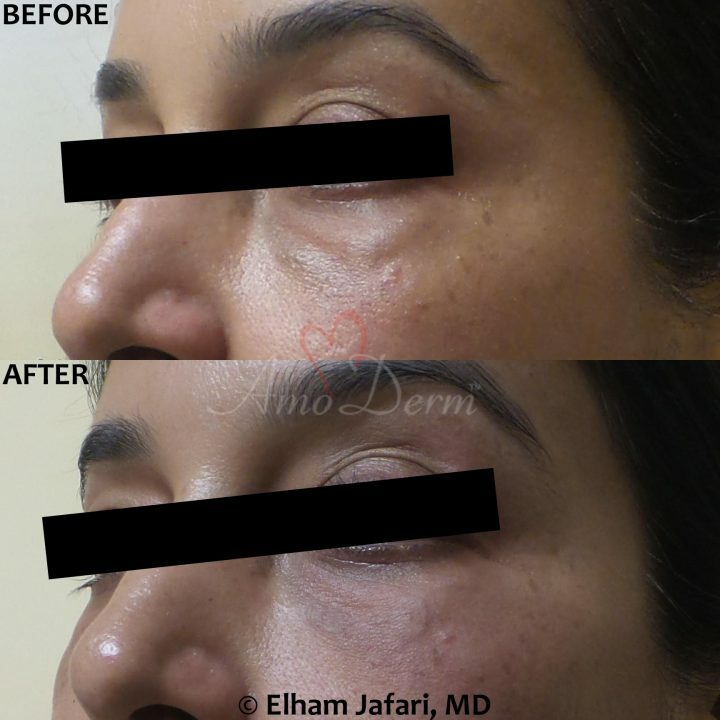 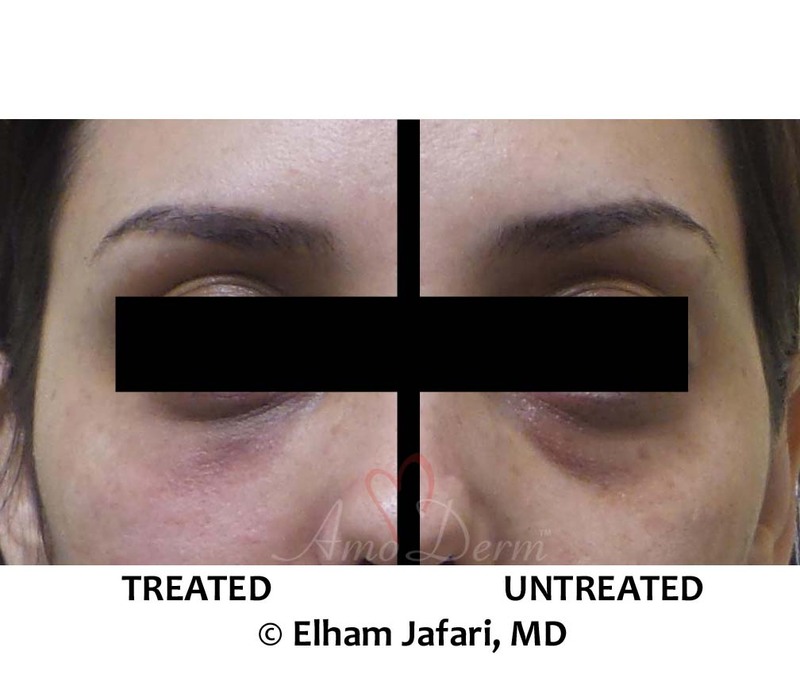 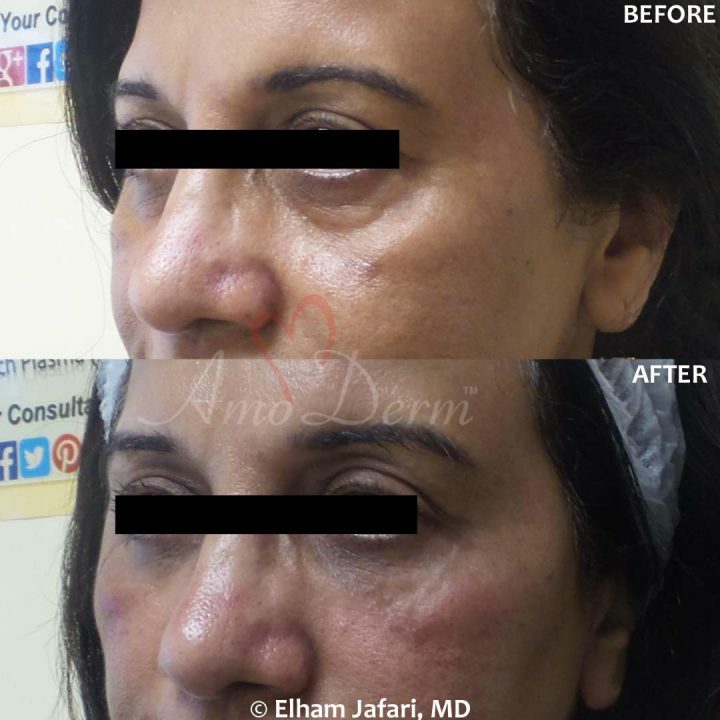 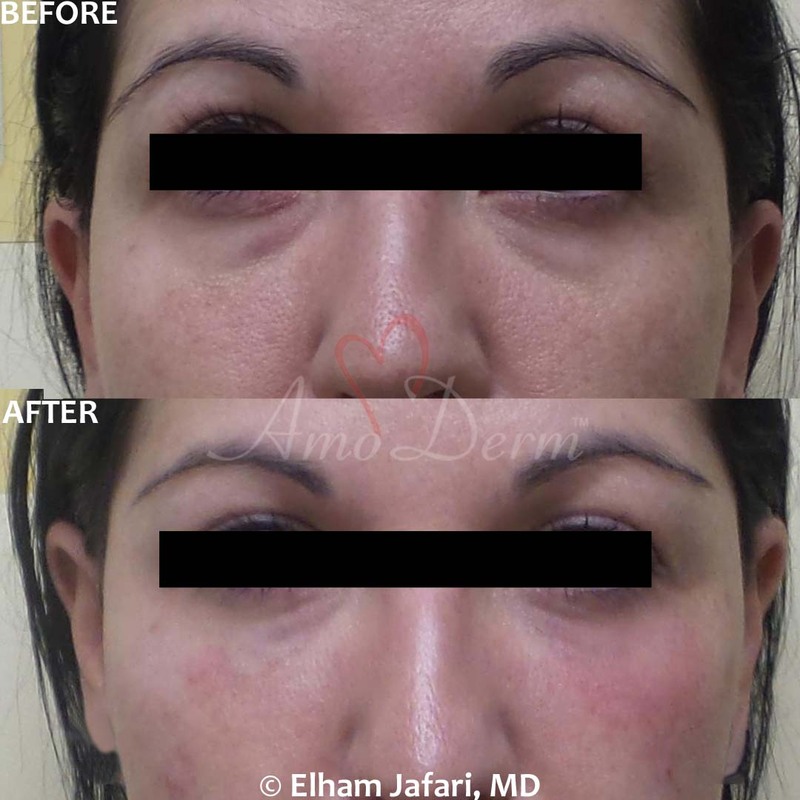 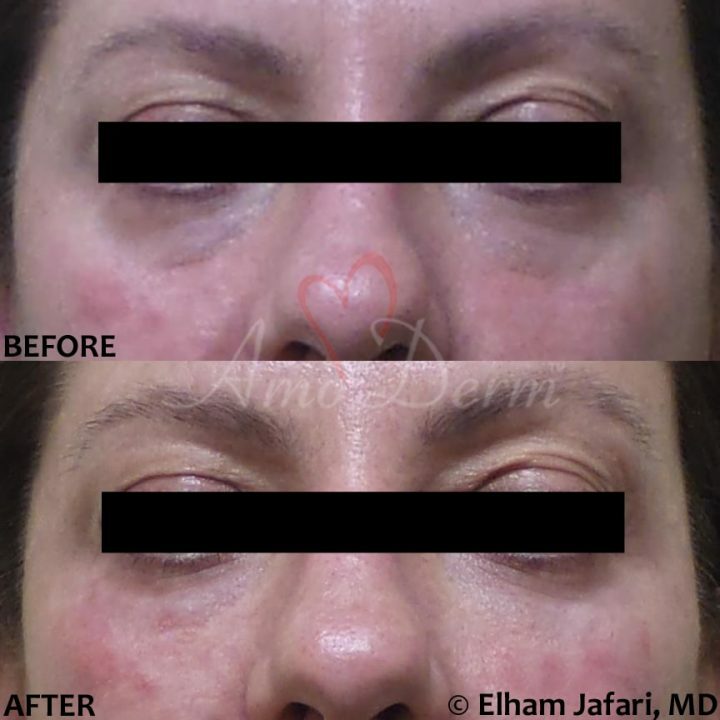 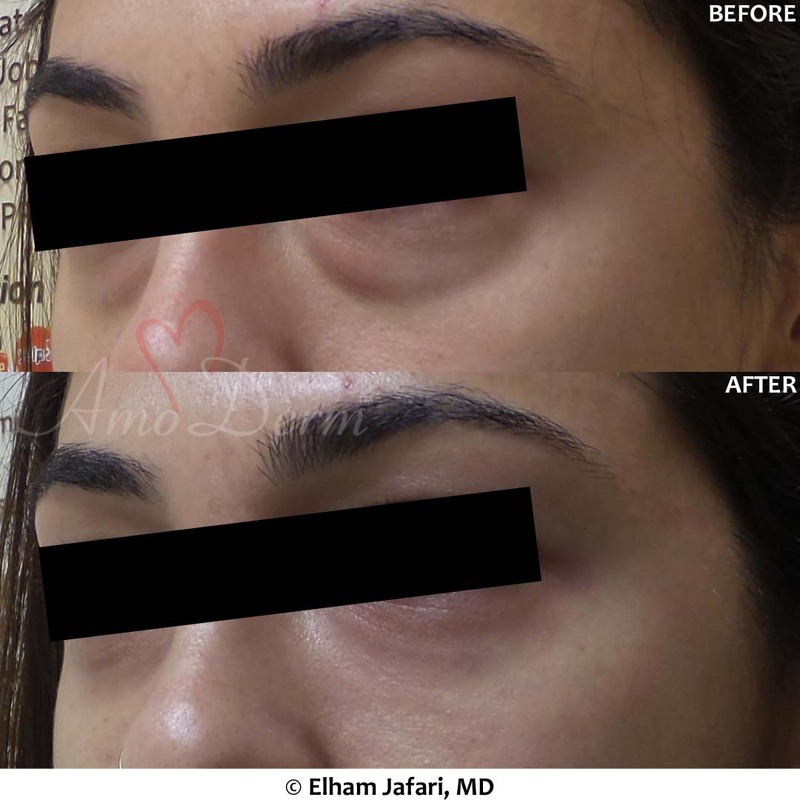 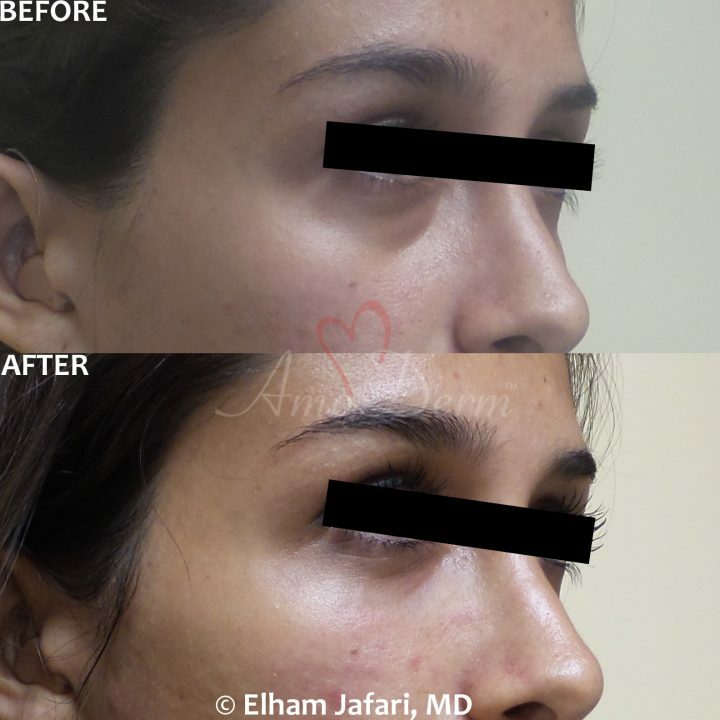 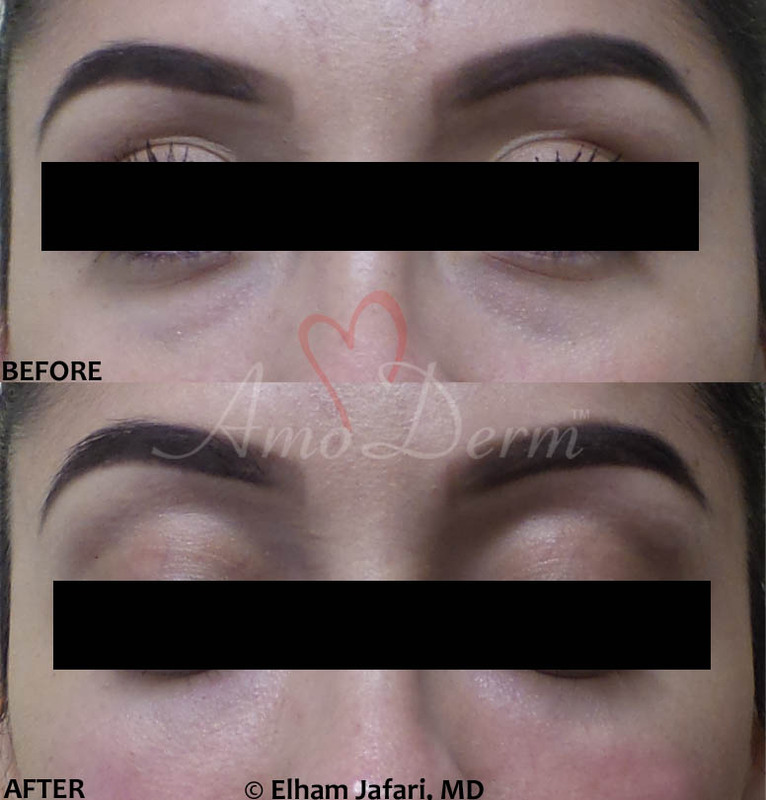 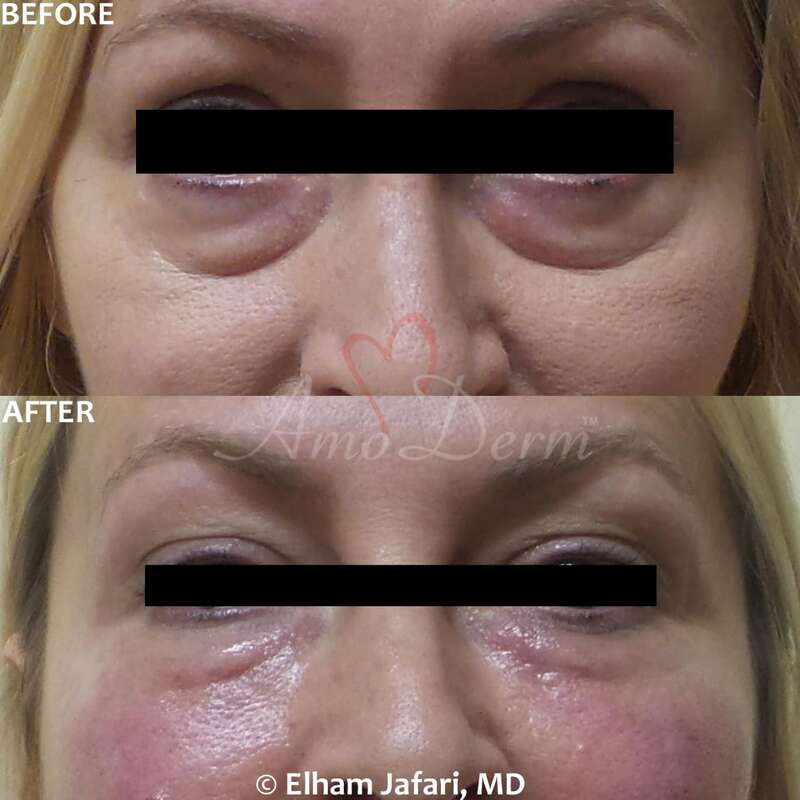 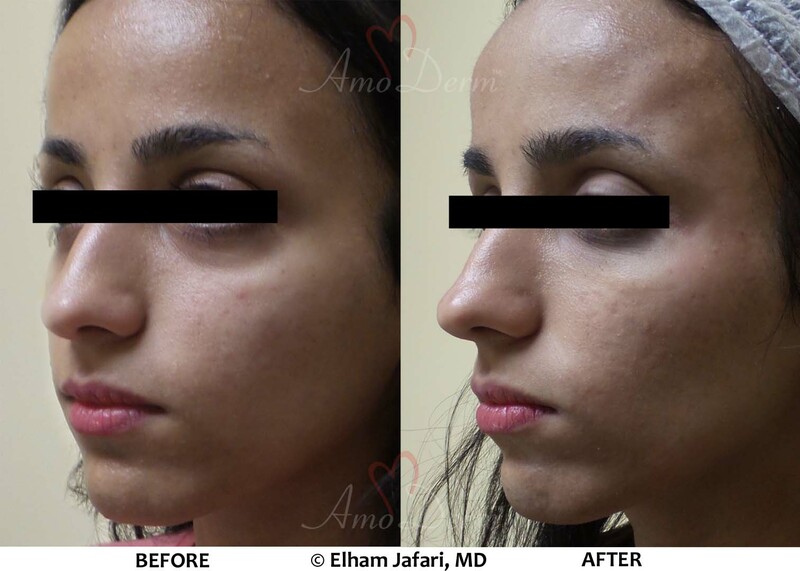 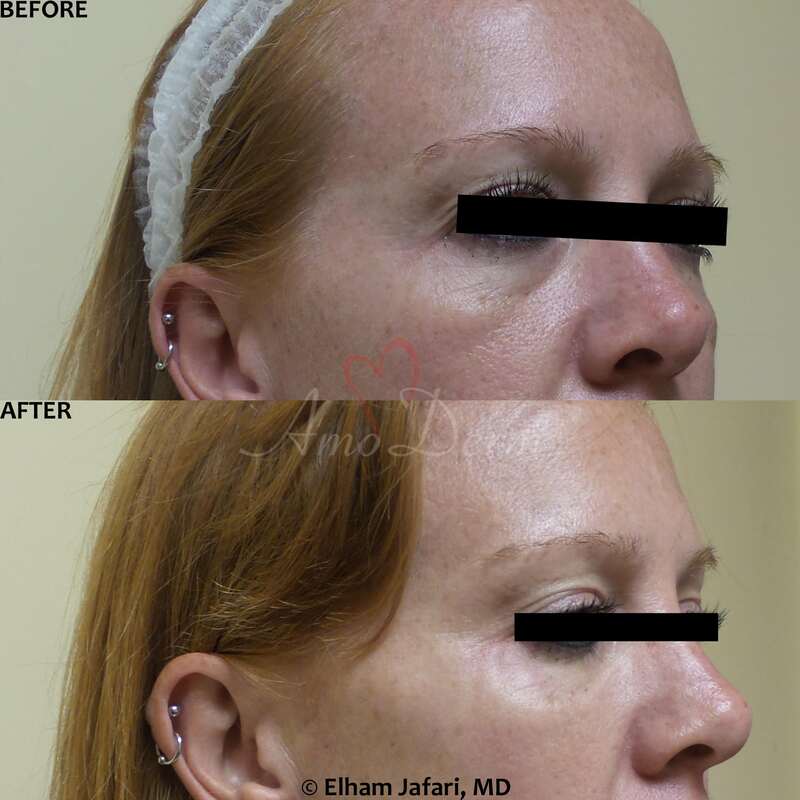 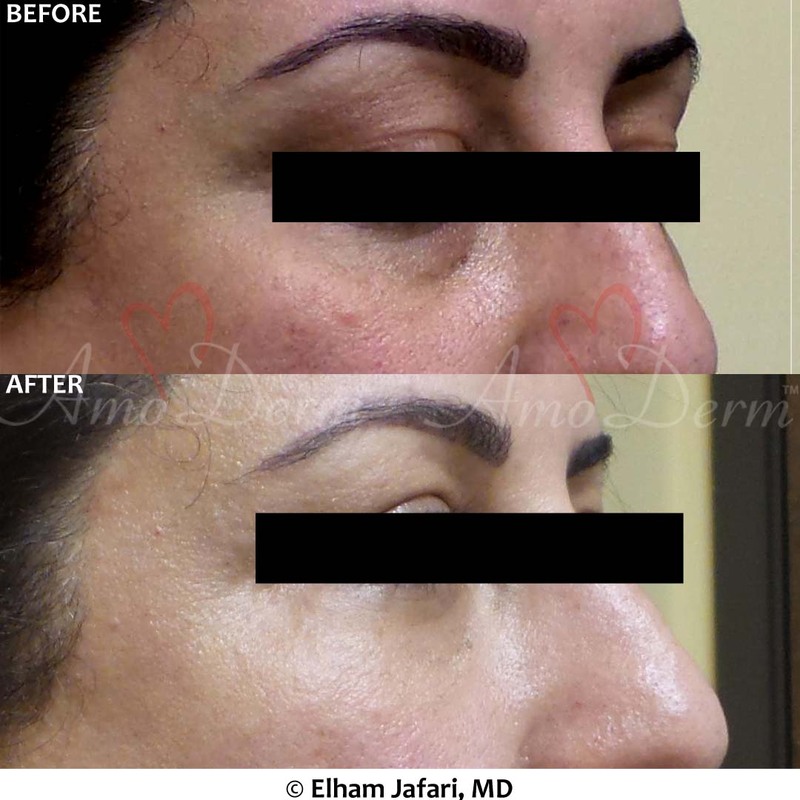 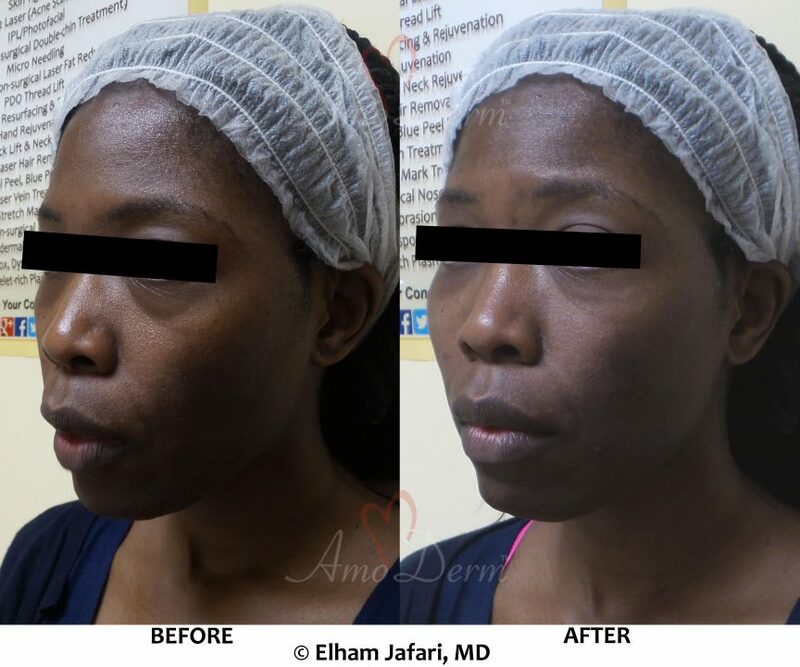 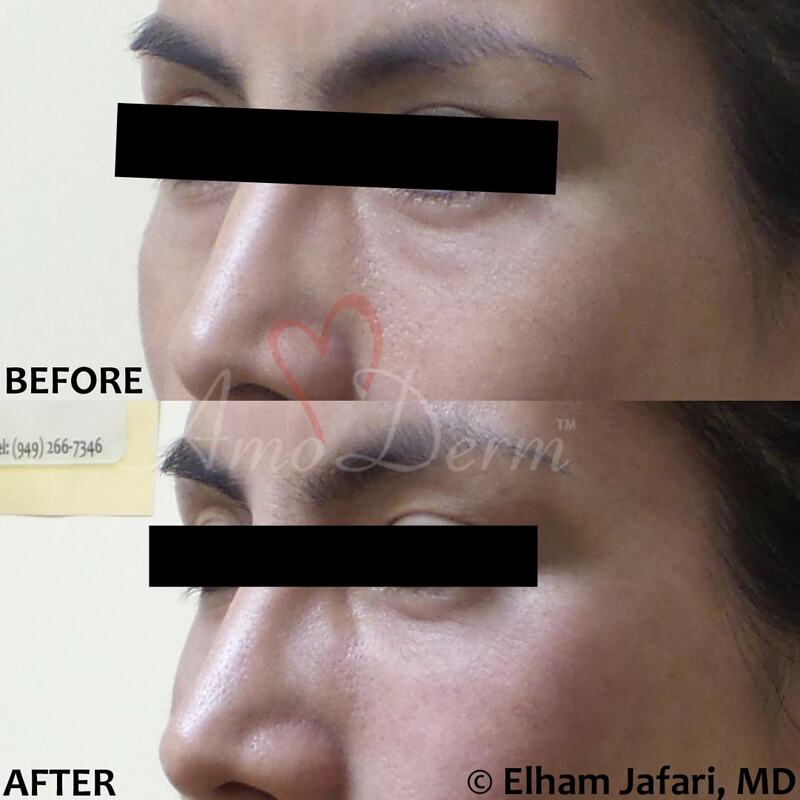 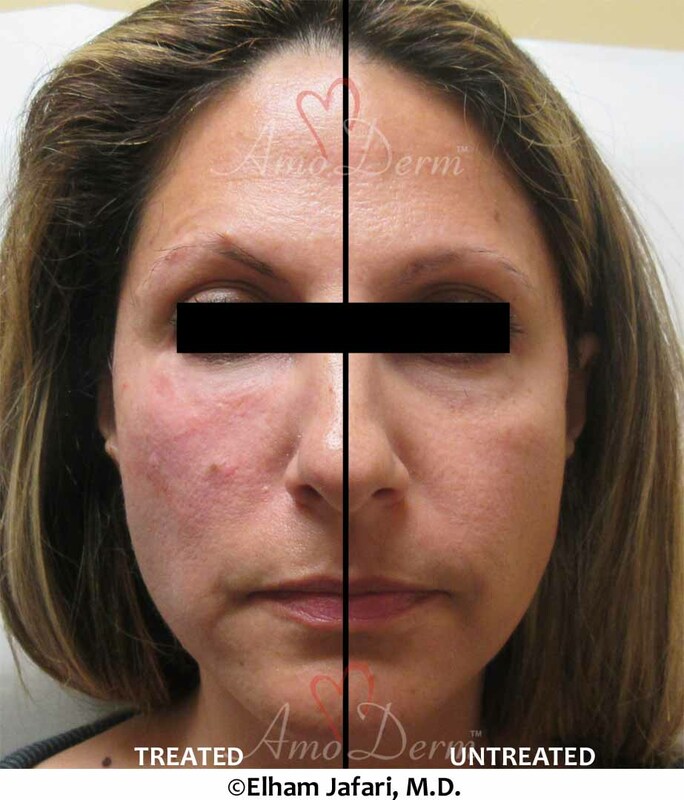 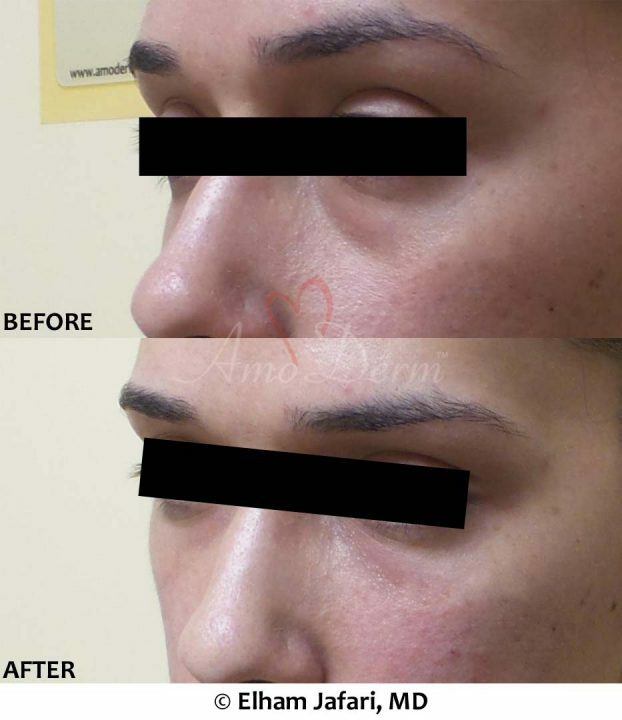 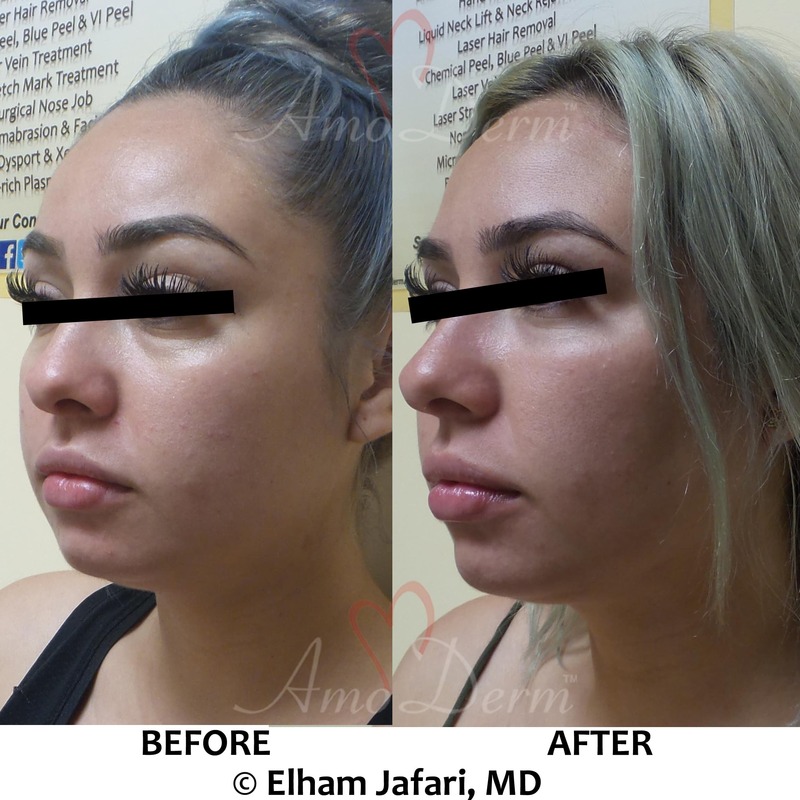 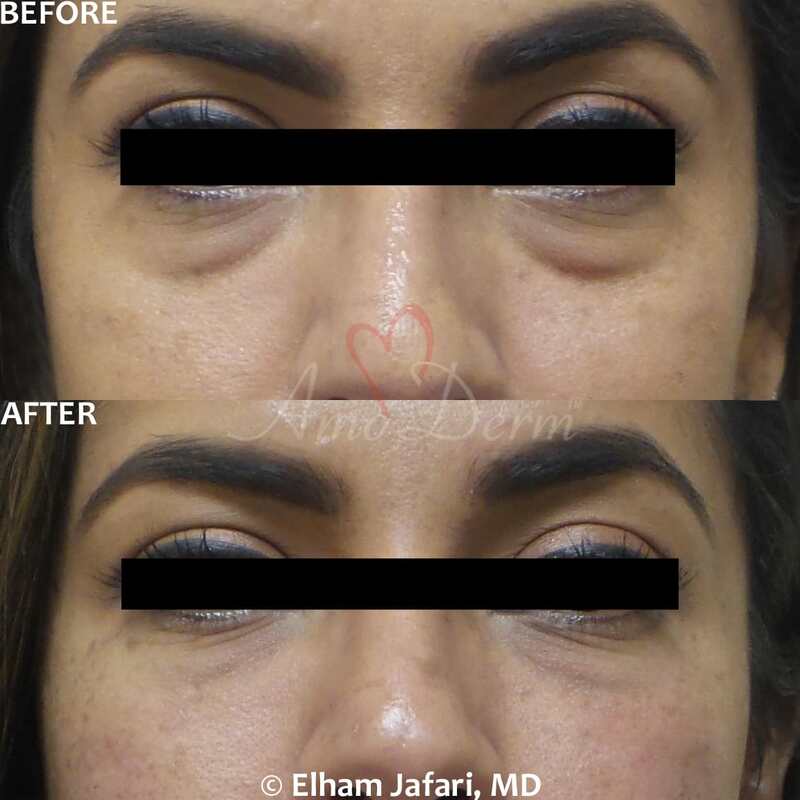 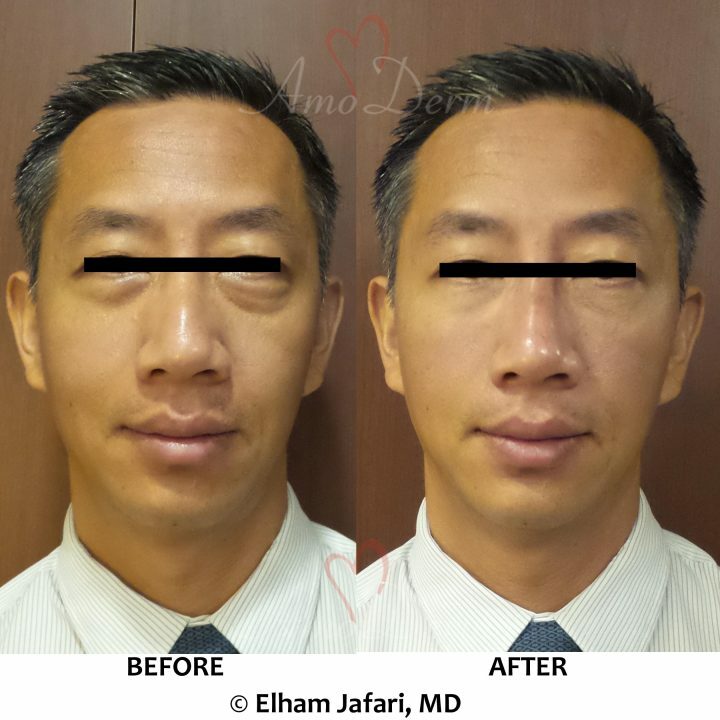 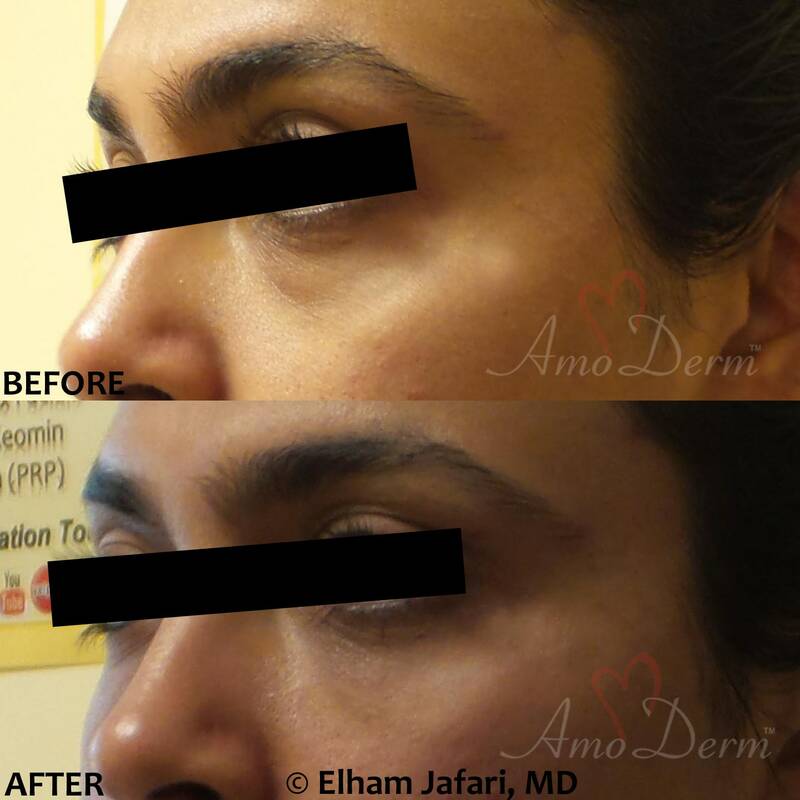 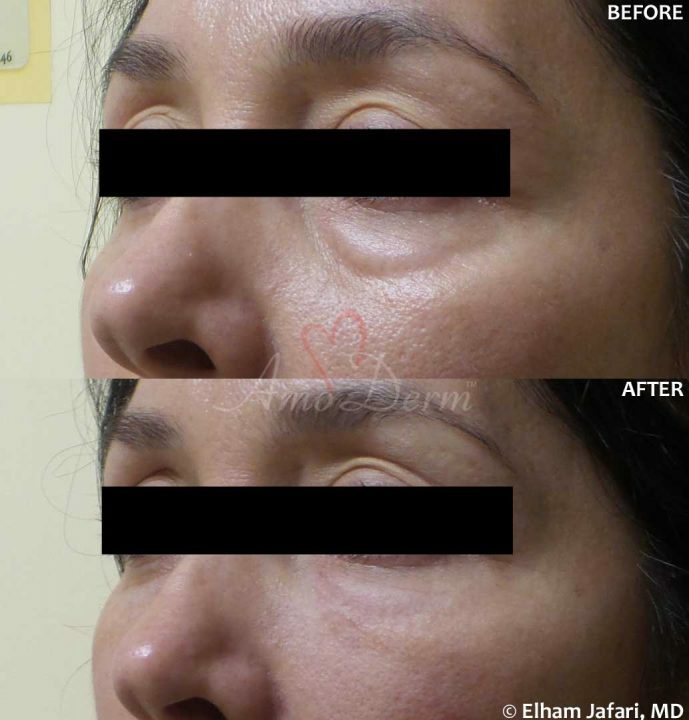 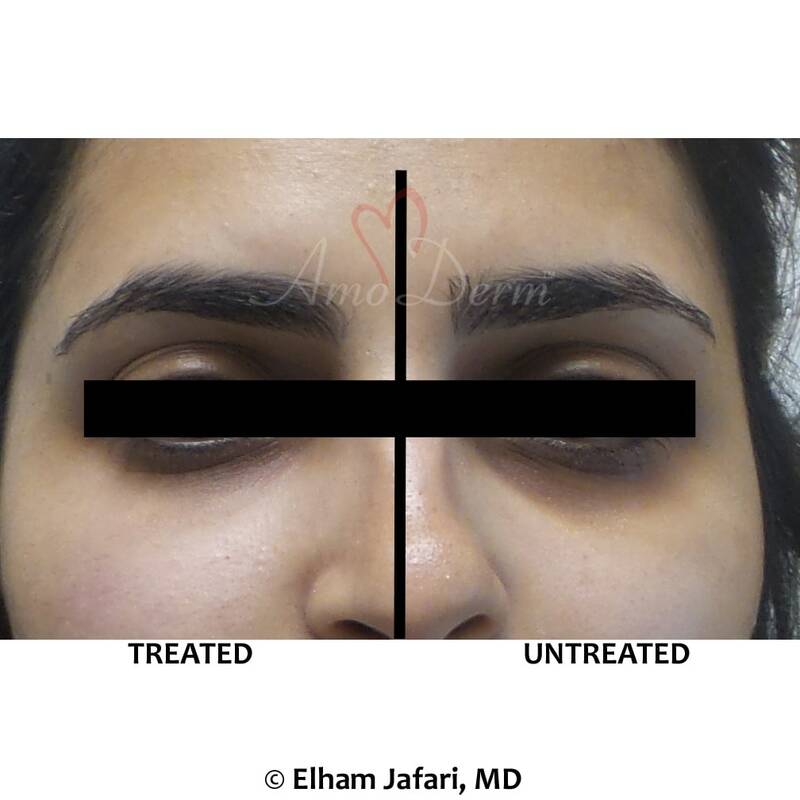 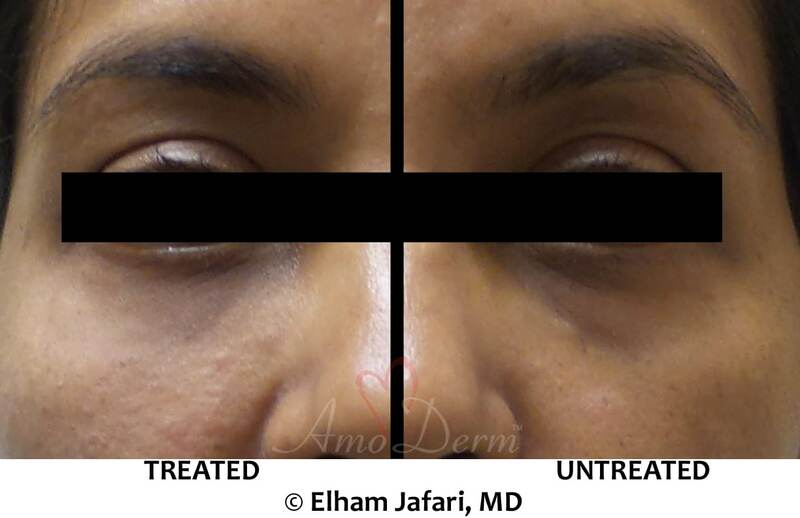 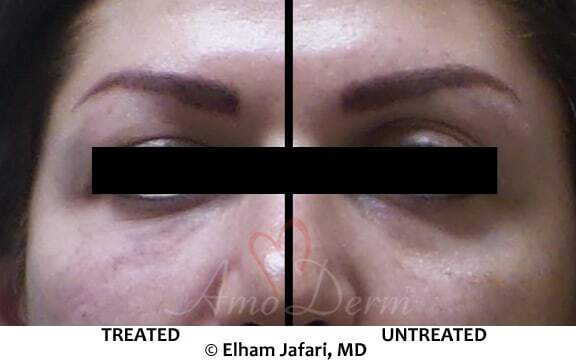 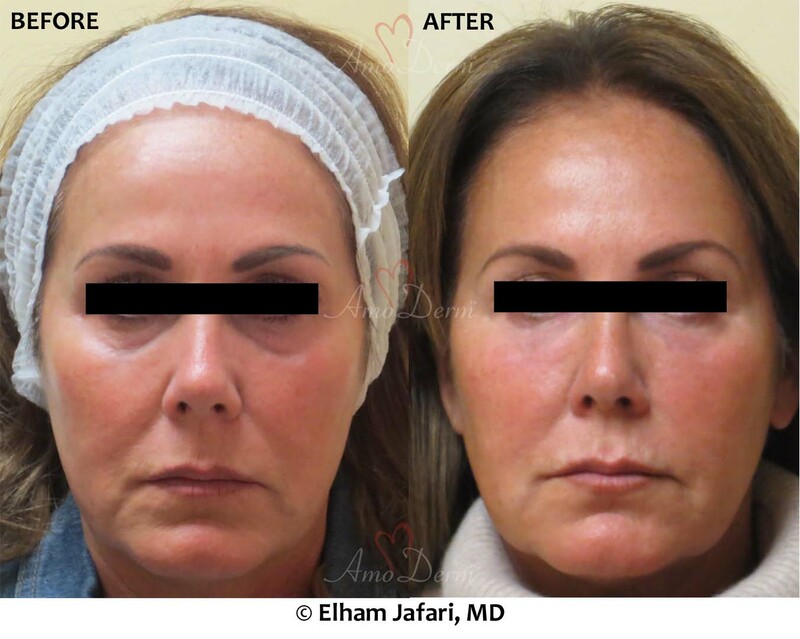 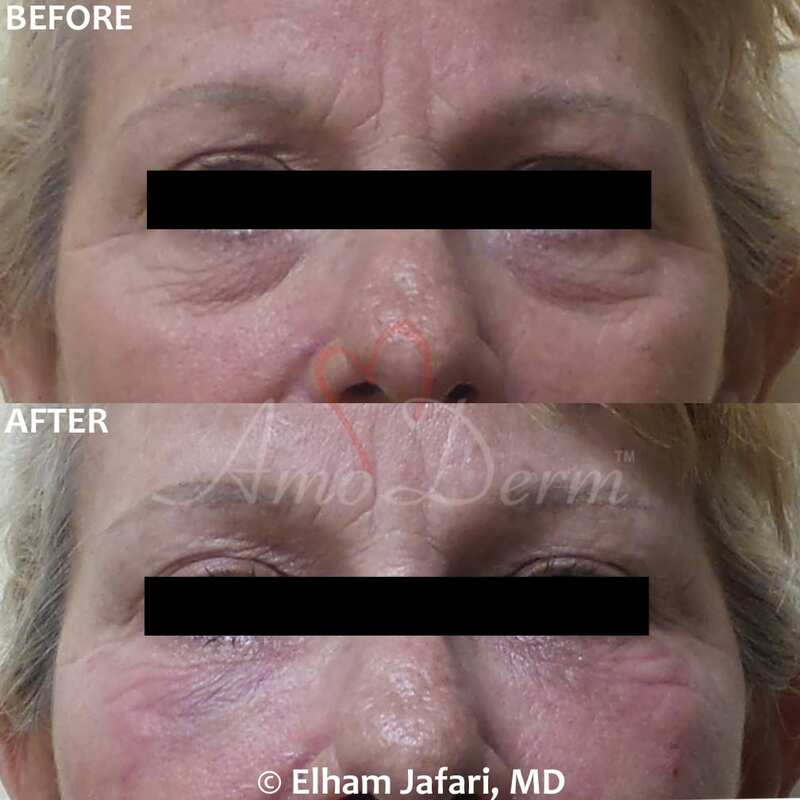 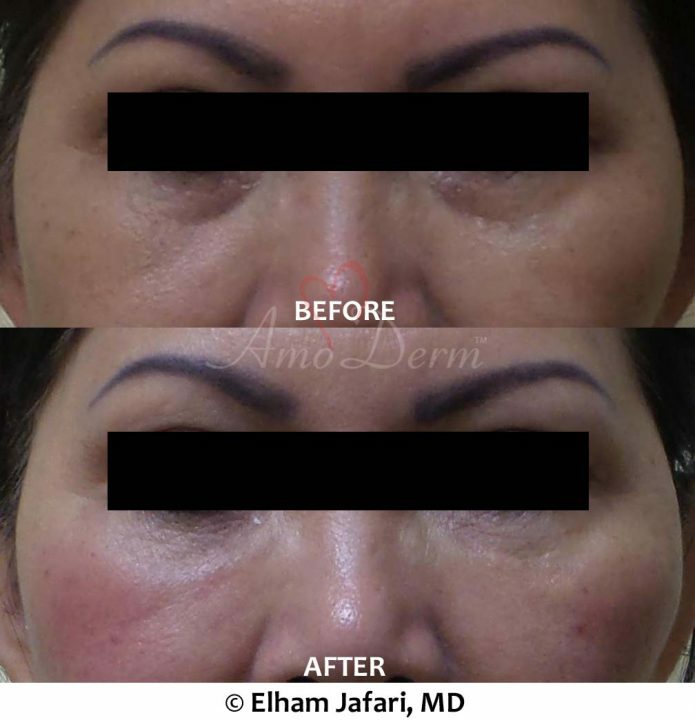 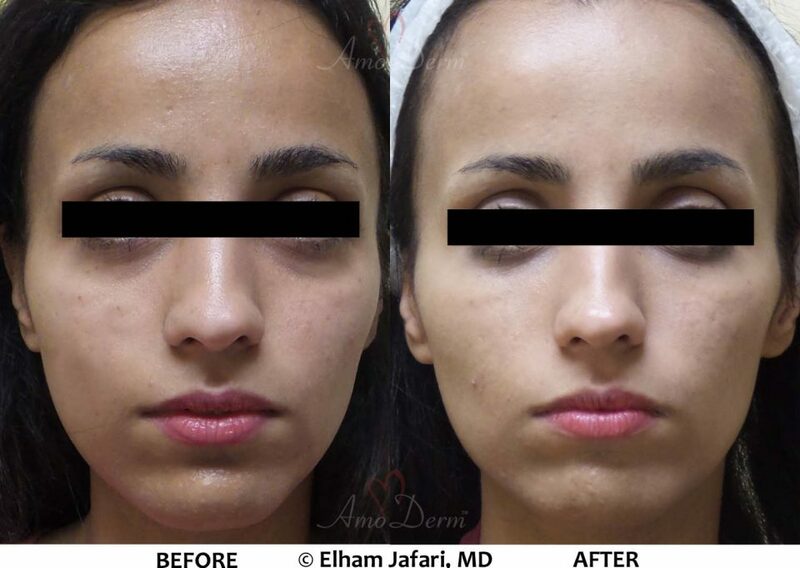 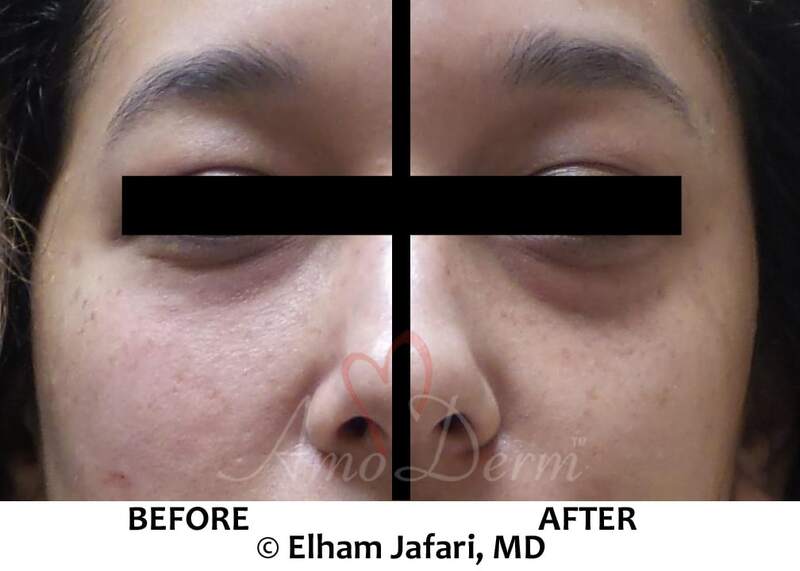 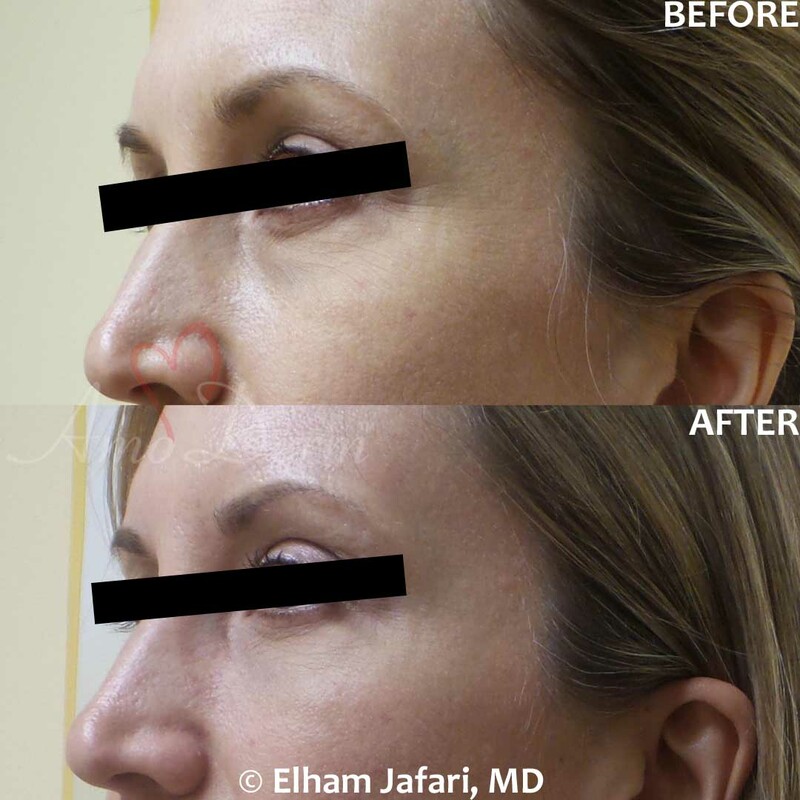 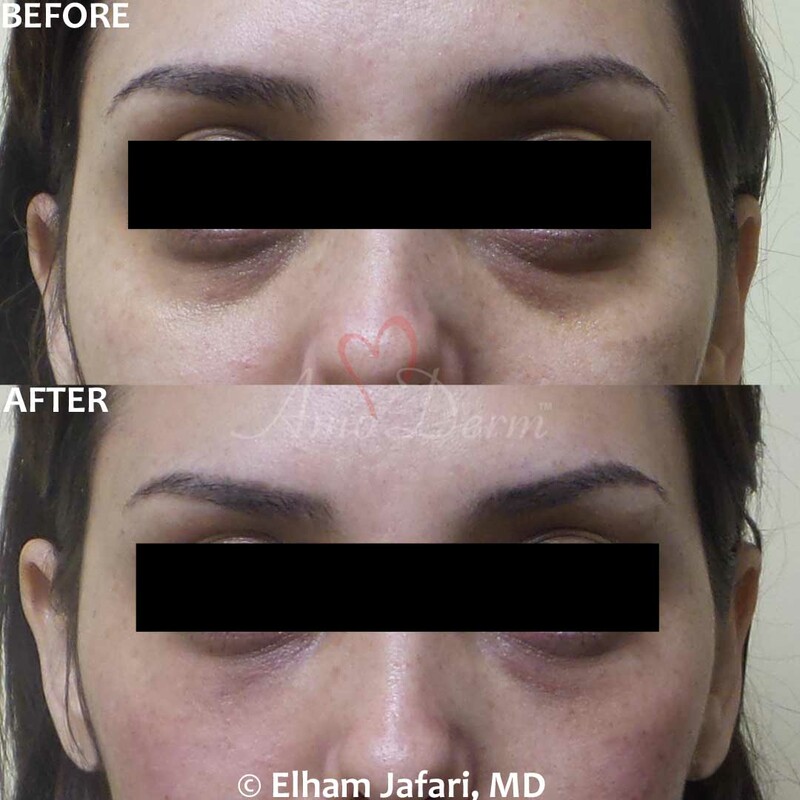 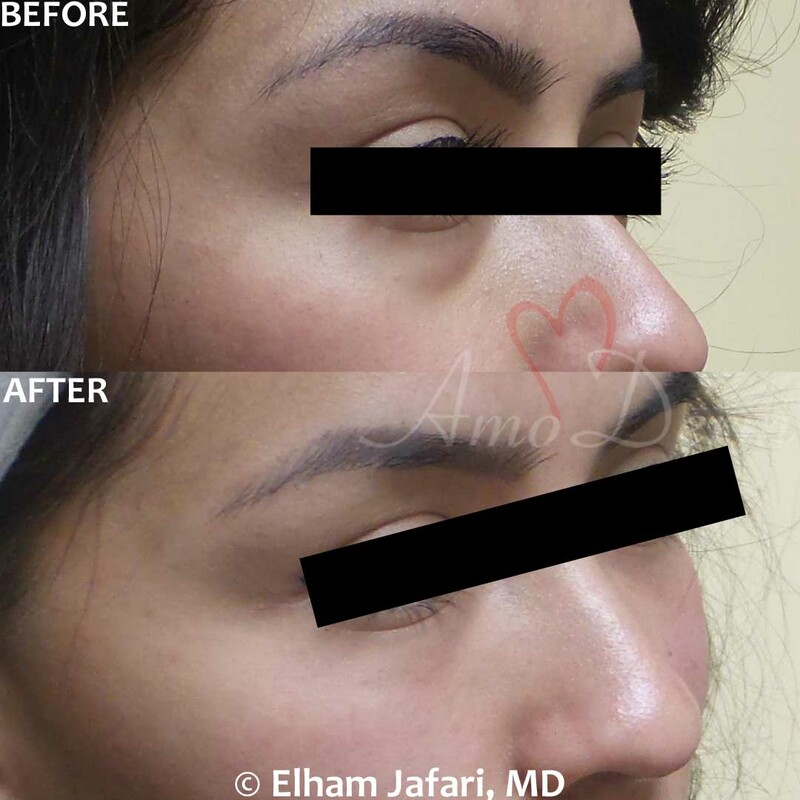 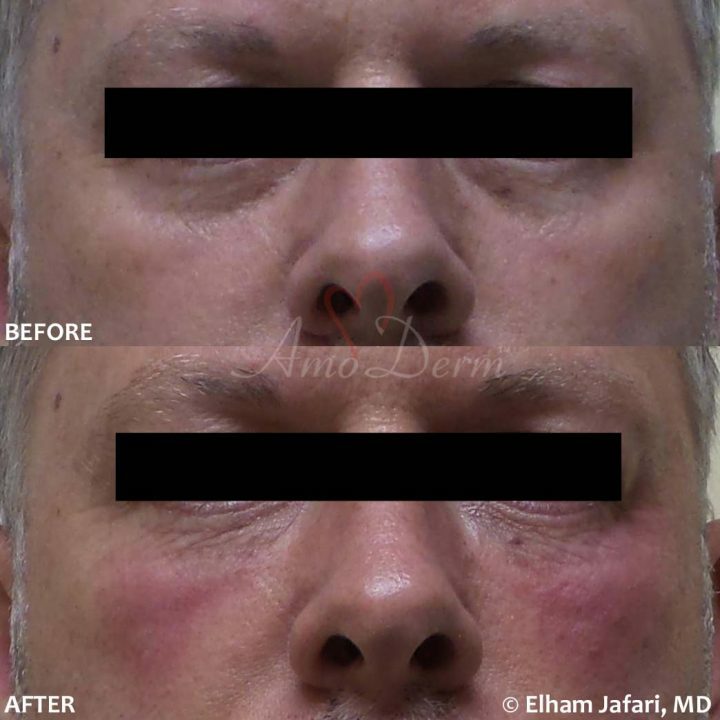 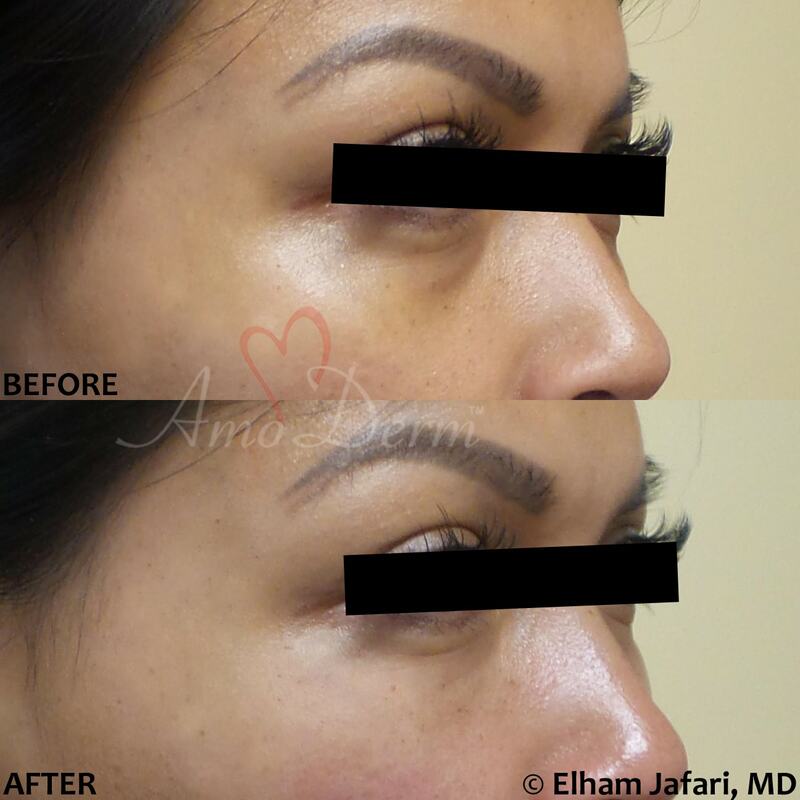 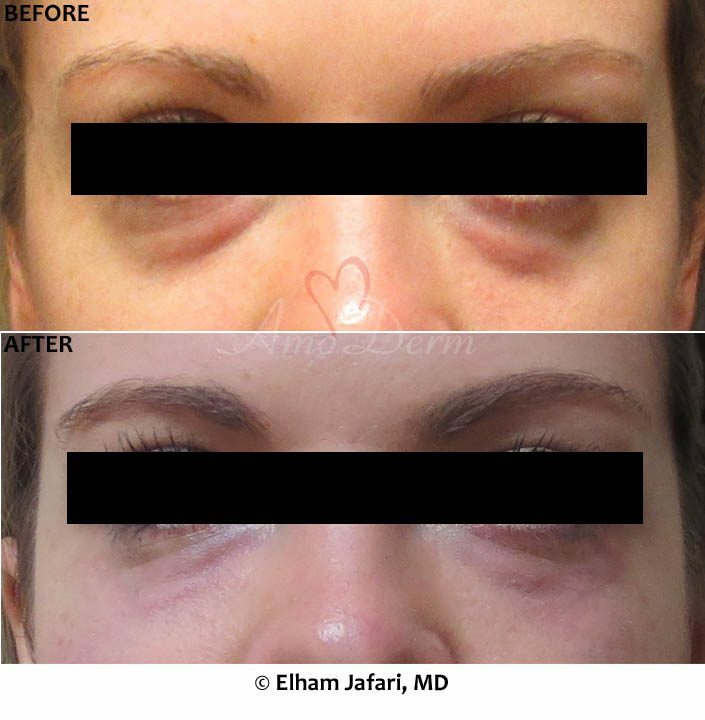 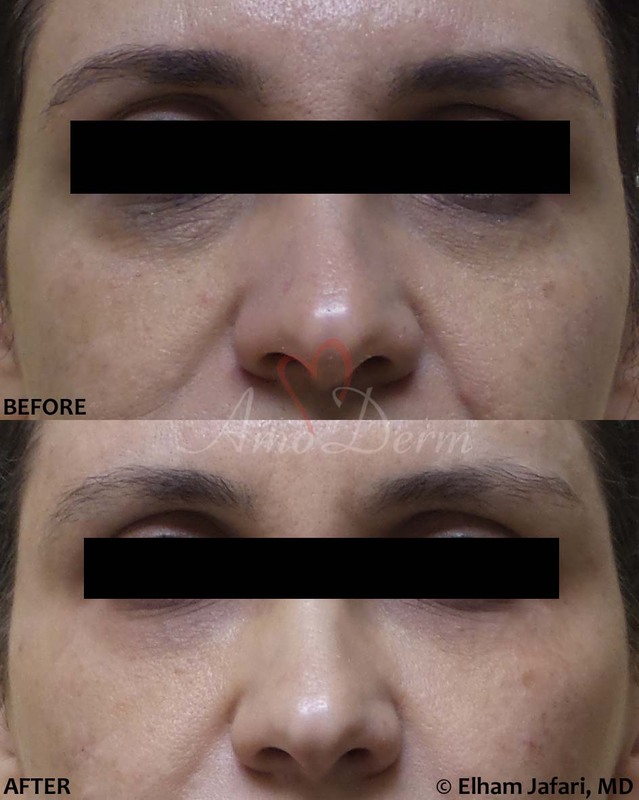 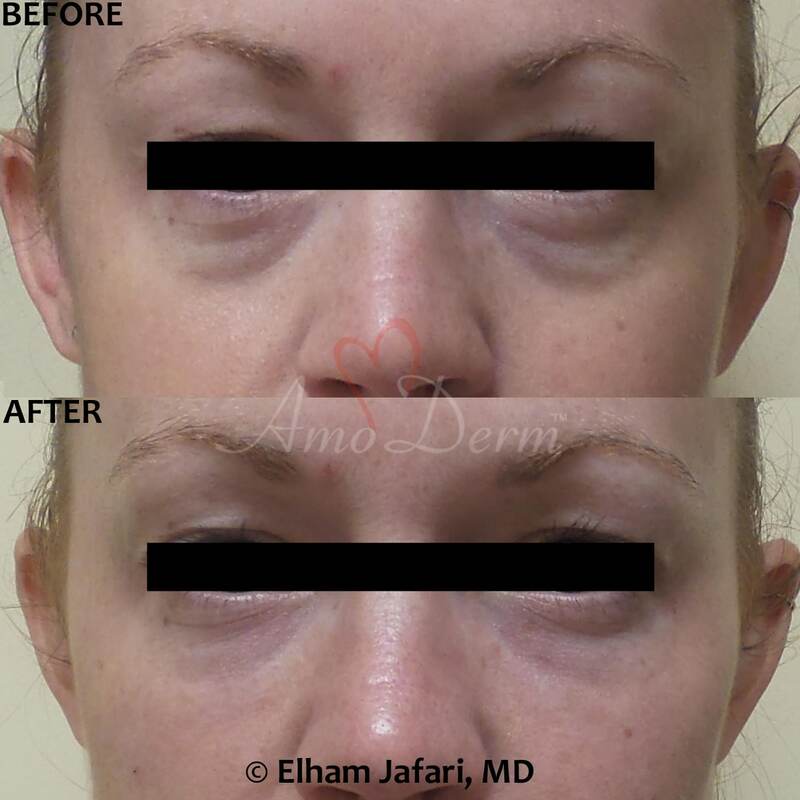 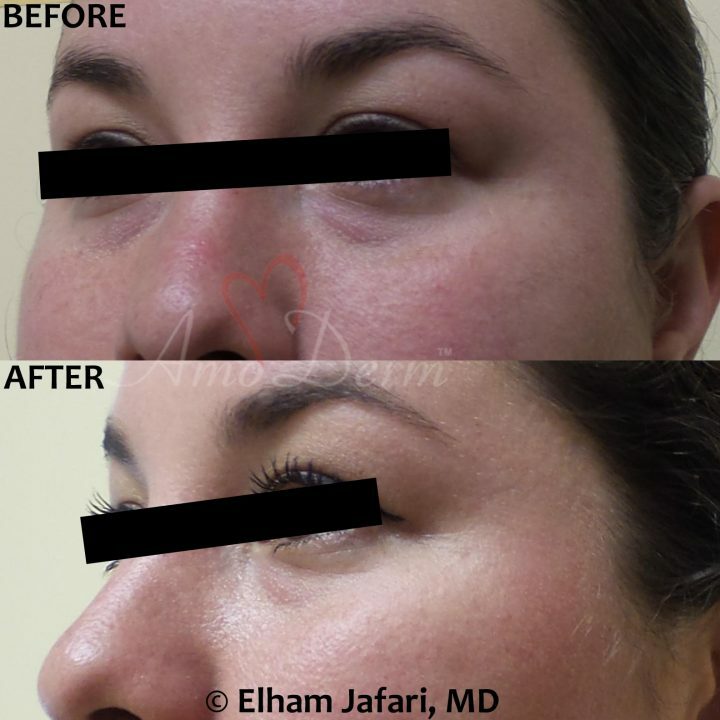 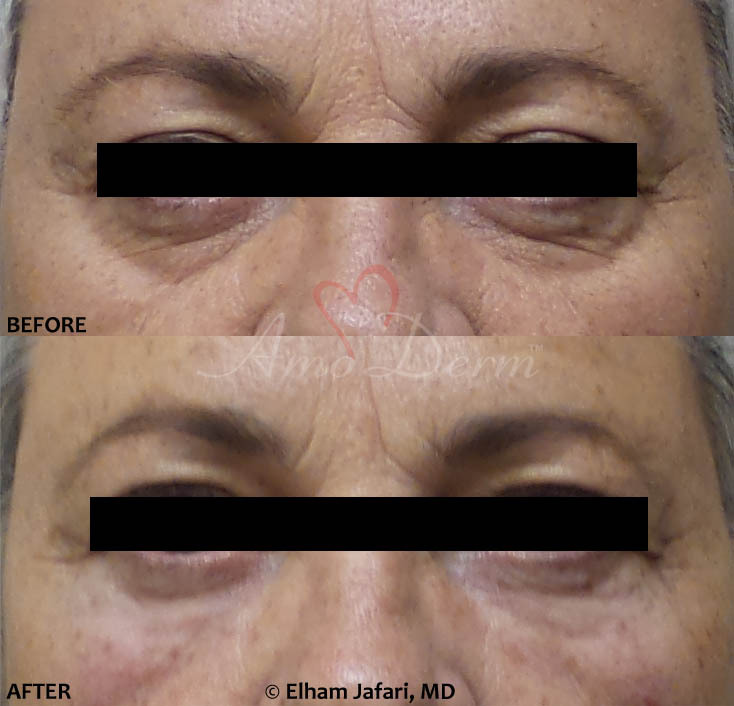 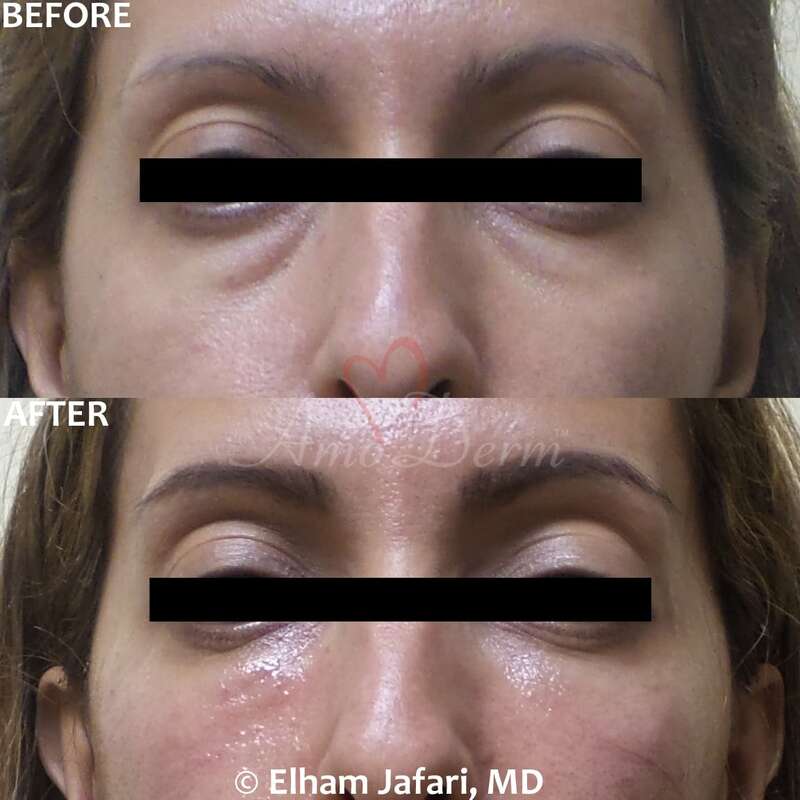 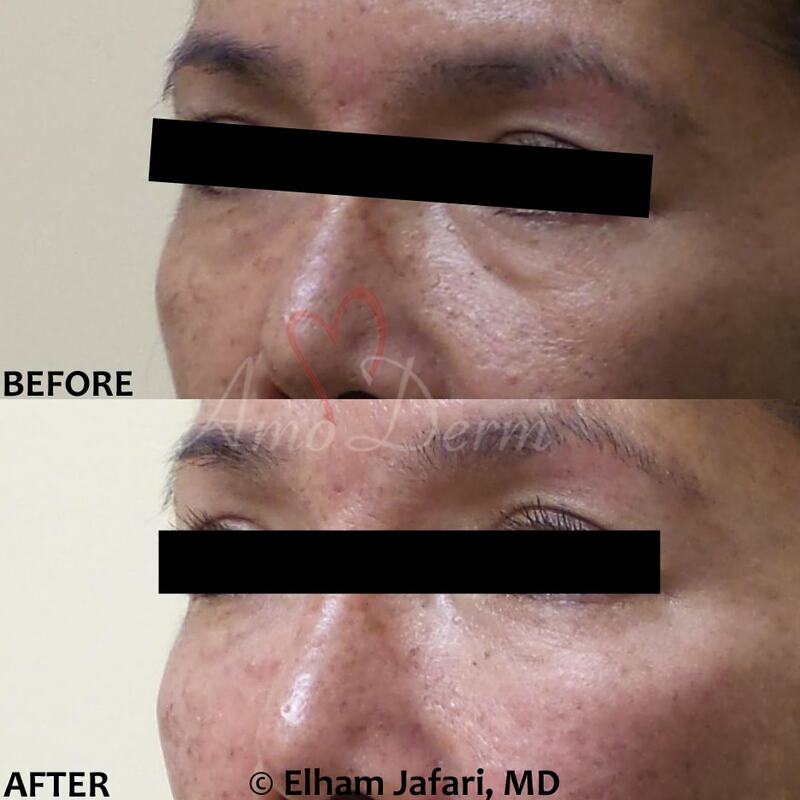 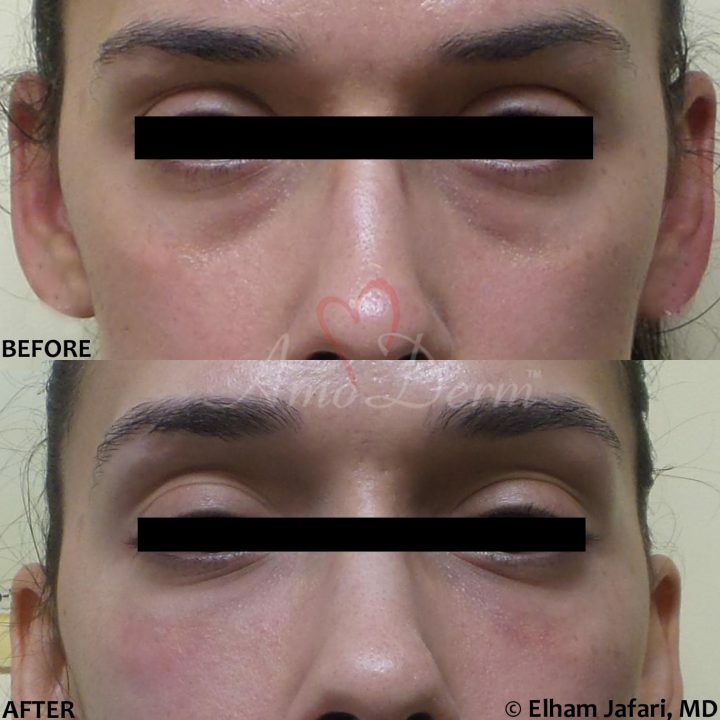 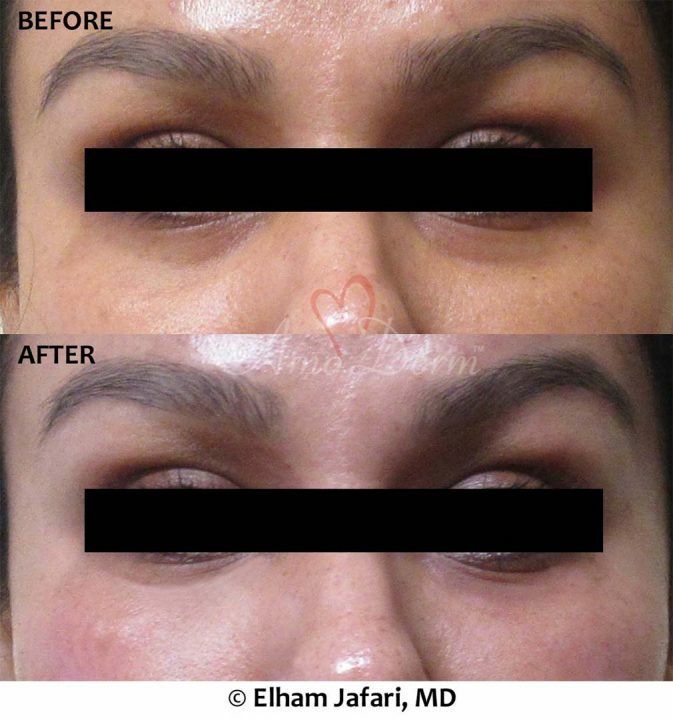 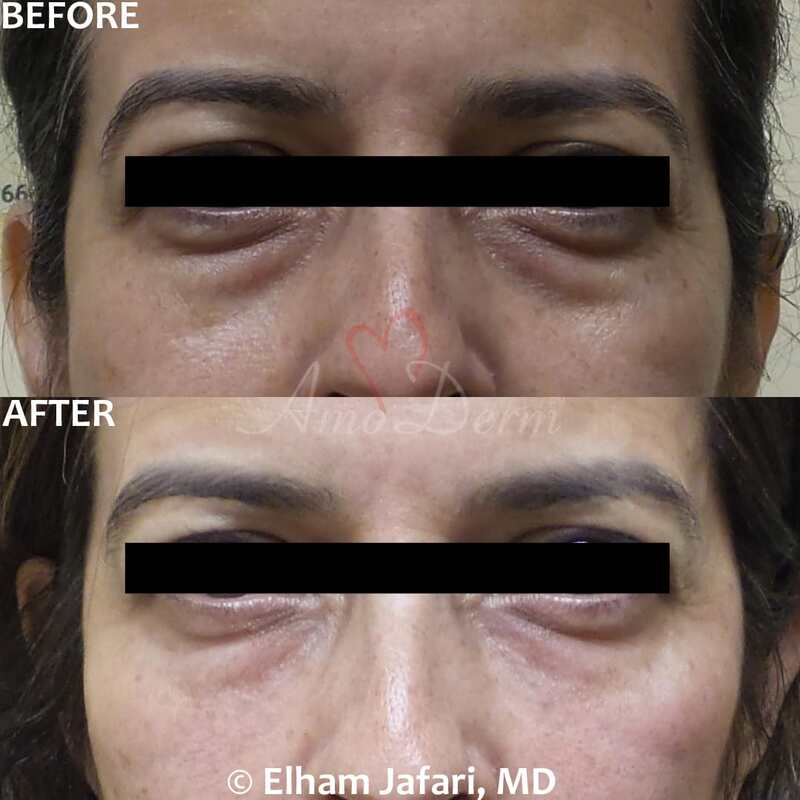 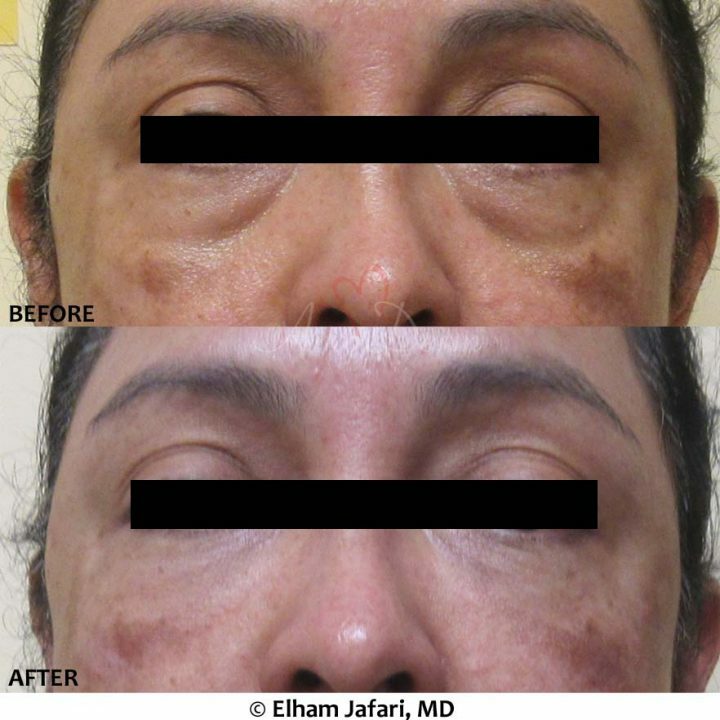 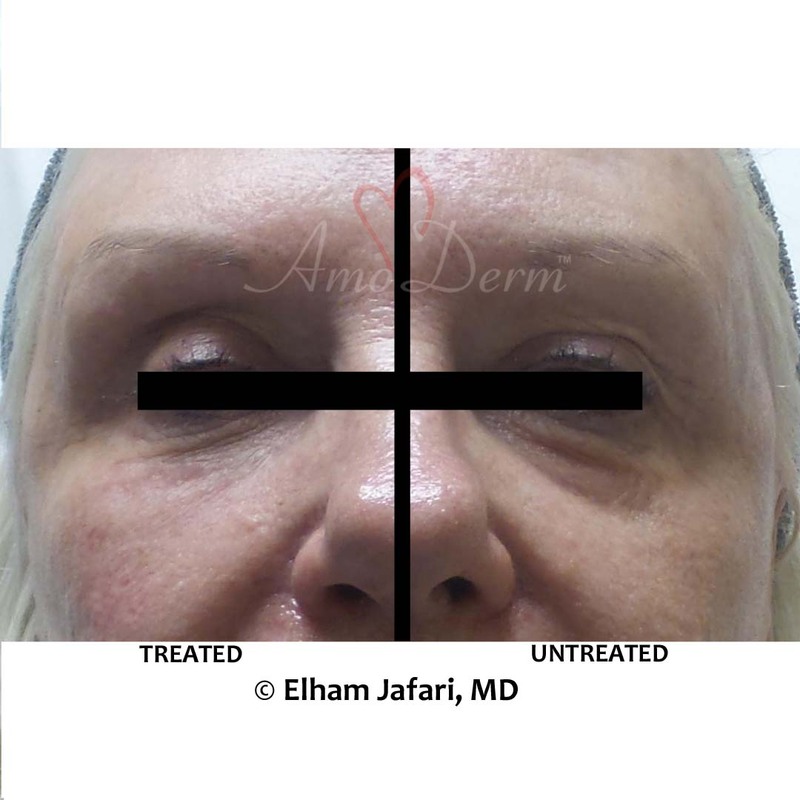 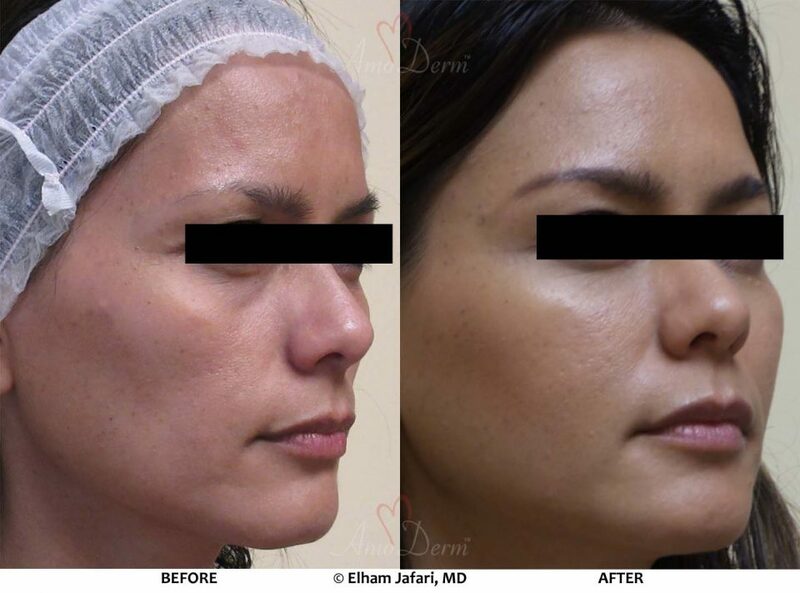 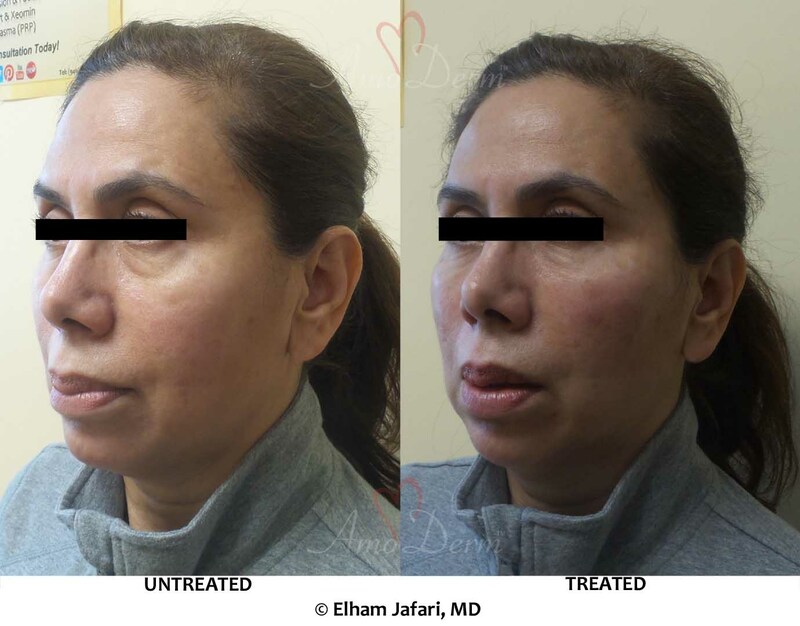 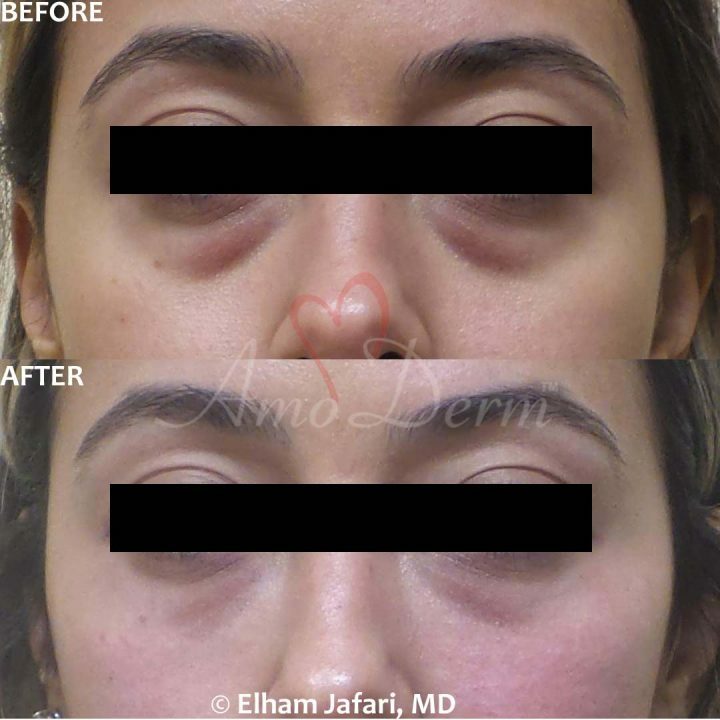 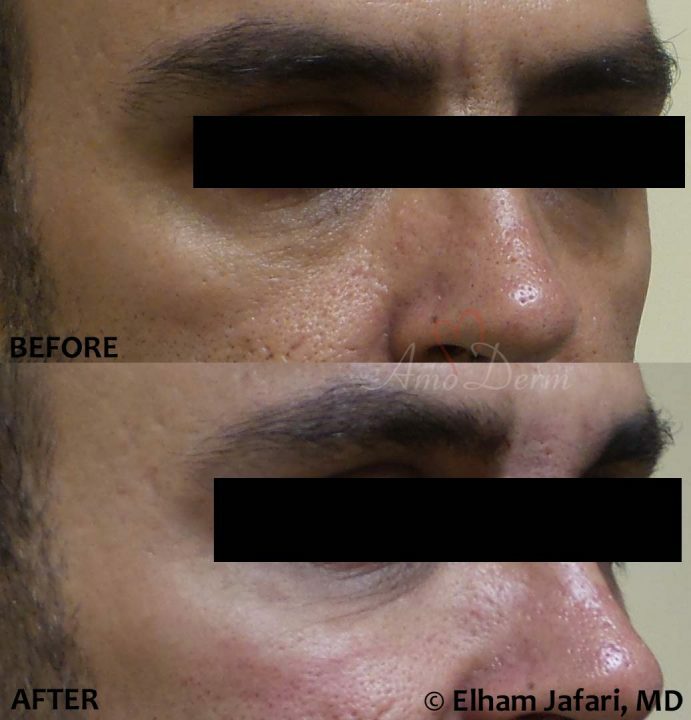 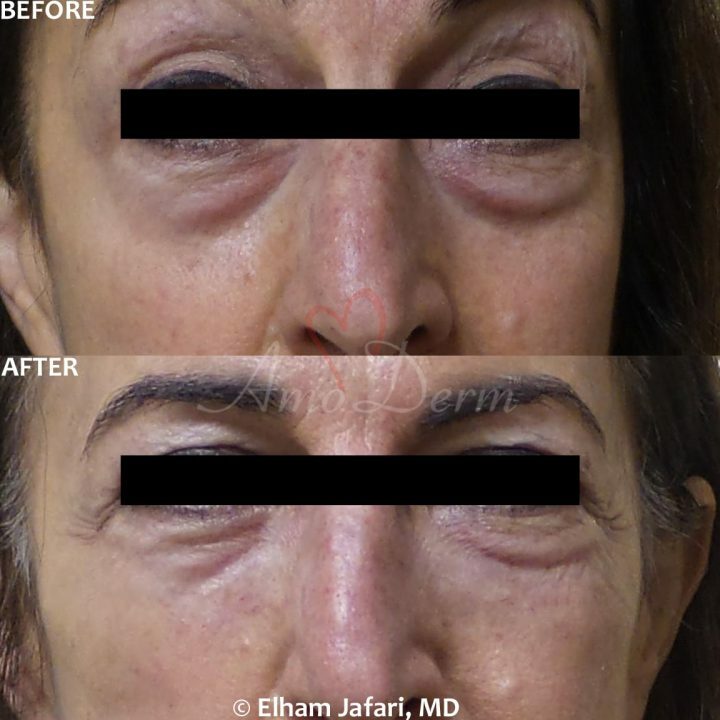 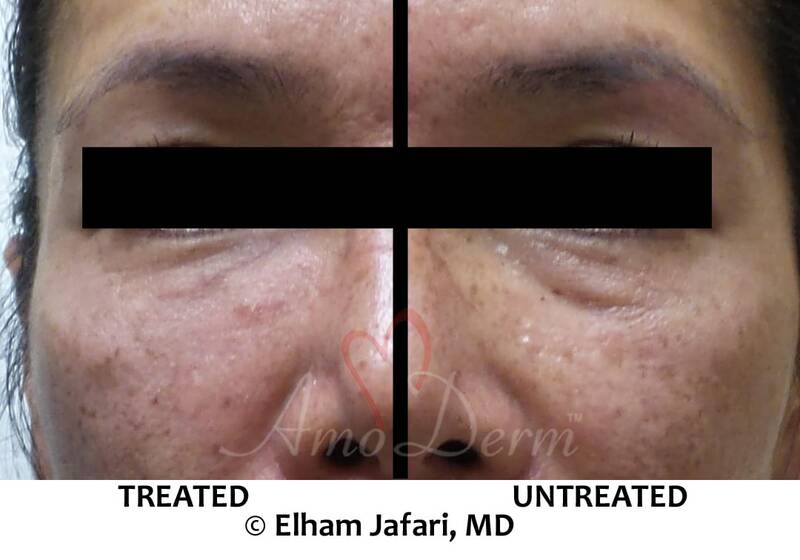 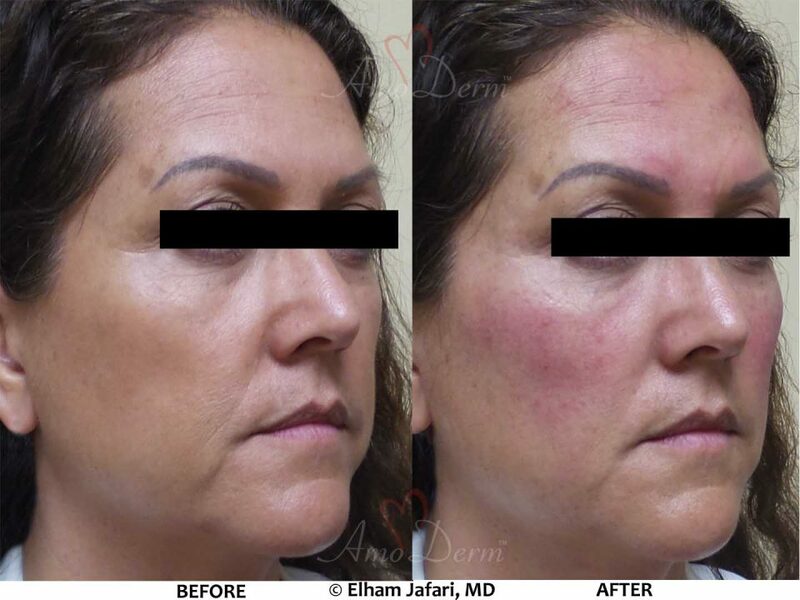 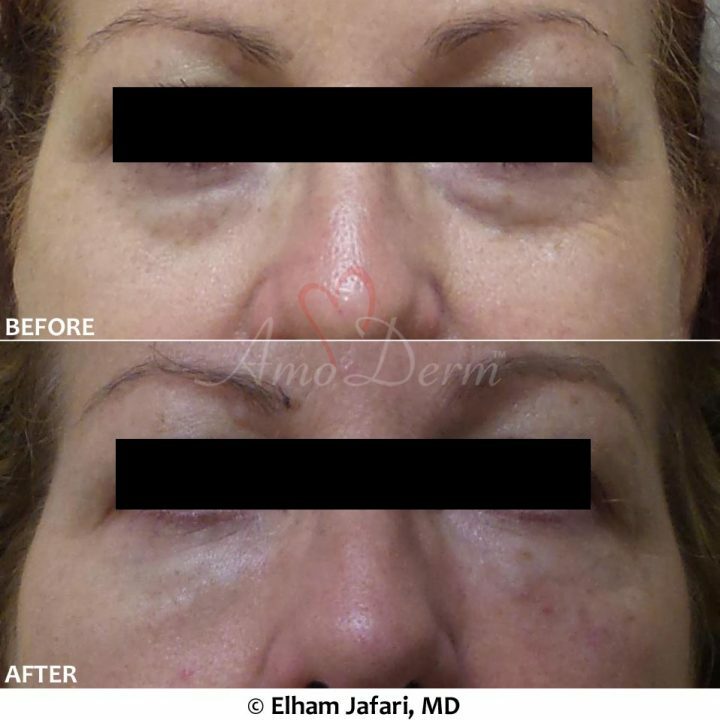 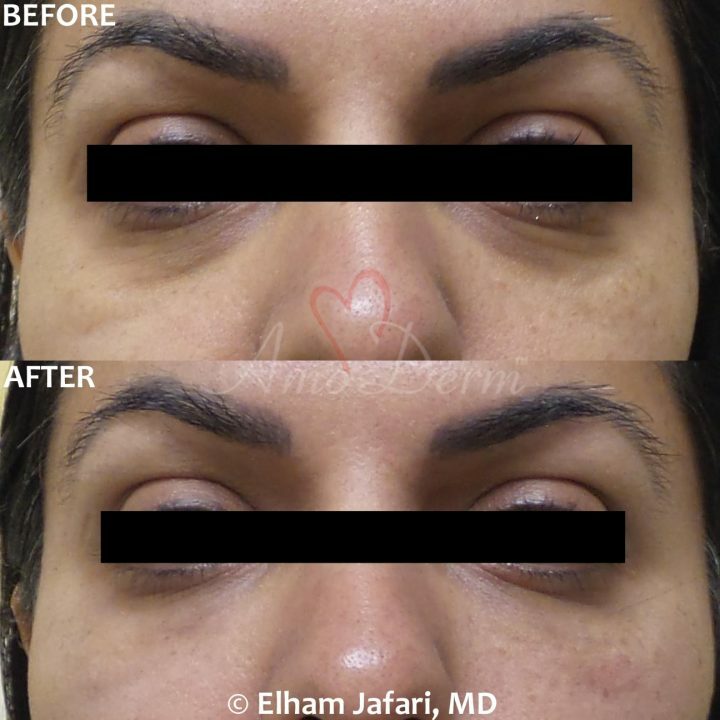 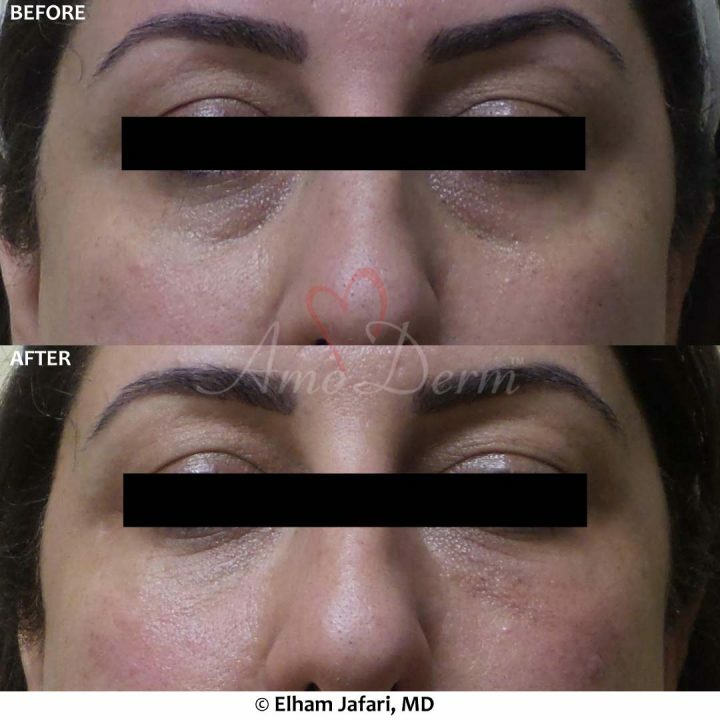 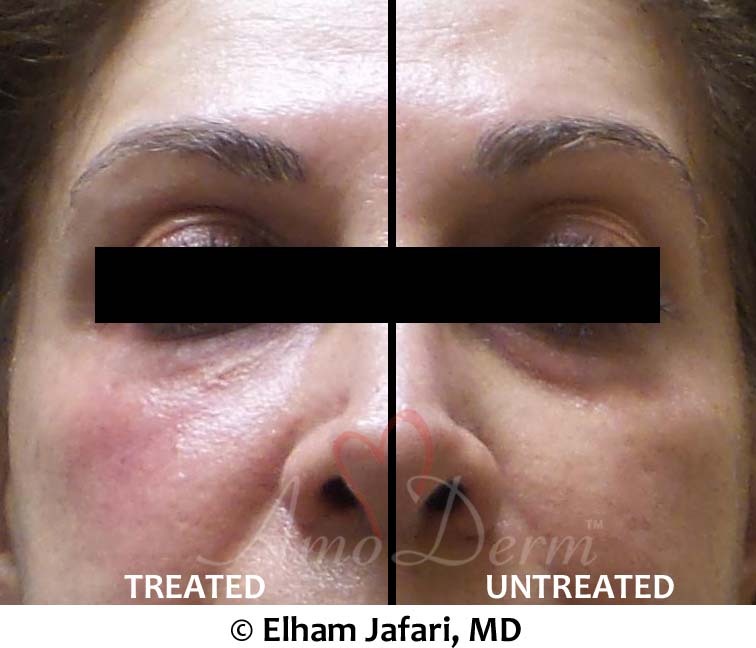 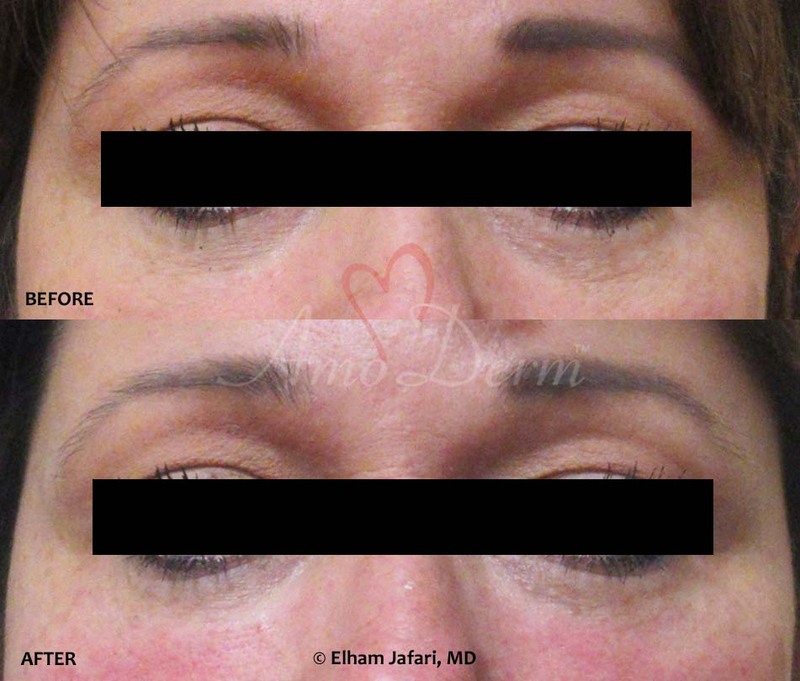 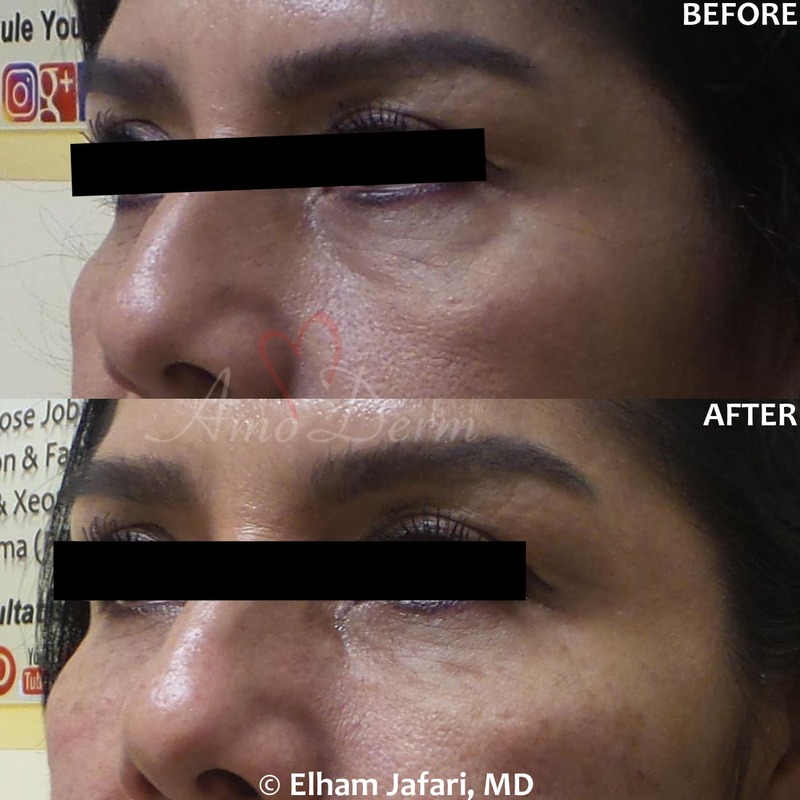 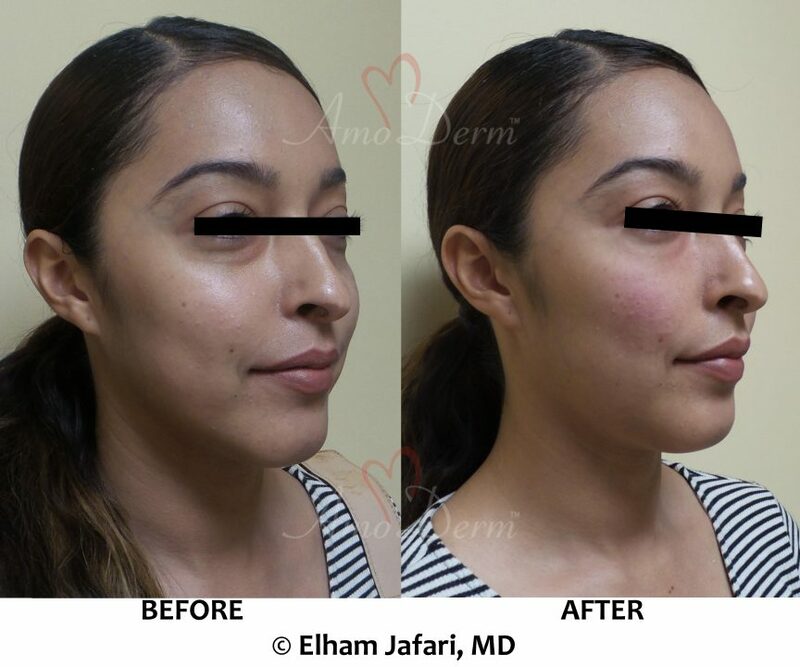 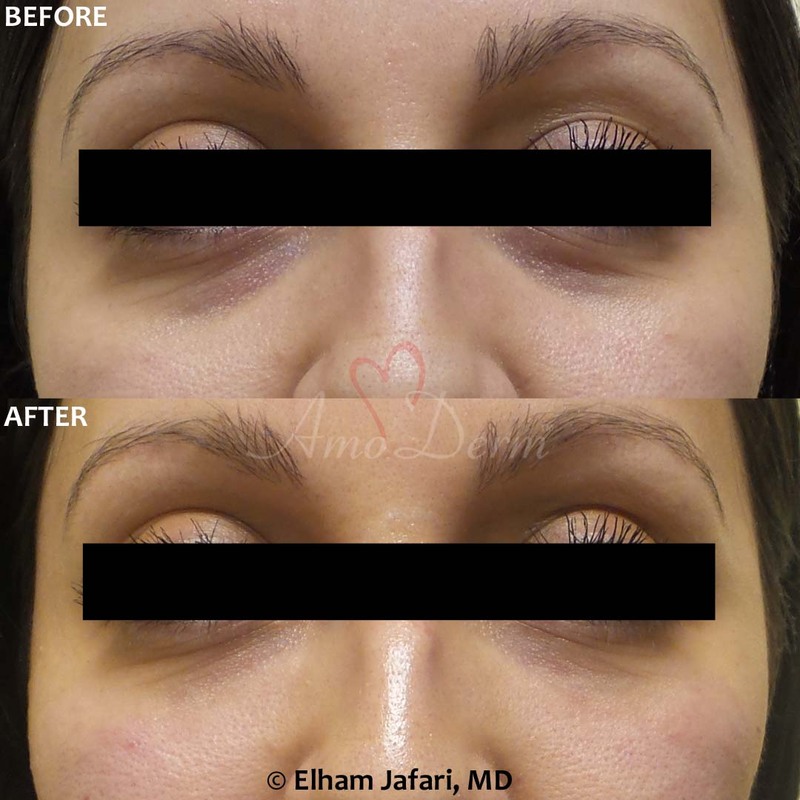 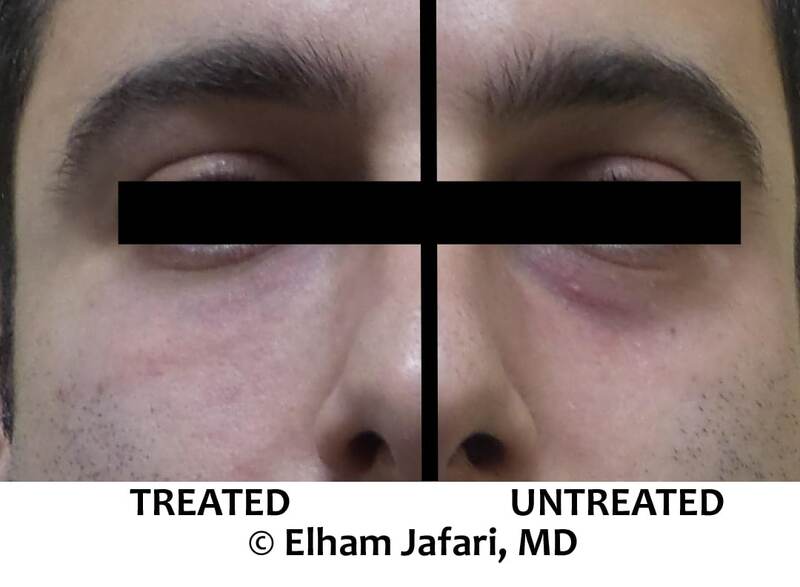 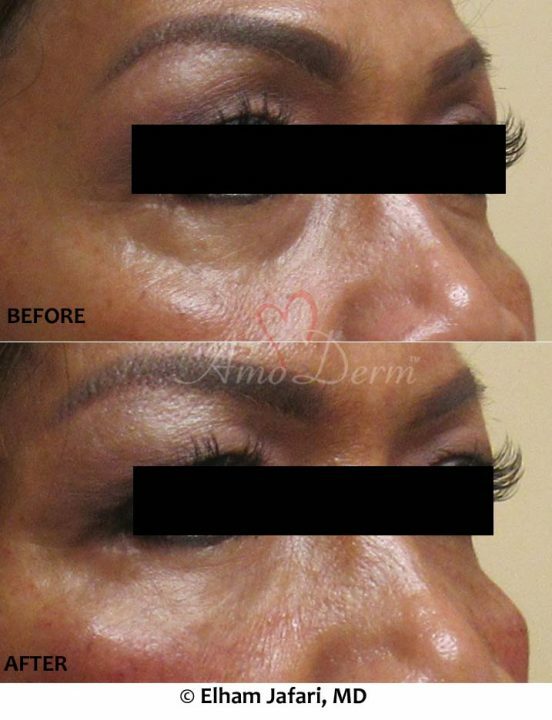 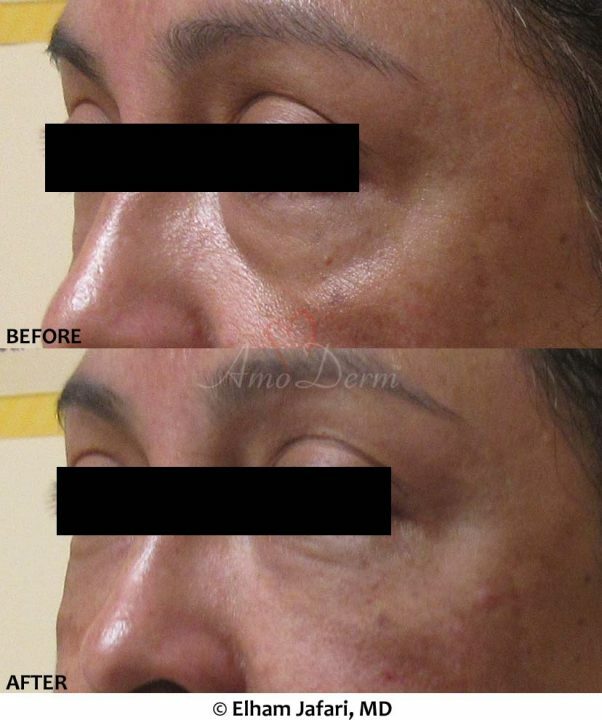 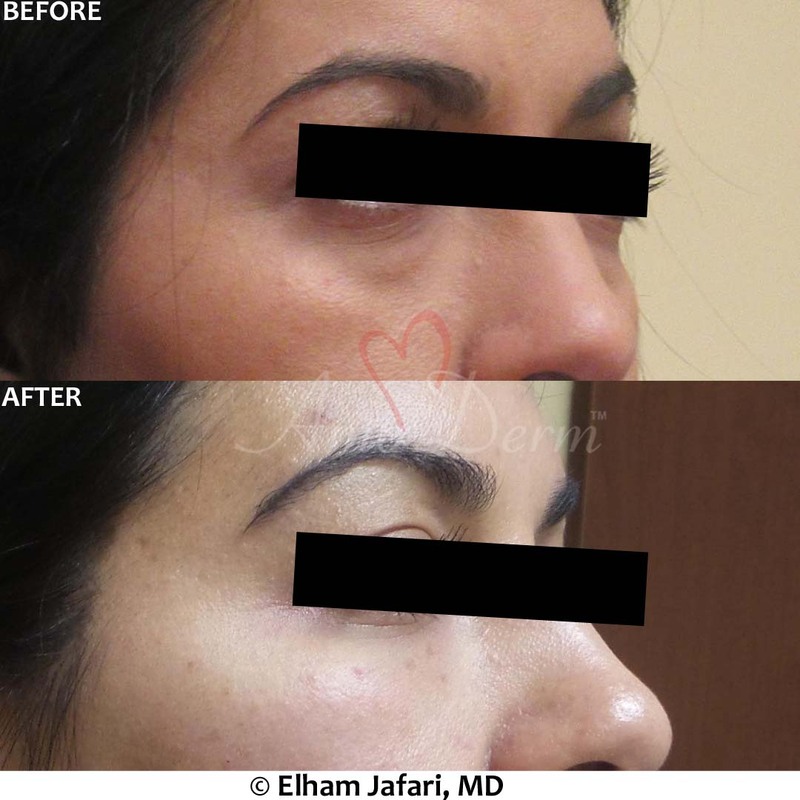 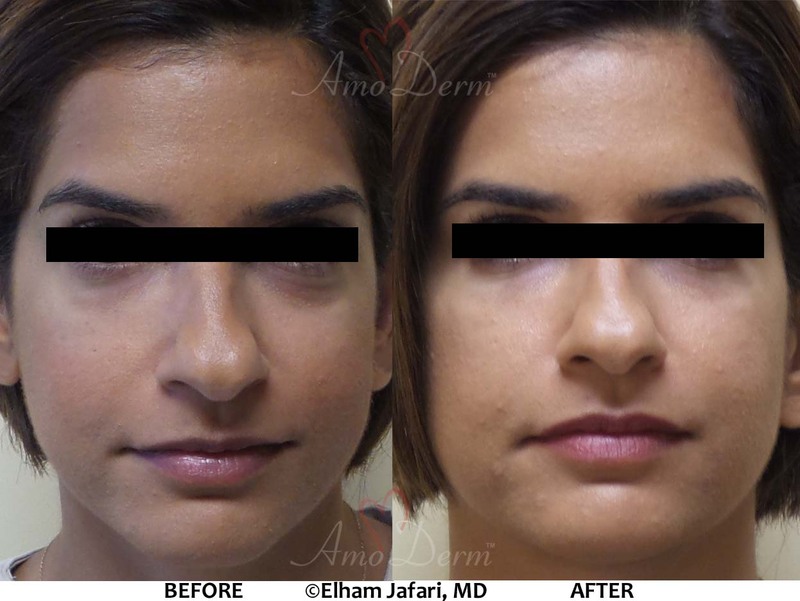 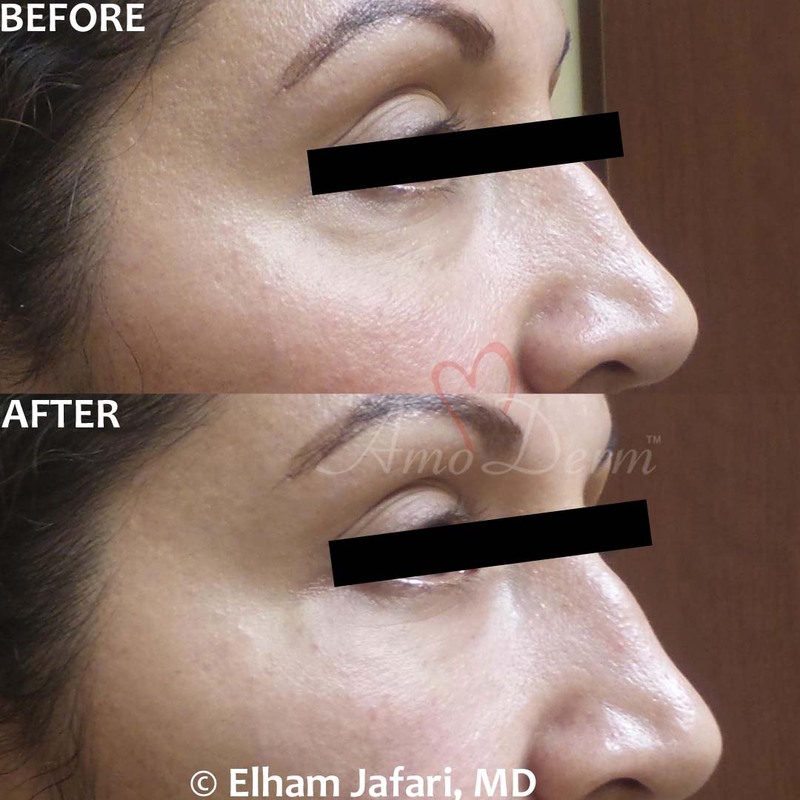 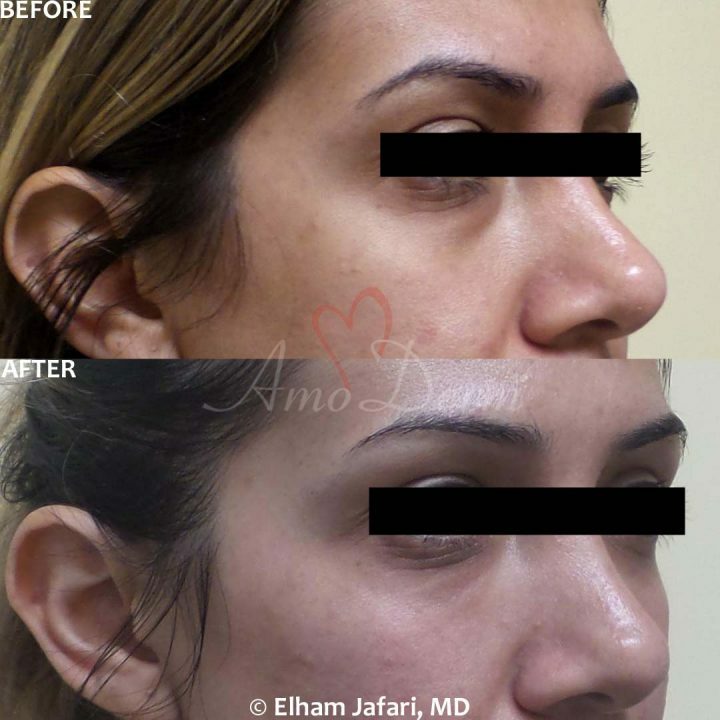 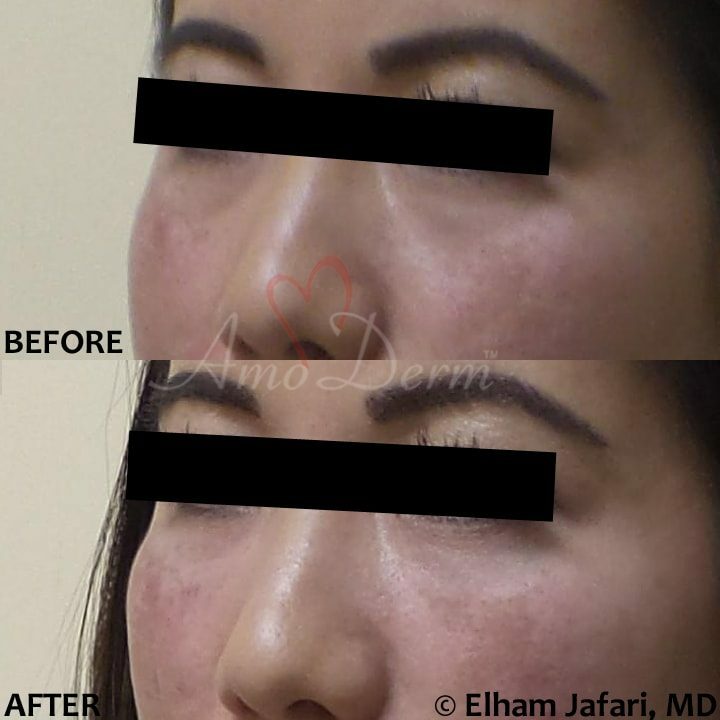 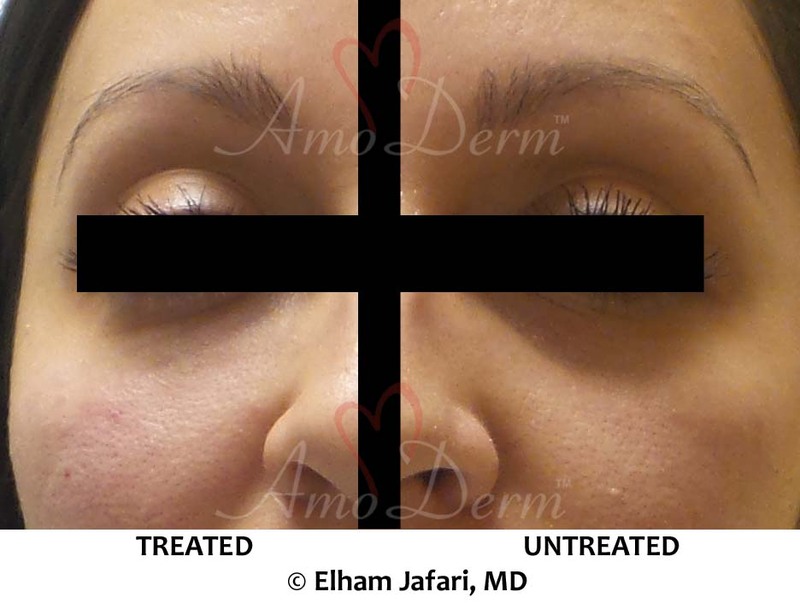 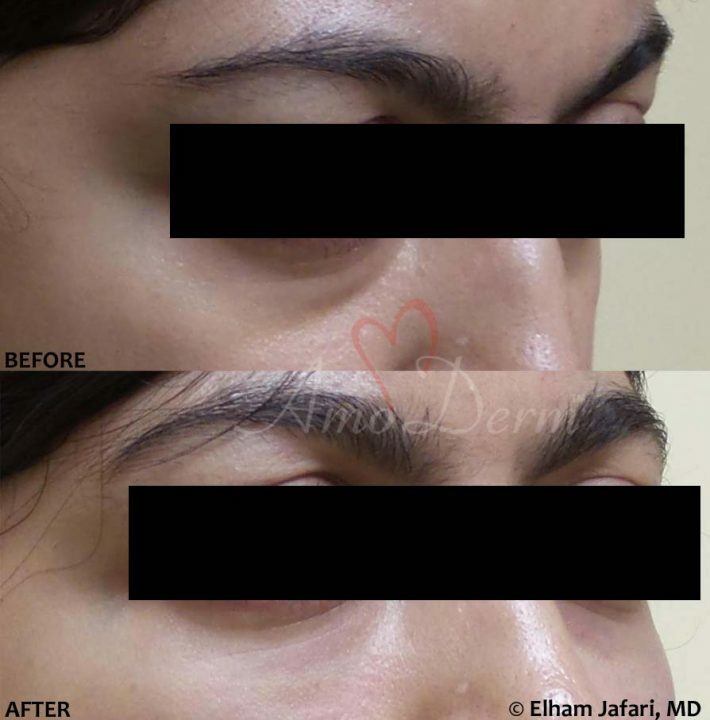 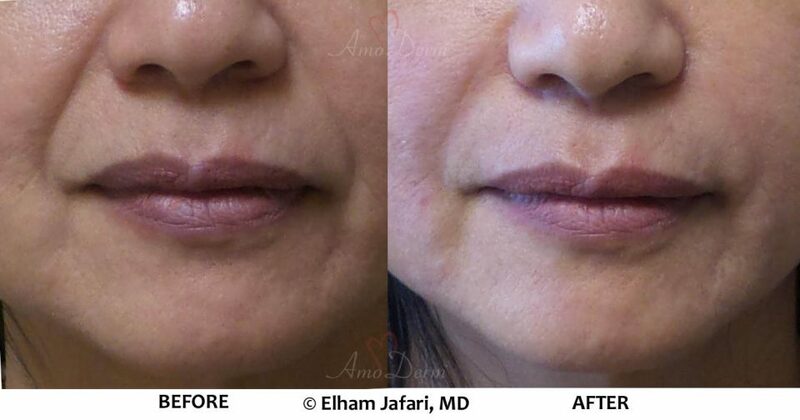 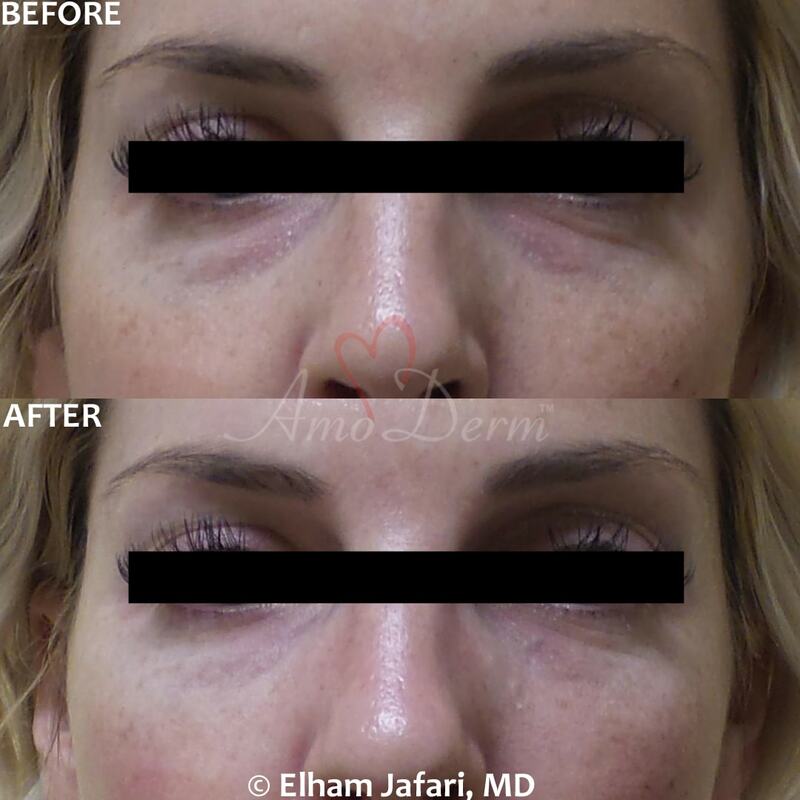 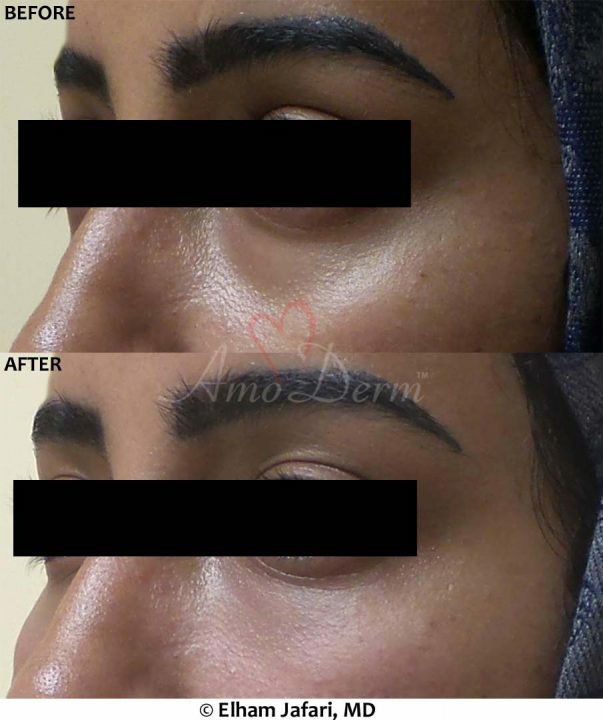 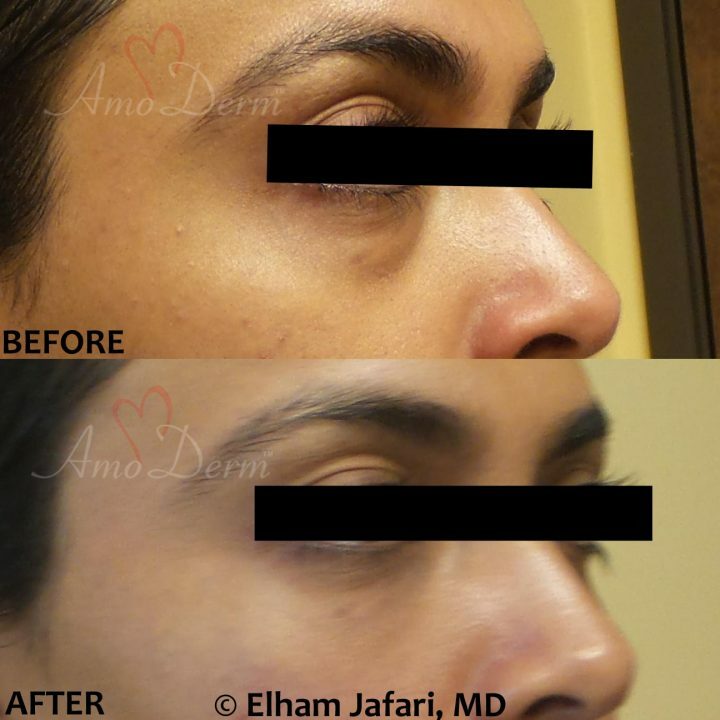 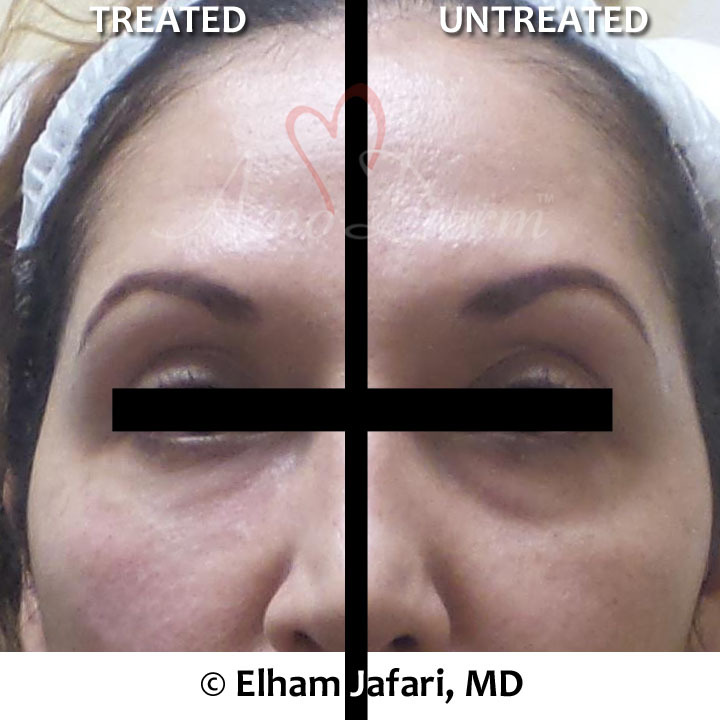 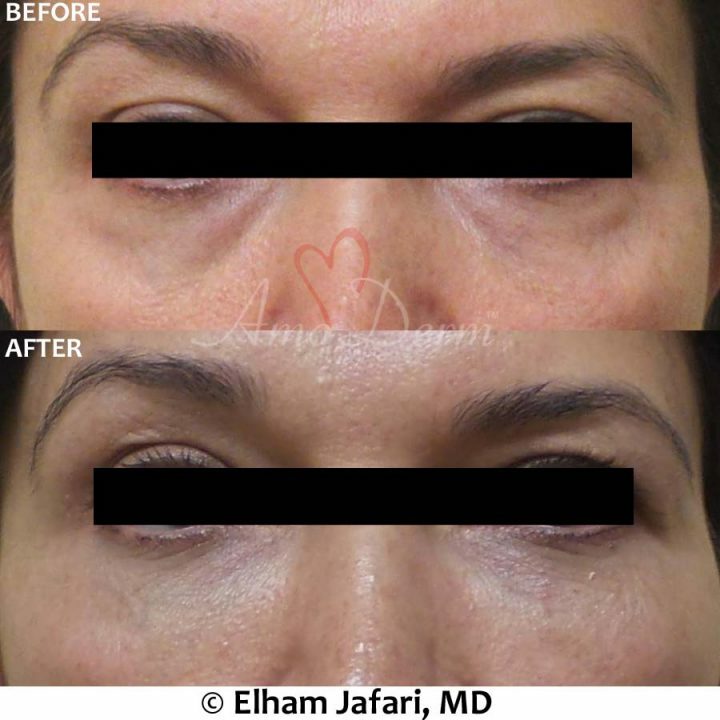 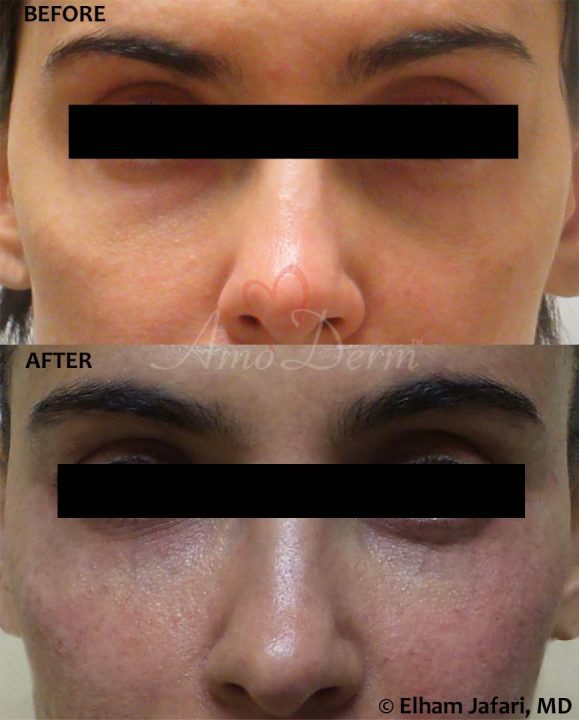 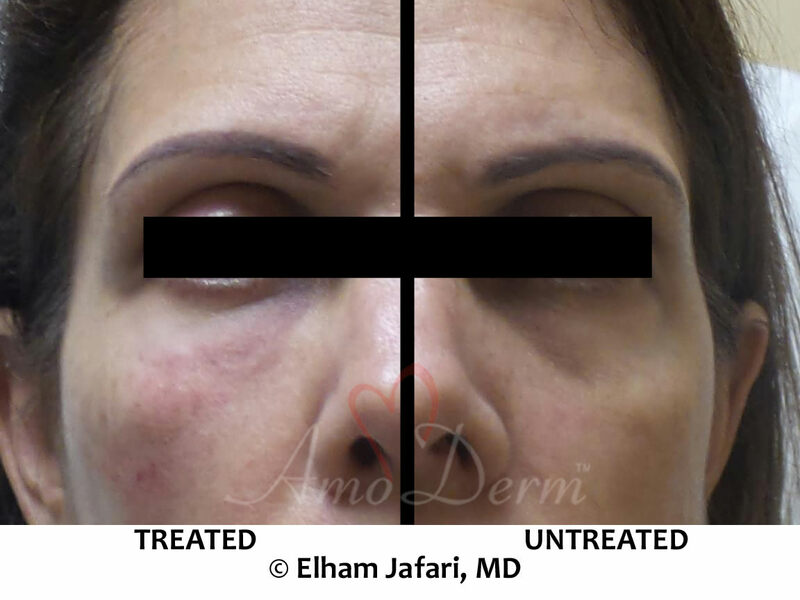 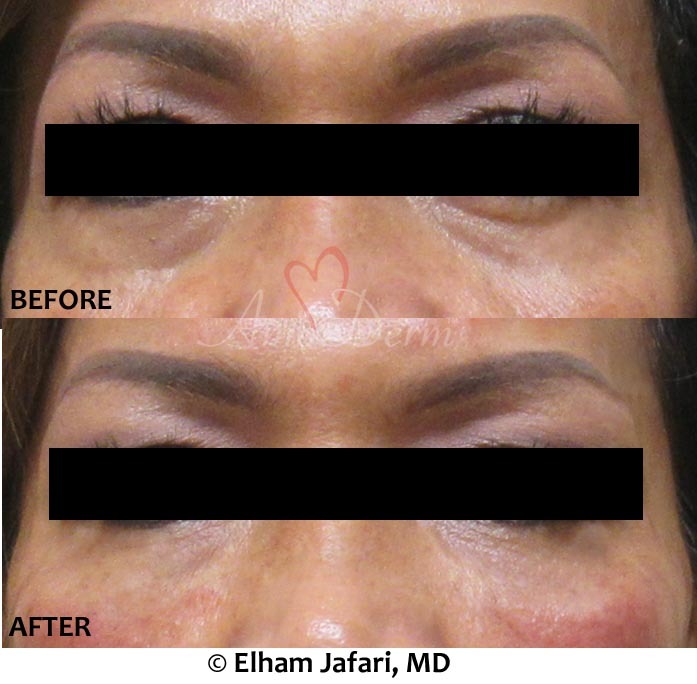 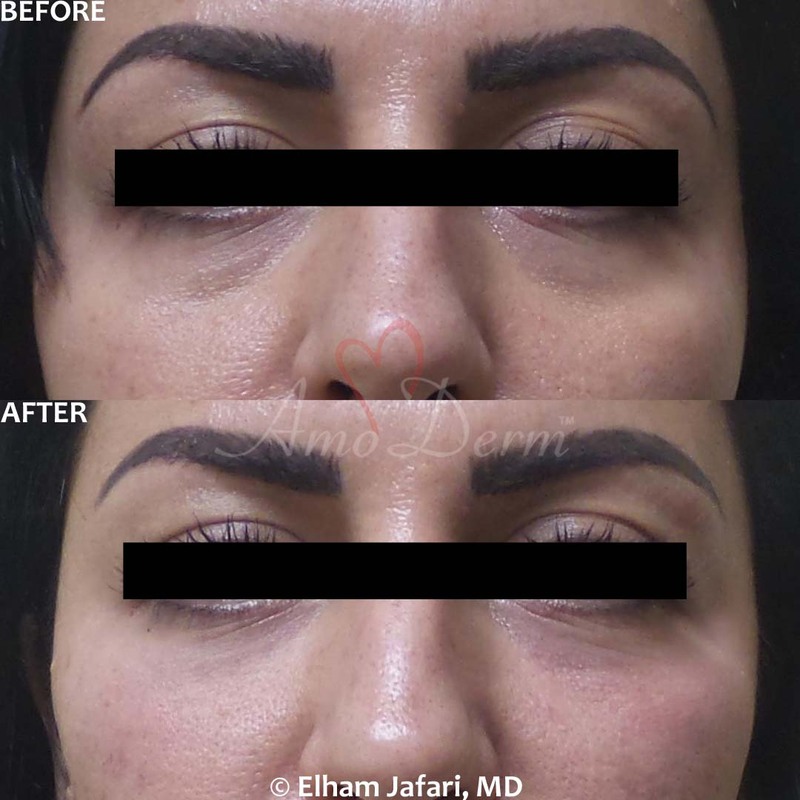 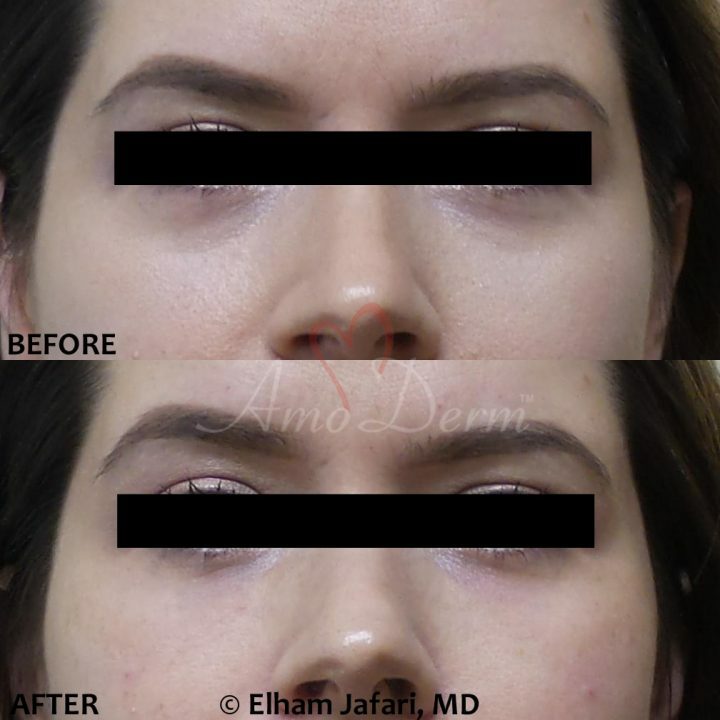 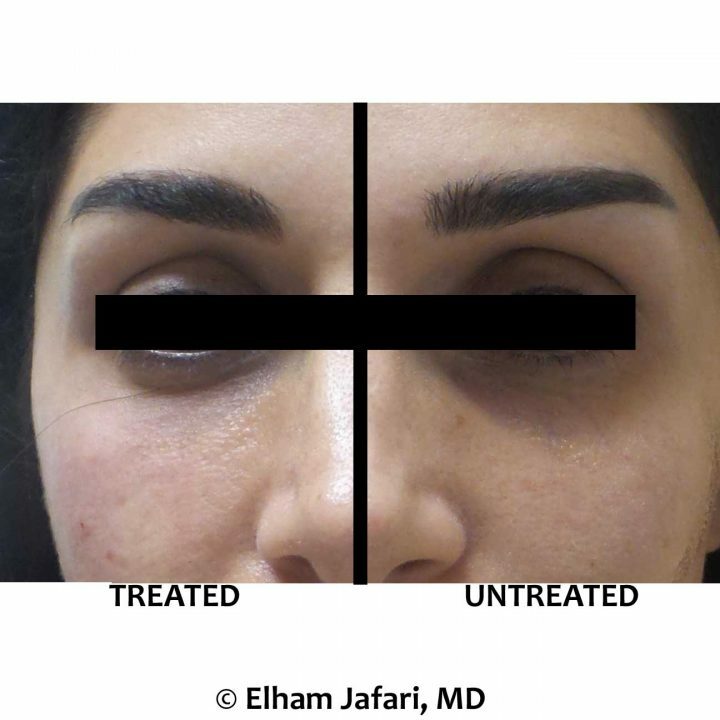 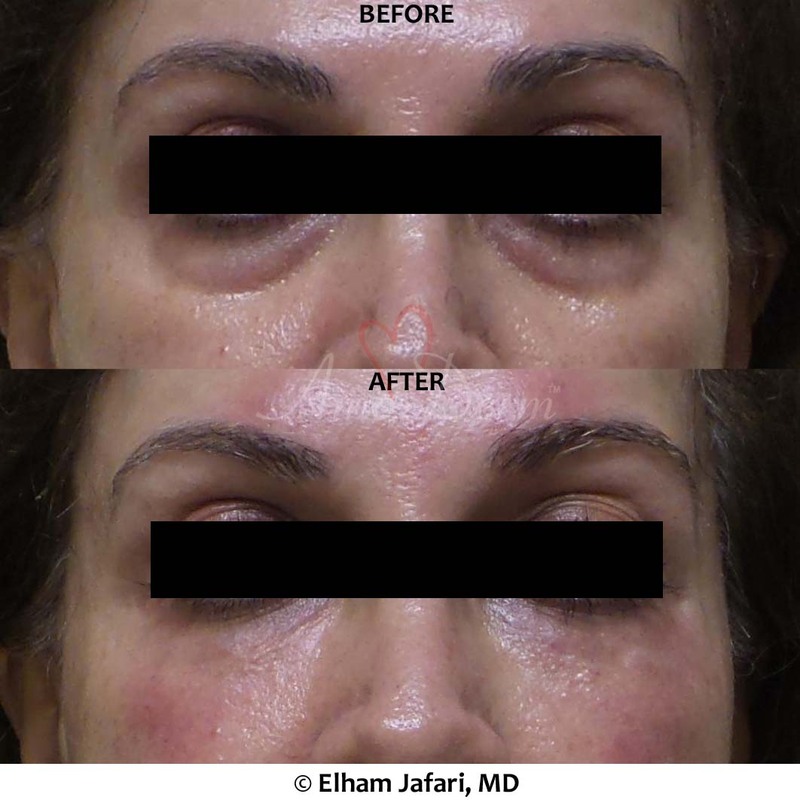 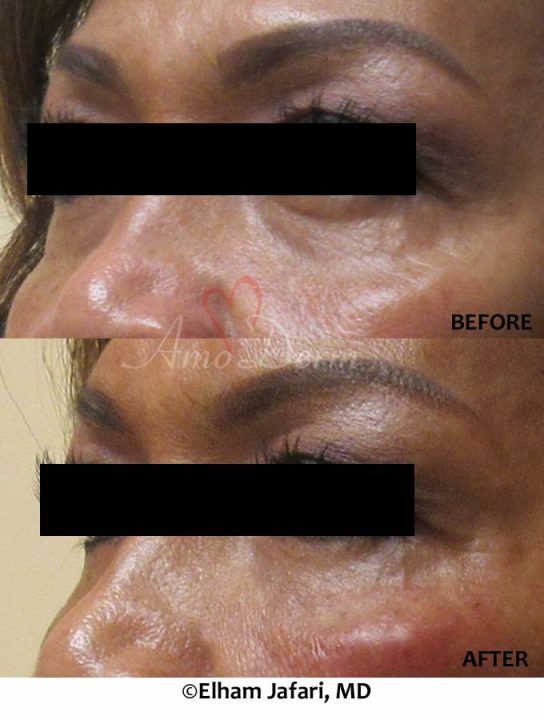 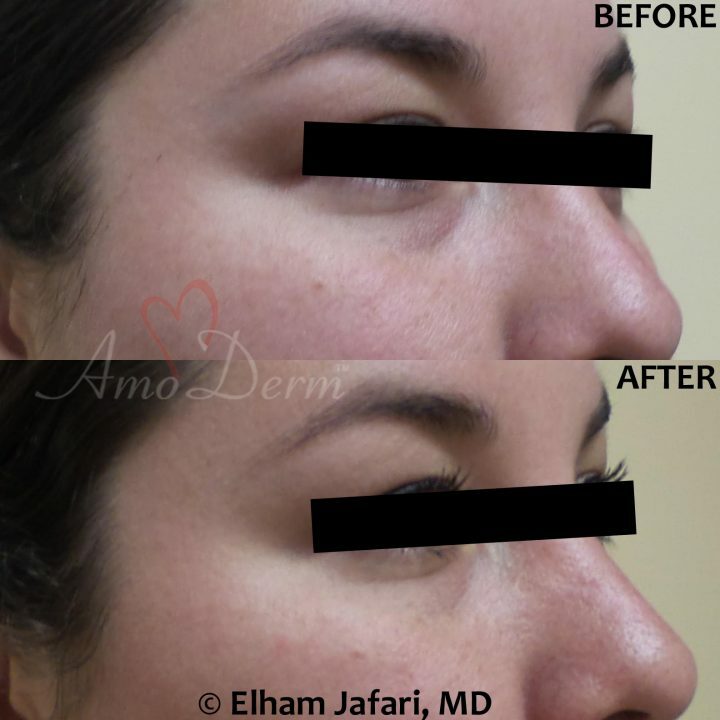 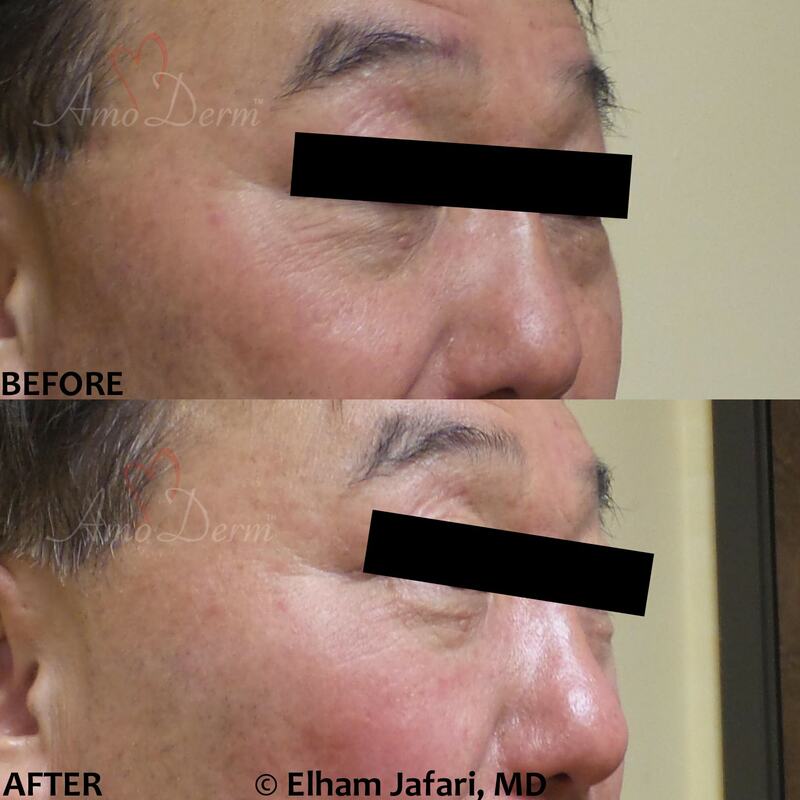 At Amoderm, Dr. Jafari uses Microcannula for most filler injections when indicated. 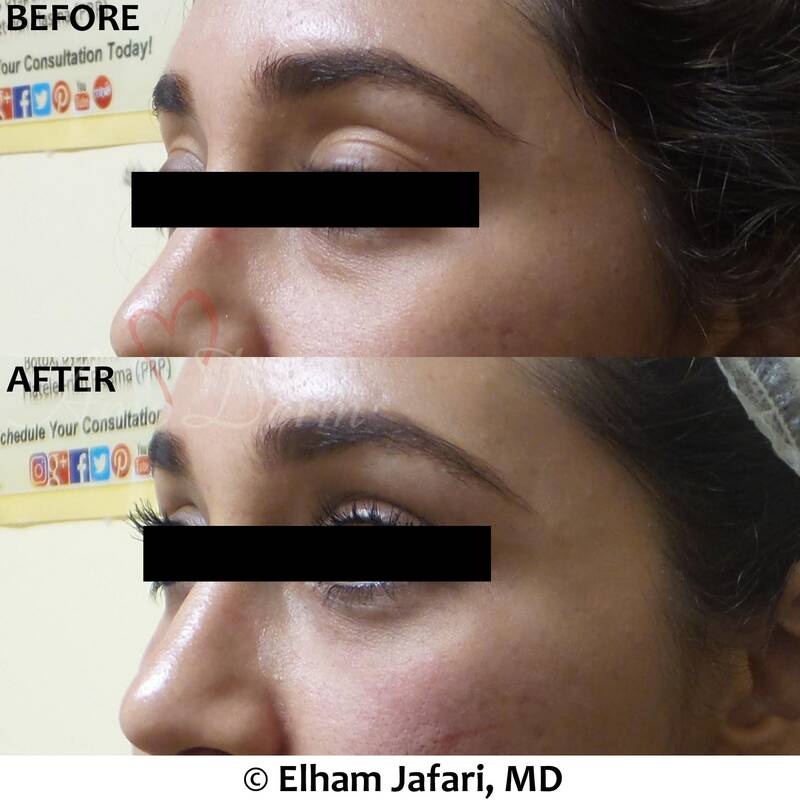 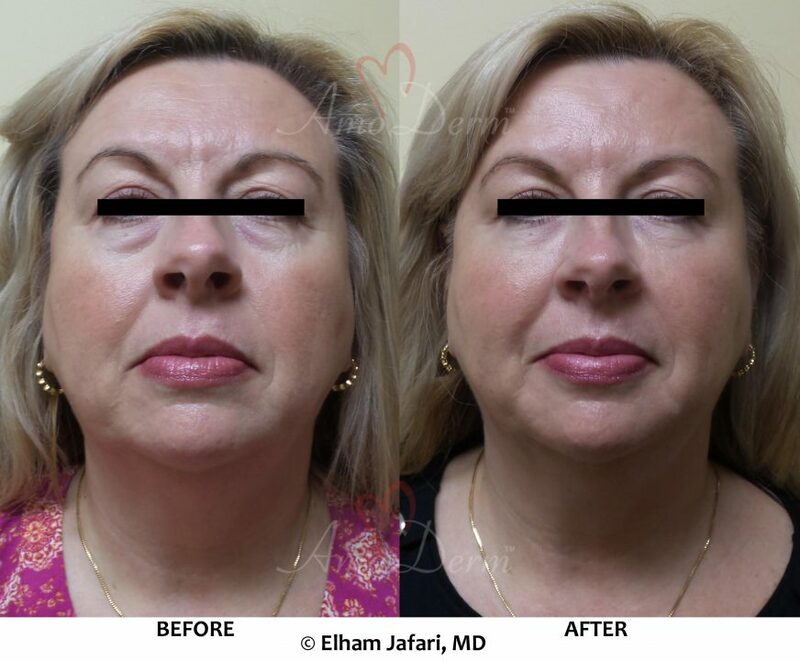 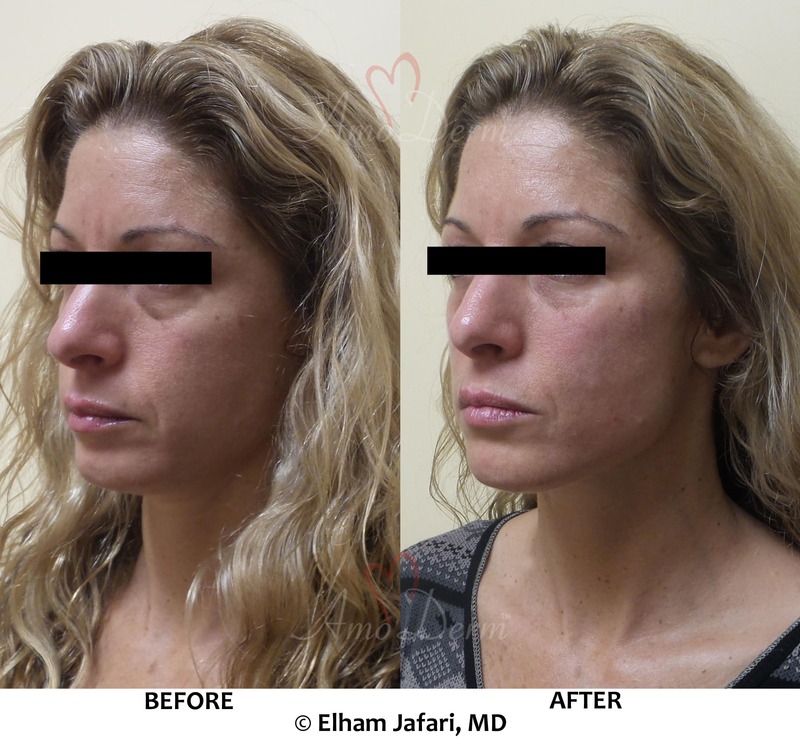 As a double-board specialist with training in Neuromuscular Medicine and deep knowledge of the anatomy of face and neck, Dr. Jafari is highly knowledgeable and qualified in performing cosmetic injections. 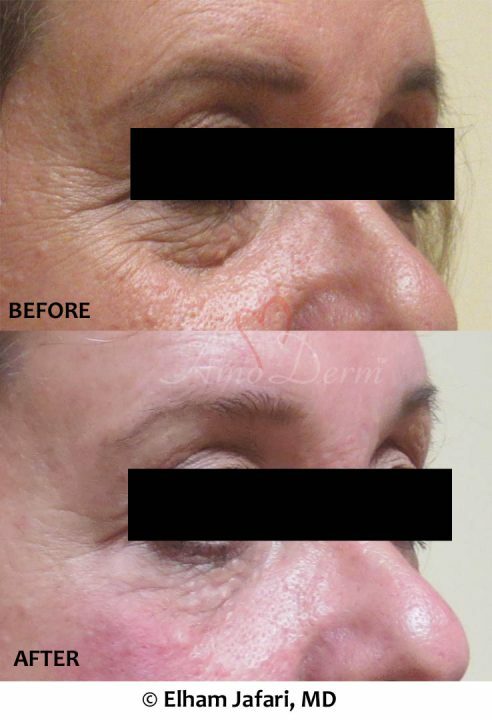 Make your appointment today for free consultation and explore the new horizons of beauty and anti-aging!